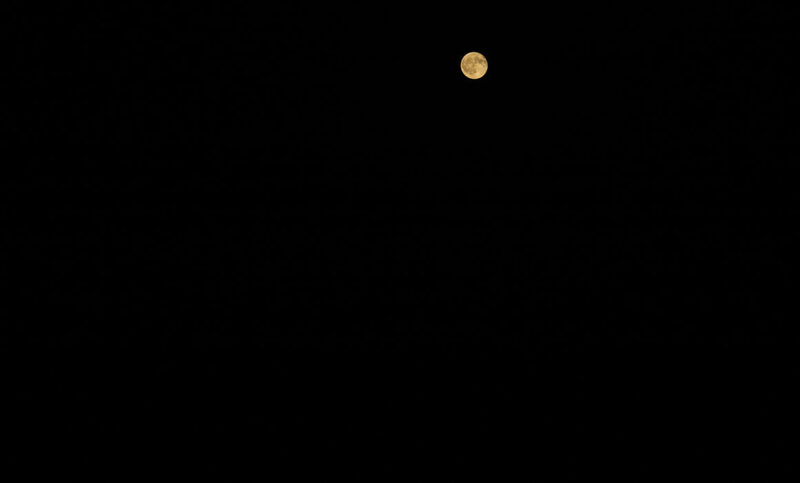 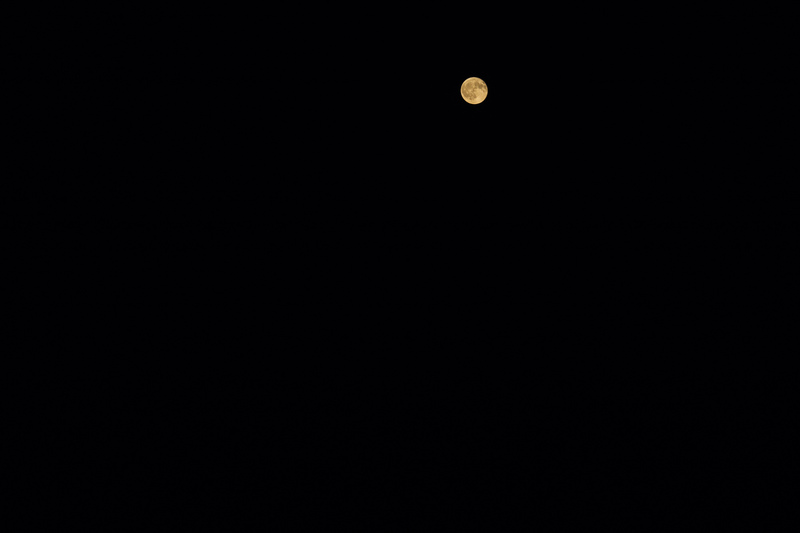 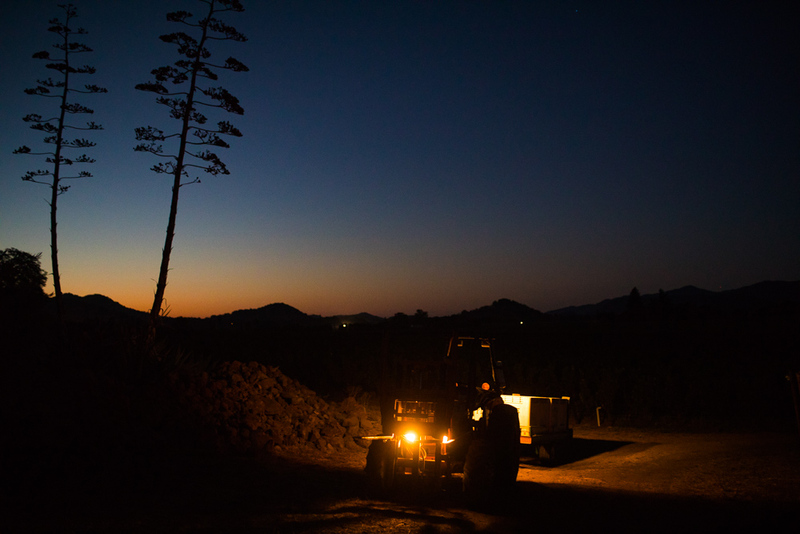 It was a warm, late summer’s night in the Annadel Gap estate vineyard—and, unexpectedly, I was learning all about astrology. 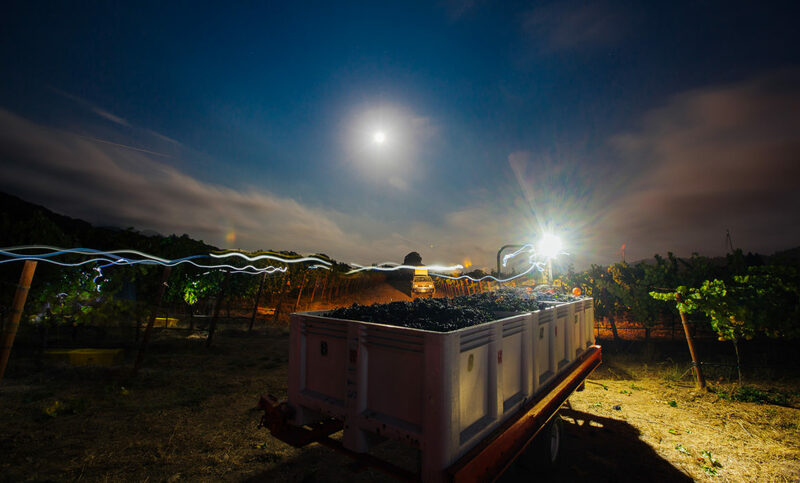 Amid the lush vines bulging with Pinot Noir under the near-full moon in this Sonoma Valley AVA vineyard, winemaker Ben Cane was leading the harvest crew with full steam, while filling me in on Westwood’s winemaking philosophies. 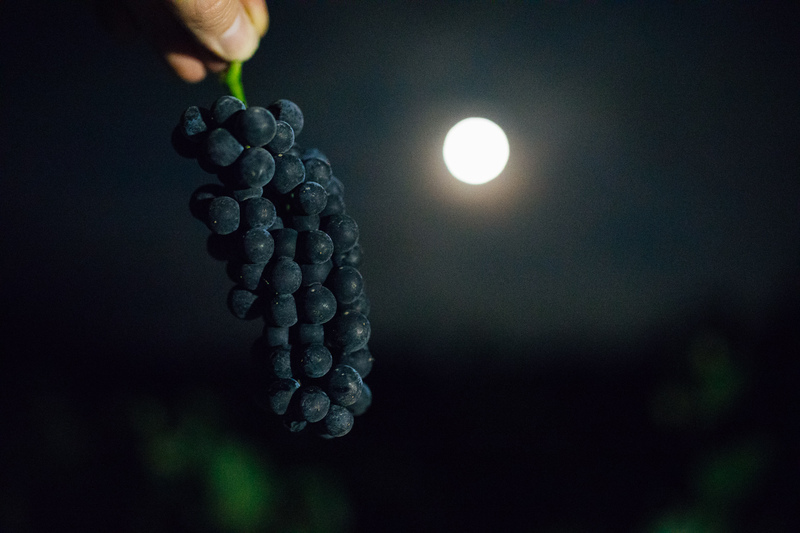 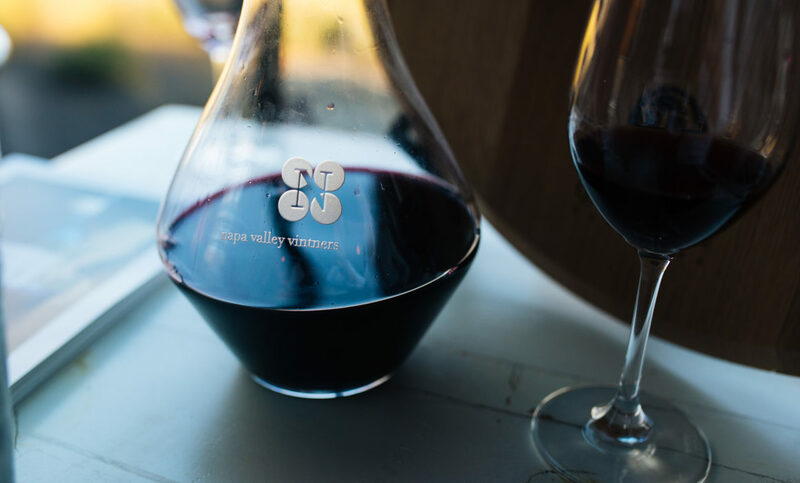 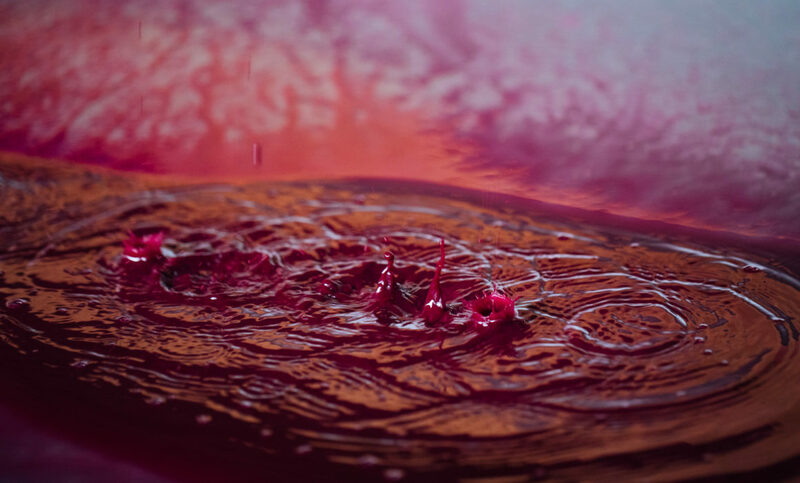 Biodynamic winemakers believe that everything in the universe is interconnected—including celestial bodies like the moon, planet, and stars. 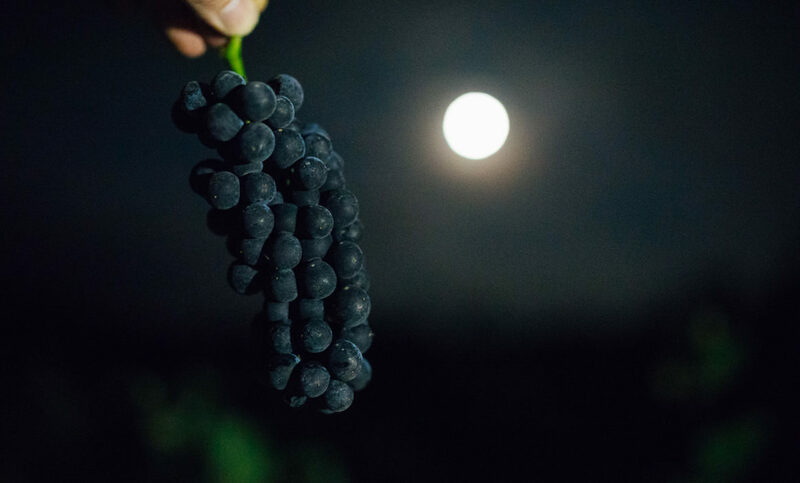 Finding the balance between those celestial bodies and vine, man and earth provides the ultimate recipe for sustainable agriculture. 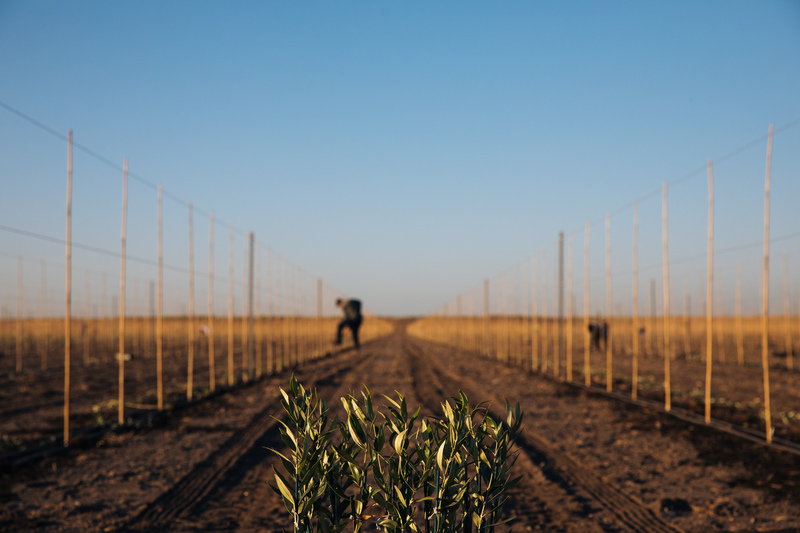 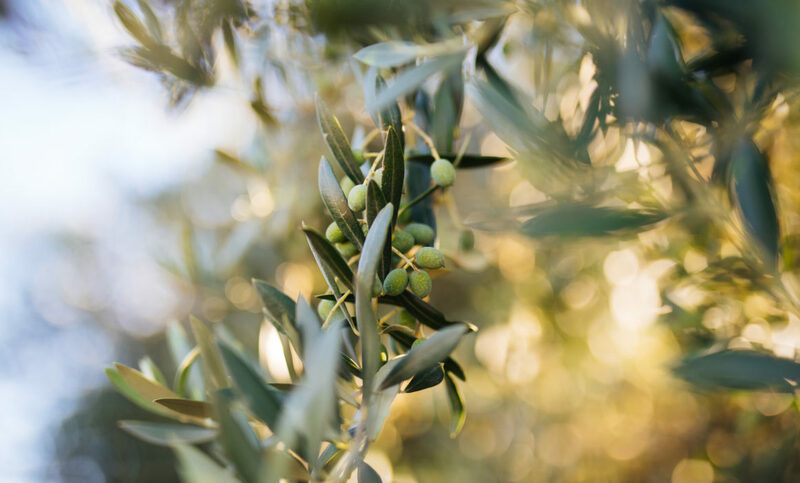 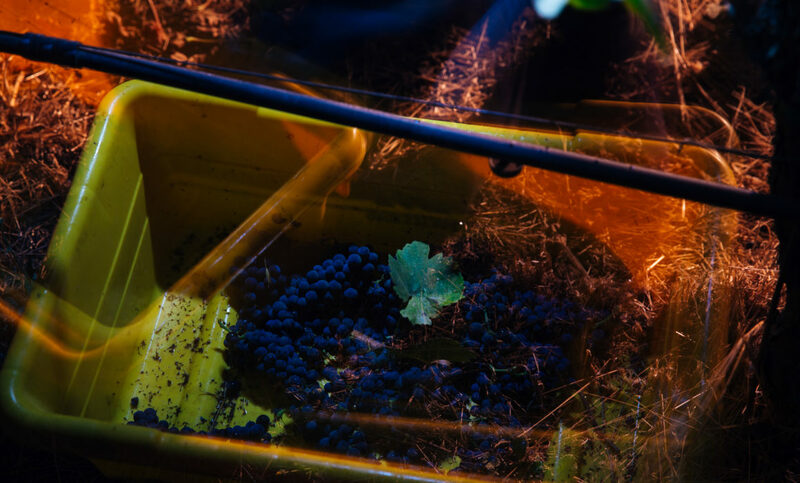 All the various tasks, from planting, pruning, to harvesting, are regulated by a special bio-dynamic calendar. 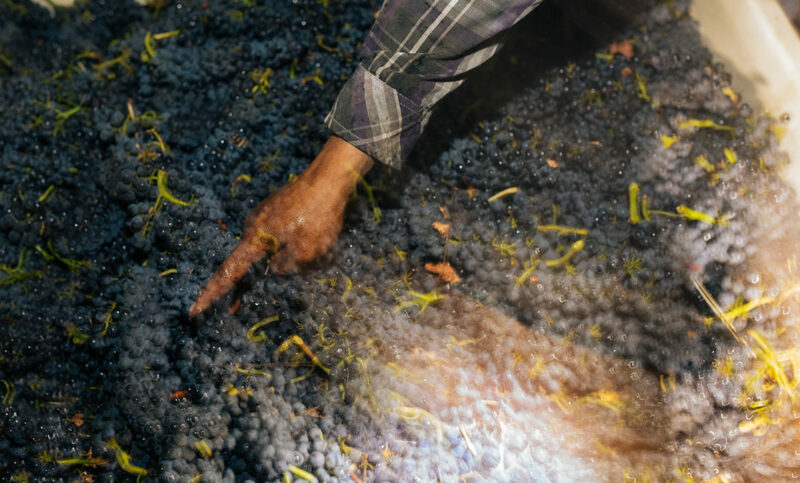 The concept of biodynamic farming follows an ethos composed in the mind of the Austrian philosopher Rudolf Steiner in the early 1920’s, and the tenets are fairly simple: No synthetic chemicals—including most pesticides and herbicides—can be applied to vines, and no acid, sugar or enzymes can be added to wine in production. 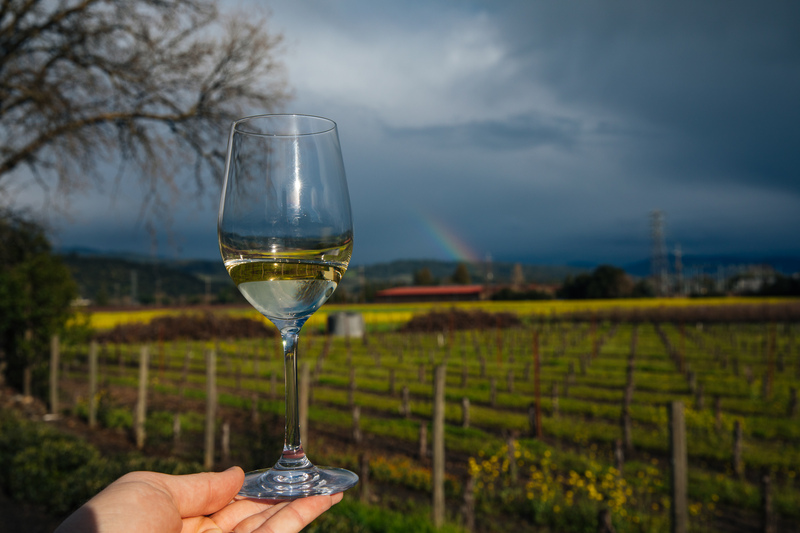 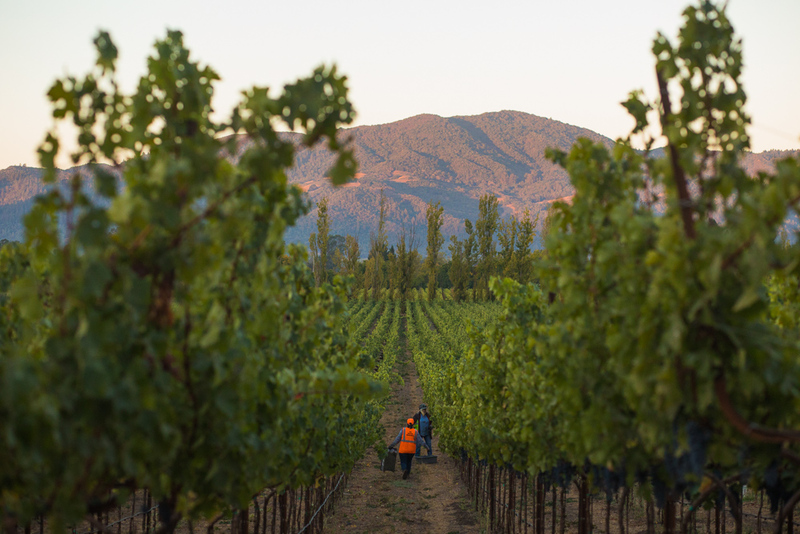 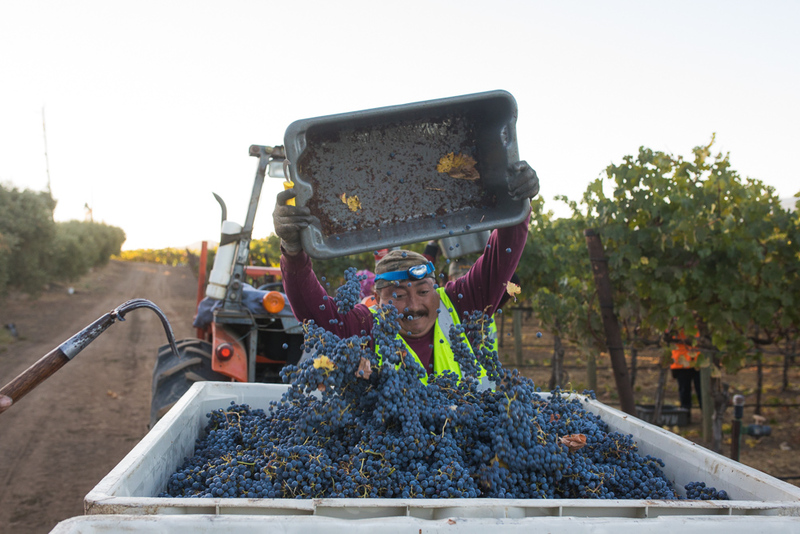 As an alternative, vineyard workers use insects, compost and cover crops on the land. 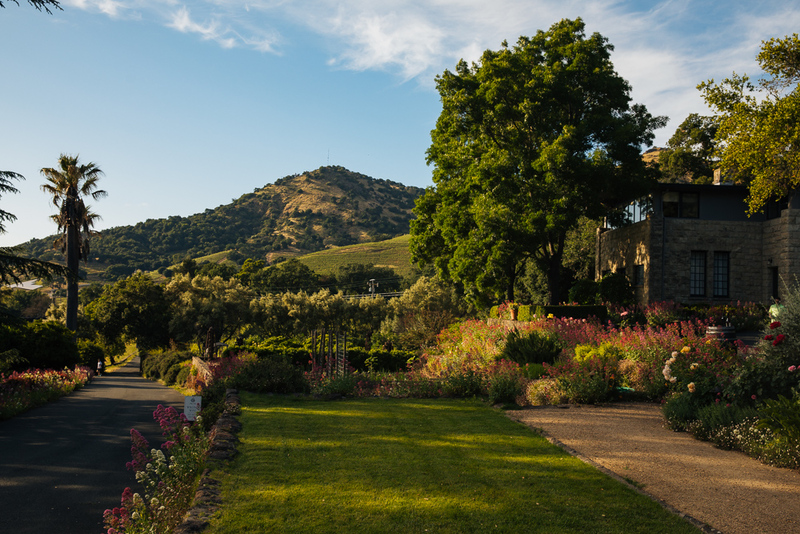 Tonight I was here at a very unique vineyard site in the northeastern end of the Sonoma Valley AVA. 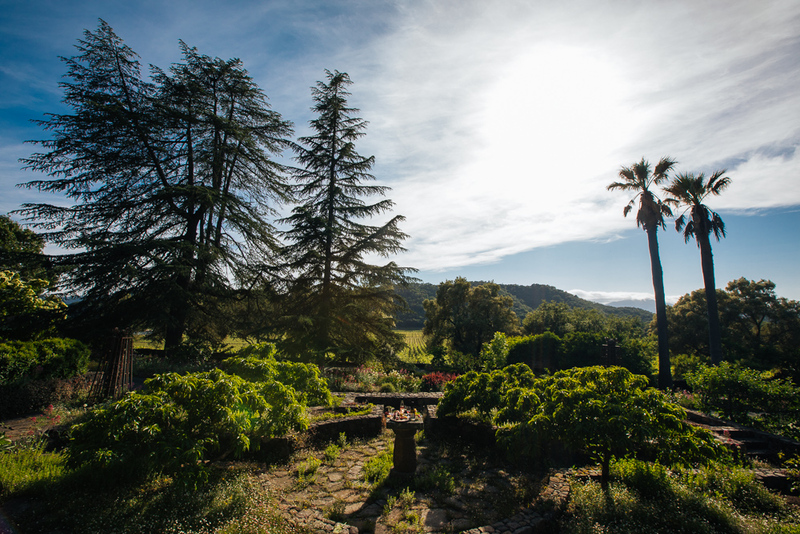 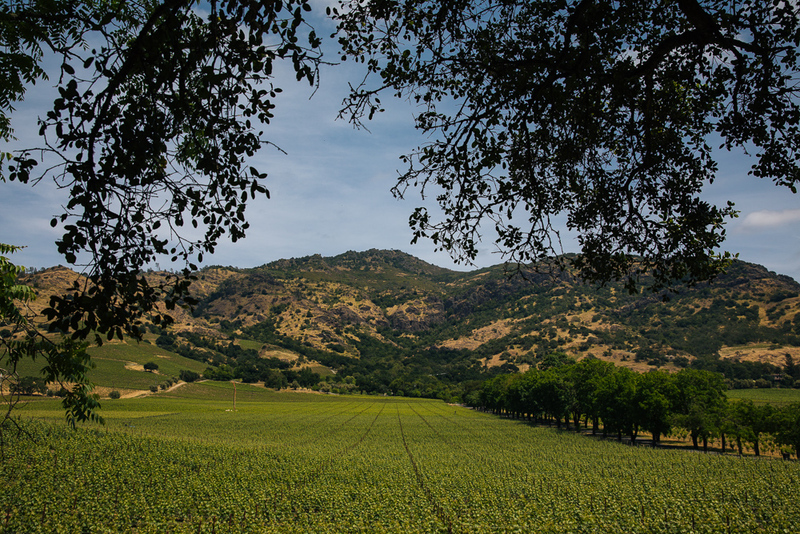 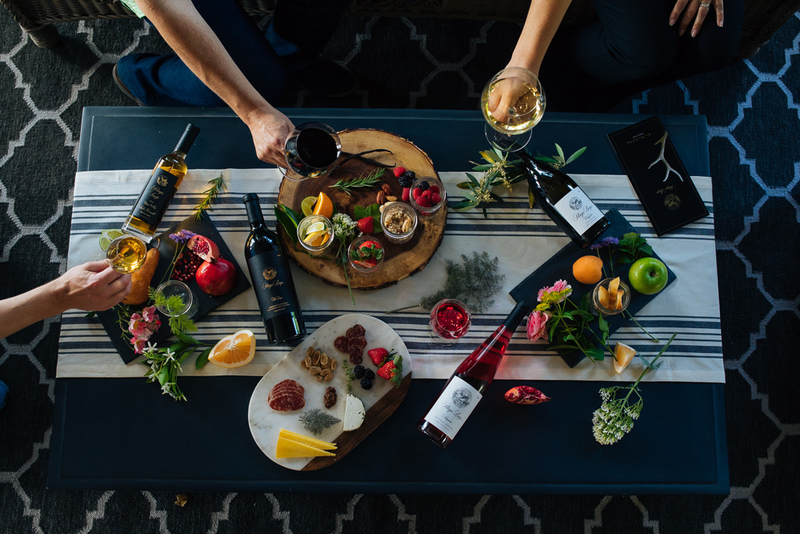 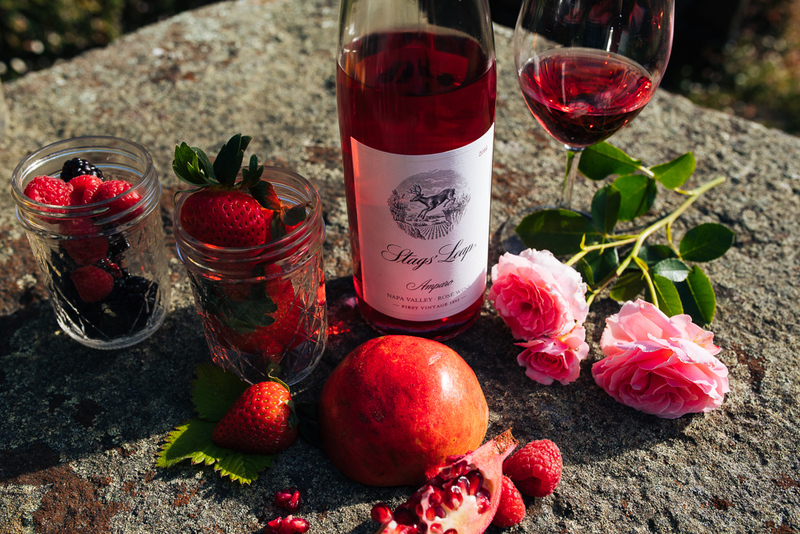 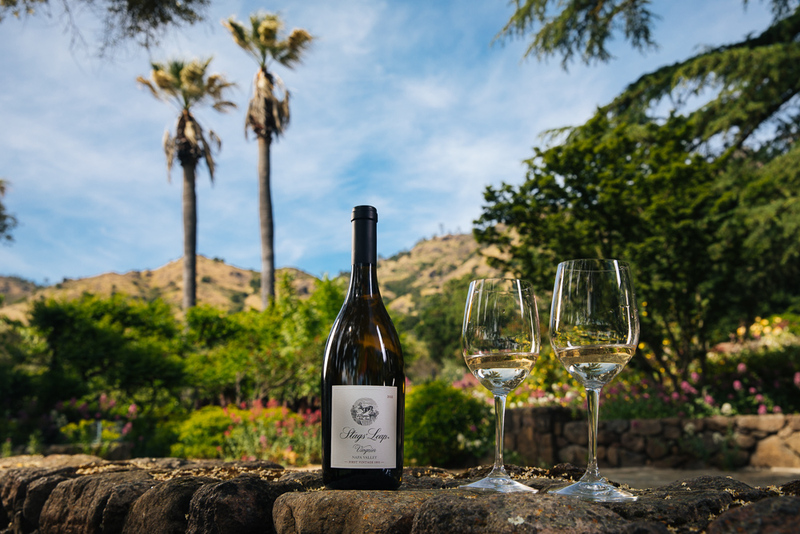 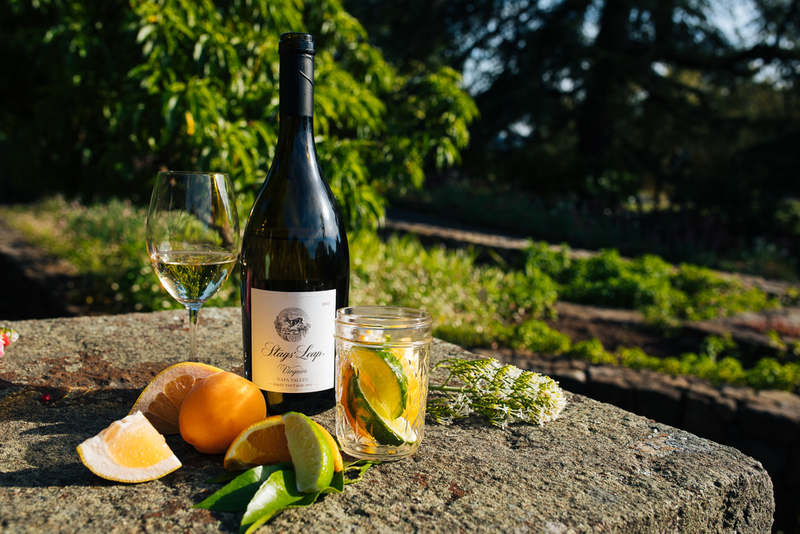 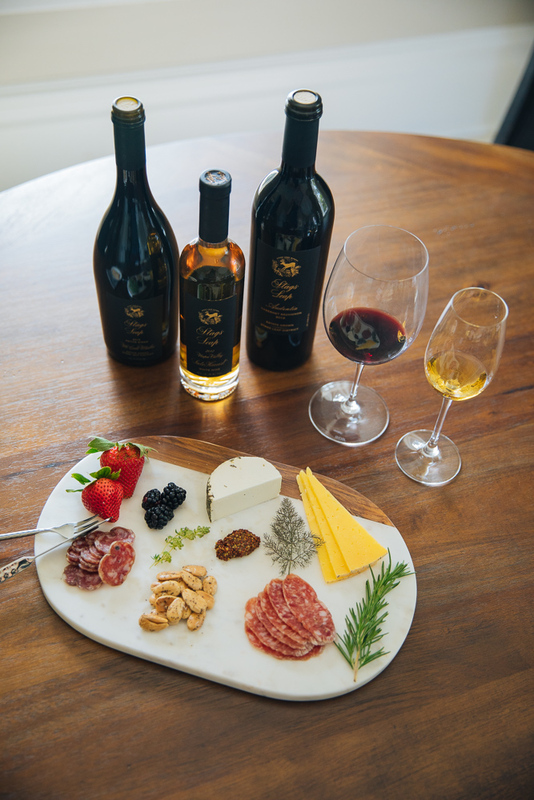 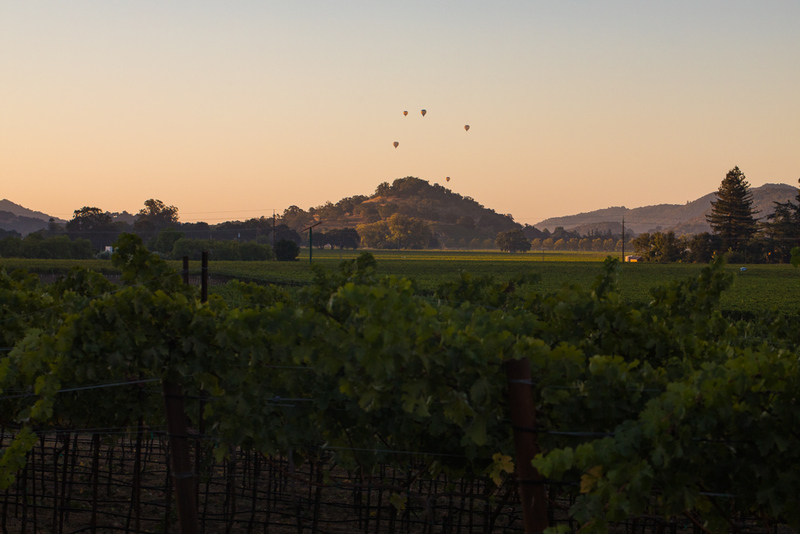 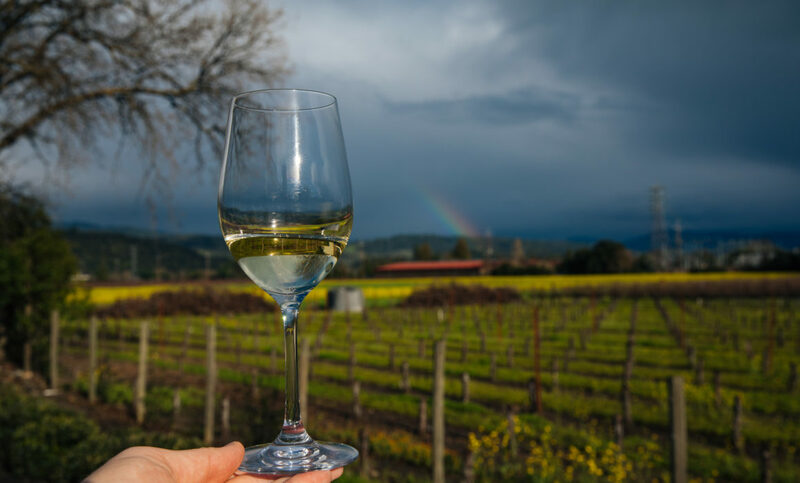 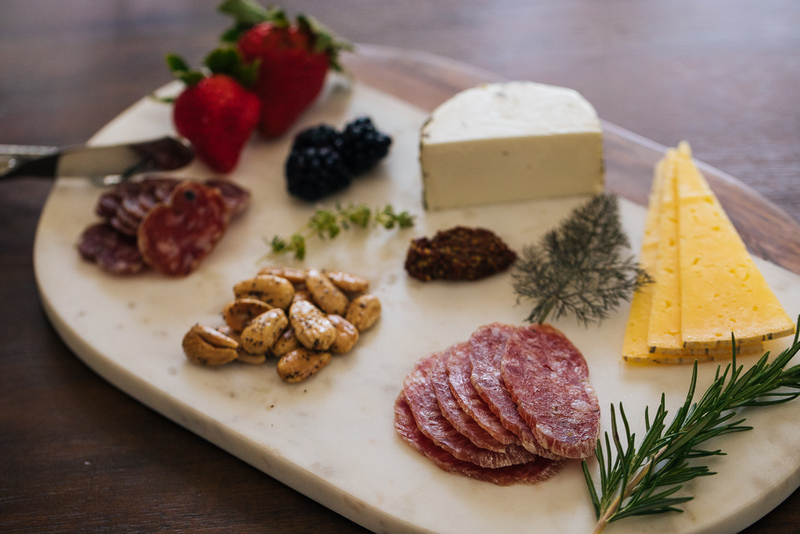 Nestled between Annadel Peak and Hood Mountain lies Annadel Gap Estate vineyard, which is comprised of 22.7 planted acres, precisely defined by 27 blocks and sub-blocks. 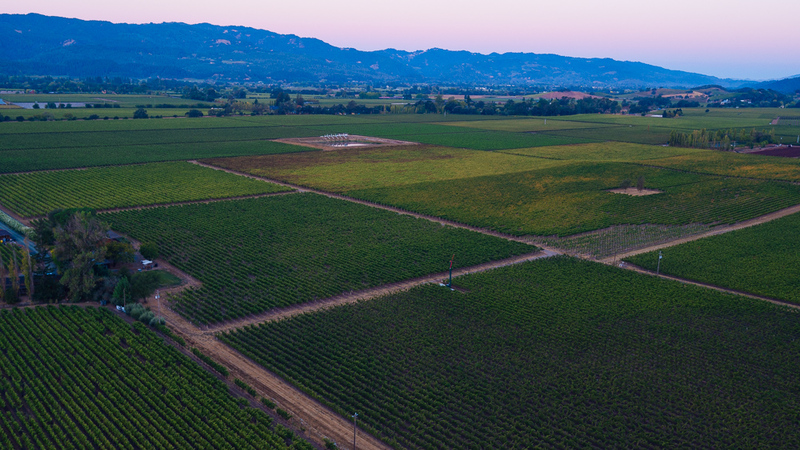 The site is planted to Burgundian & Rhone varietals, including Pinot Noir (13.1 acres), Syrah (4.6 acres), Grenache (1.68 acres), Mourvedre (1.6 acres), Counoise (0.72 acres), Tannat (0.49 acres), Roussanne (0.17 acres) and Viognier (0.12 acres). 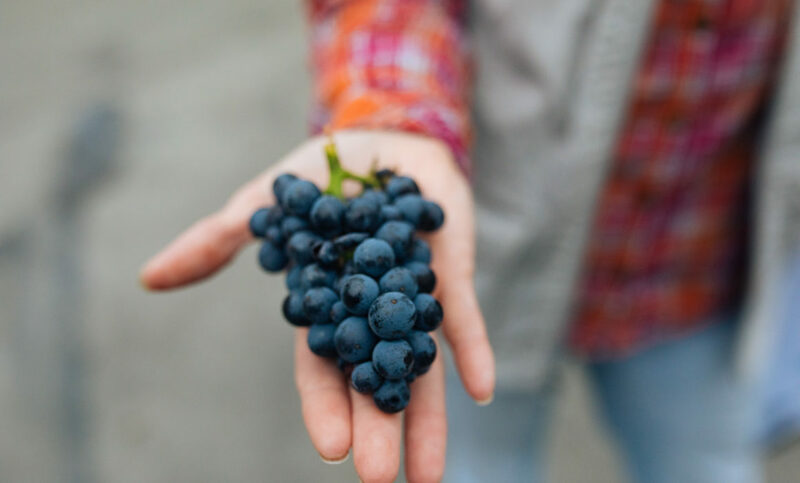 The 13.1 acres of Pinot Noir are dedicated to diverse and rare Pinot Noir clones—Dijon Clones 115, 667, 777 and 943; Heritage/Field Selections Pommard, Mt. 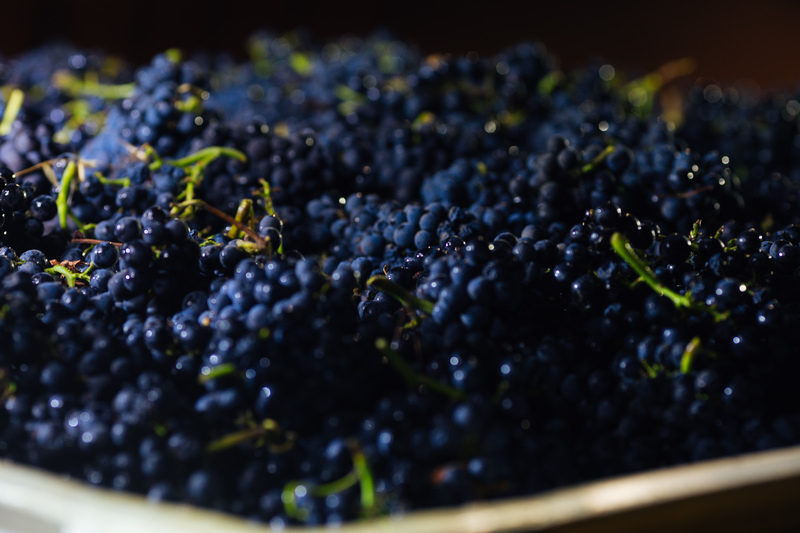 Eden, Calera, Chambertin and Martini. 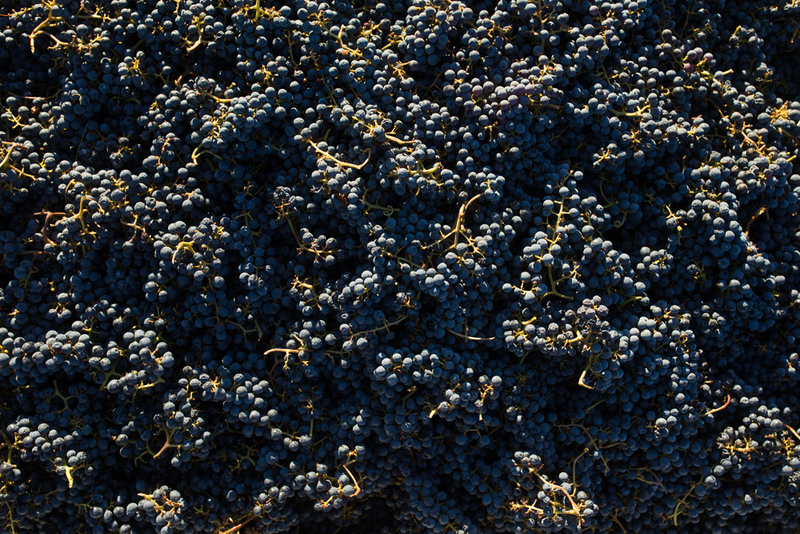 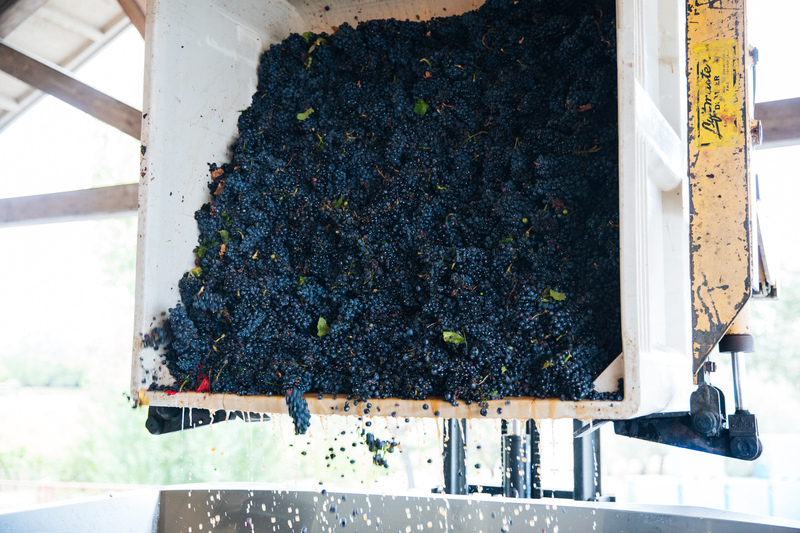 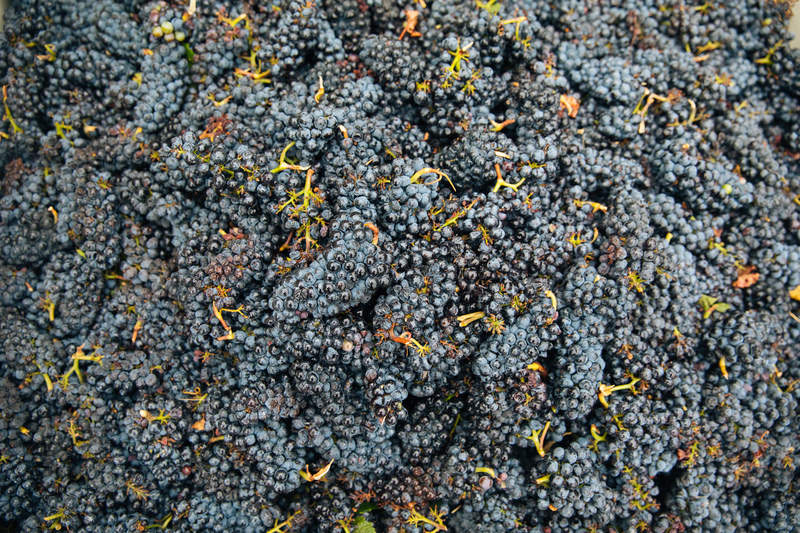 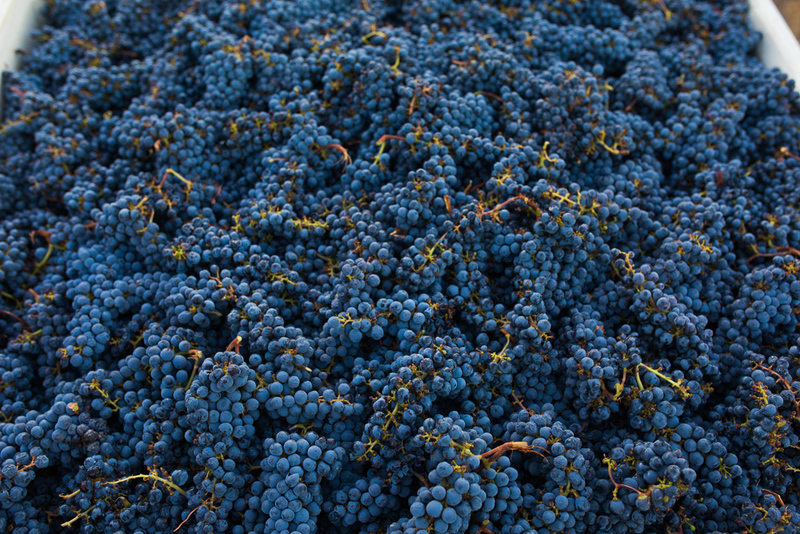 Syrah was also planted with diversity in mind—100, 174, 877 and Tablas Creek. 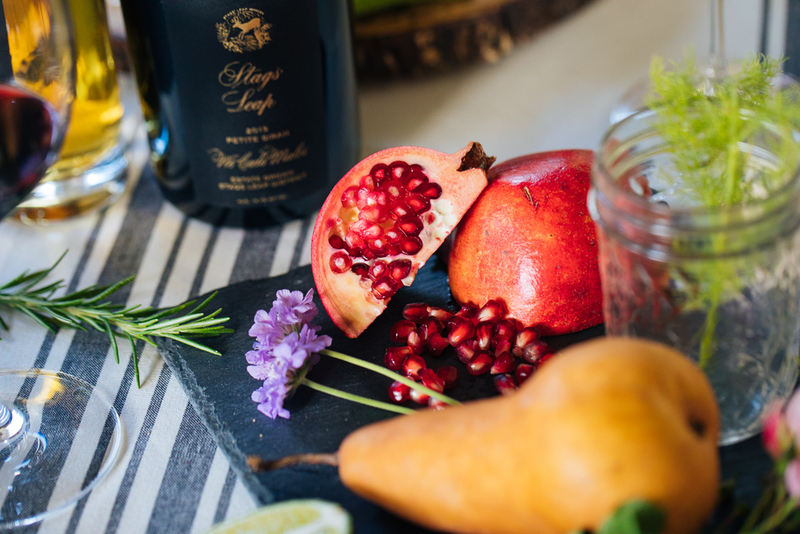 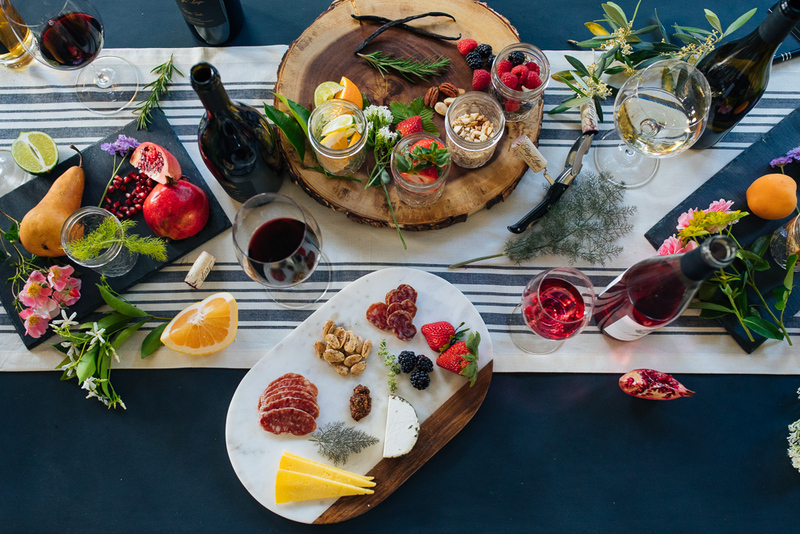 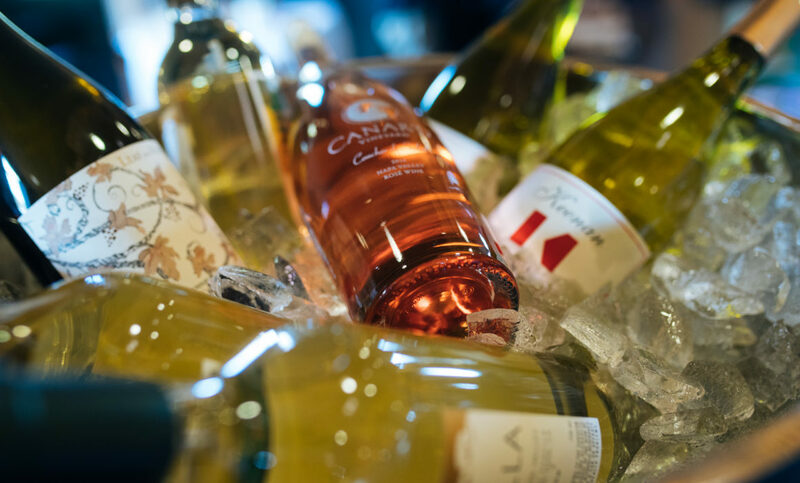 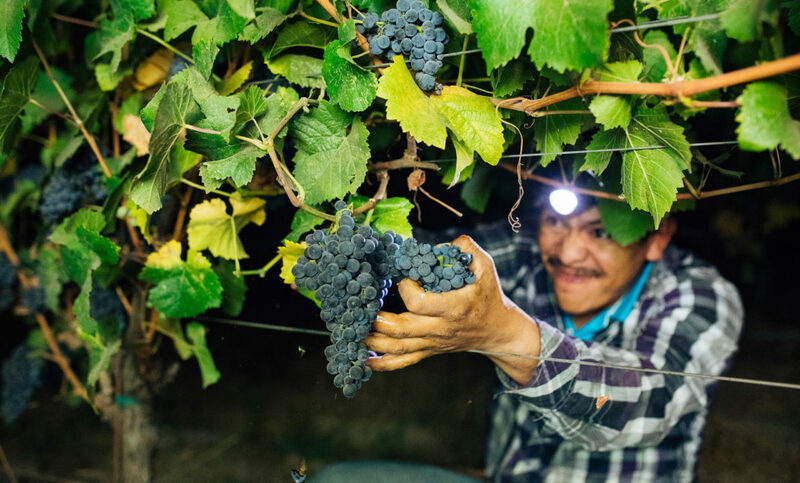 This may sound like a lot of different grape varieties, but the overall hand-crafted production is small, with less than 3,500 cases produced. 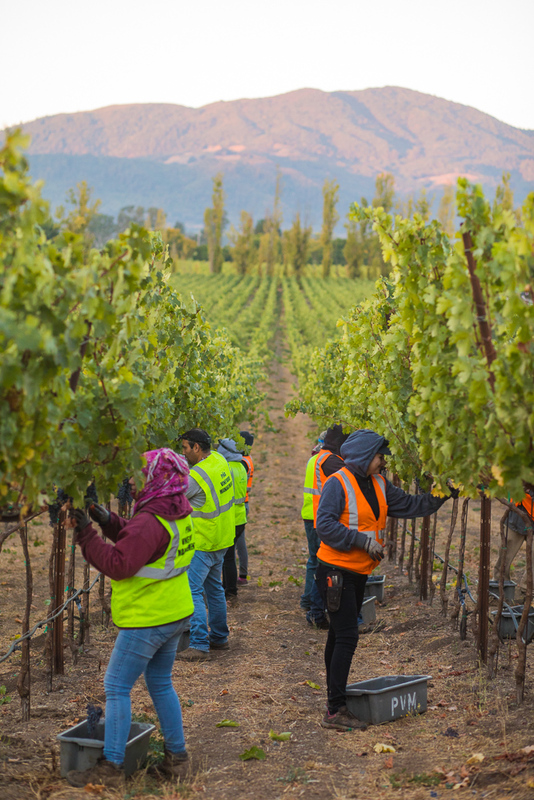 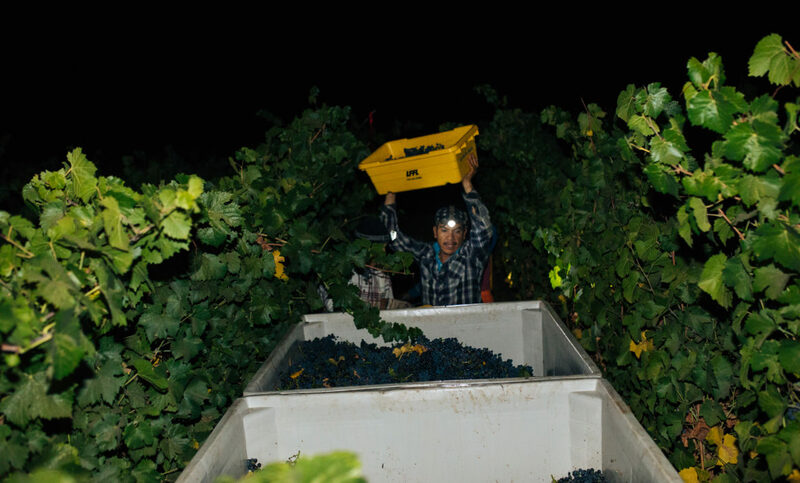 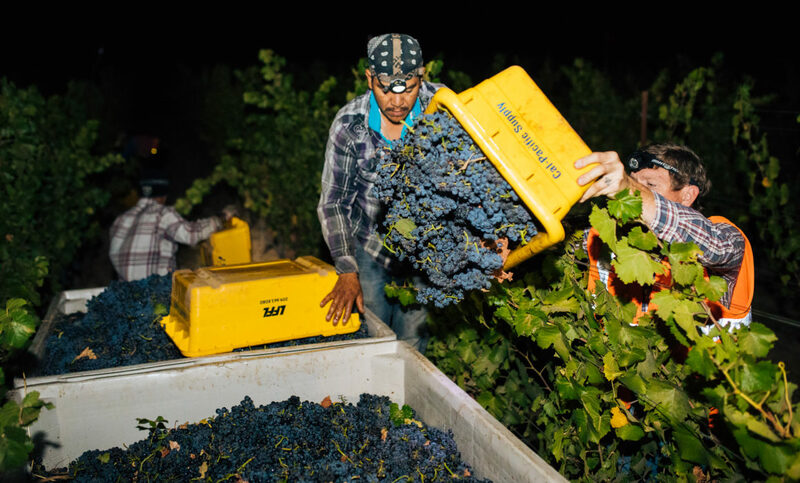 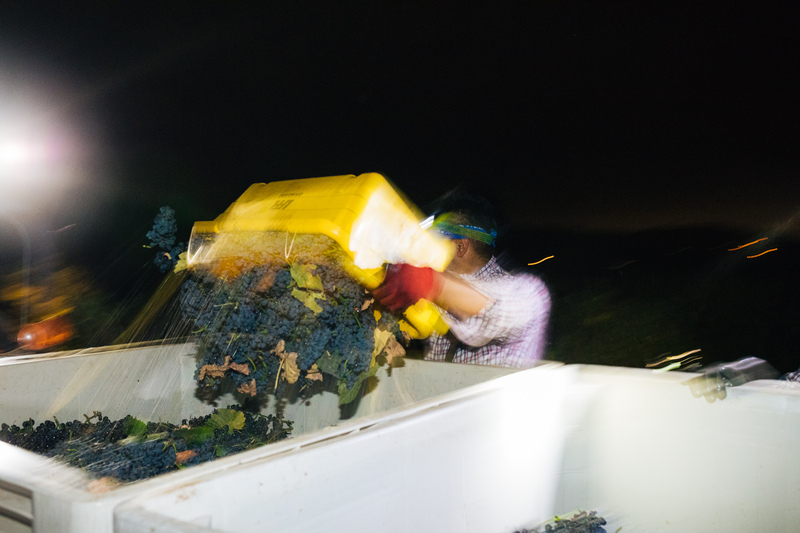 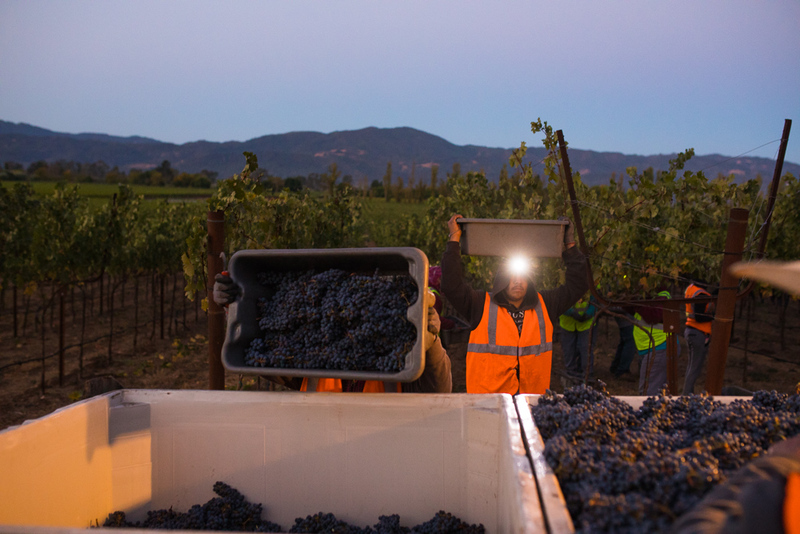 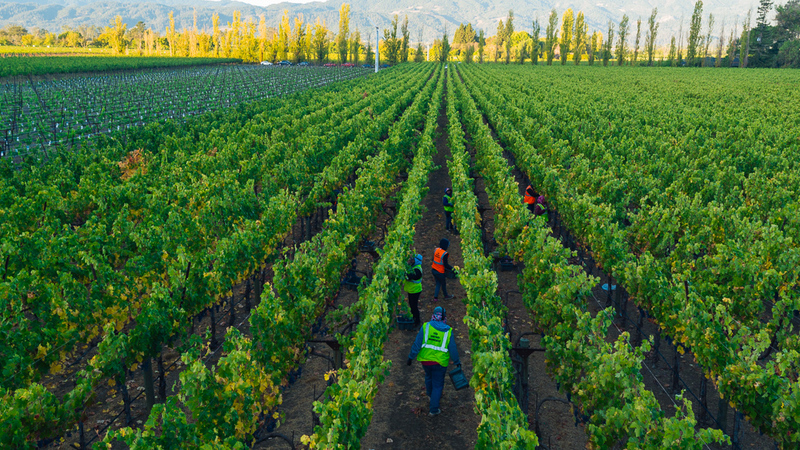 As the picking bins were filled, the first glimmer of sunlight could be seen, signaling the end of a shift for the hard-working harvest crew—but just the beginning for the cellar team. 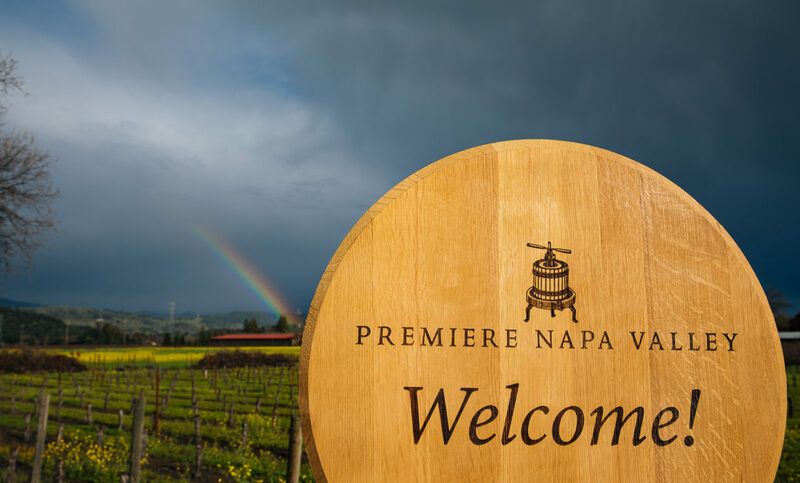 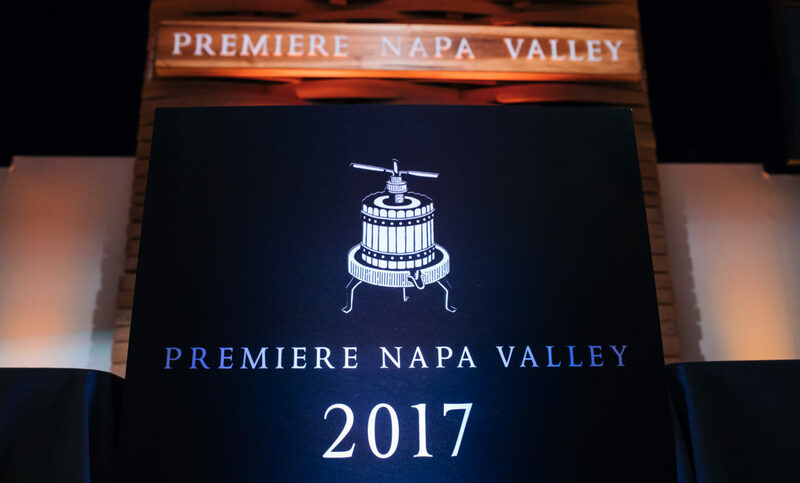 In my previous blog post, I had mentioned that the week of Napa Valley Premiere is one of the most exciting times to be in the valley. 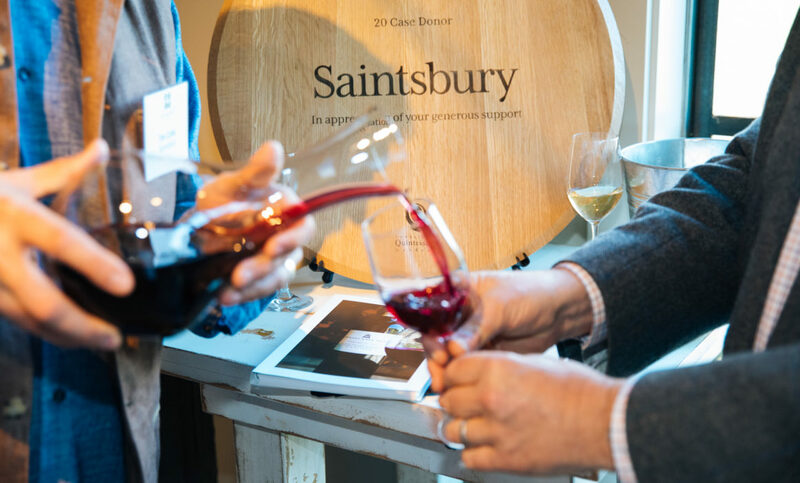 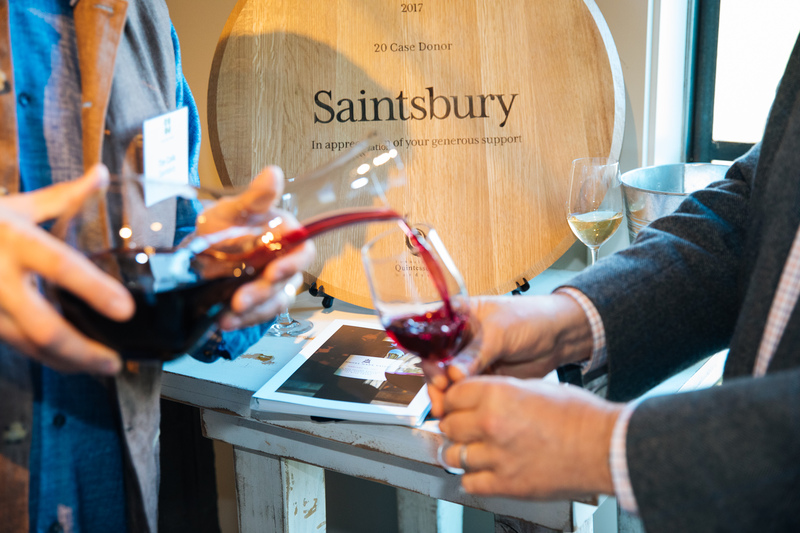 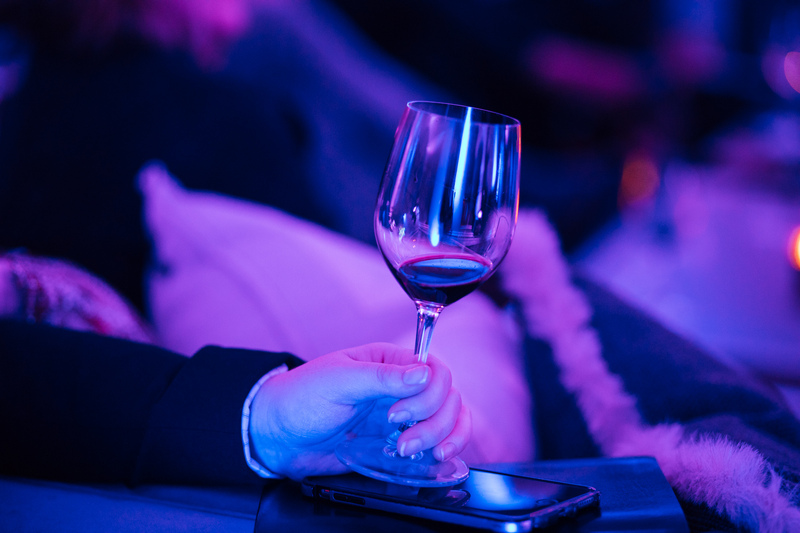 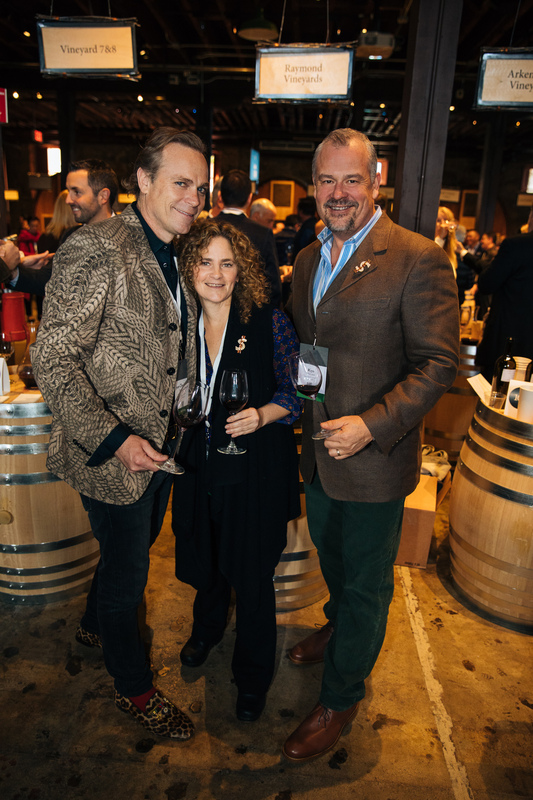 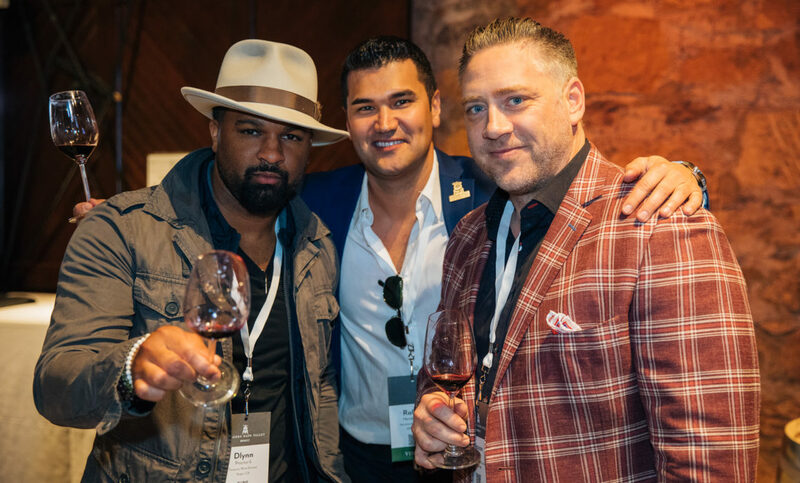 The buzz and elegance of the event is unmatchable, but what truly excites me is to see the valley come alive with some of the most influential people in the wine trade from around the world. 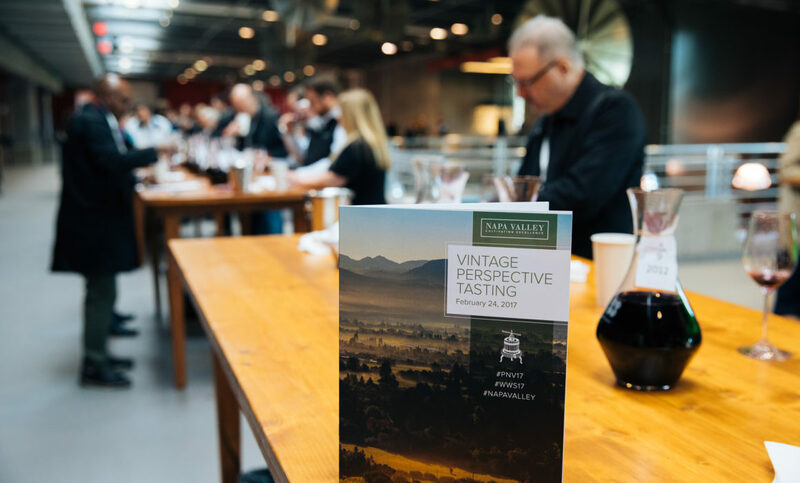 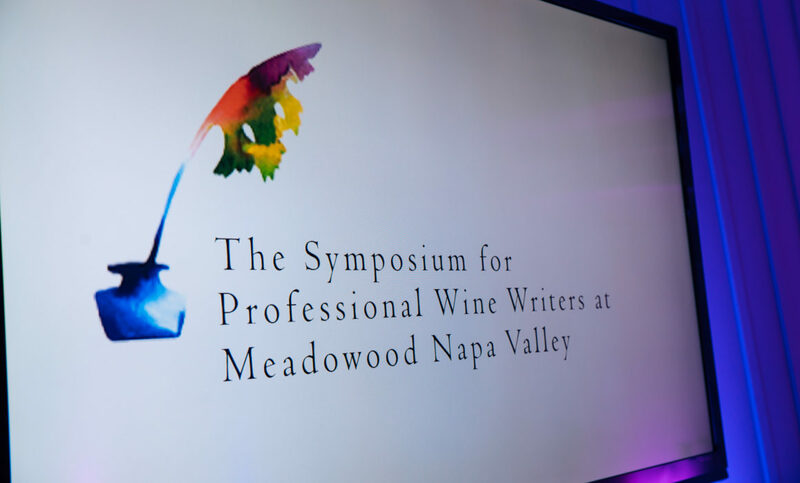 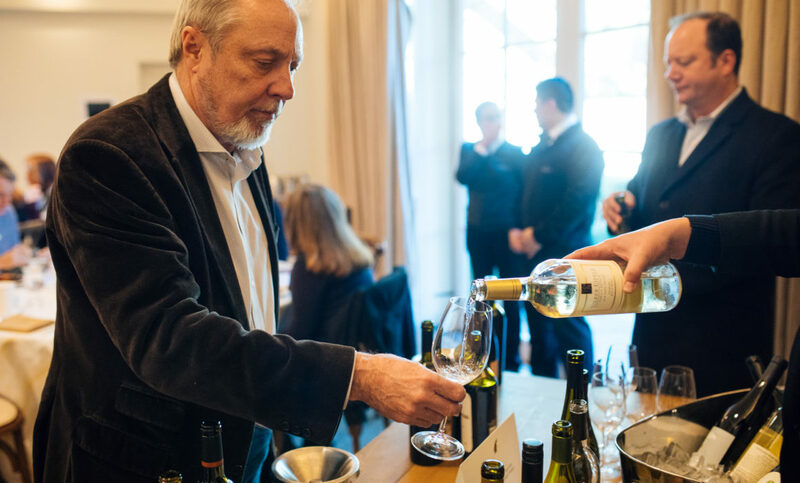 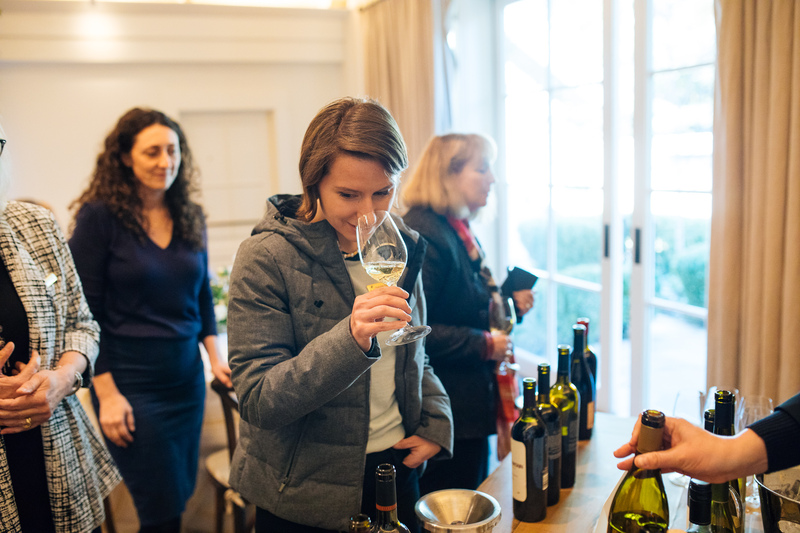 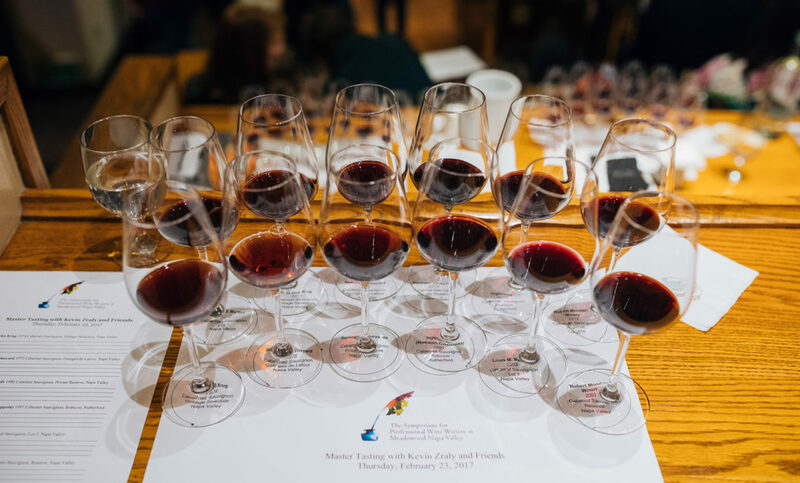 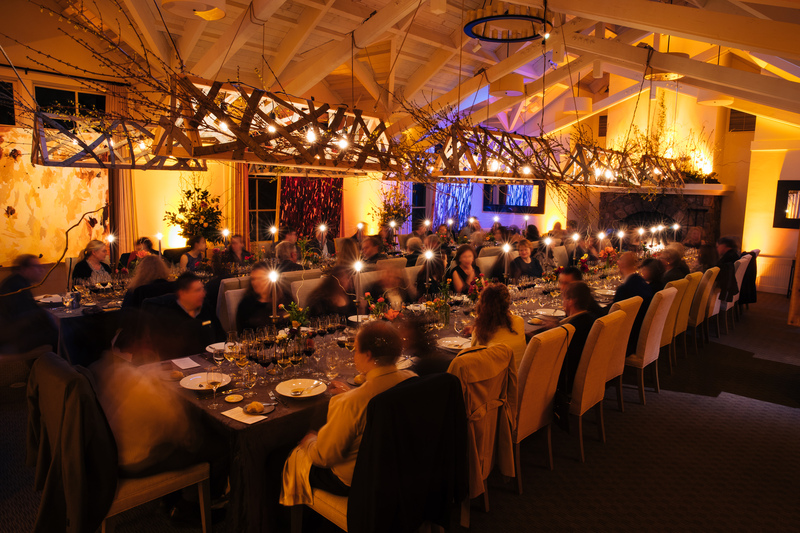 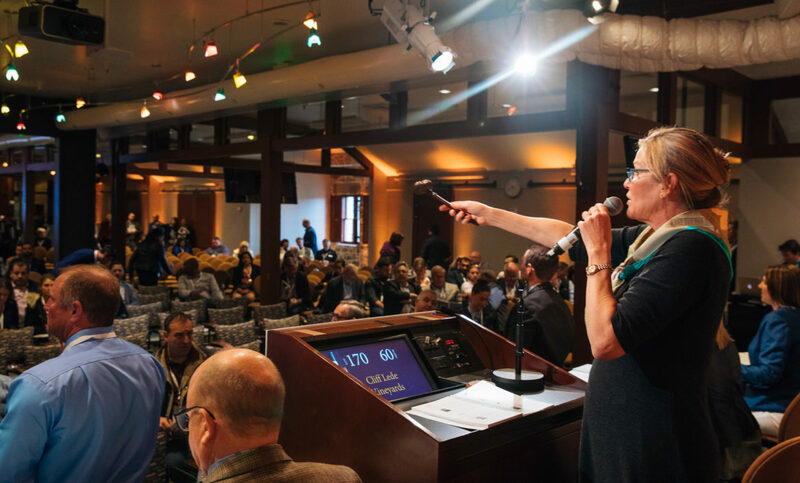 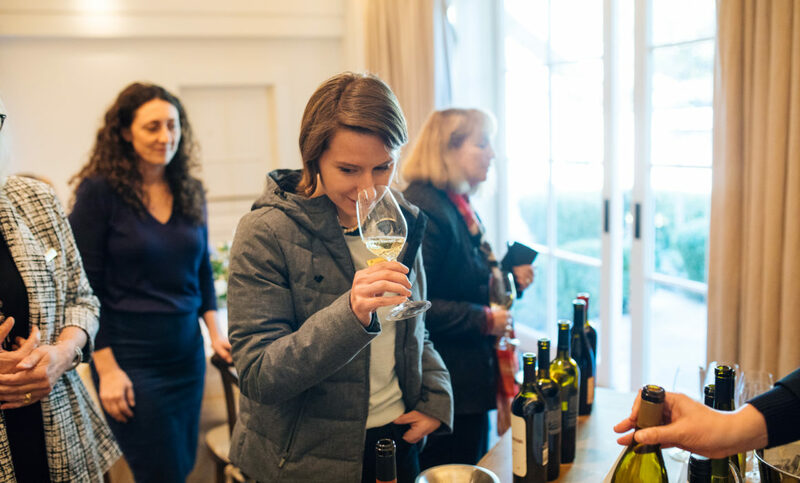 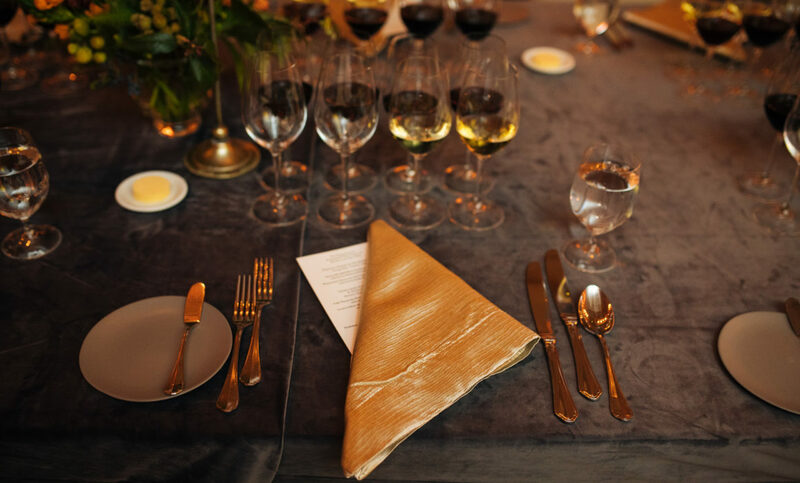 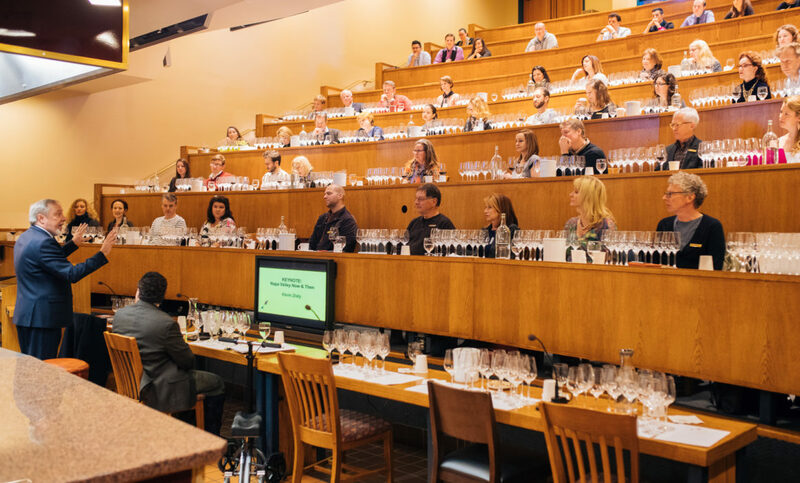 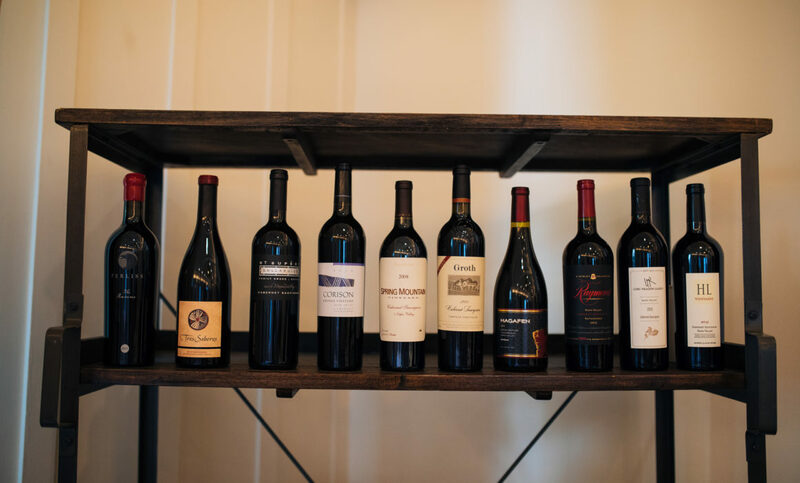 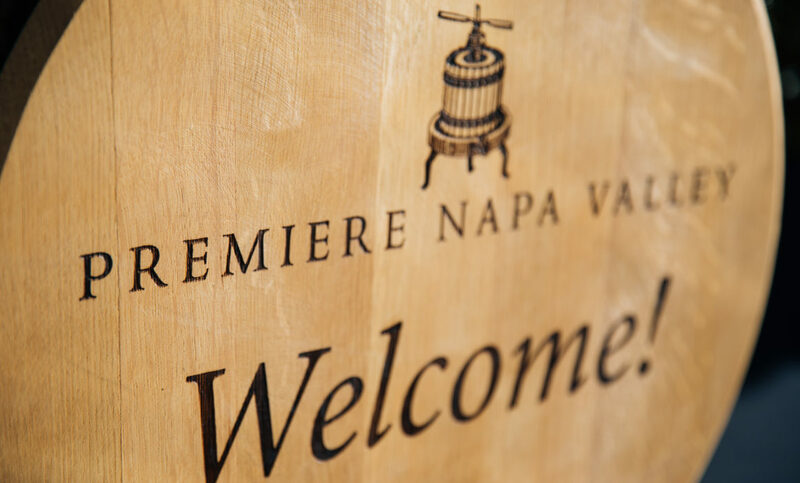 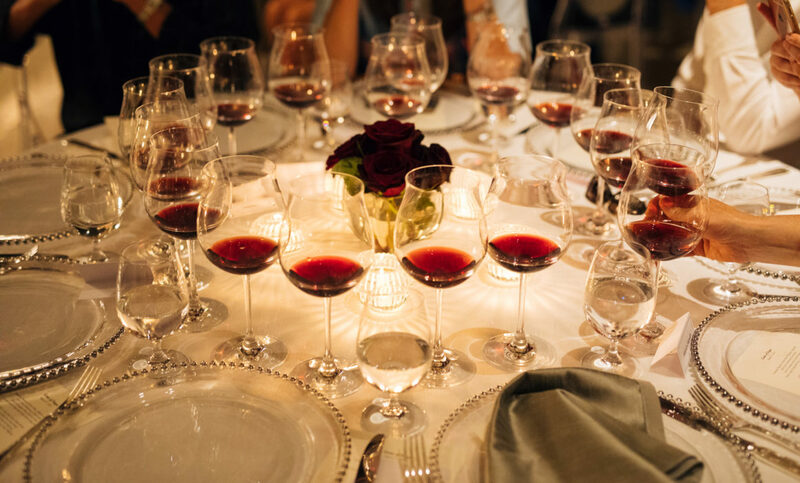 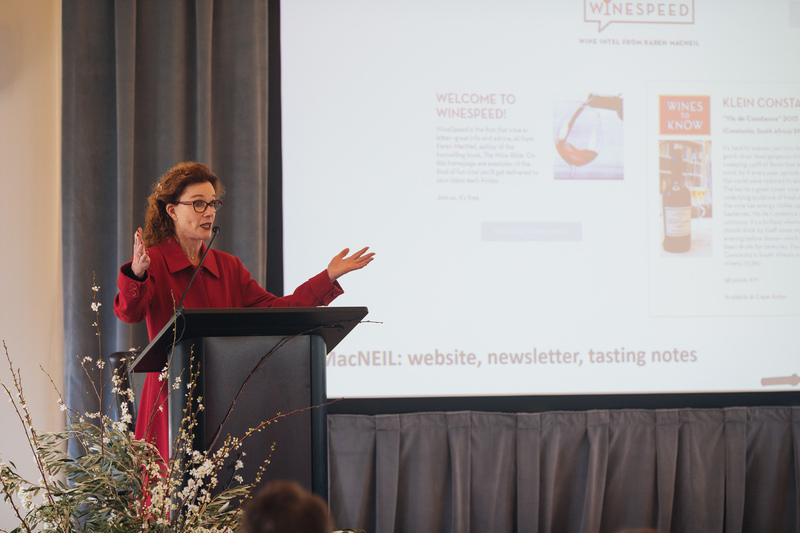 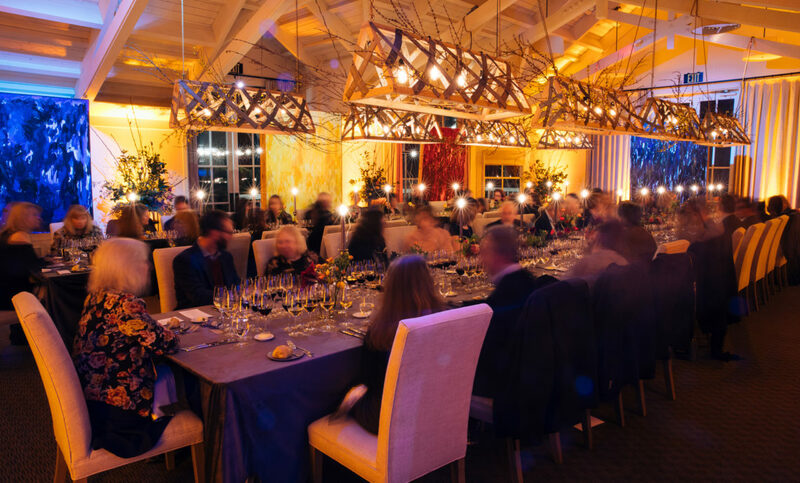 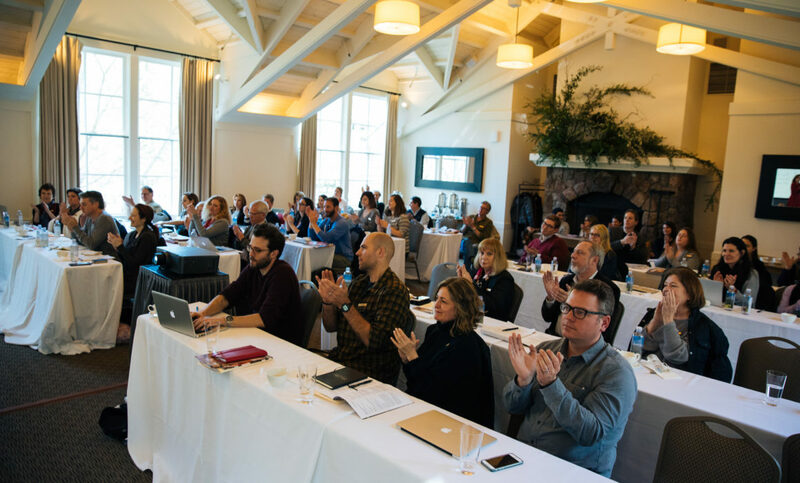 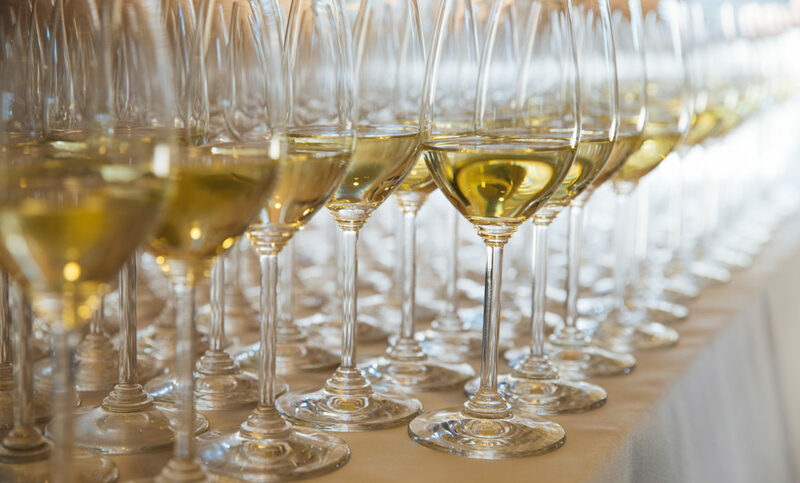 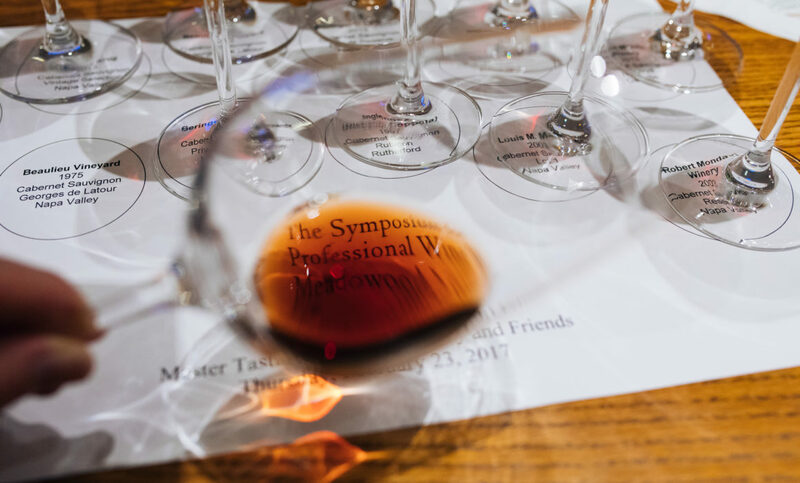 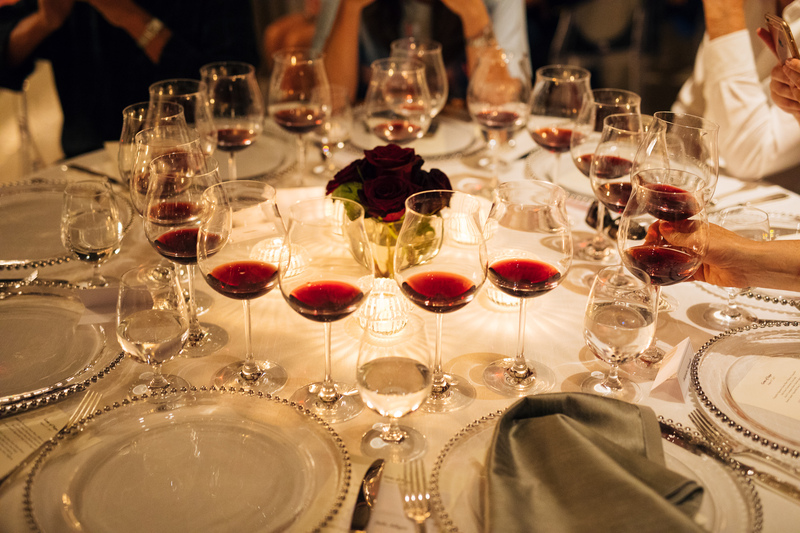 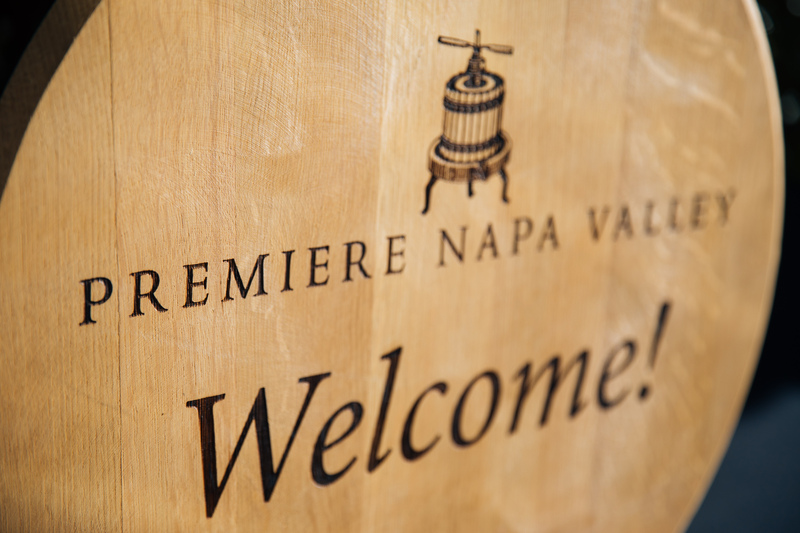 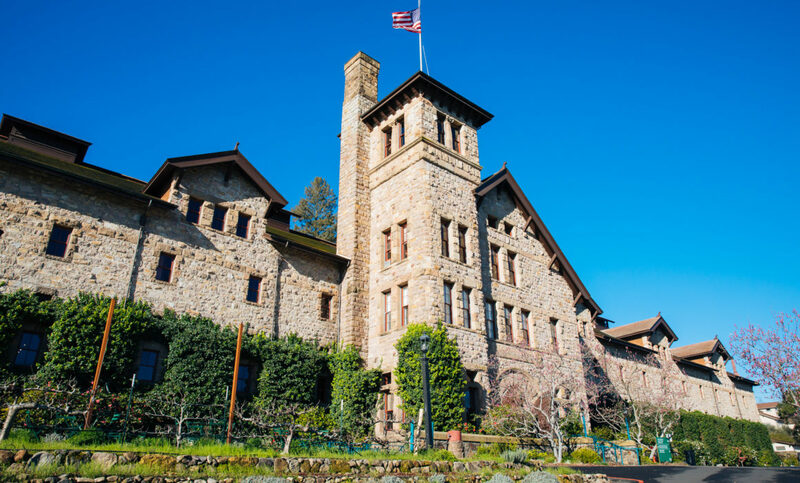 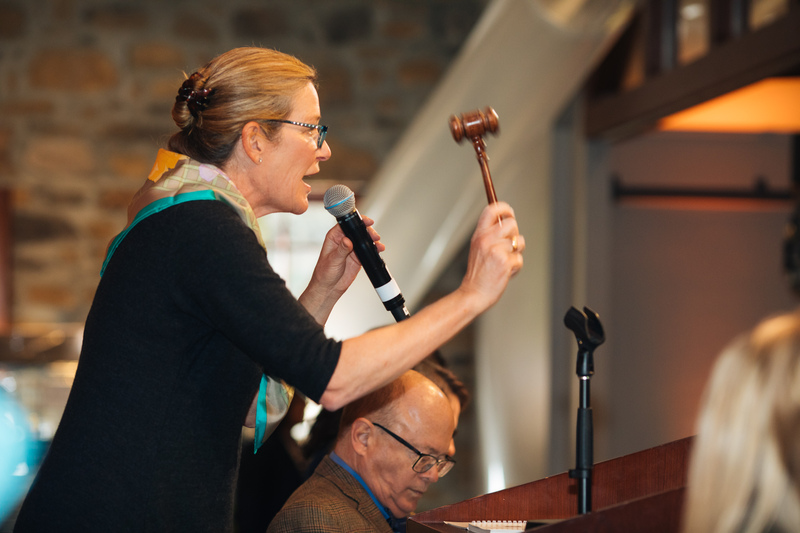 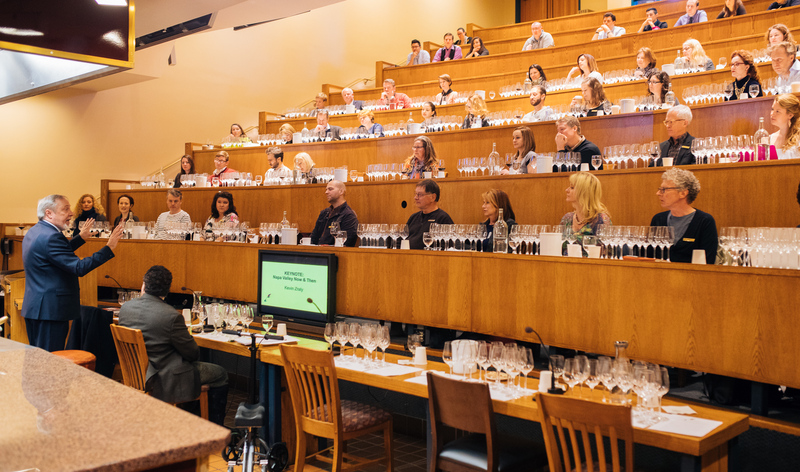 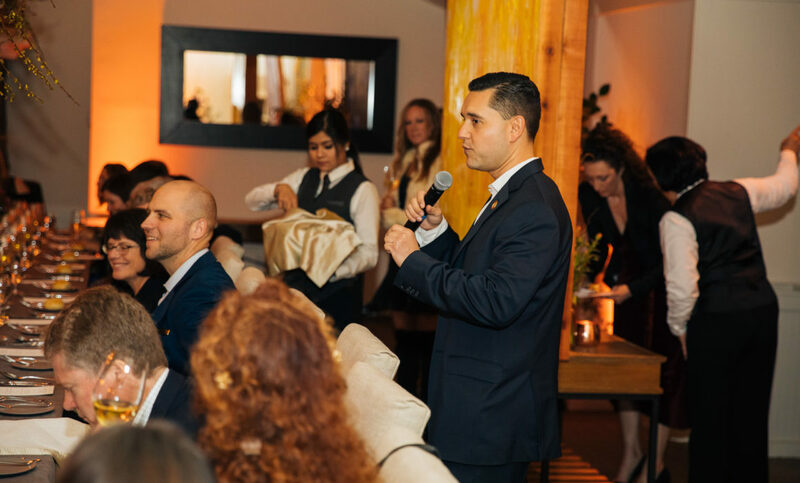 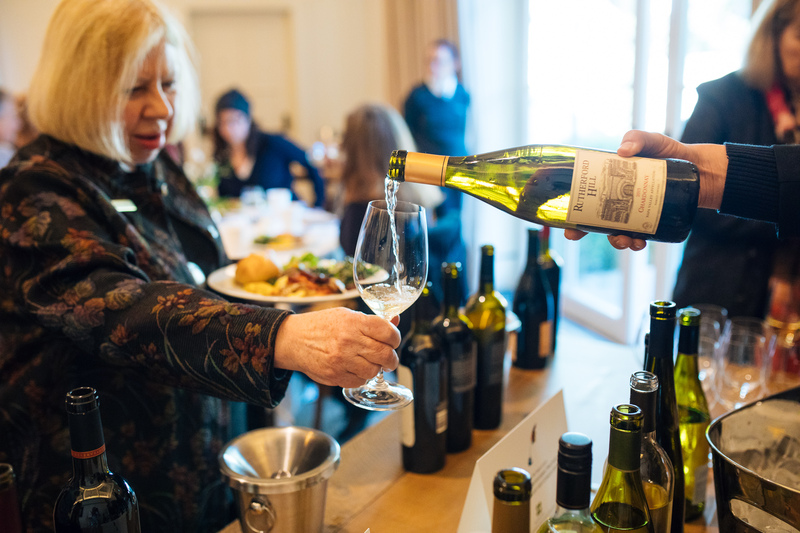 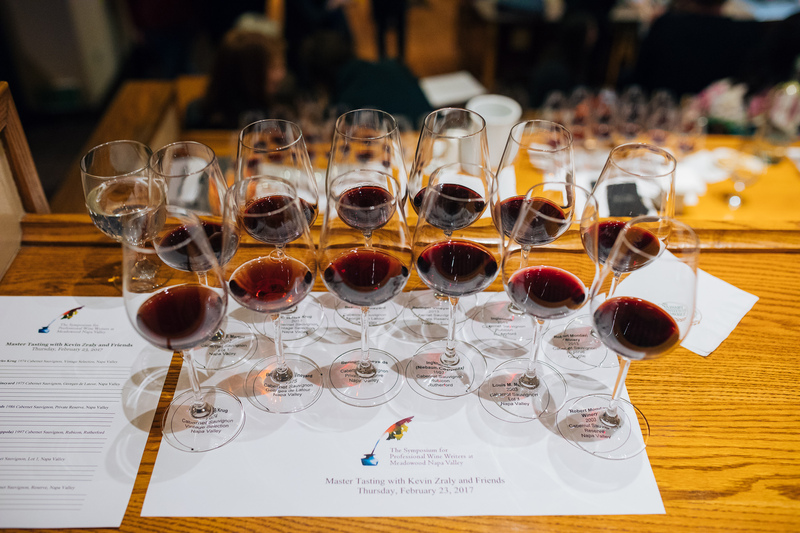 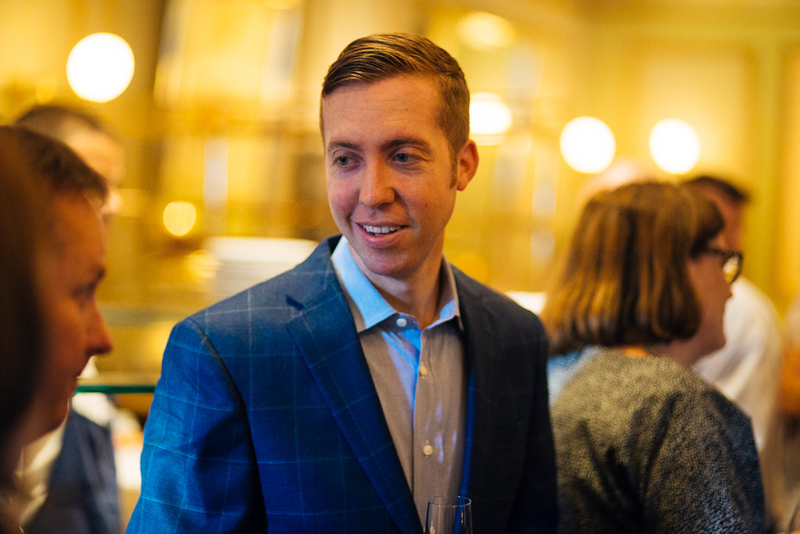 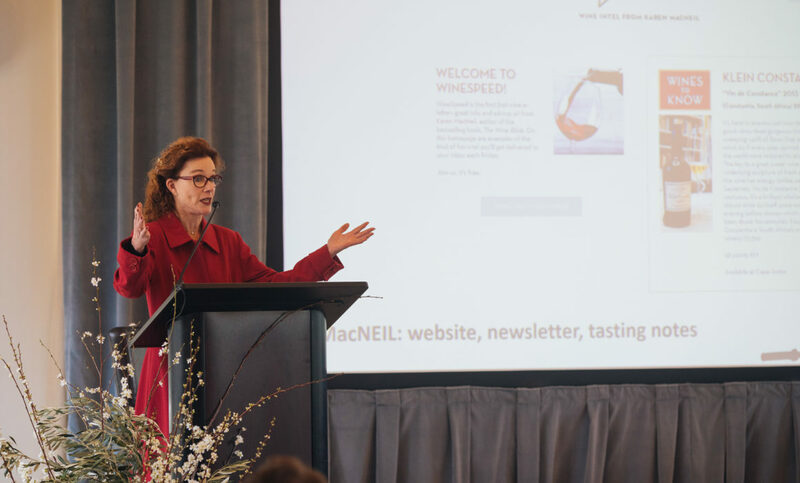 Among these are always a truly talented group of about 75 wine writers, critics, columnists, bloggers and other editorial wine content creators, who have been invited to the exclusive Symposium for Professional Wine Writers at Meadowood Napa Valley. 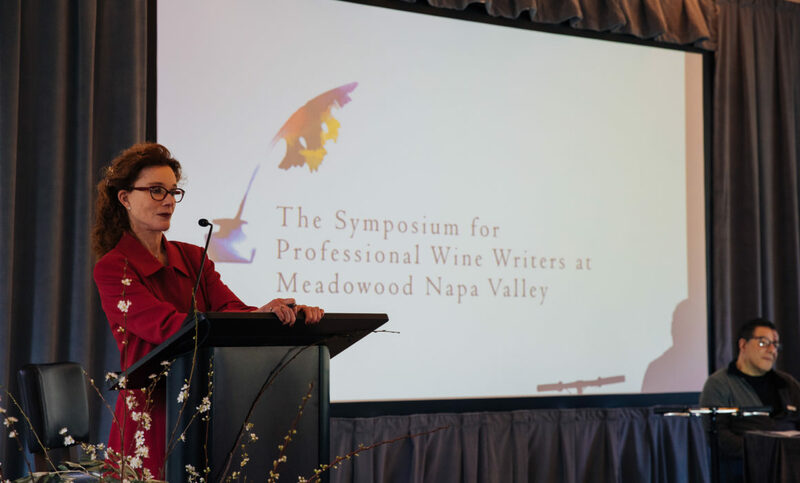 This non-profit symposium was founded by Napa Valley Vintners in conjunction with Meadowood, and supported by The Culinary Institute of America (CIA) and helps attendees polish their writing voices, increasing their brand value as writers ans elevating their wine knowledge with themes prevalent in contemporary wine writing and networking with their peers. 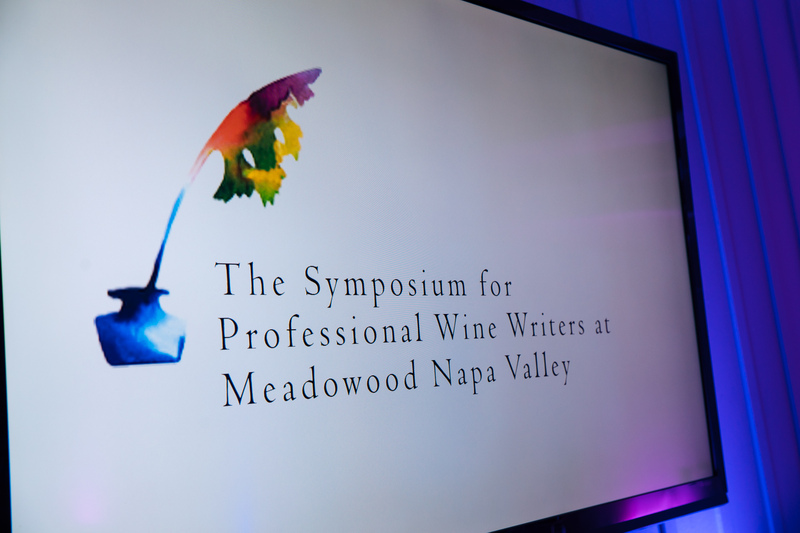 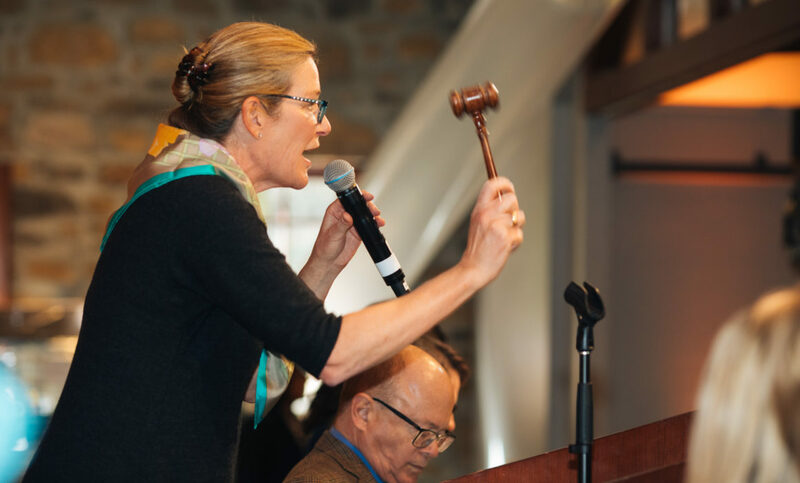 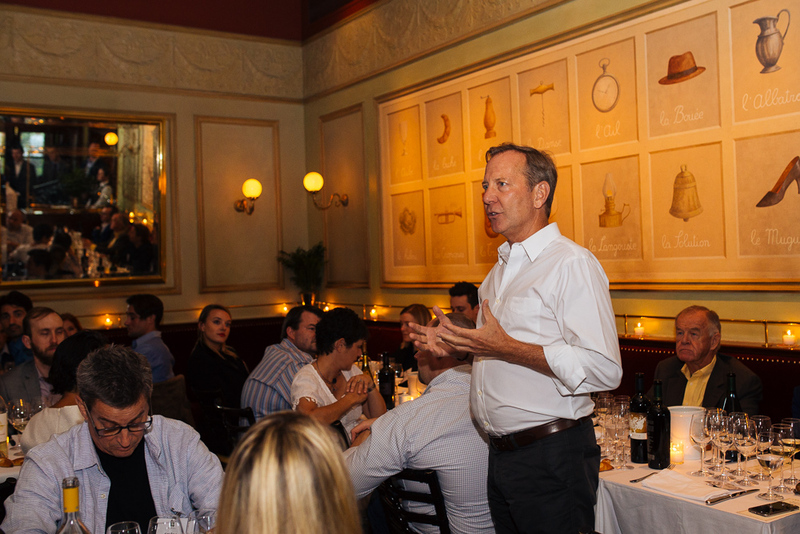 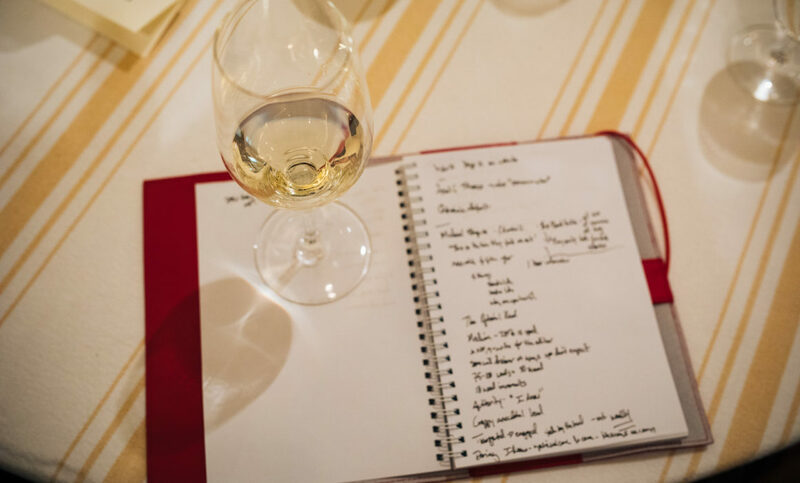 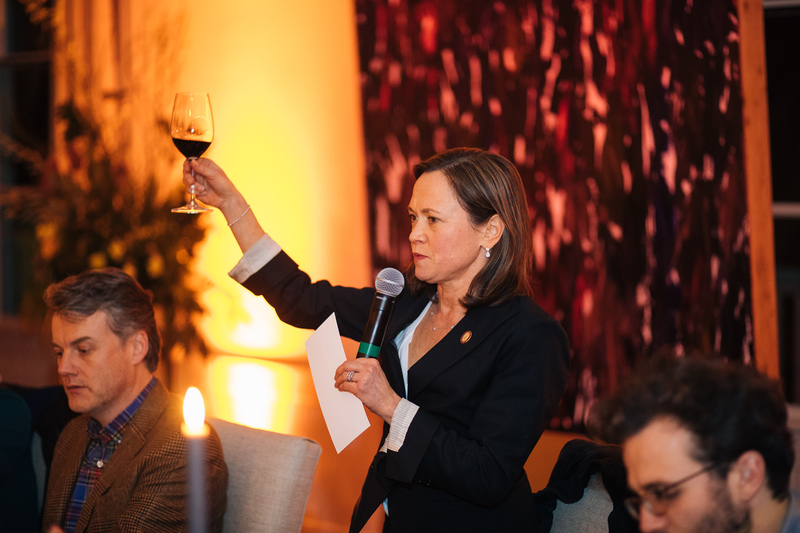 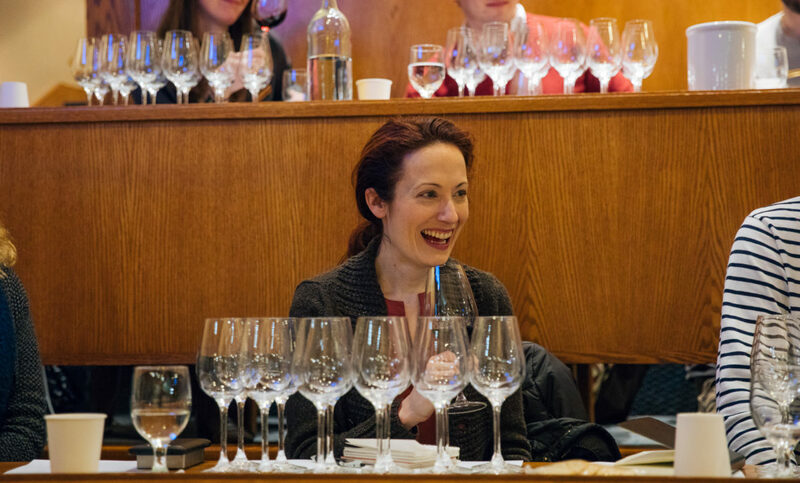 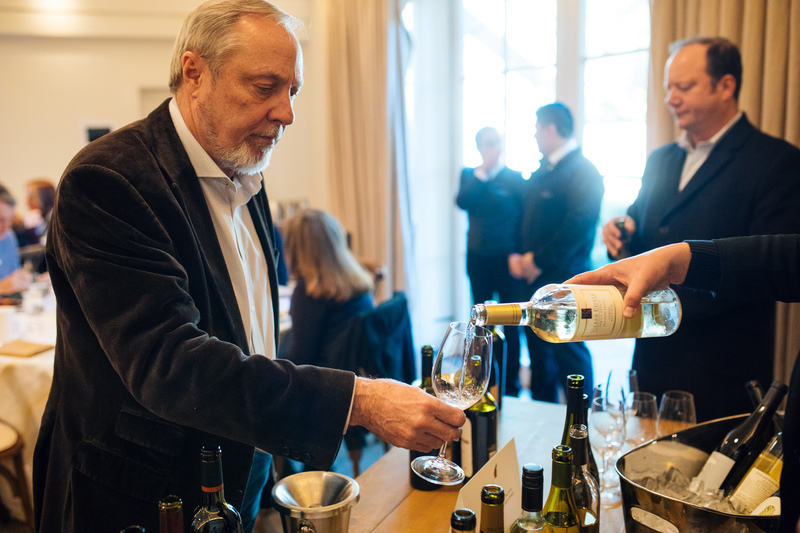 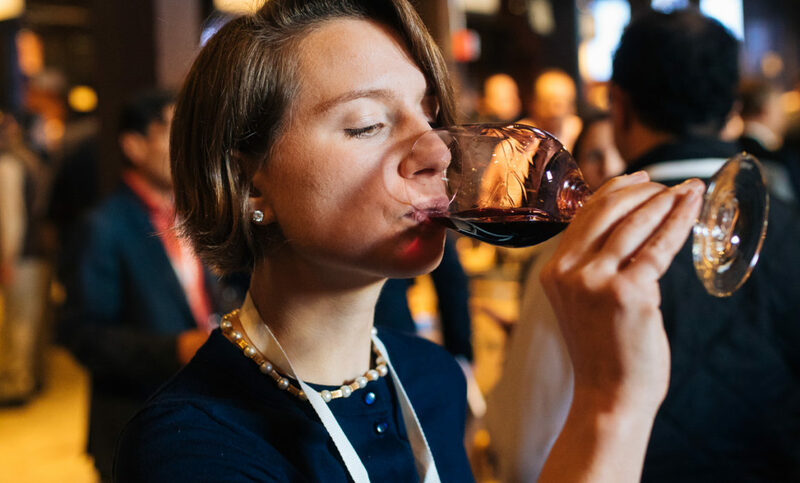 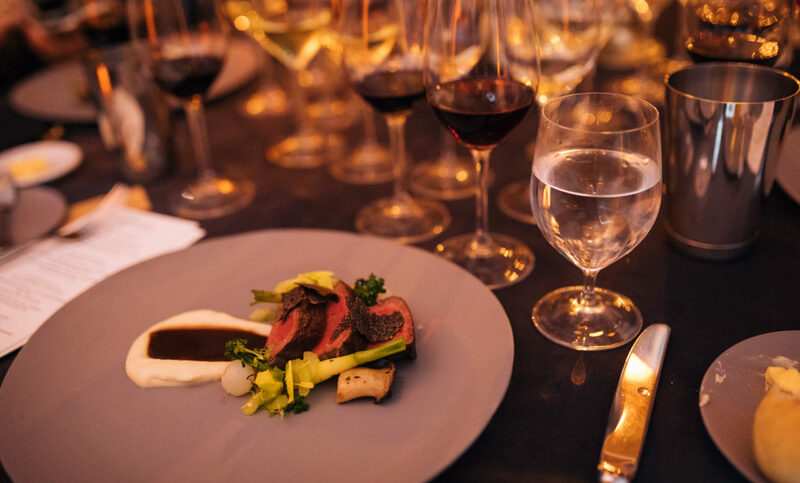 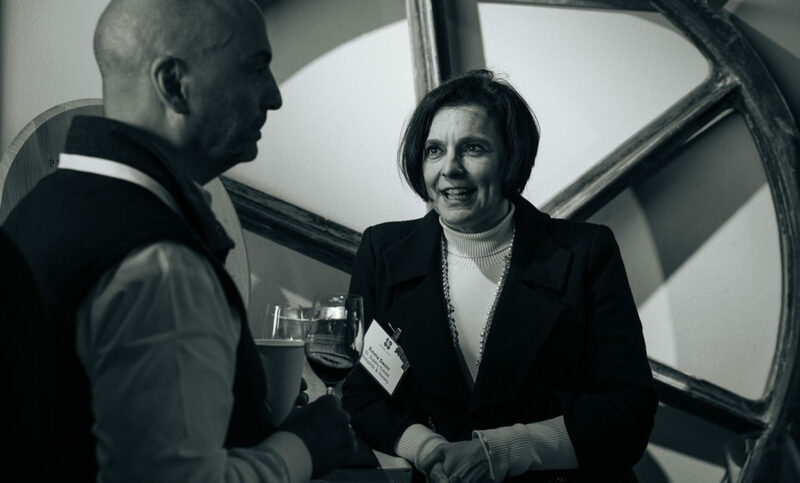 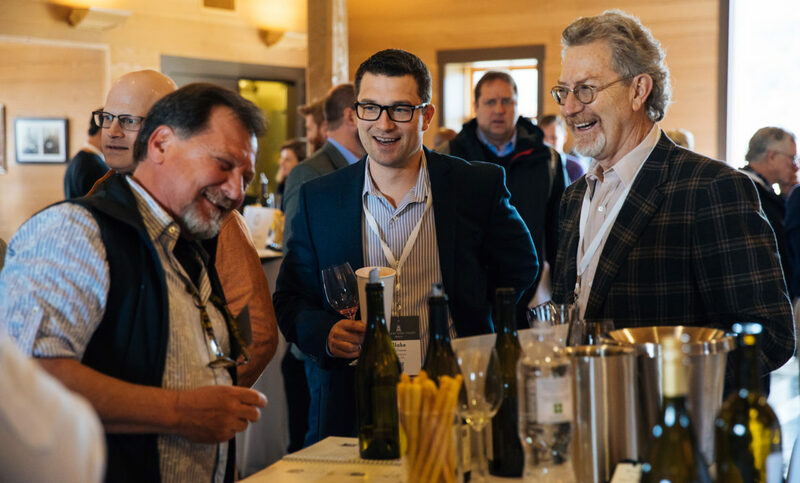 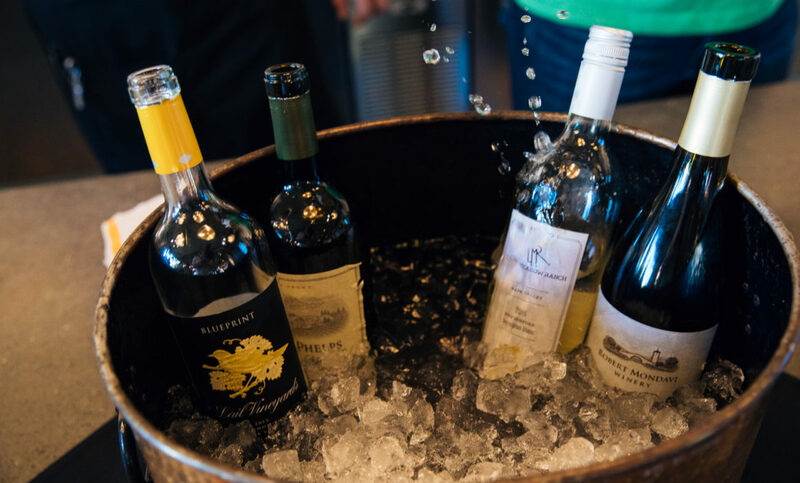 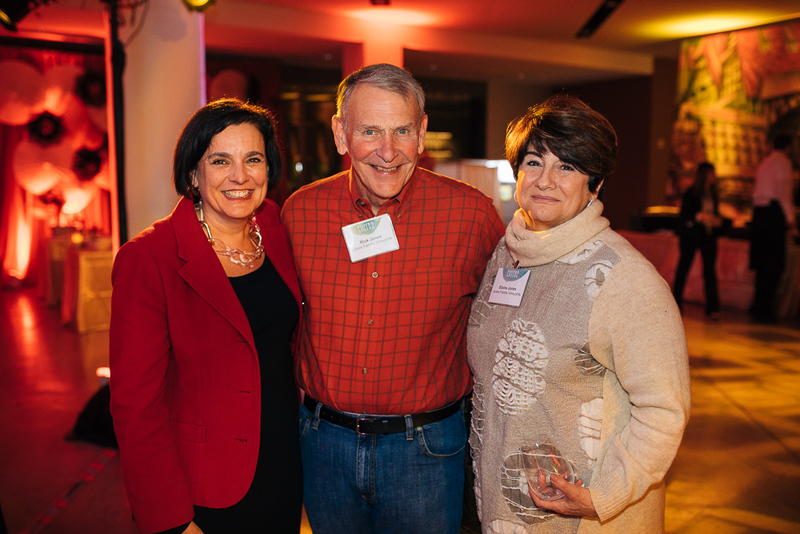 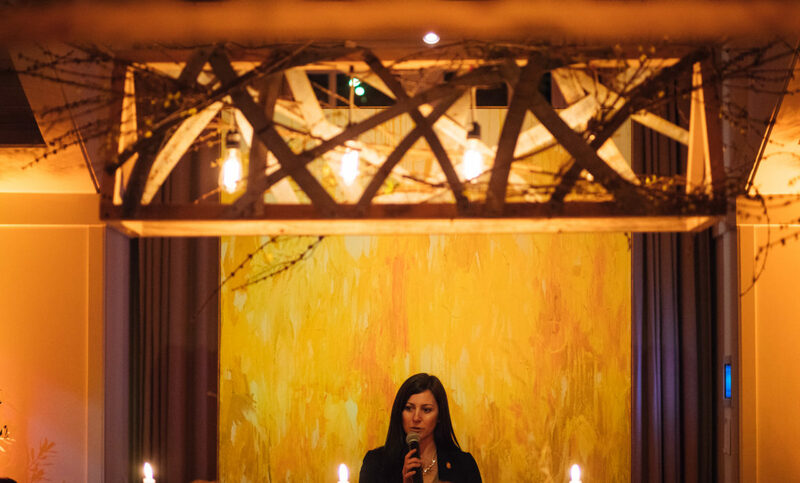 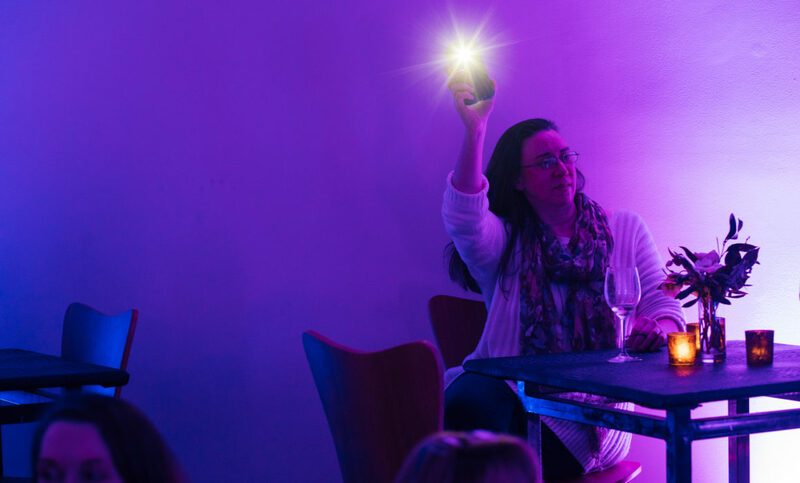 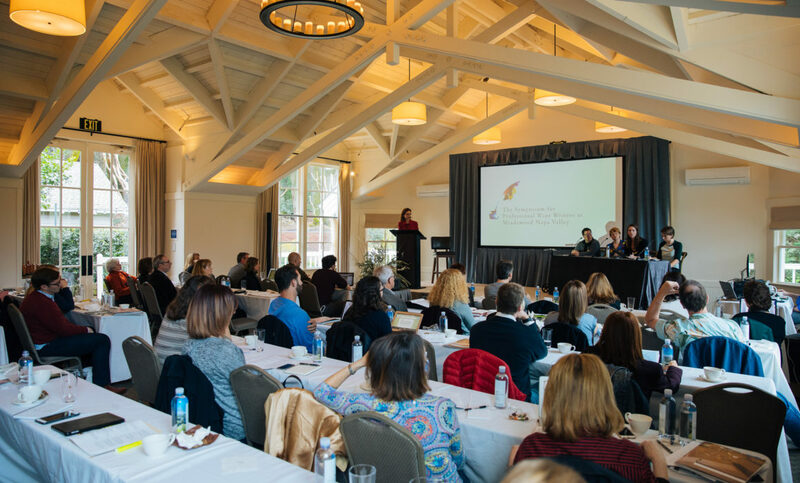 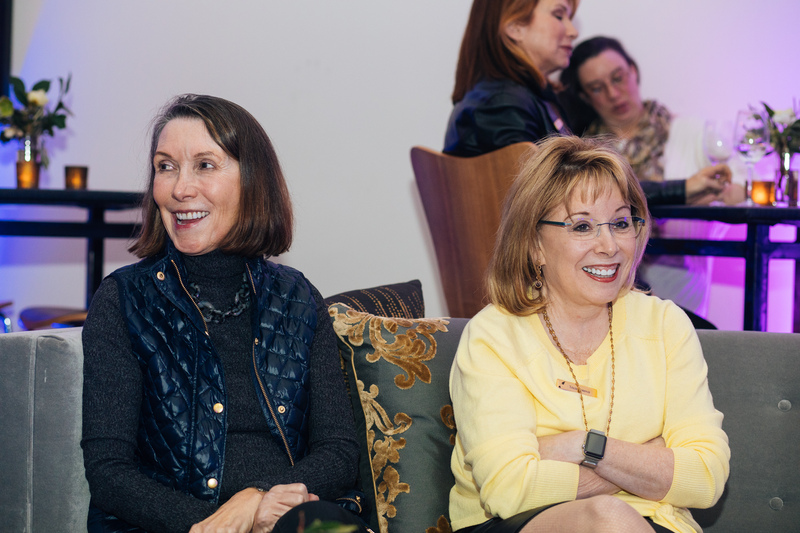 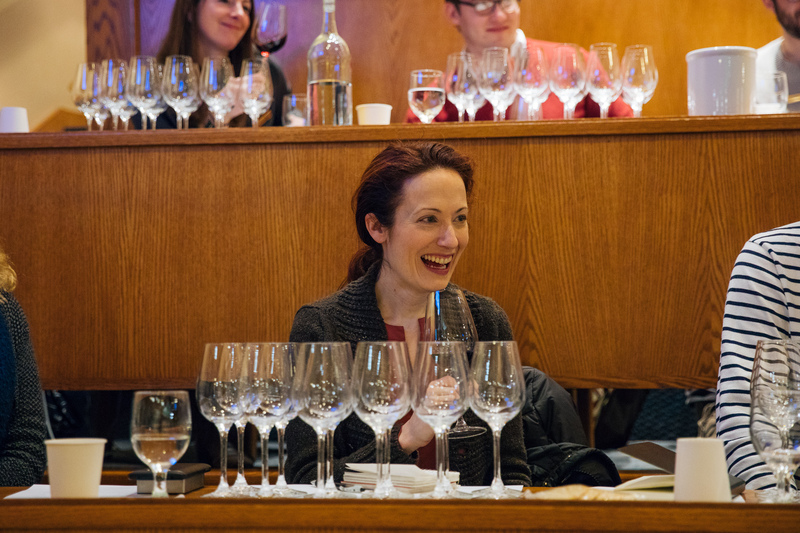 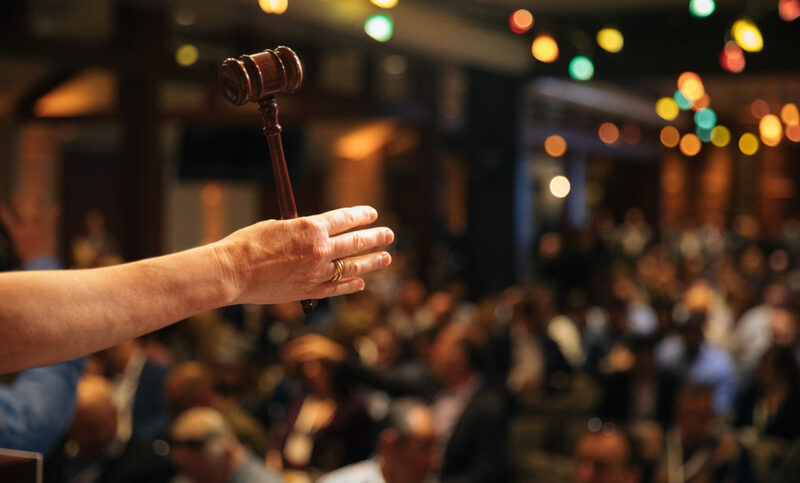 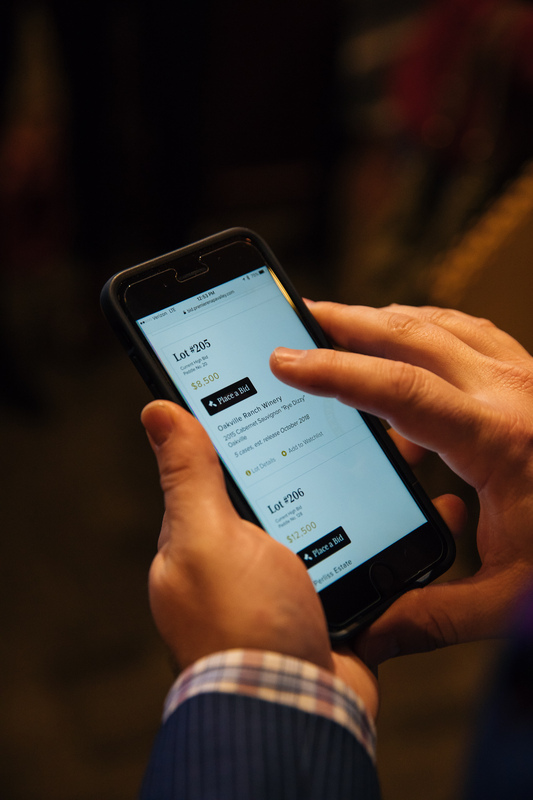 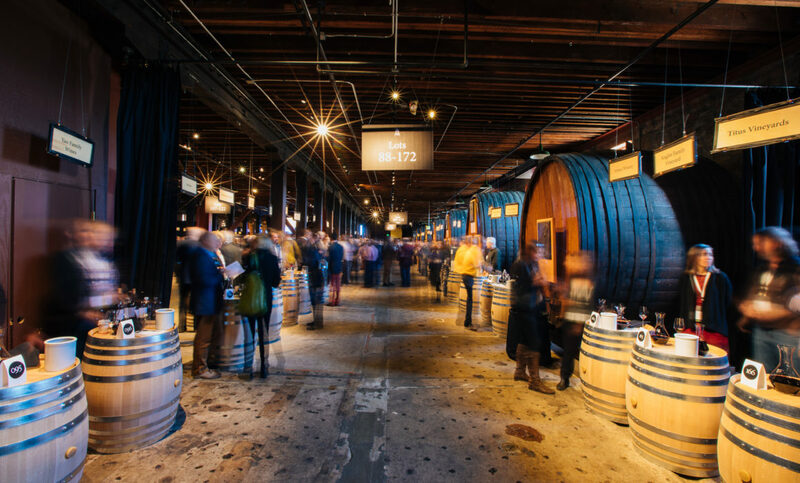 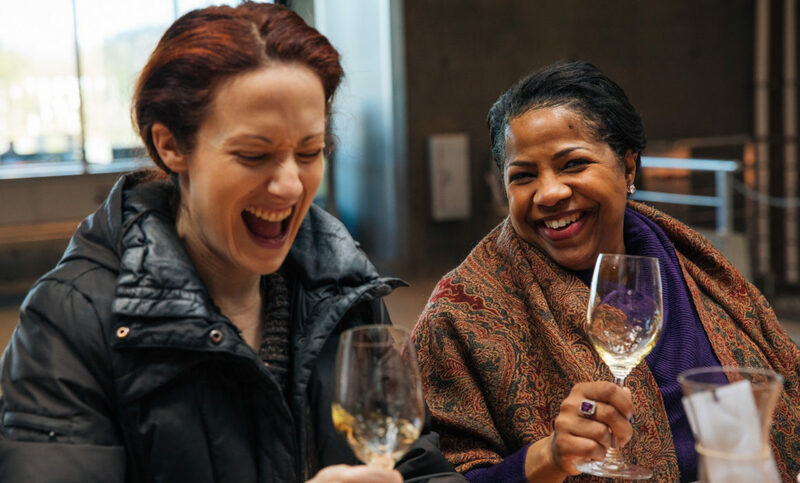 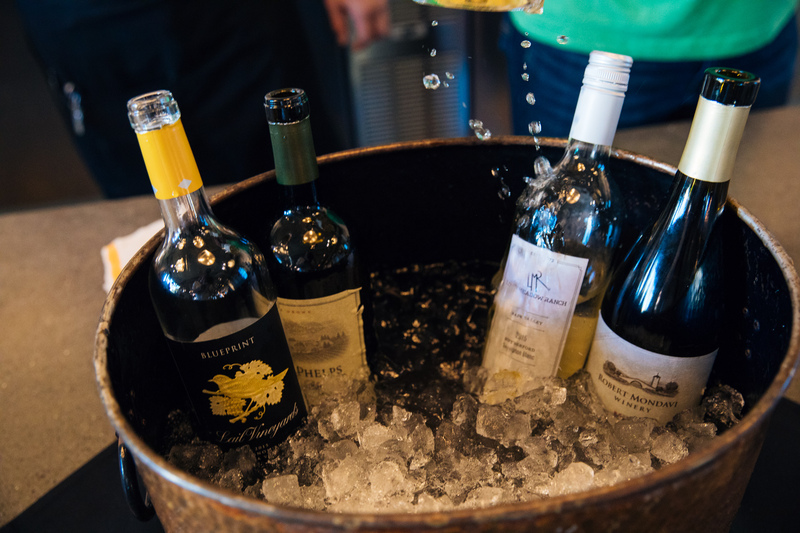 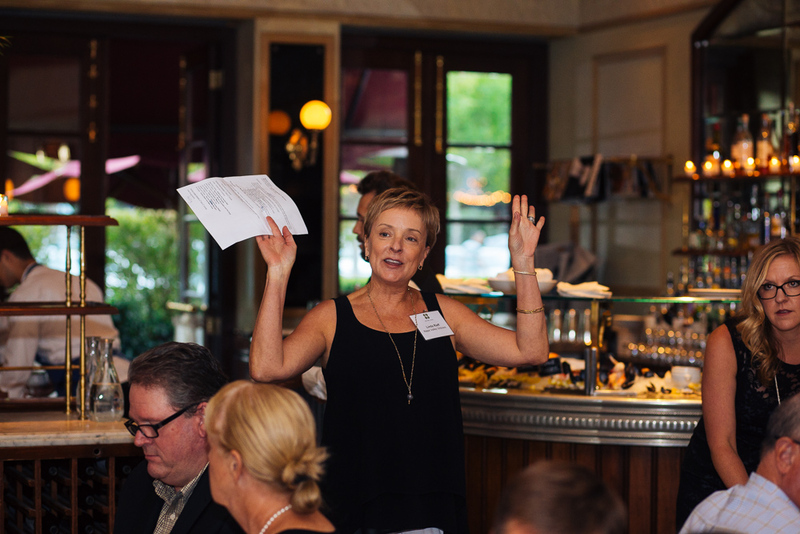 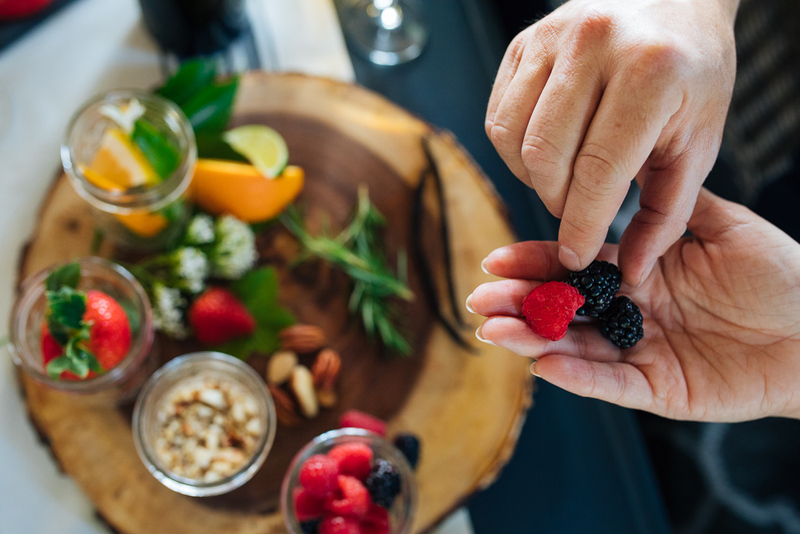 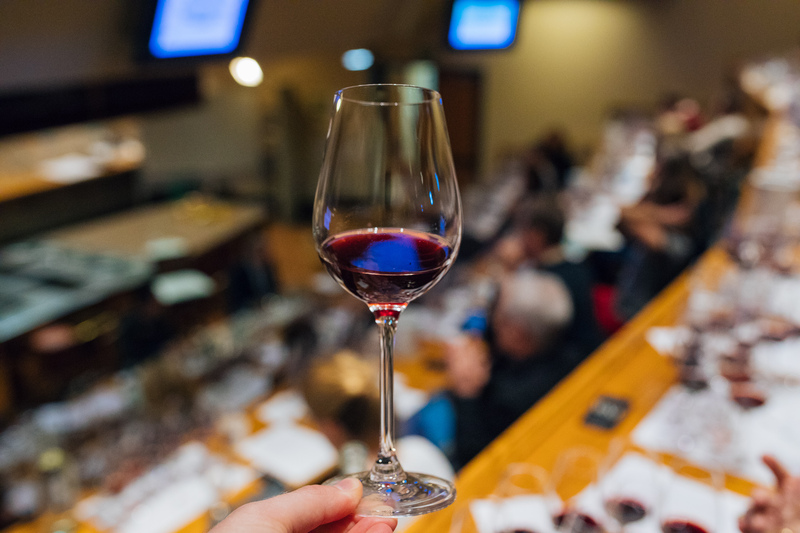 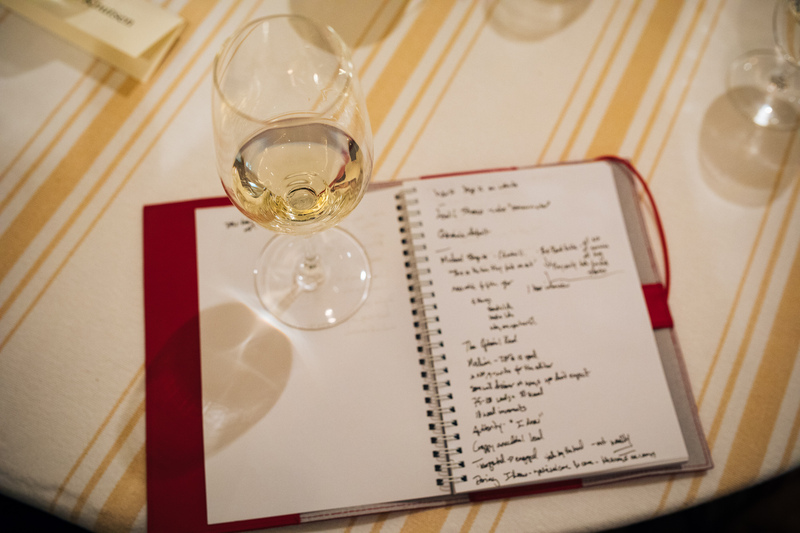 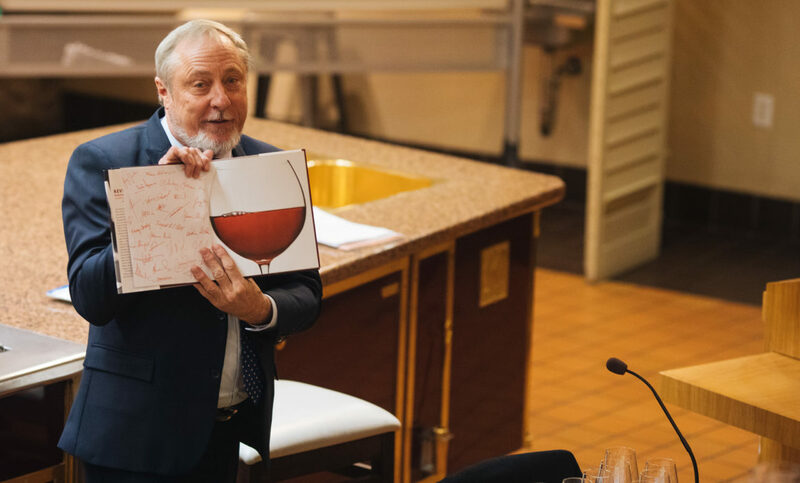 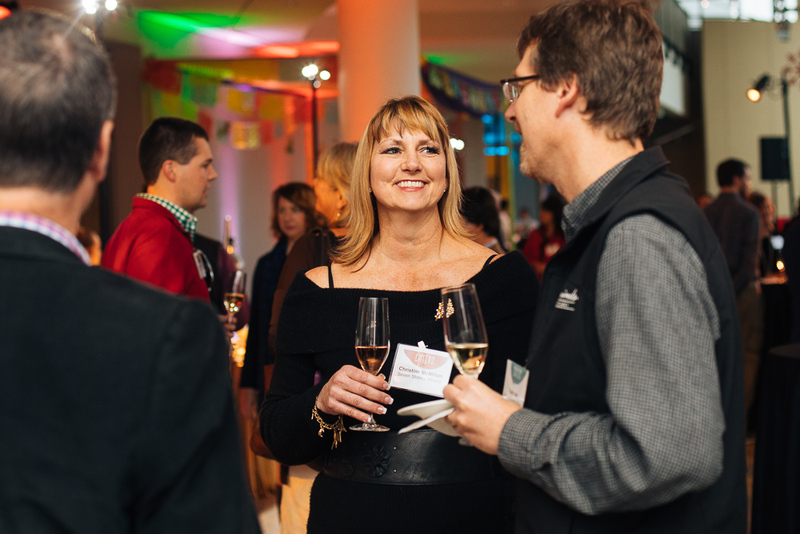 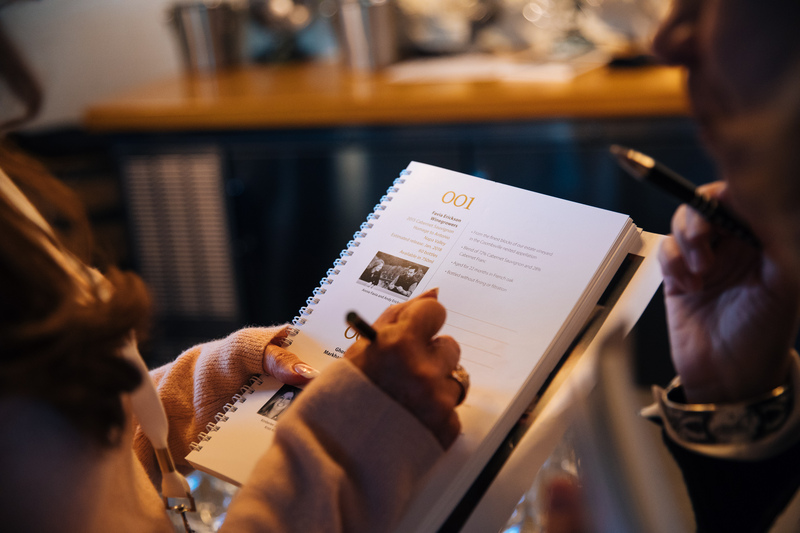 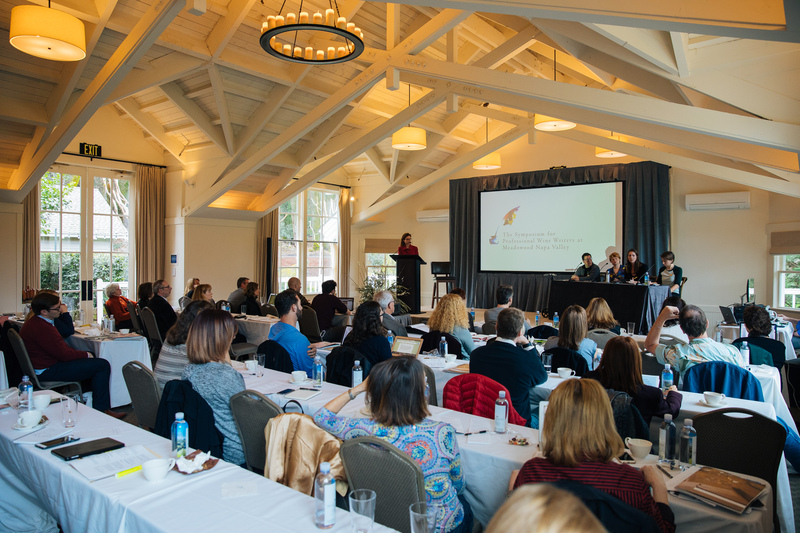 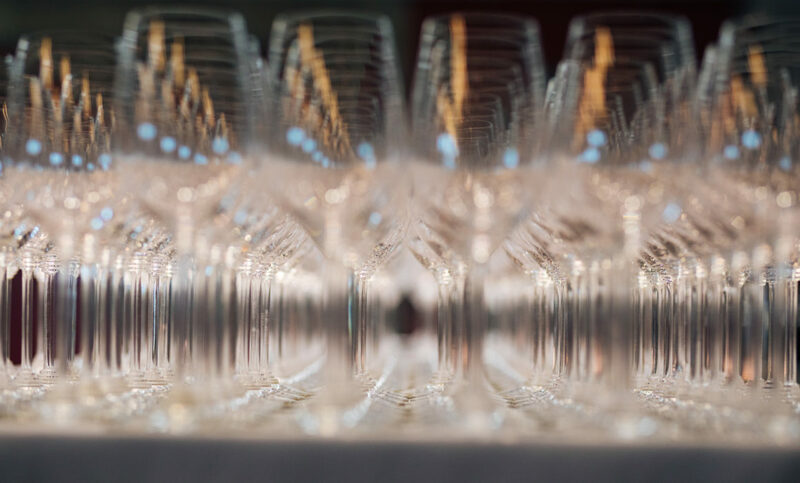 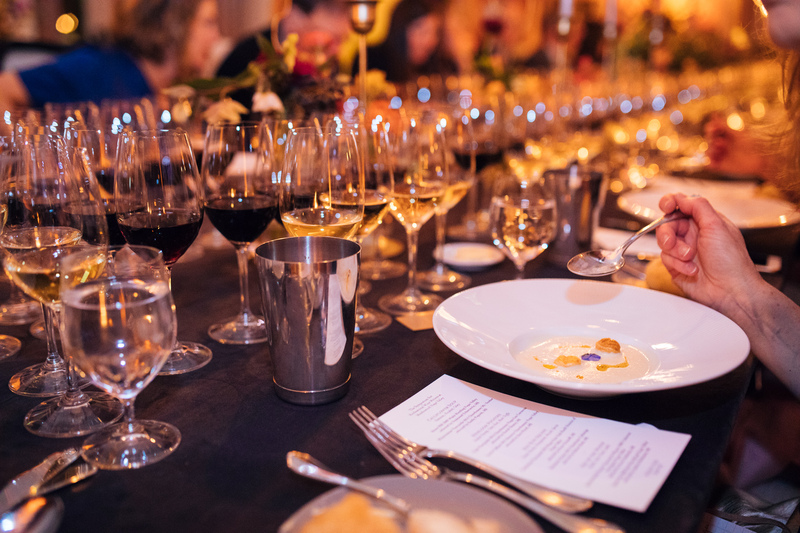 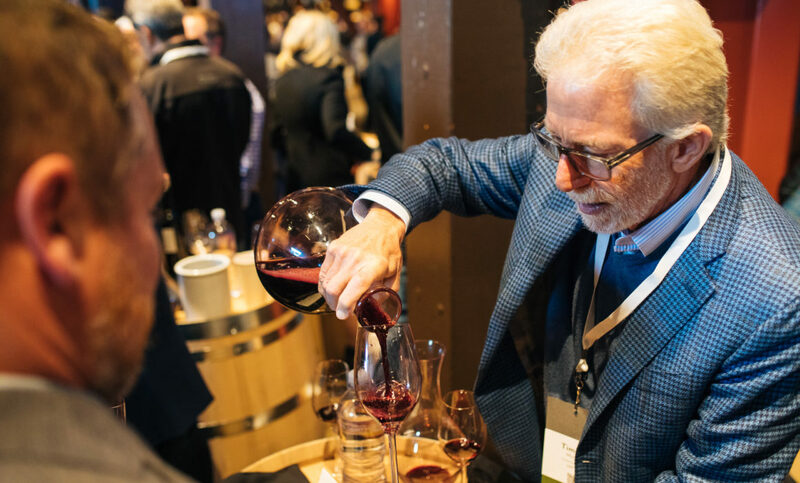 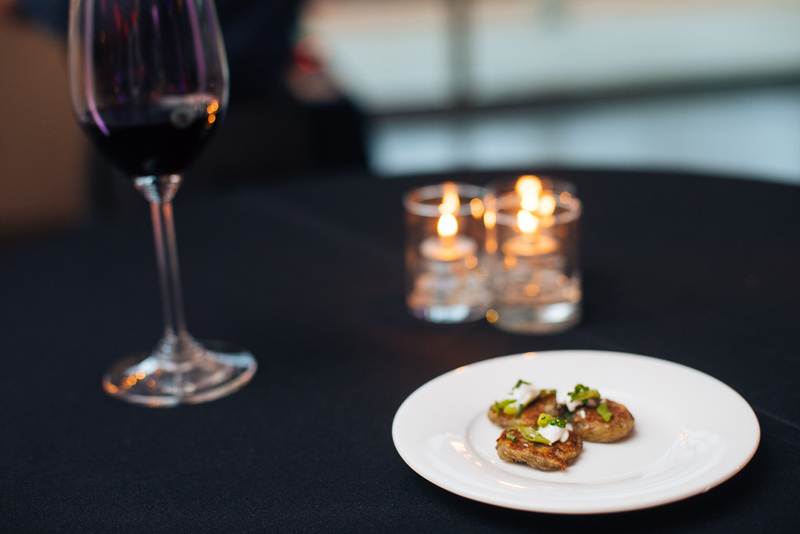 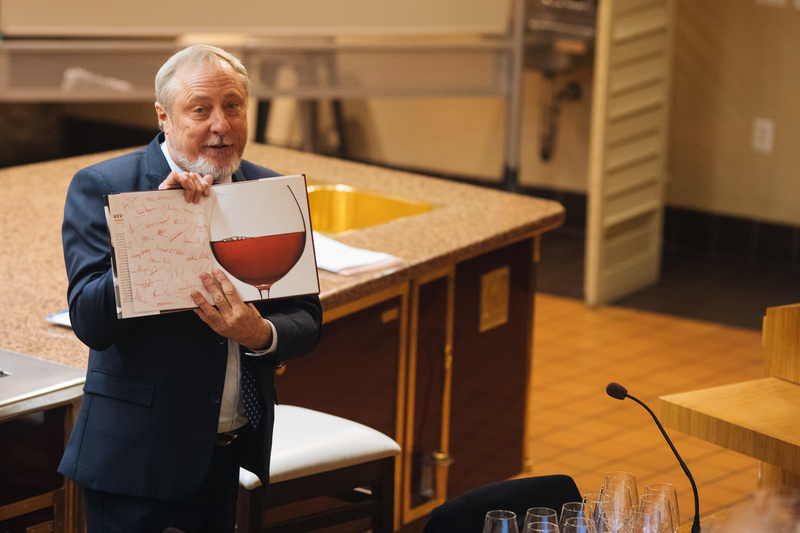 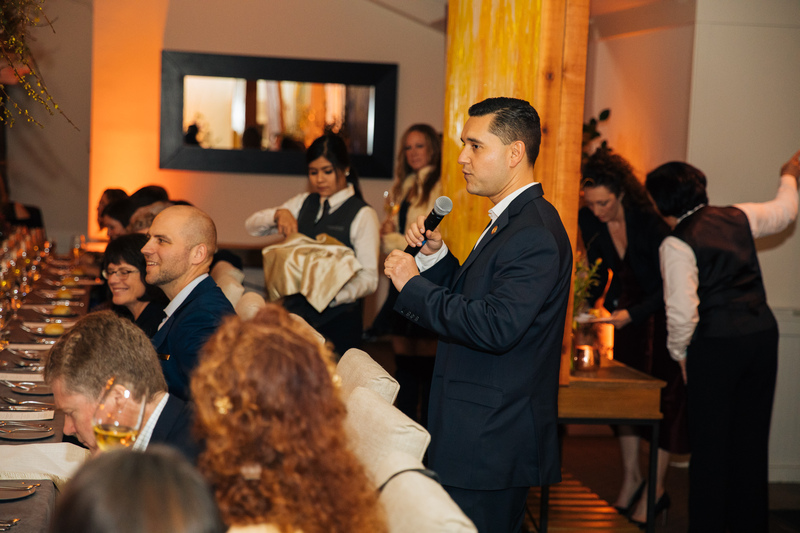 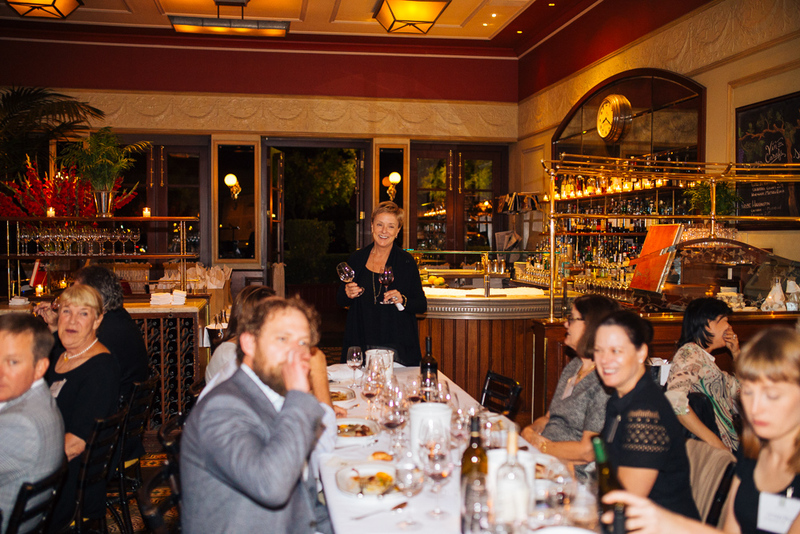 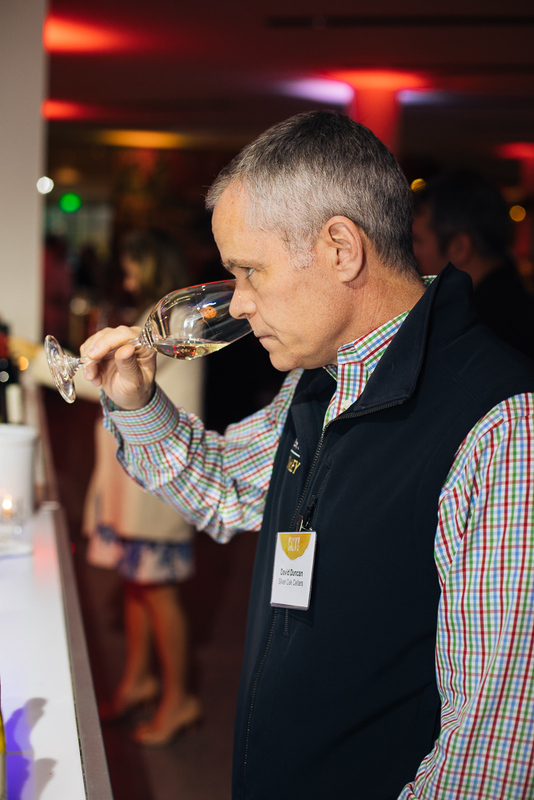 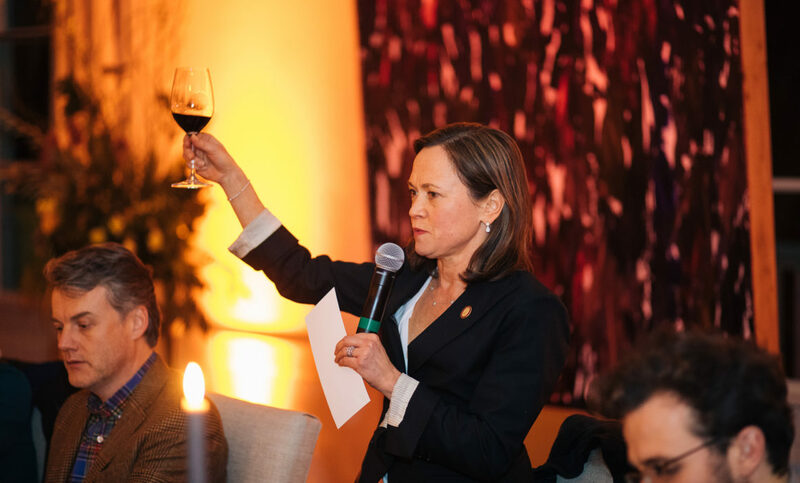 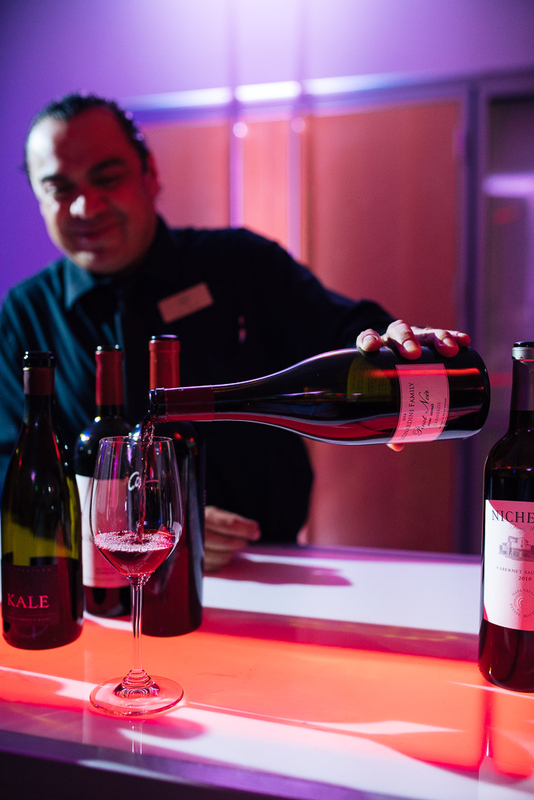 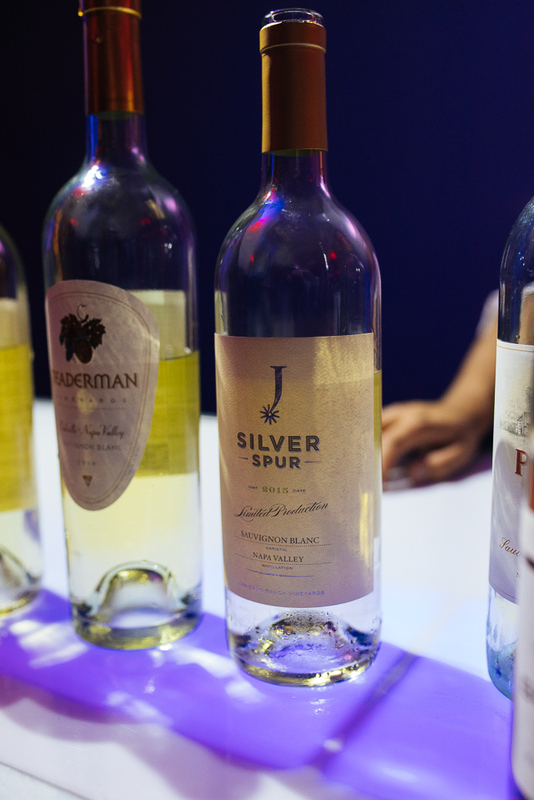 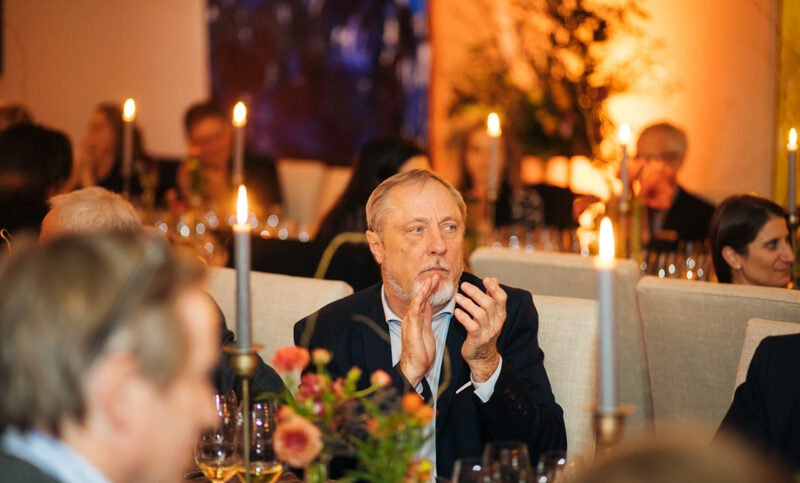 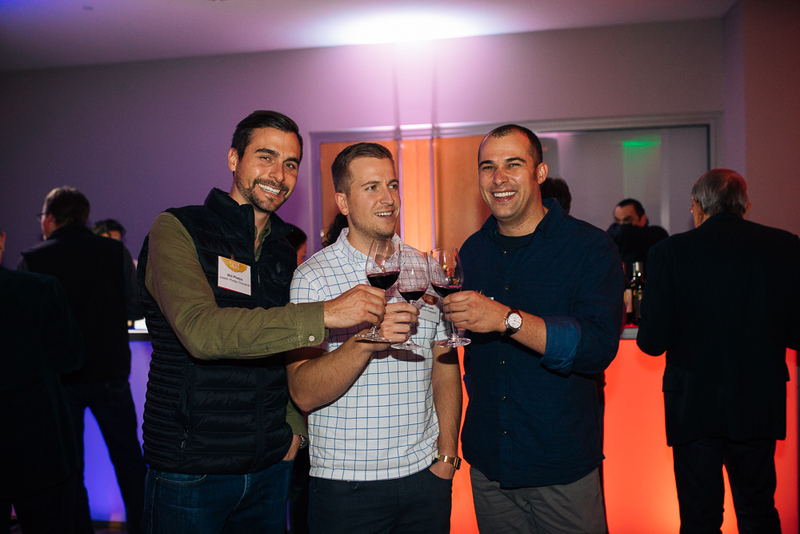 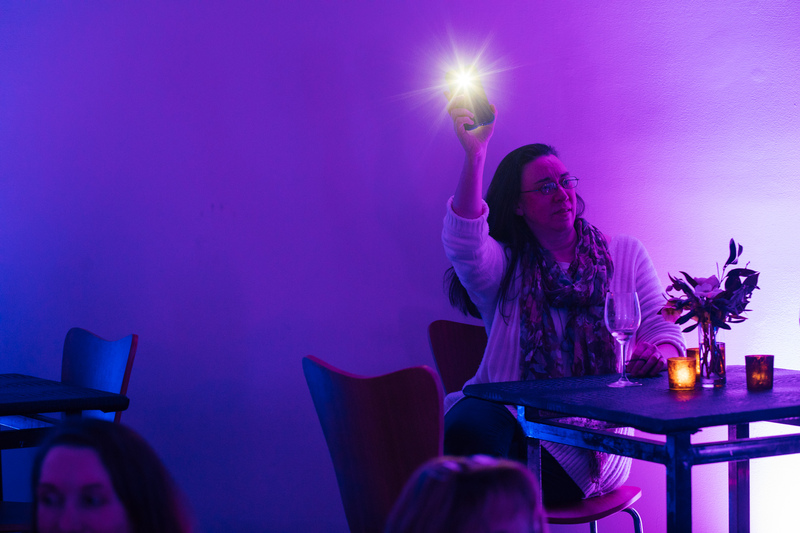 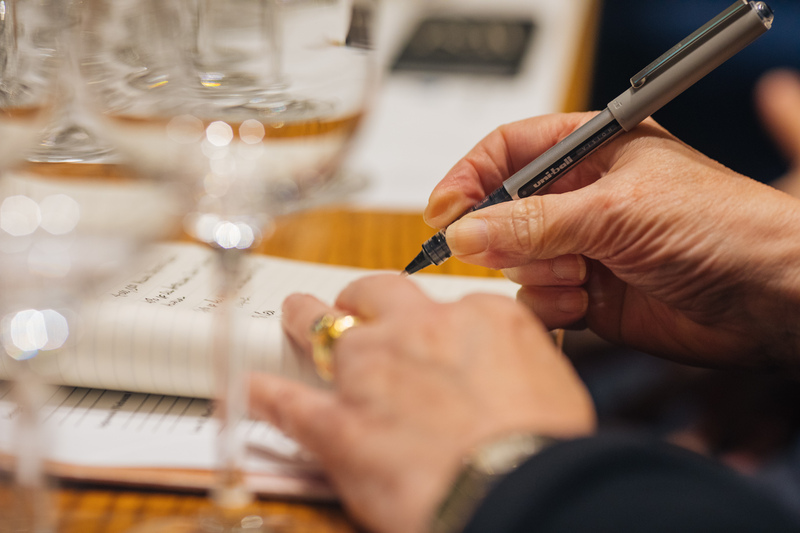 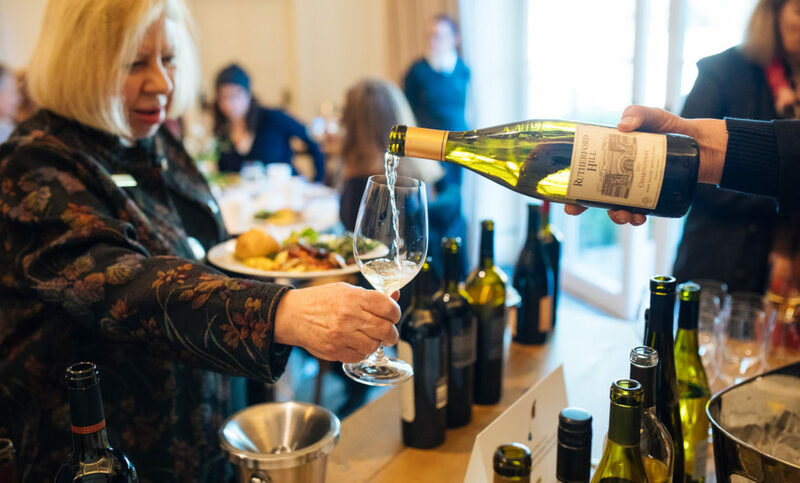 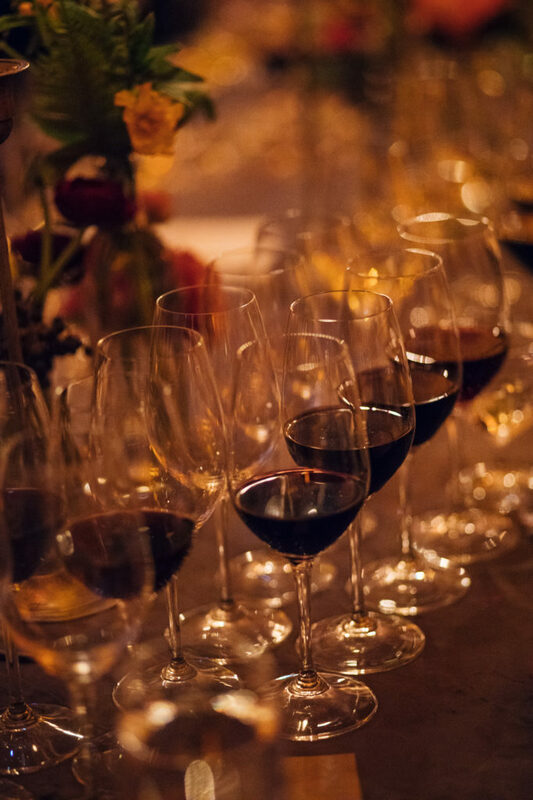 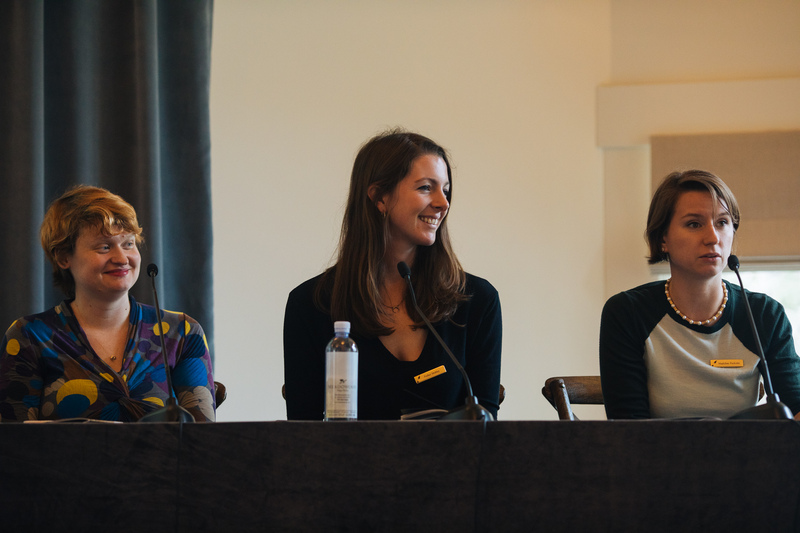 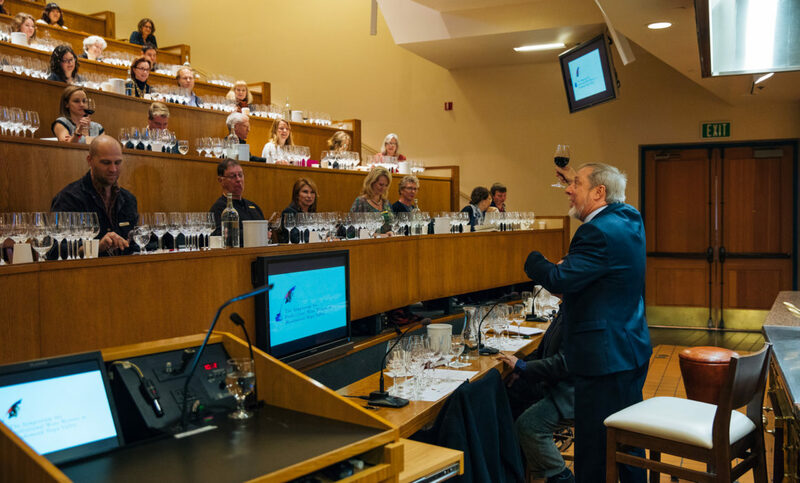 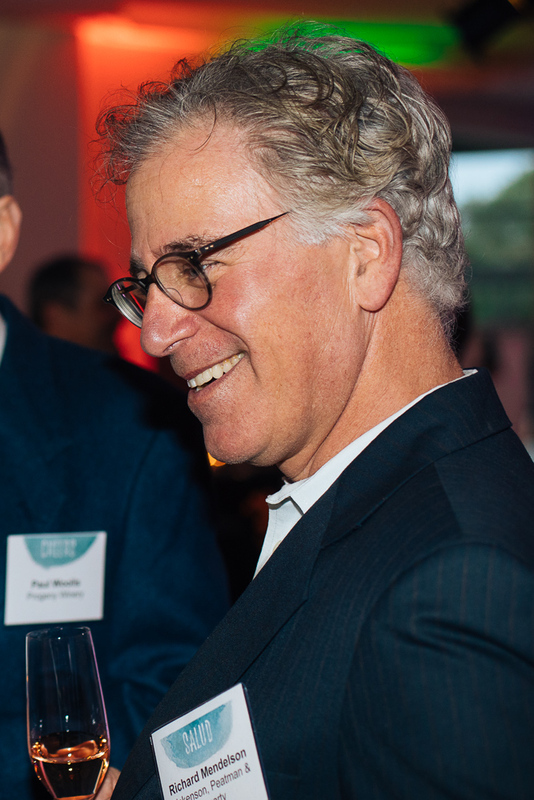 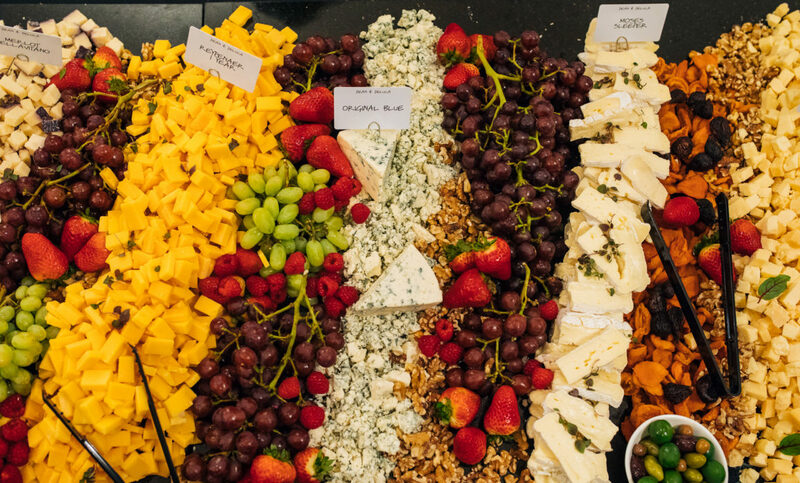 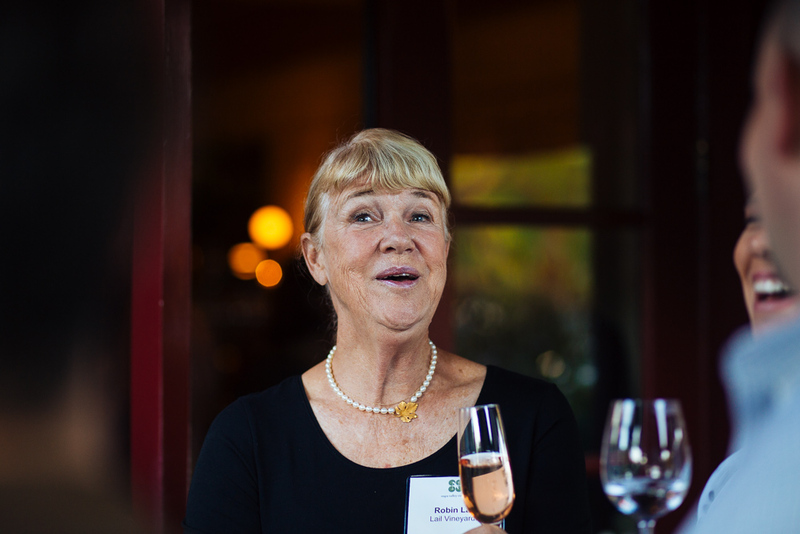 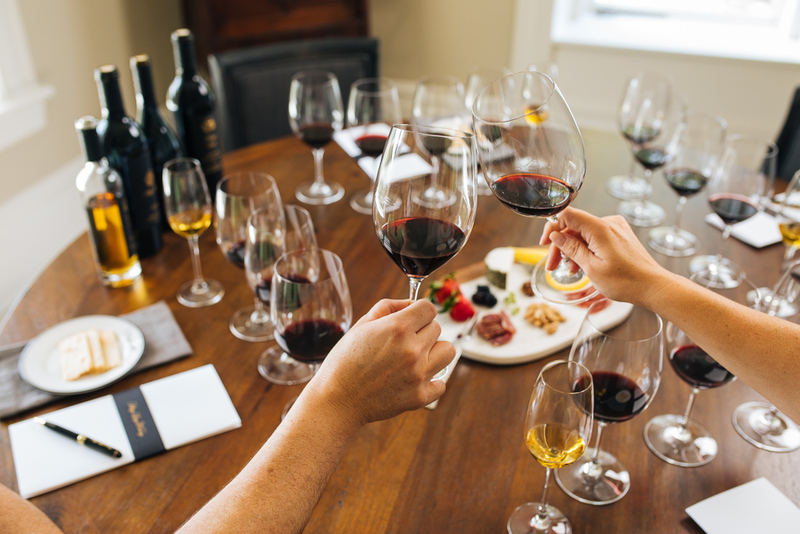 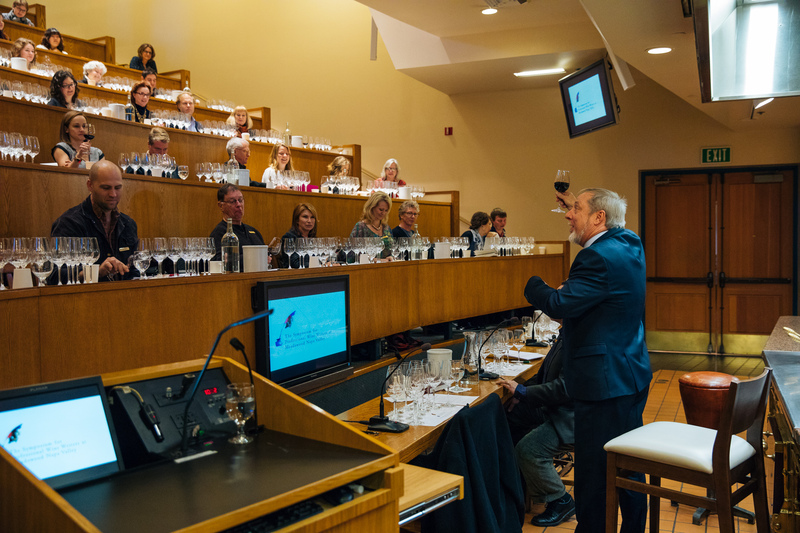 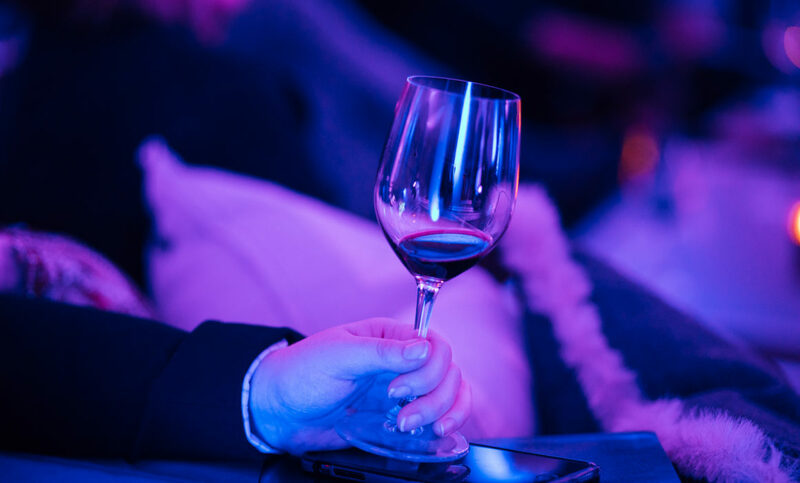 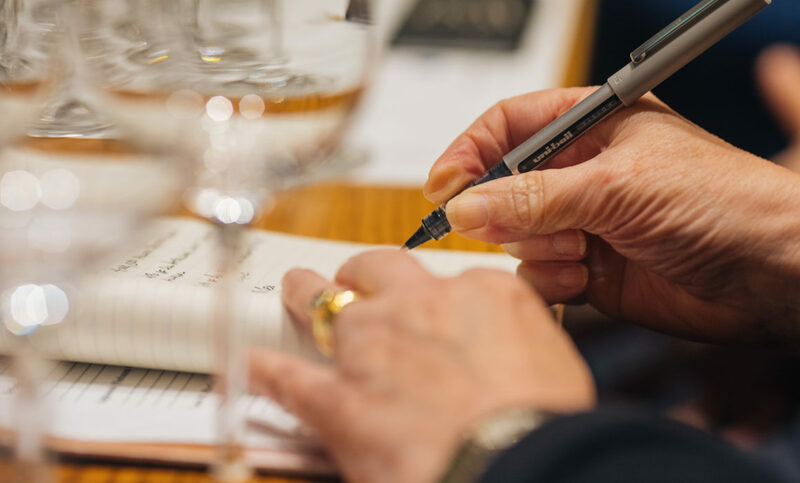 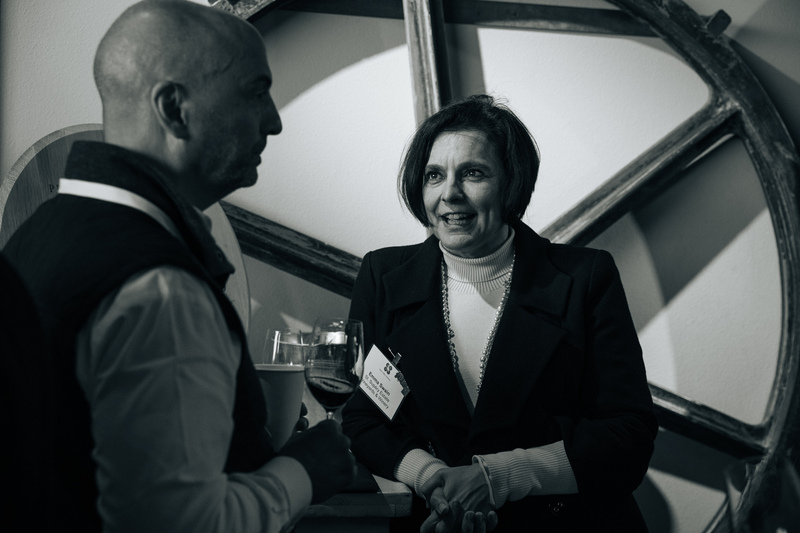 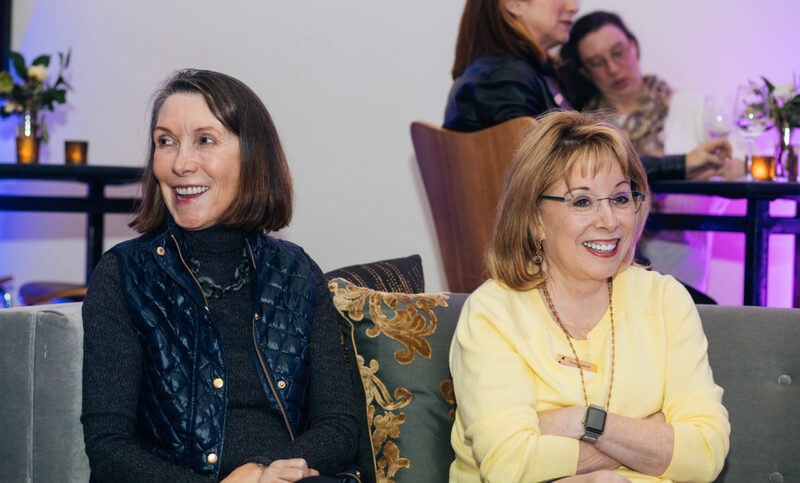 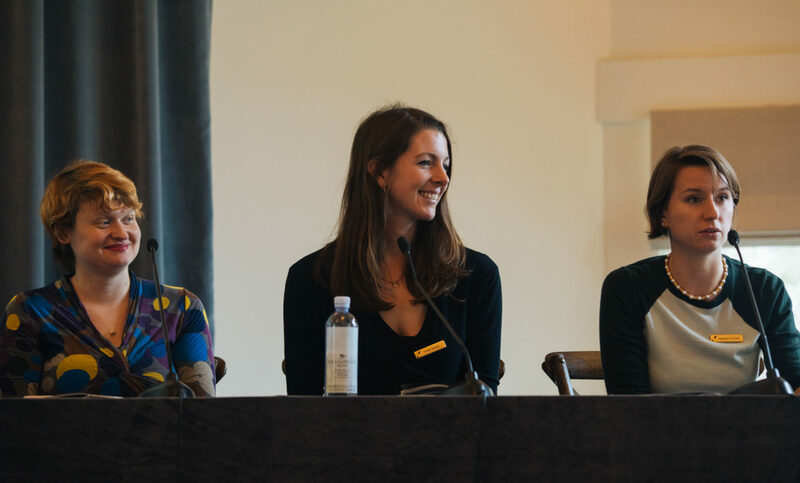 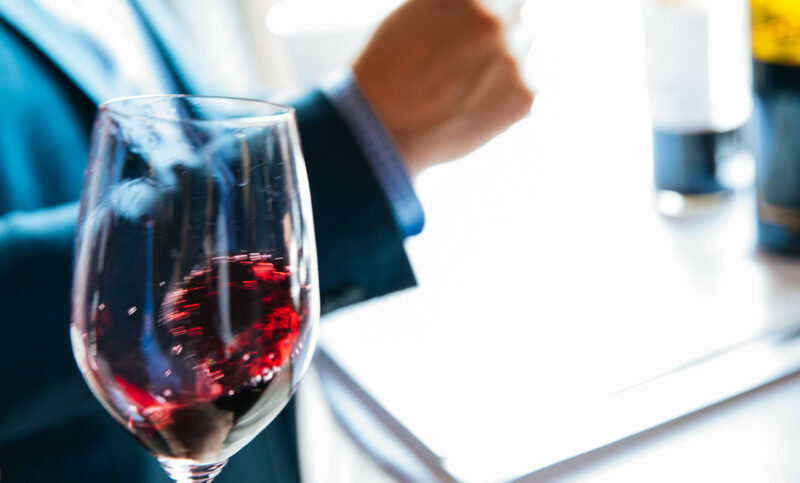 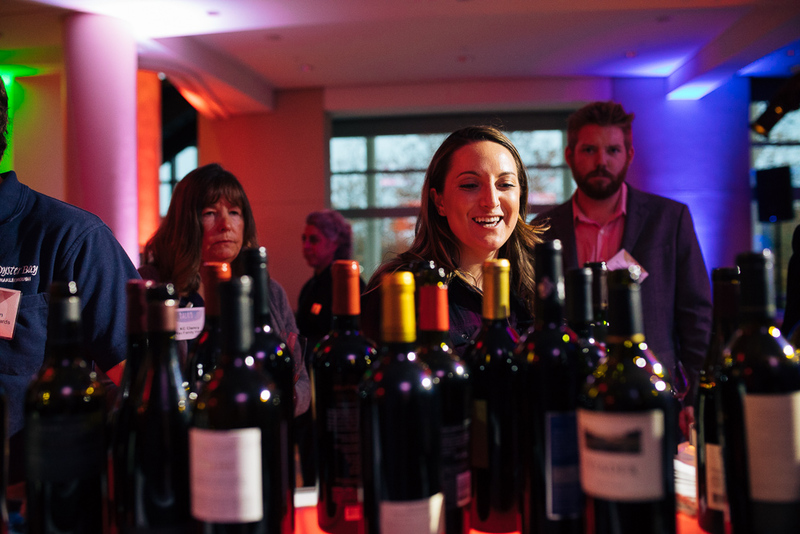 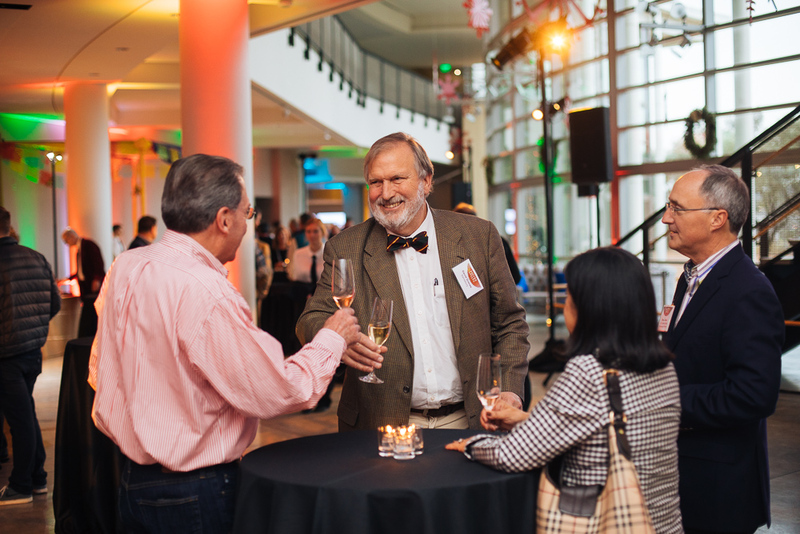 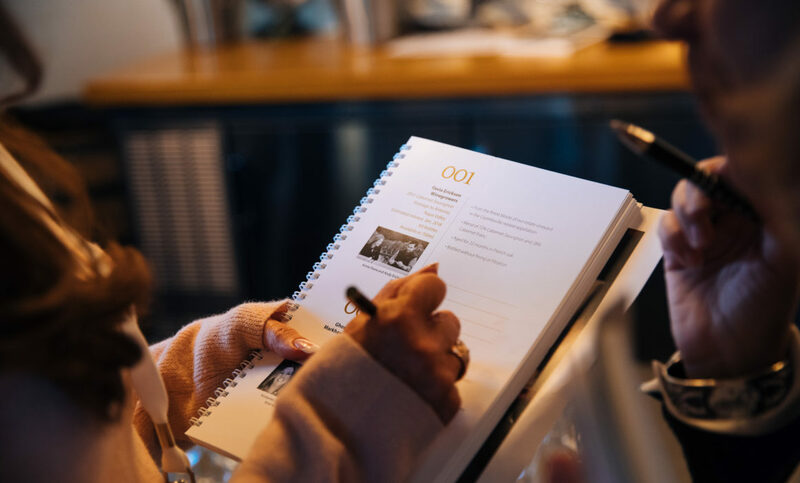 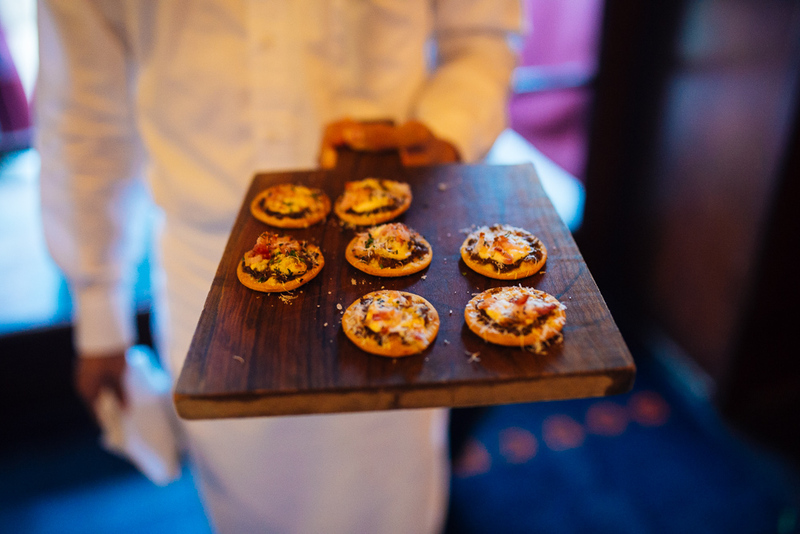 A combination of lectures, panel discussions, group and individual writing sessions, wine tasting and fine dining make the Symposium an unparalleled career enrichment opportunity for editorial wine, wine-food and wine-travel writers. 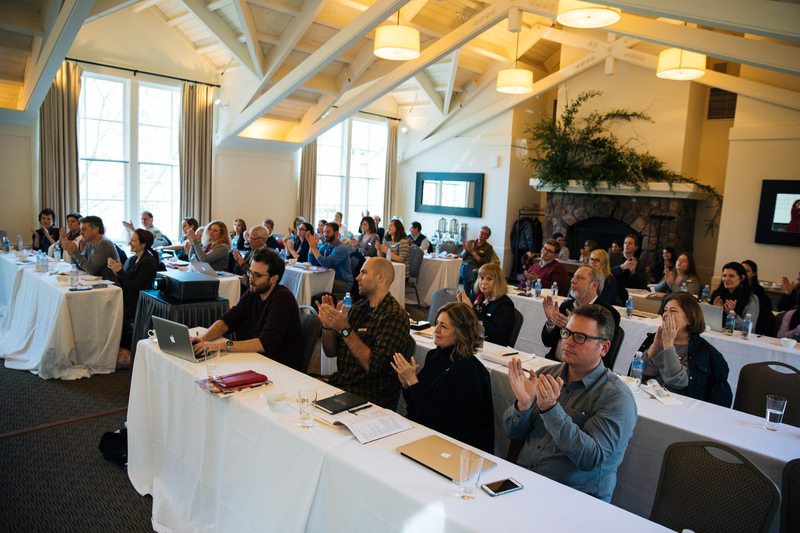 I have been fortunate enough to photograph this annual event on a number of occasions, but 2017’s lineup of presenters was truly one for the books. 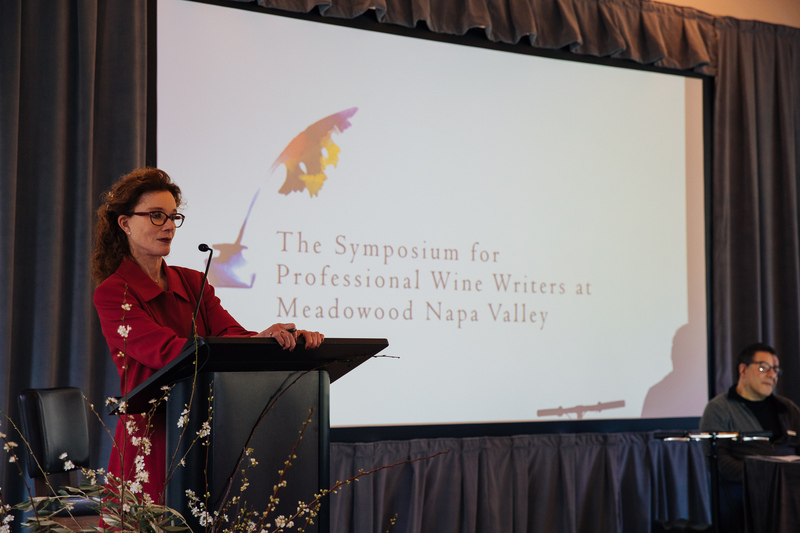 Keynote speaker Kevin Zraly was among a robust faculty of writers, editors and coaches including Richard Bradley (Editor-in-chief, Worth Magazine), Evan Goldstein (MS and author), Jim Gordon (Editor, Wines & Vines), Paul Gregutt (Contributing Editor, Wine Enthusiast), Dianne Jacob (Writing Coach, author, freelance, editor), Chris Macias (Critic-at-large; The Sacramento Bee), Meredith May (Owner, The SOMM Journal and Co-founder: The Tasting Panel and The Clever Root), Madeline Puckette (co-founder and content director of Wine Folly), Leslie Sbrocco, author, speaker, consultant, television host; Julia Cosgrove, vice president and editor-in-chief, AFAR; Esther Mobley, wine, beer and spirits writer, San Francisco Chronicle; Michael Shapiro, journalism professor, founder of The Big Roundtable; and Chris Knutsen, executive editor, Wall Street Journal Magazine NVV and Meadowood, thank you for allowing me the opportunity to help illustrate this incredible event once again! 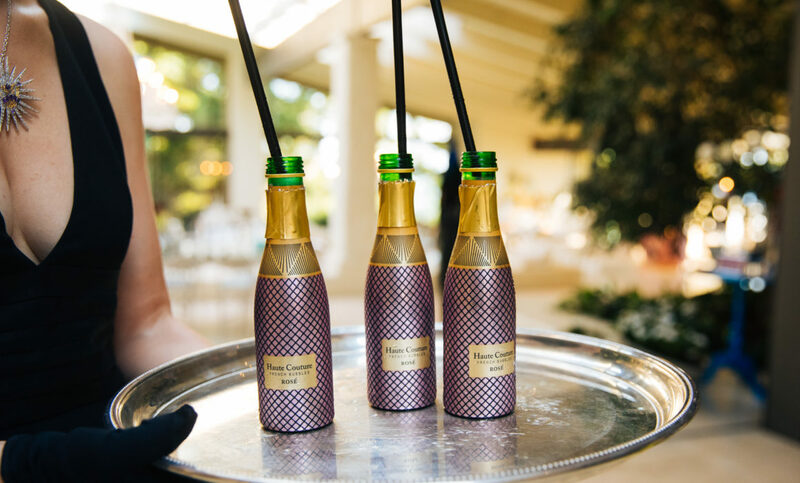 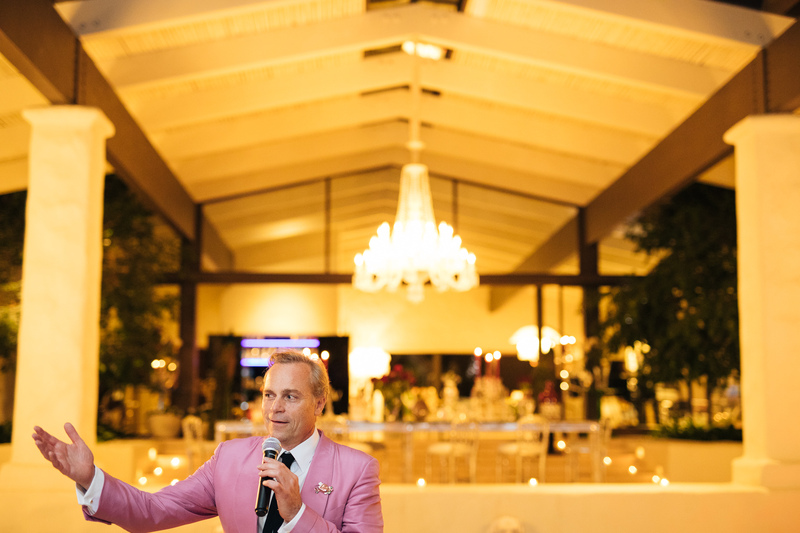 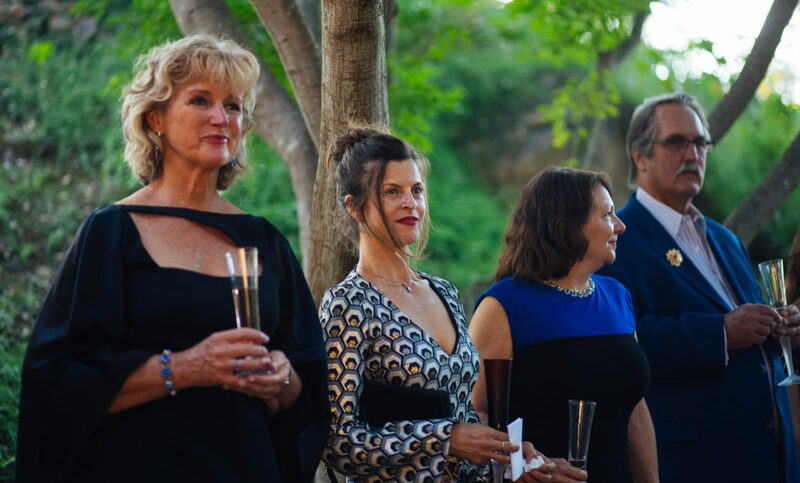 Perched high atop Wappo Hill on a warm summer’s night, glamorous guests adorned in Rubin Singer gowns softly clinked their crystal flutes sparkling with JCB Haute Couture French bubbles. 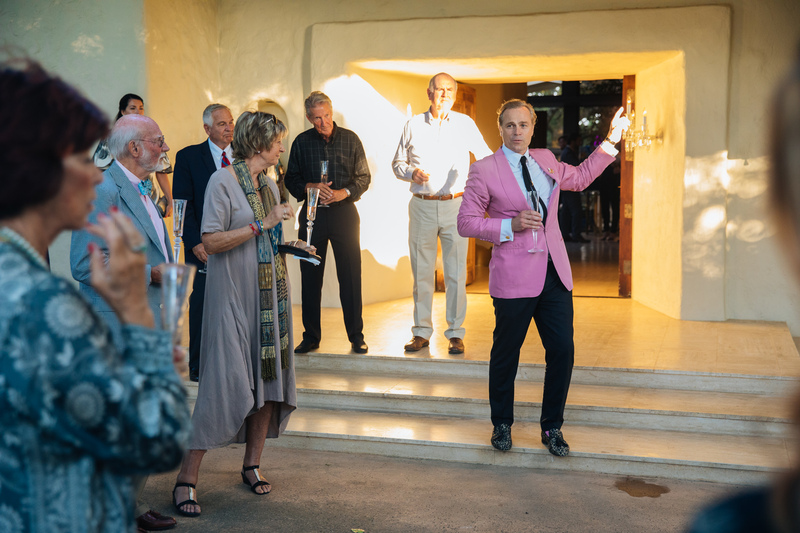 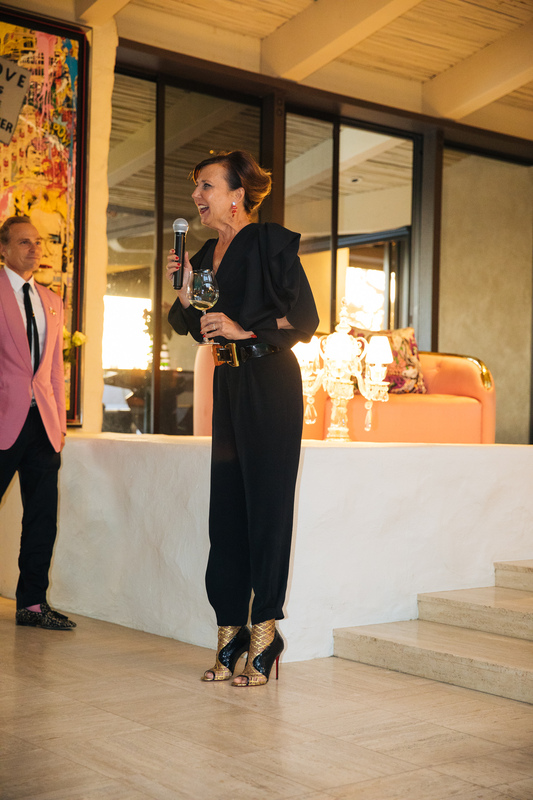 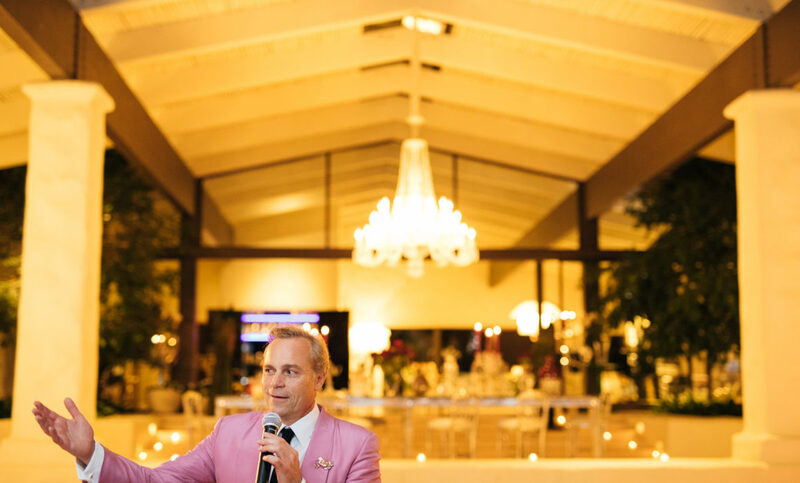 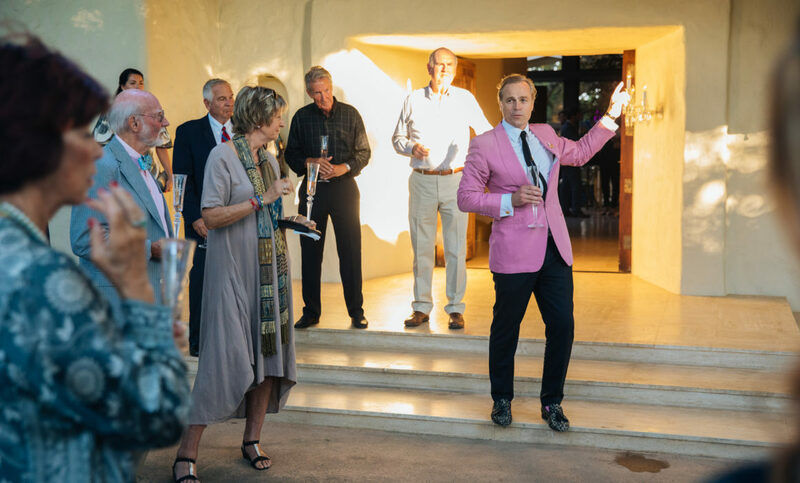 The setting sun cast a warm glow on the historic Wappo Hill home, which tonight was graciously opened up by legendary vintners Gina Gallo and Jean-Charles Boisset. 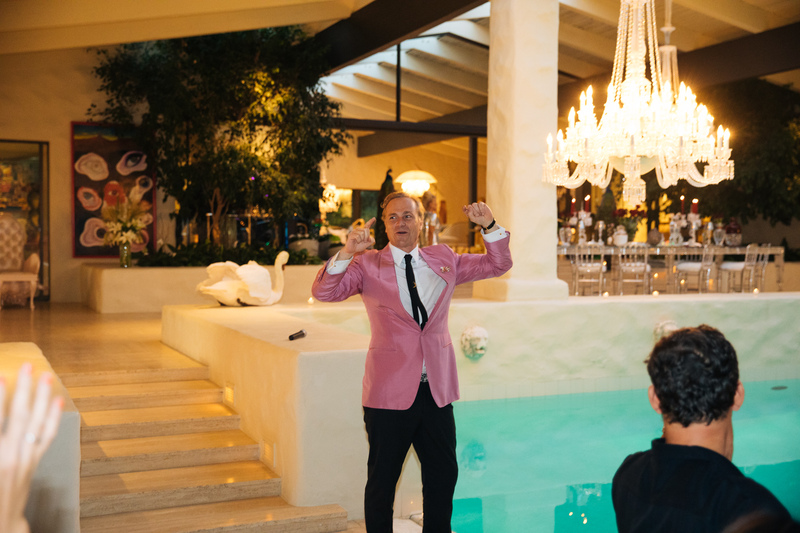 However, the glamor and beauty of this evening went far beyond the fine wine and couture fashion. 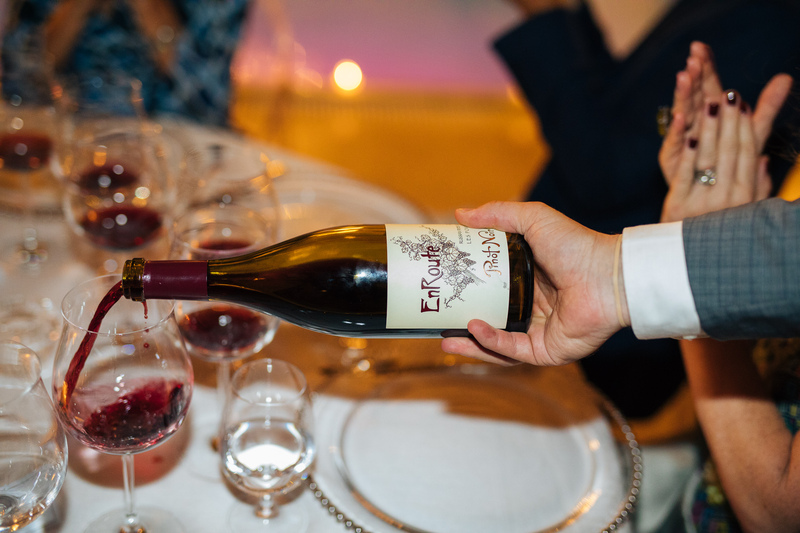 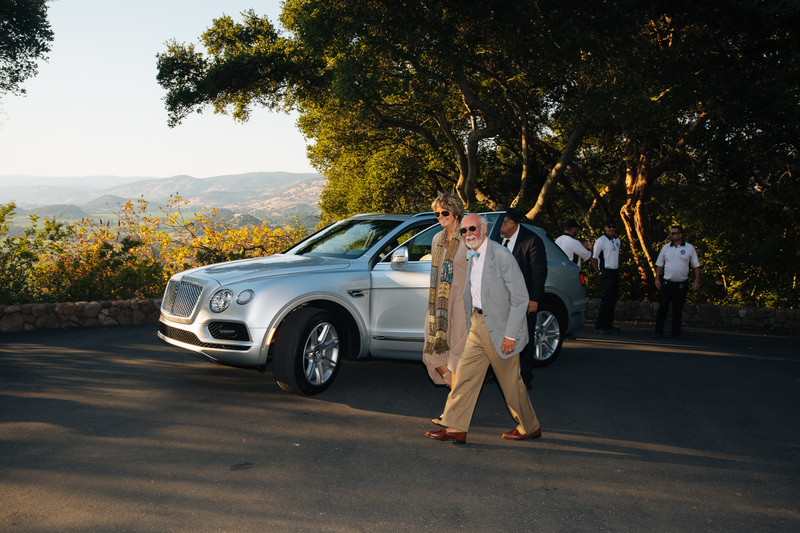 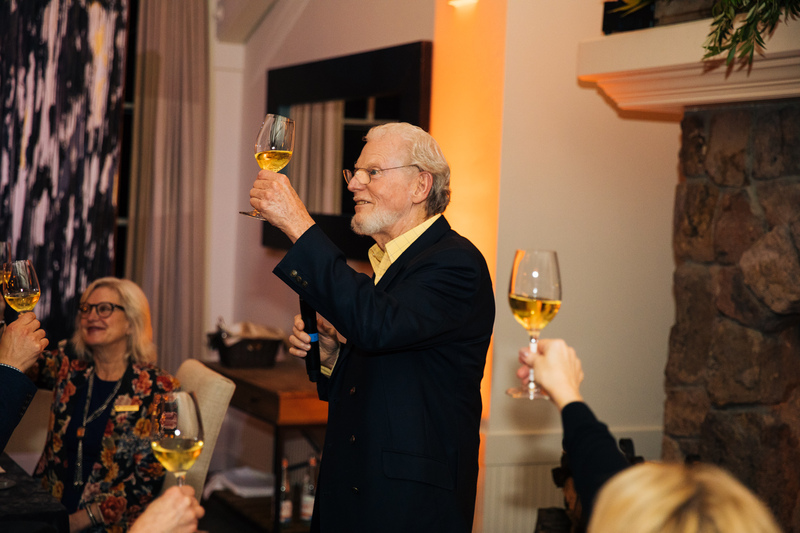 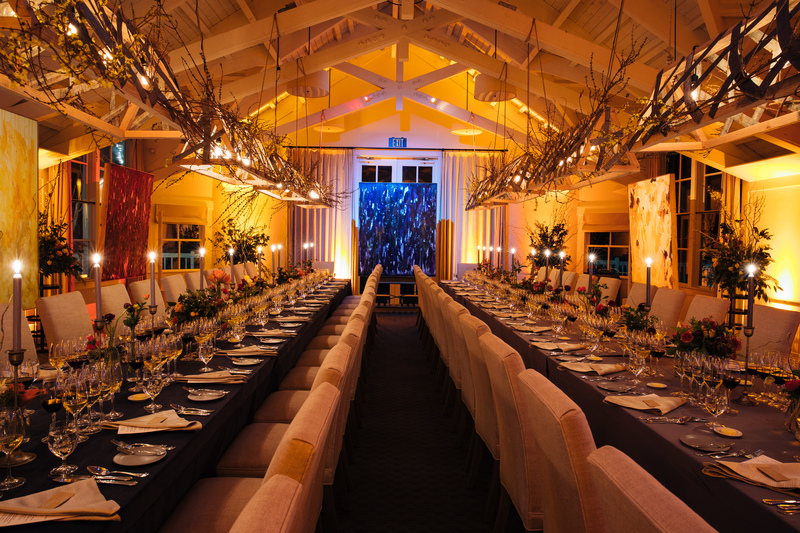 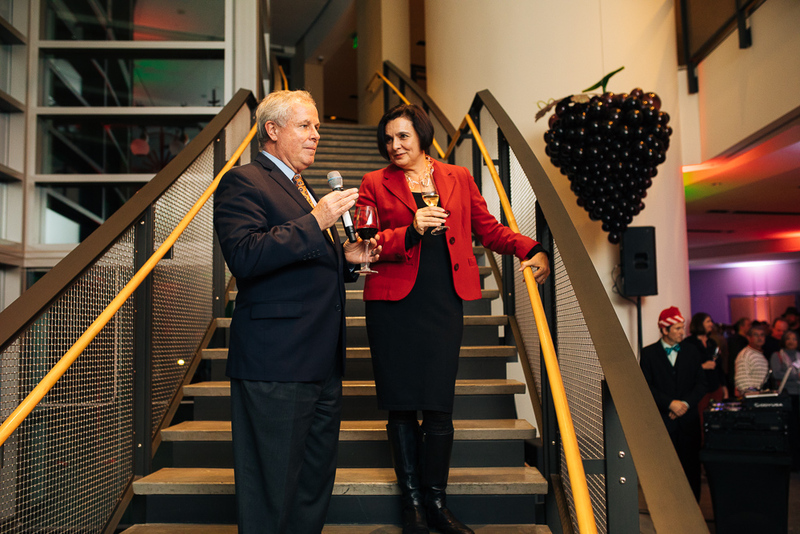 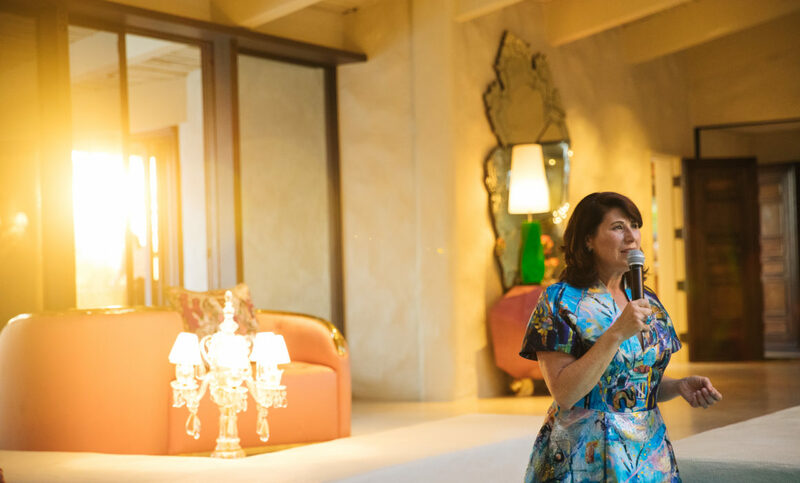 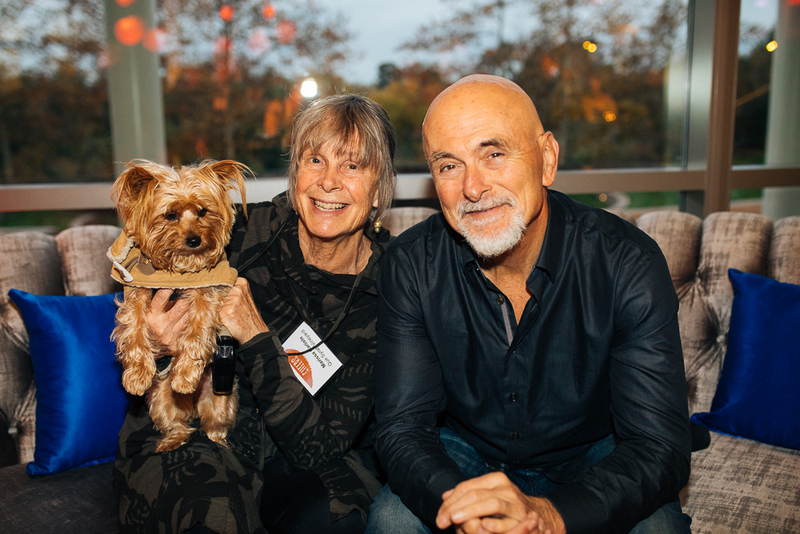 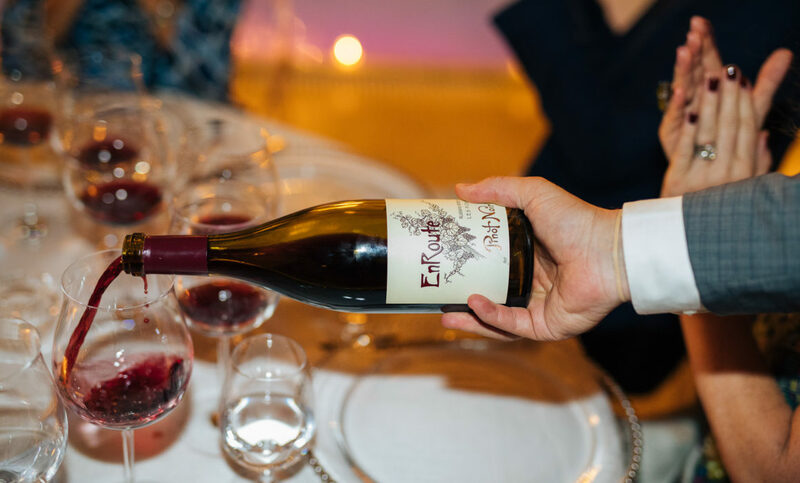 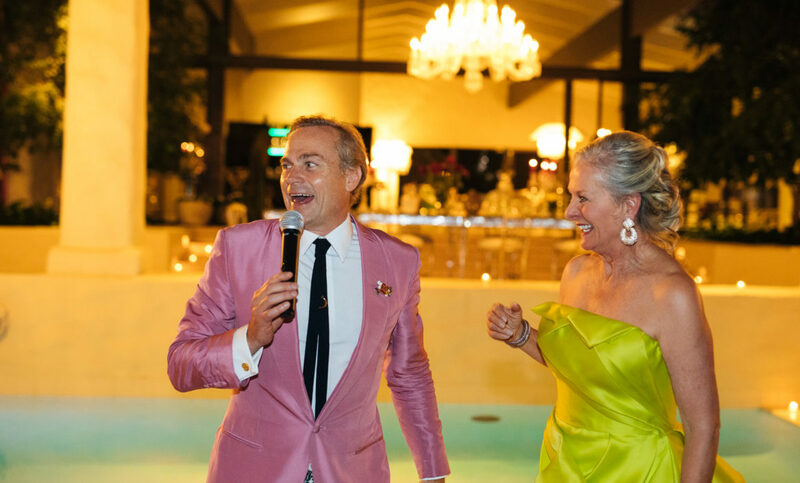 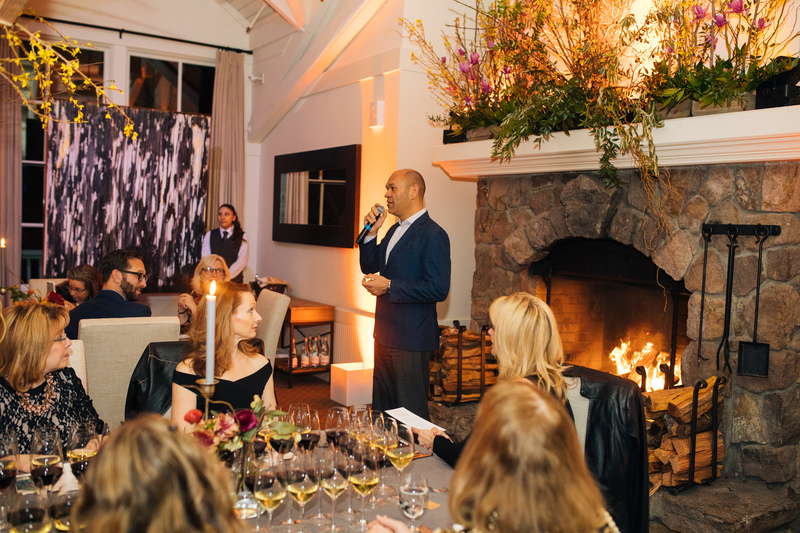 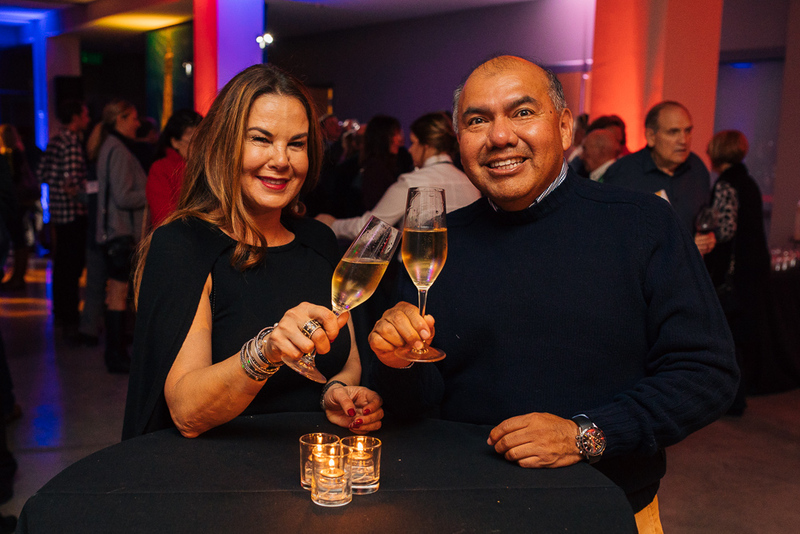 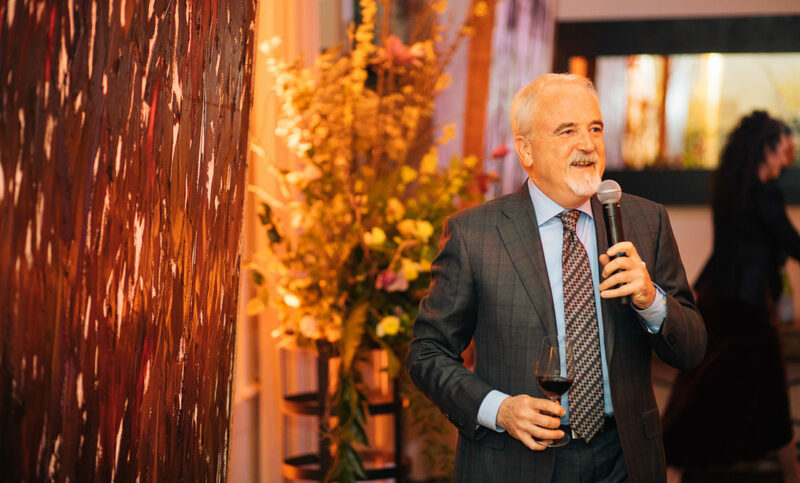 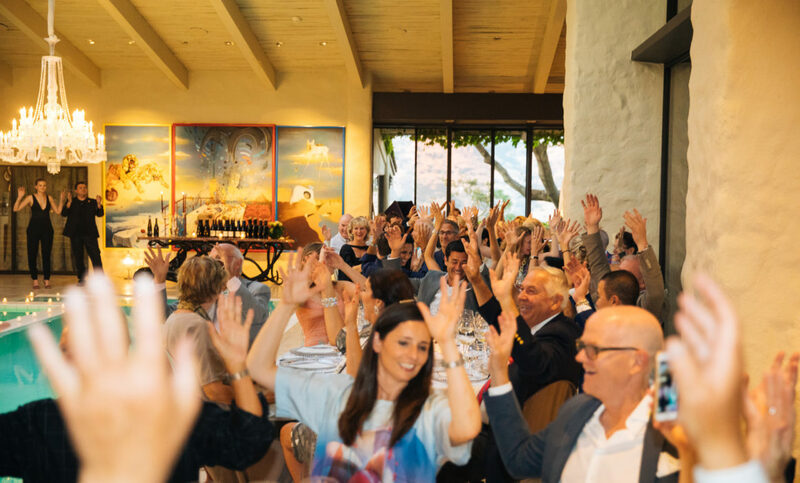 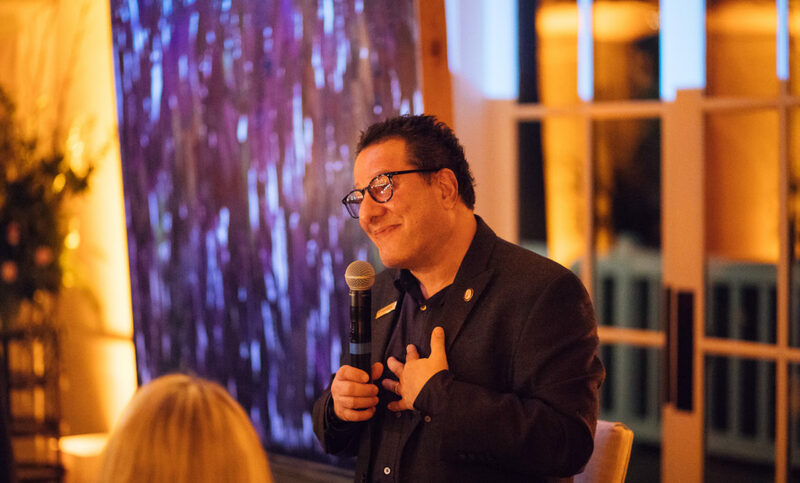 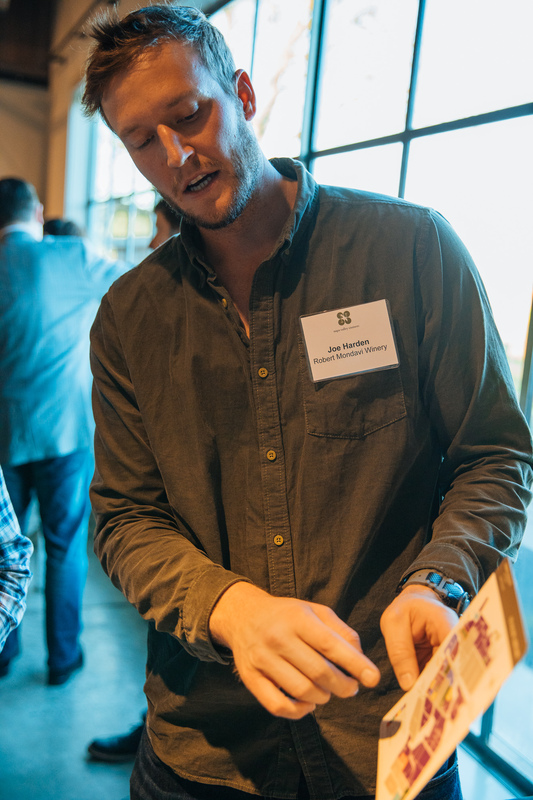 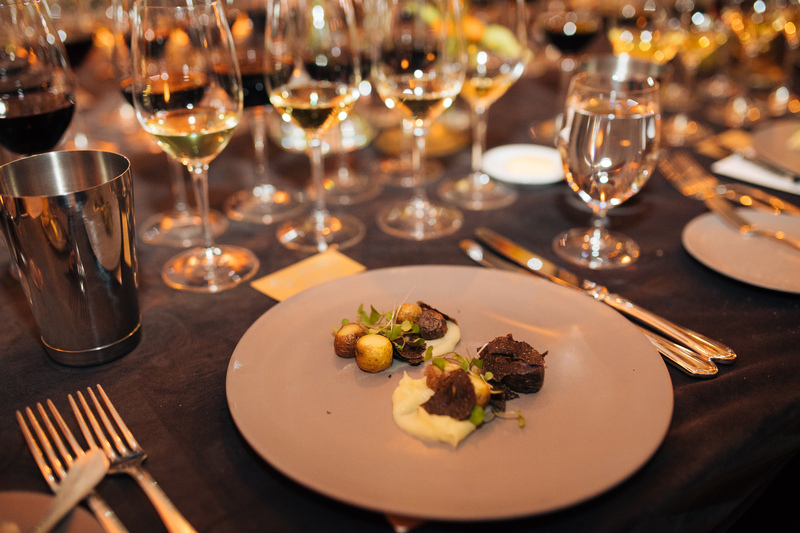 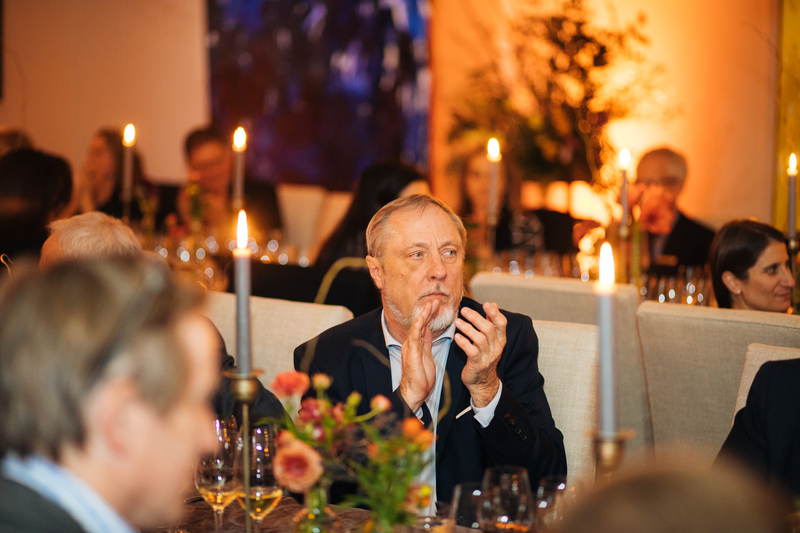 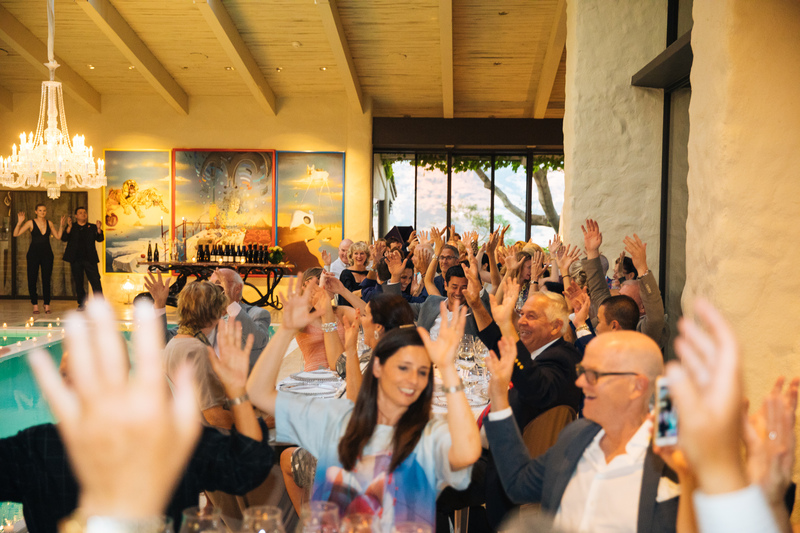 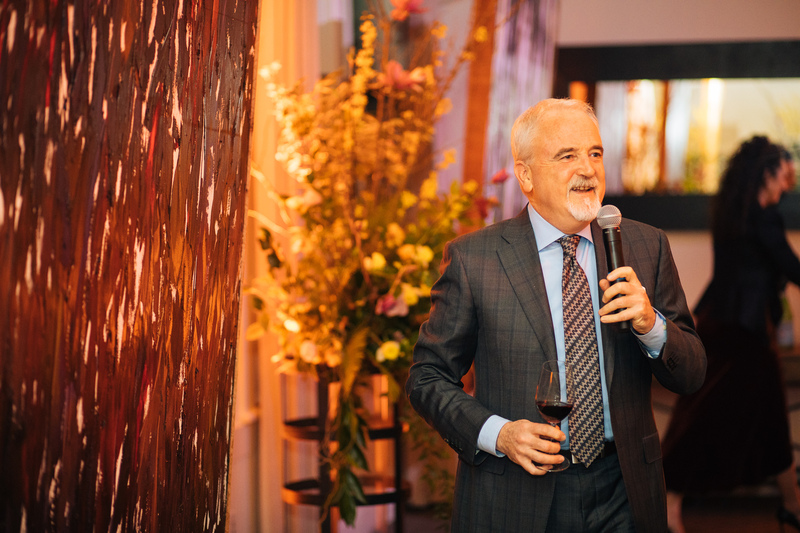 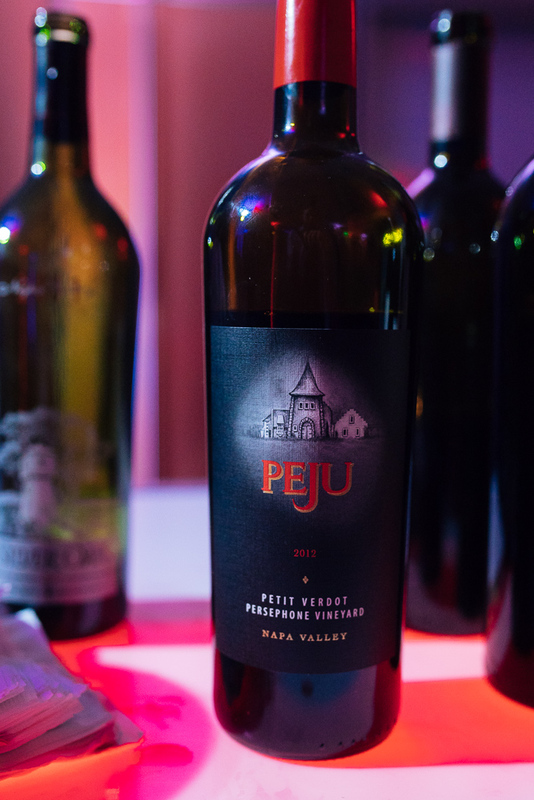 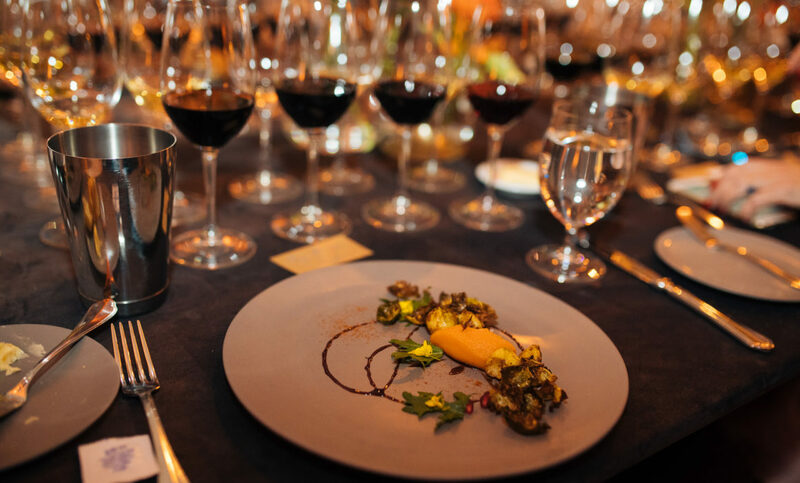 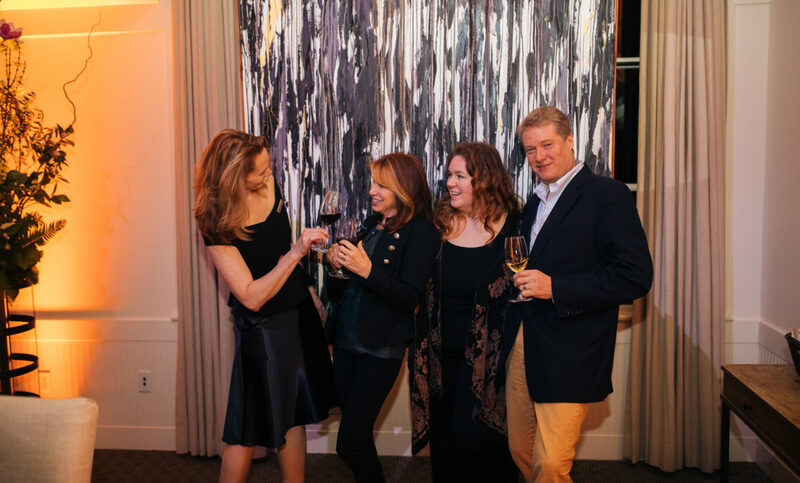 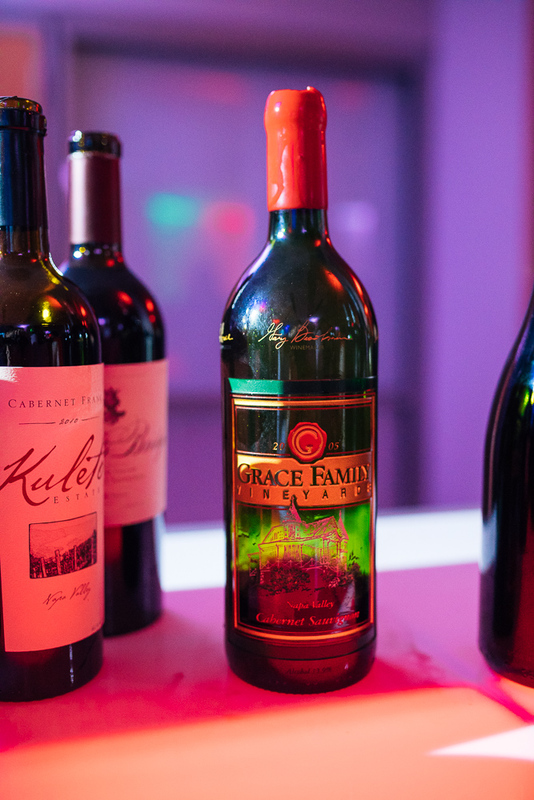 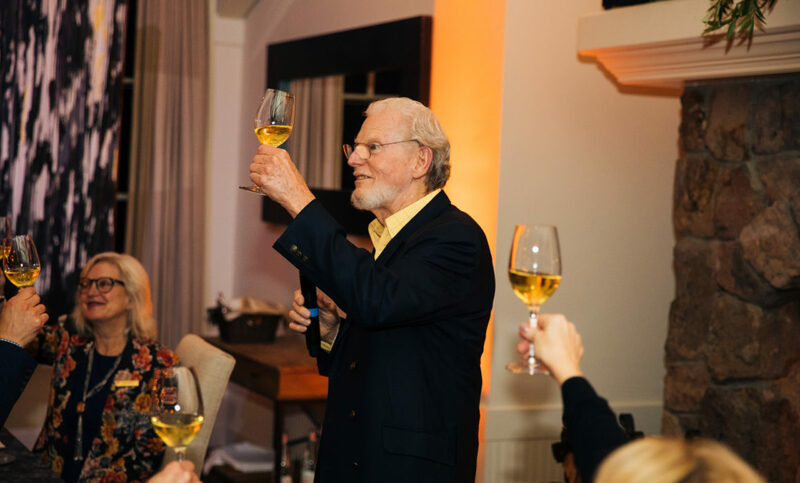 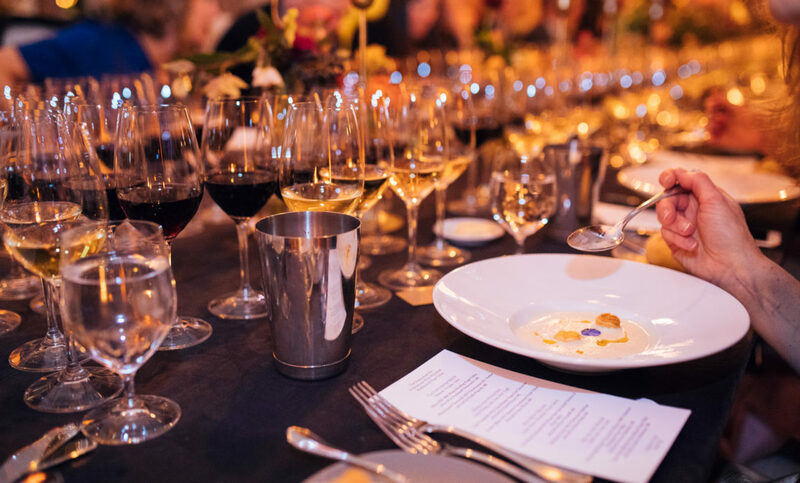 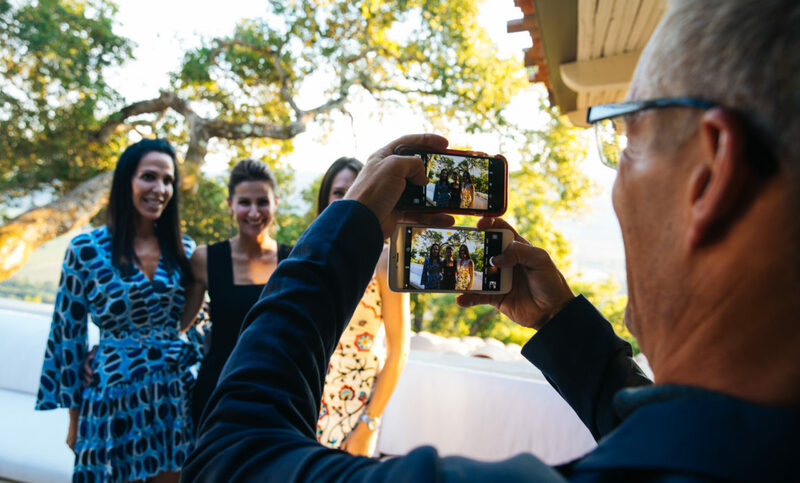 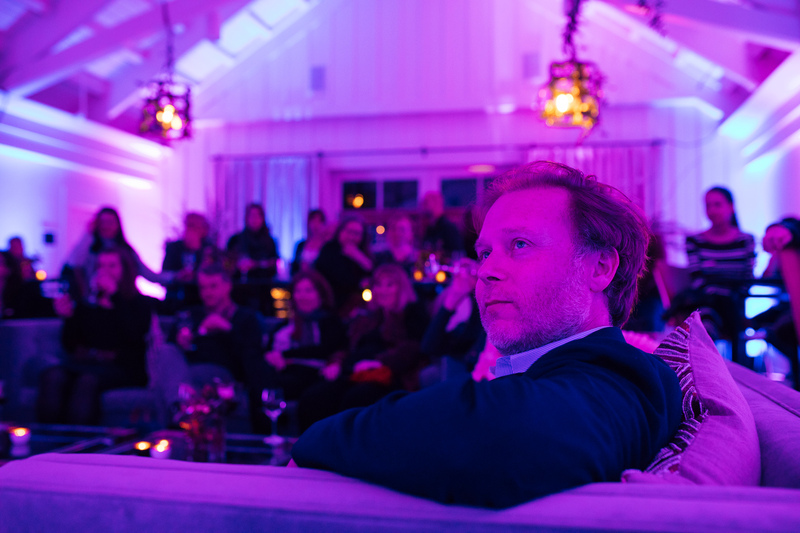 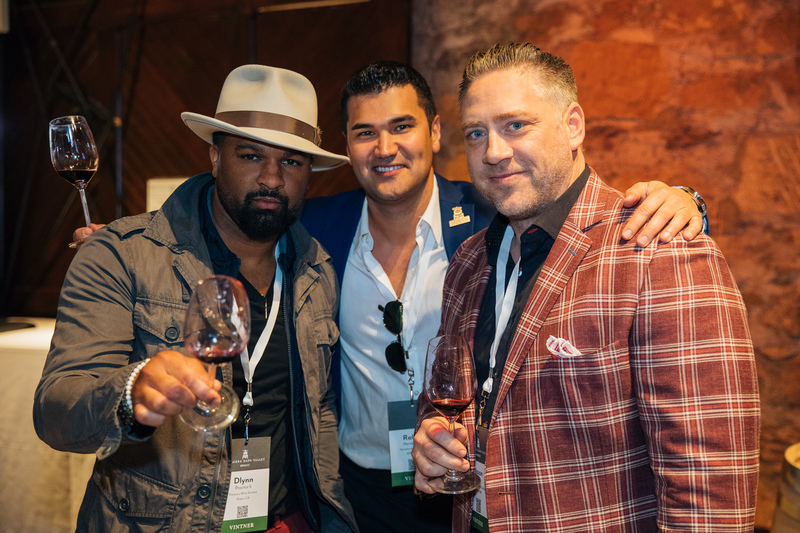 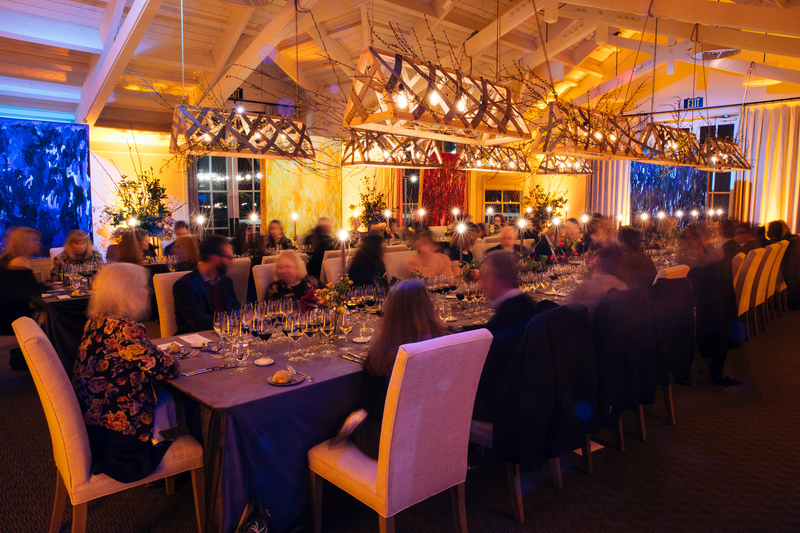 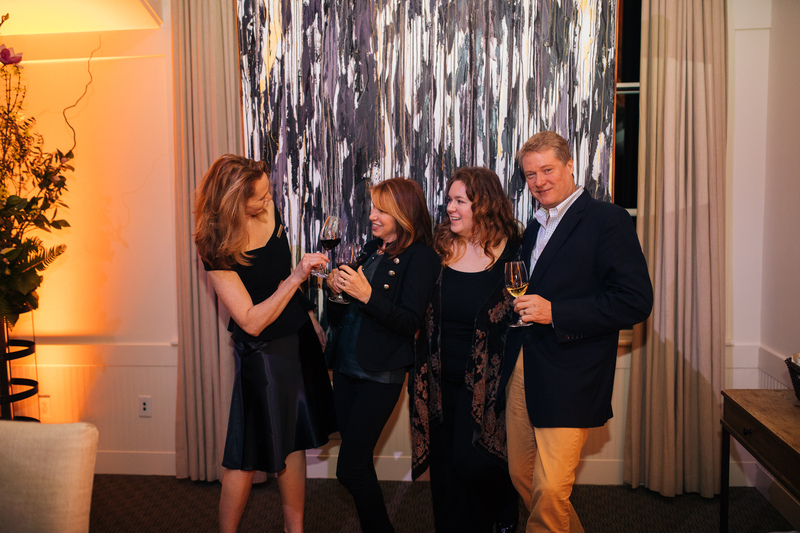 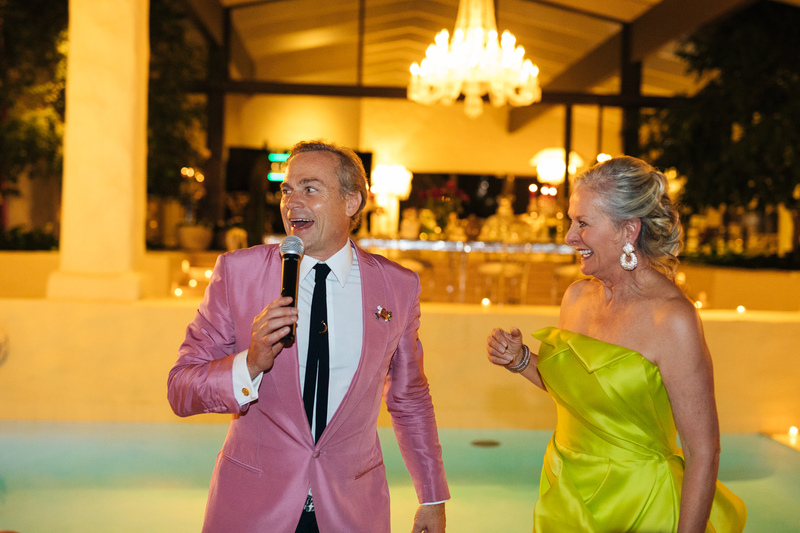 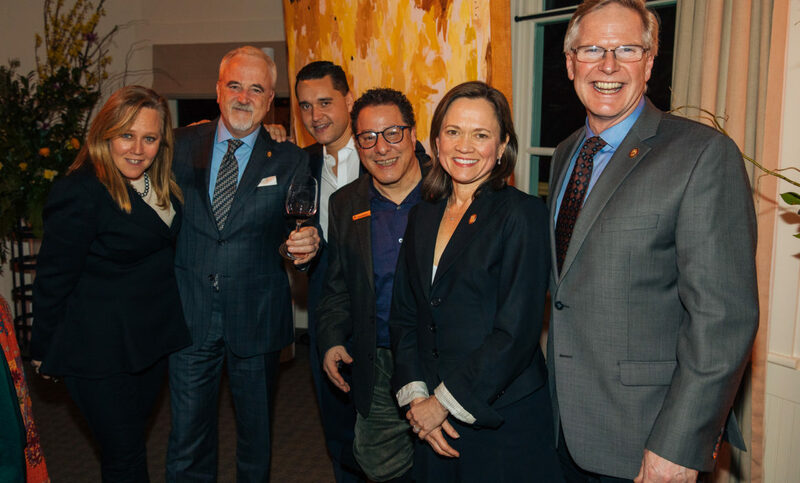 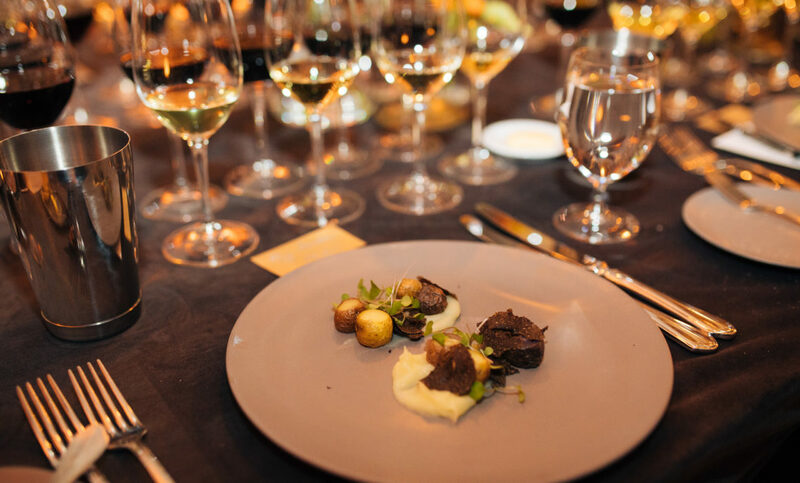 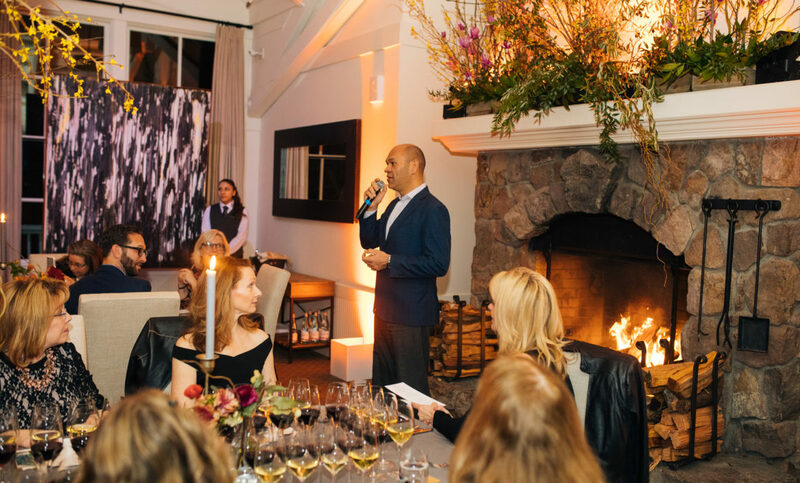 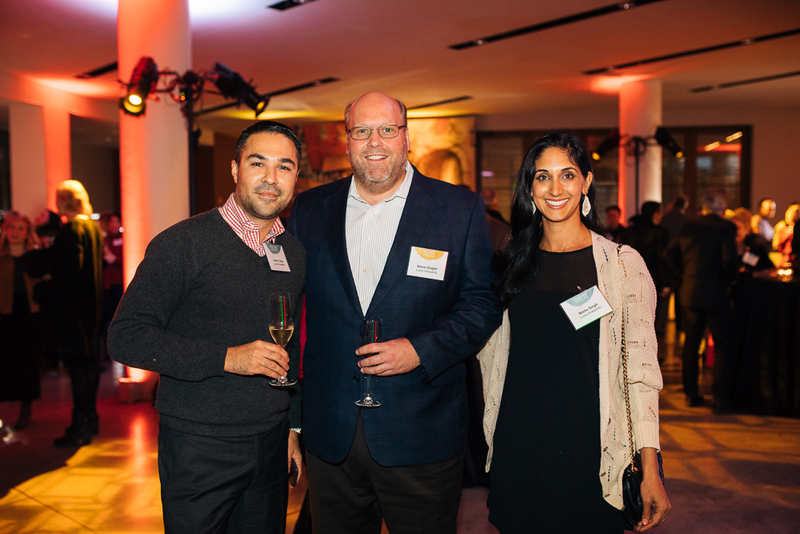 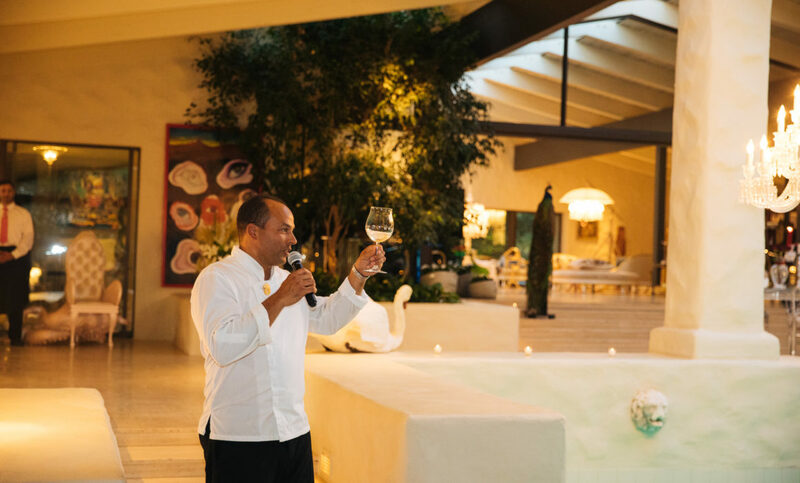 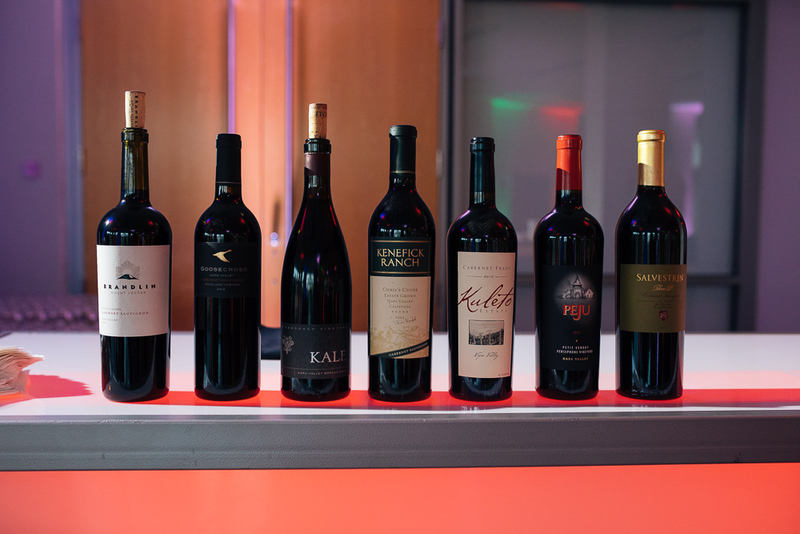 Gems of Napa was an intimate celebration with some of Napa’s top vintners with the same goal: supporting the V Foundation for cancer research. 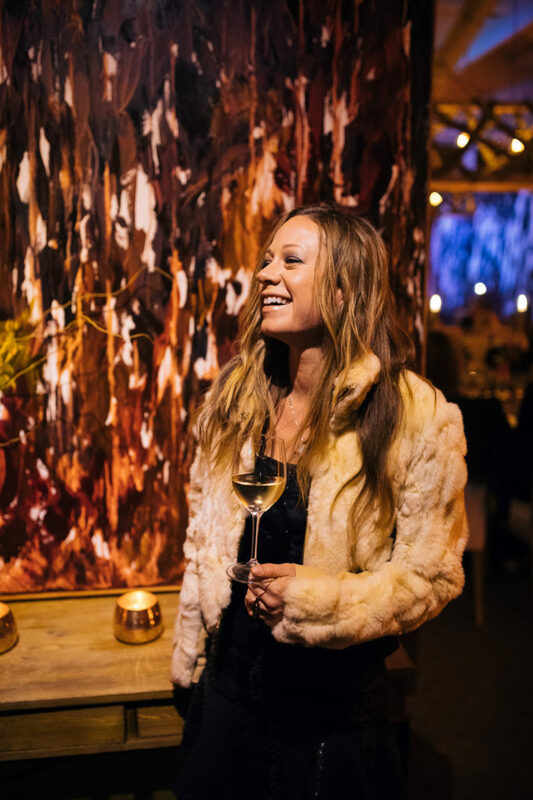 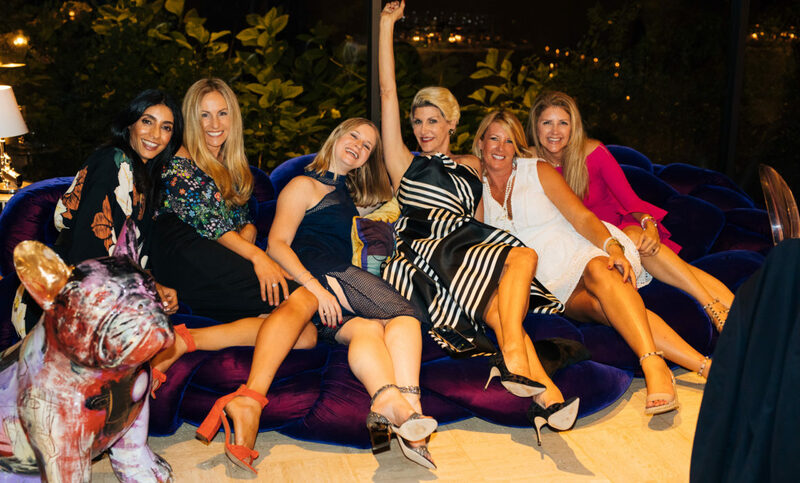 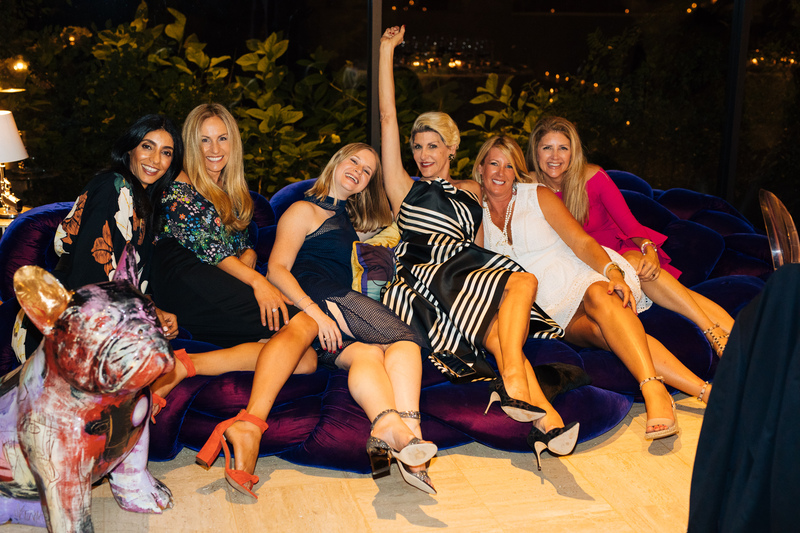 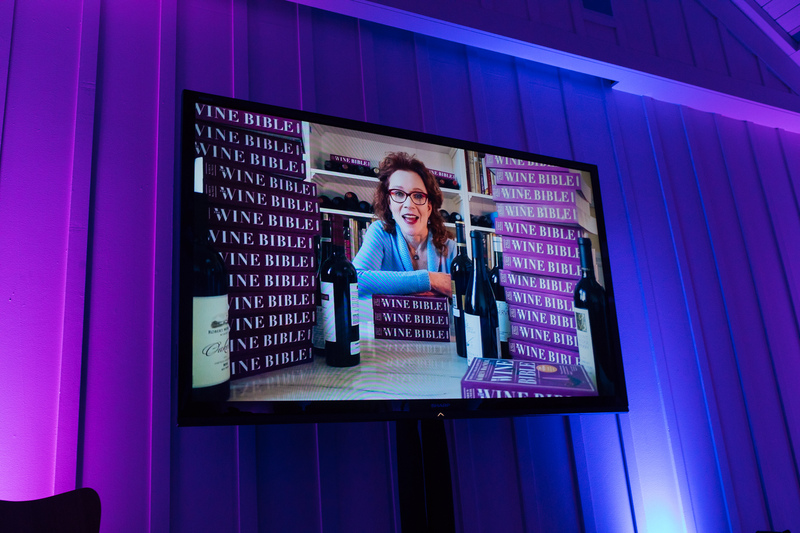 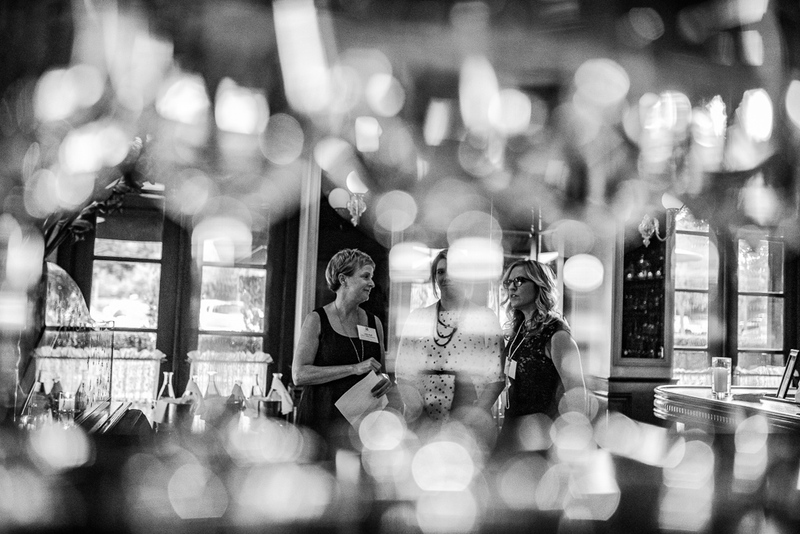 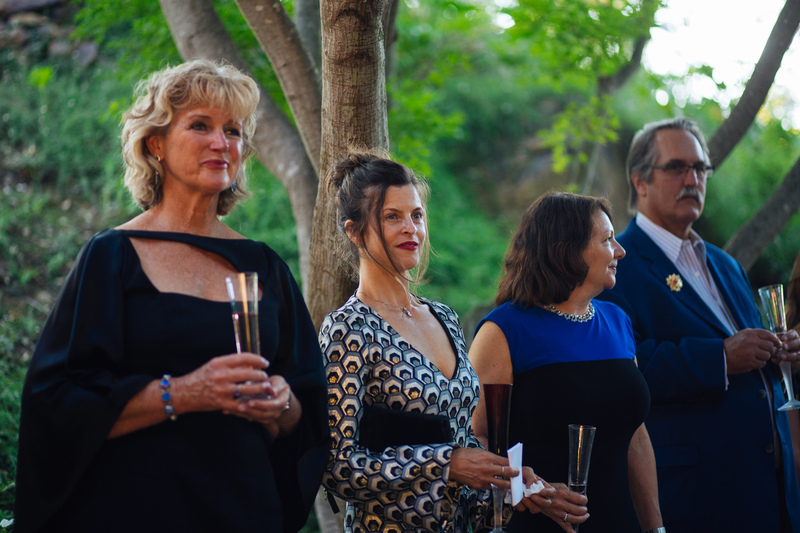 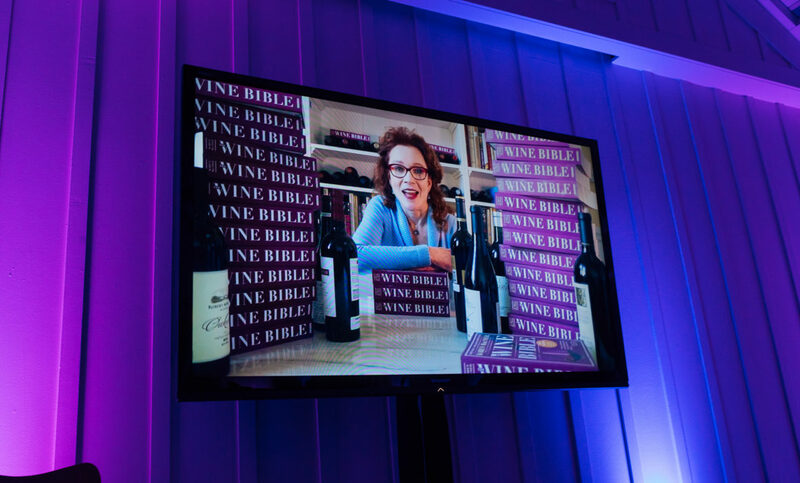 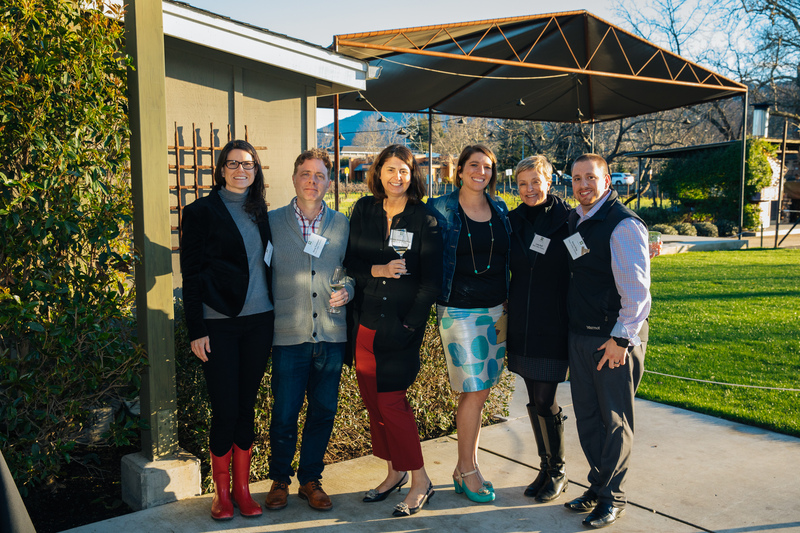 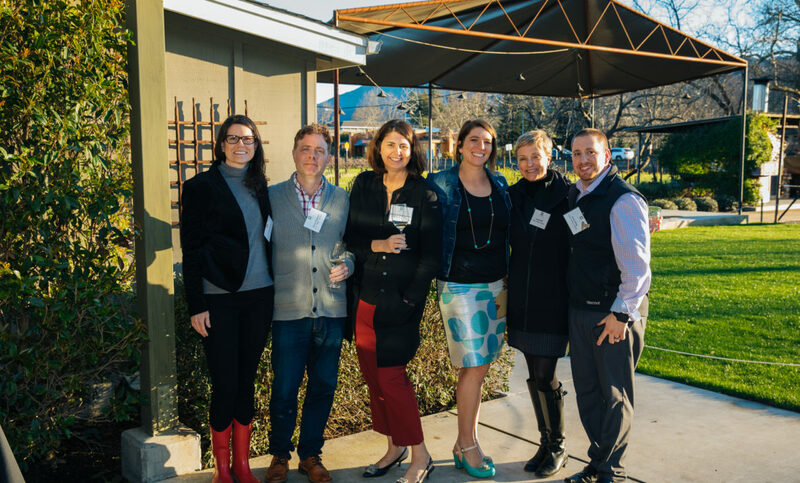 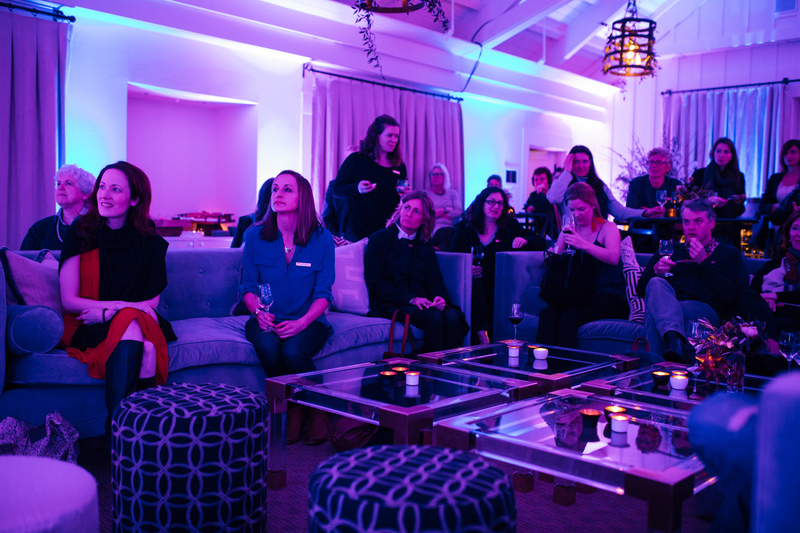 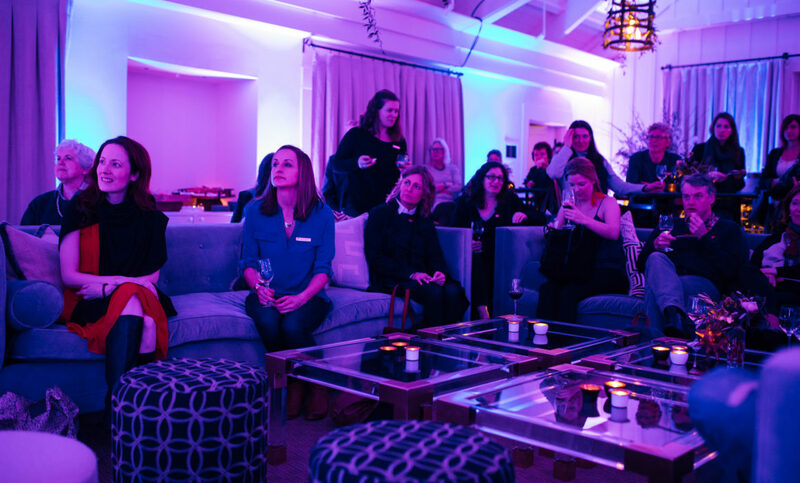 As the red carpet was rolled out, guests had the opportunity to meet and mingle with the female powerhouses of Napa Valley: Gina Gallo, Michelle Baggett, Heidi Barrett, Blakesley Chappellet, Beth Nickel, Amy Marks Dornbusch and Helen Keplinger, to name a few. 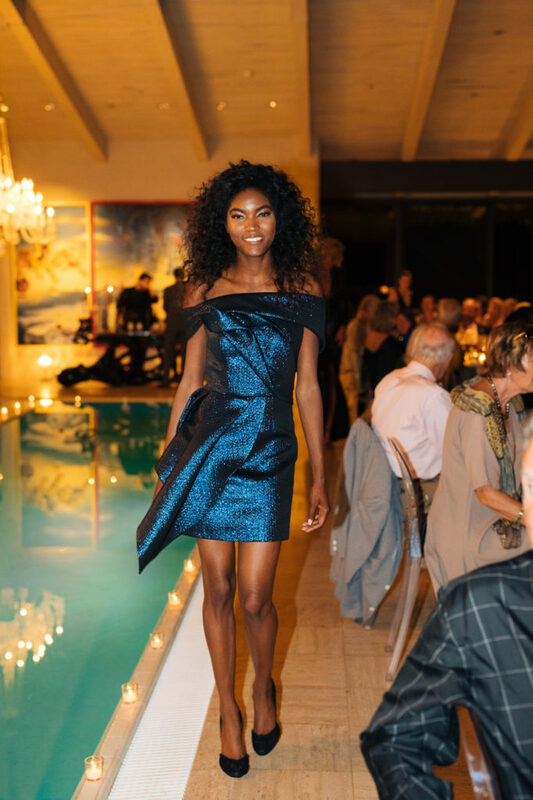 All were studded in a custom-designed gown by well-renowned fashion designer Rubin Singer, reflecting his Resort 2018 collection. 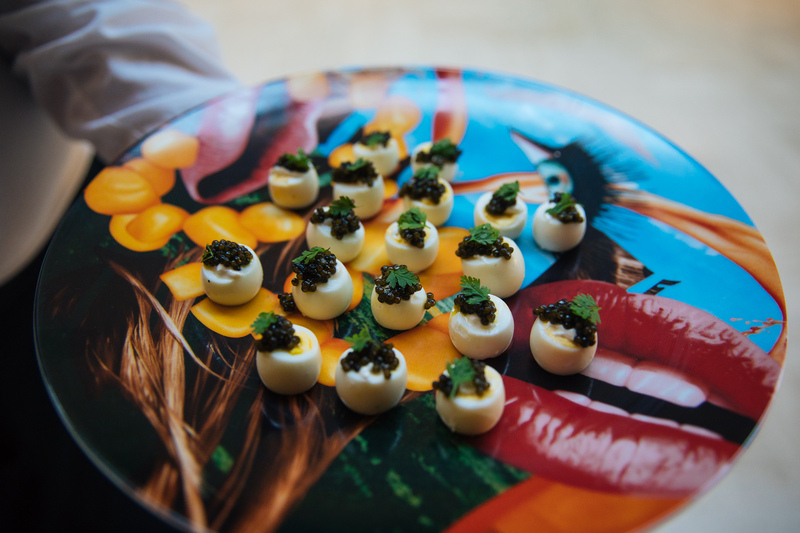 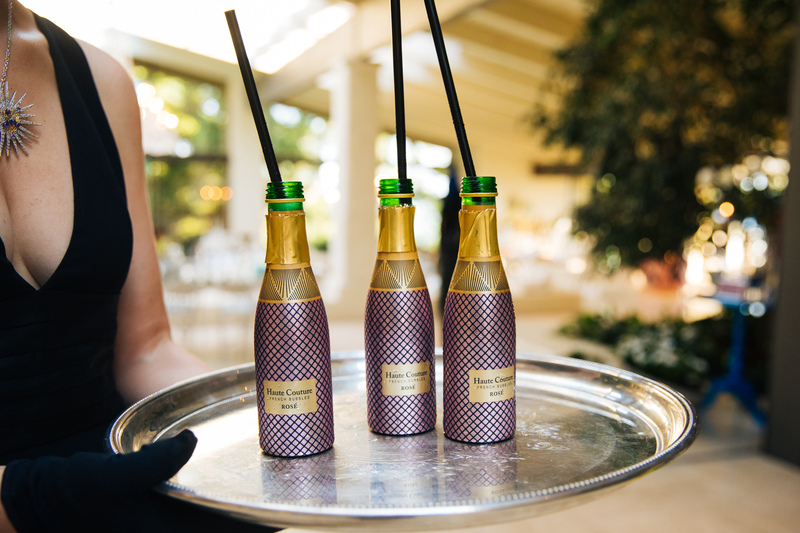 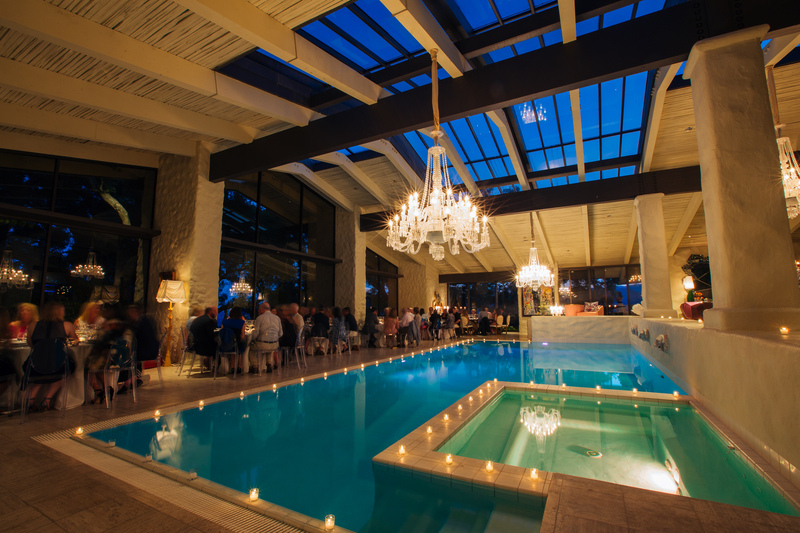 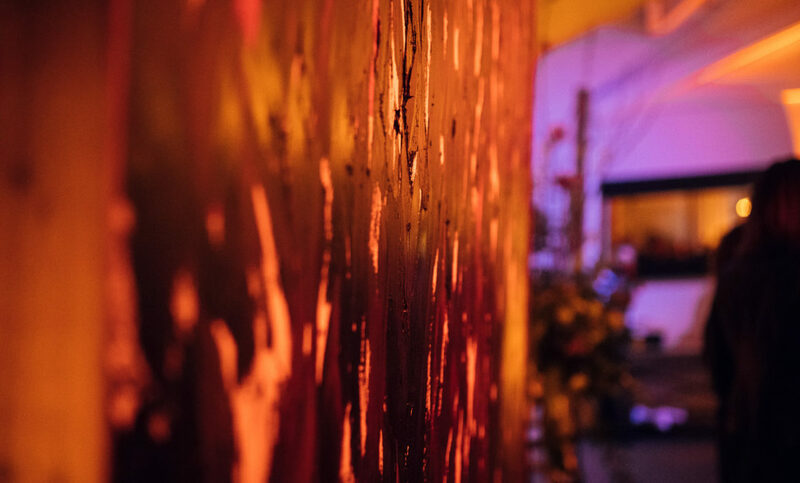 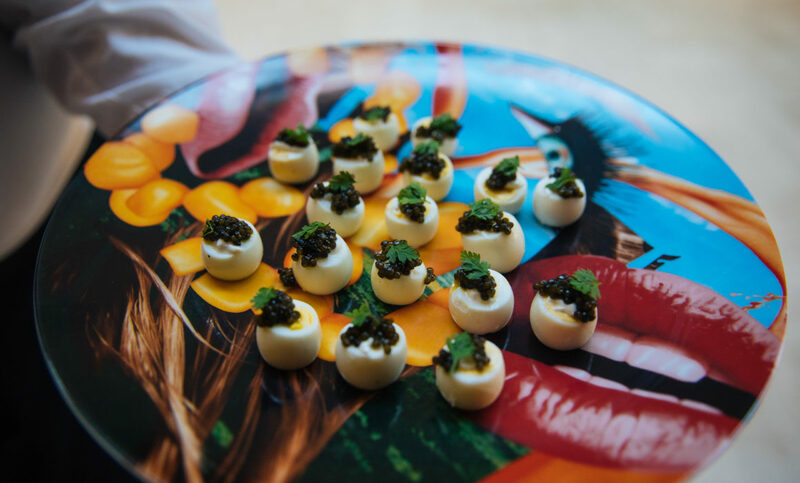 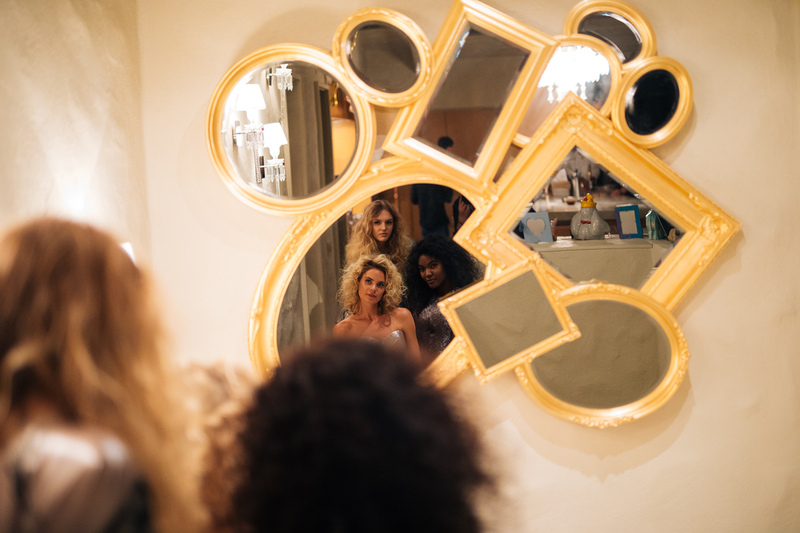 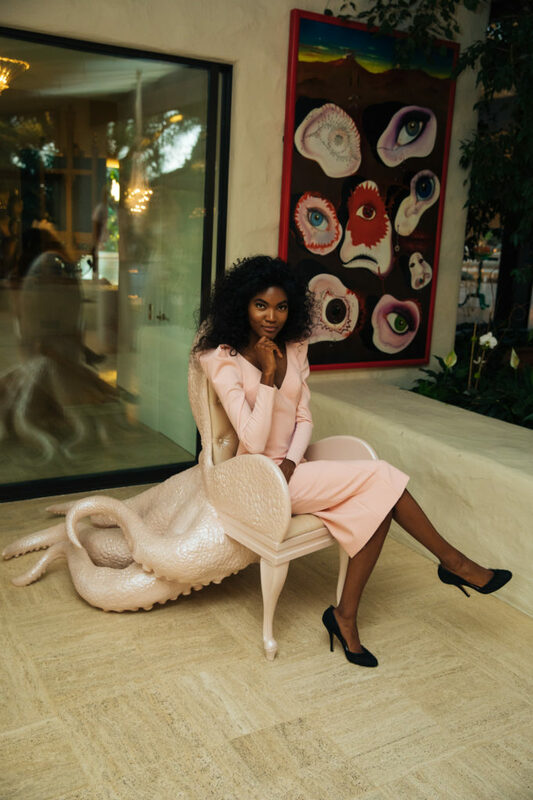 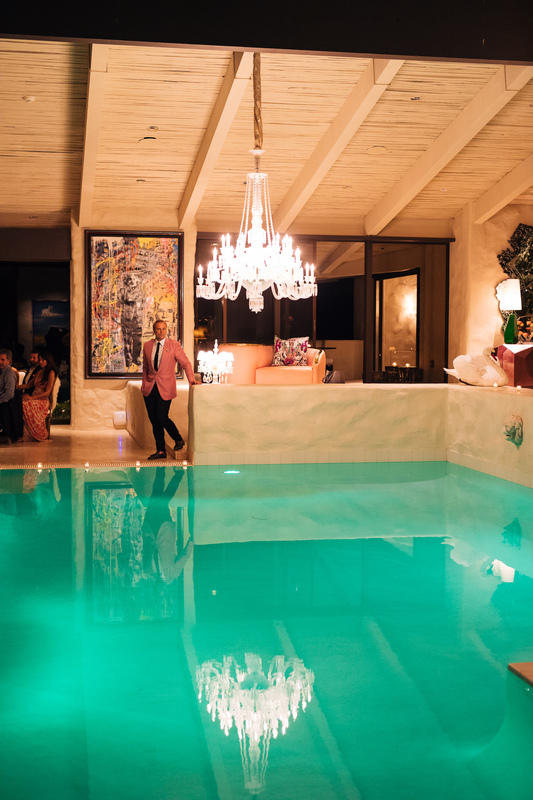 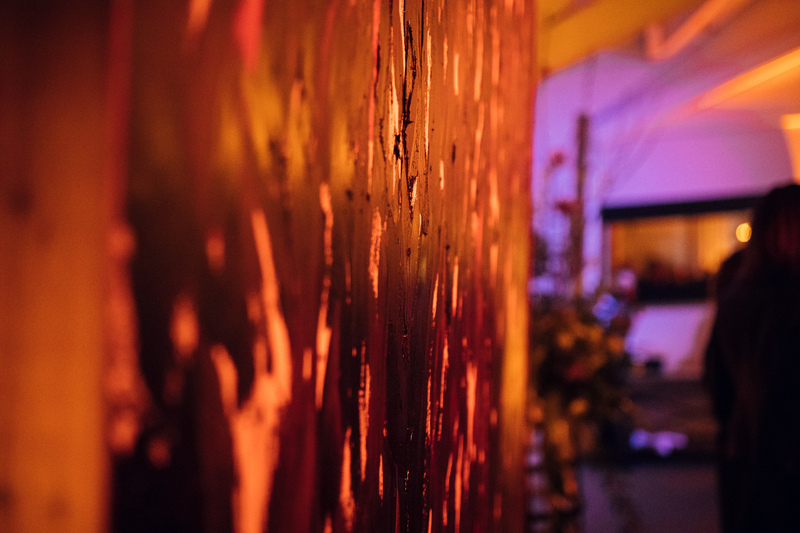 The show didn’t just stop there – models sauntered around the lavish grounds and the indoor pool in their designer frocks while guests sipped and savored their way through a multi-course dinner by Chef Victor Scargle, accompanied by exquisite wine pairings. 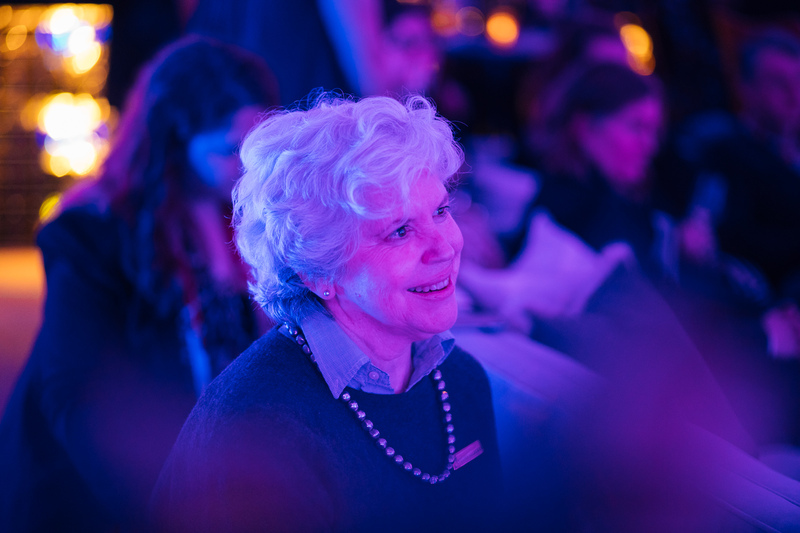 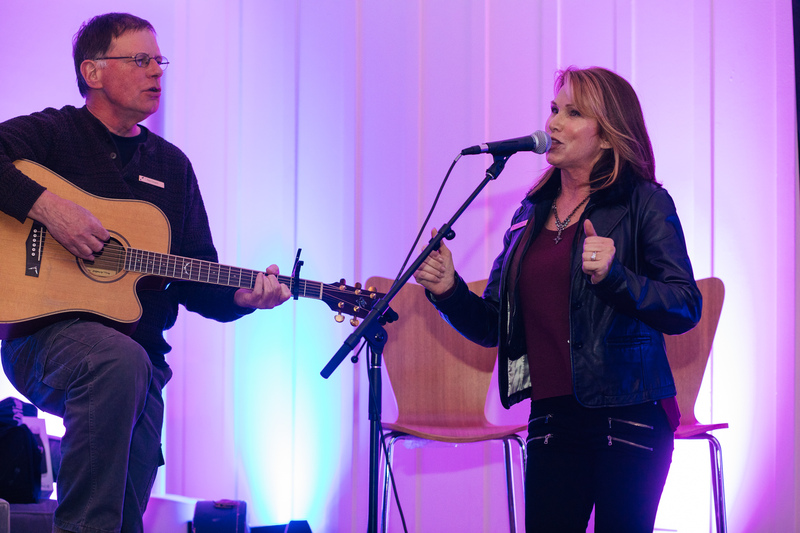 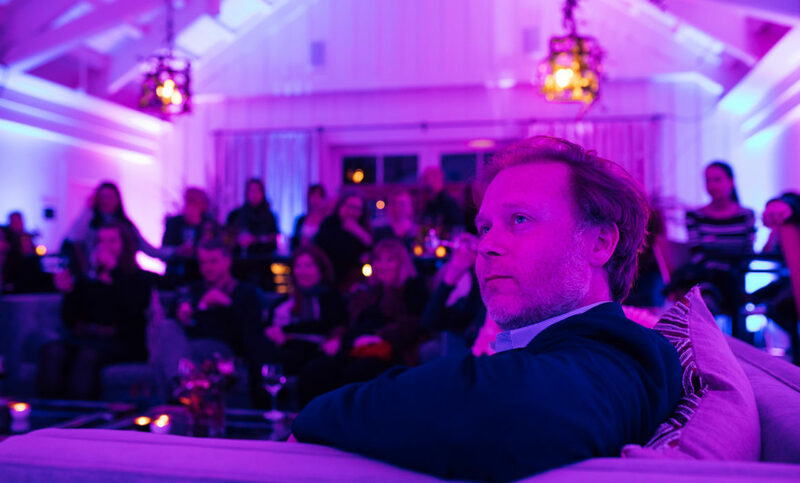 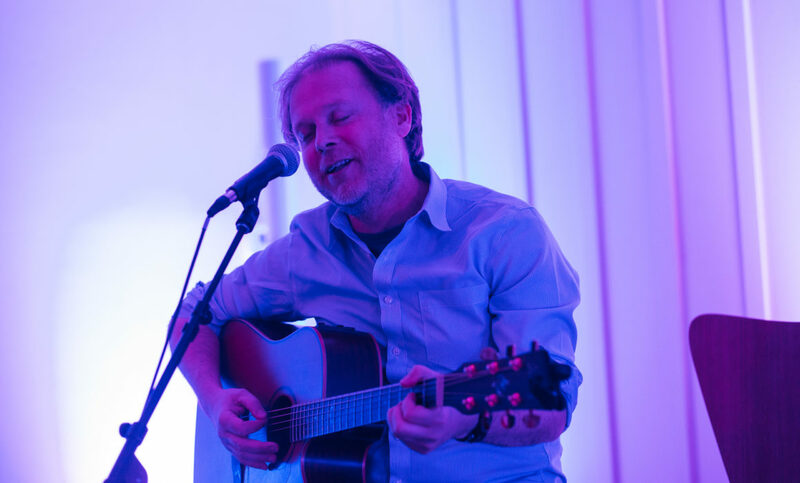 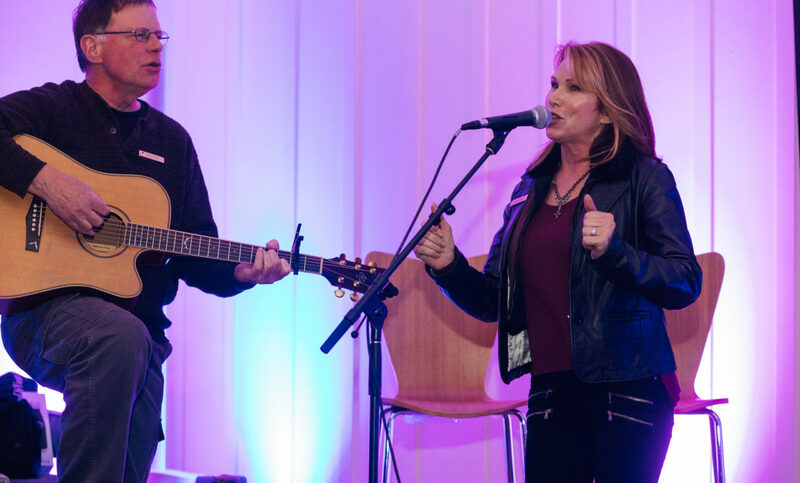 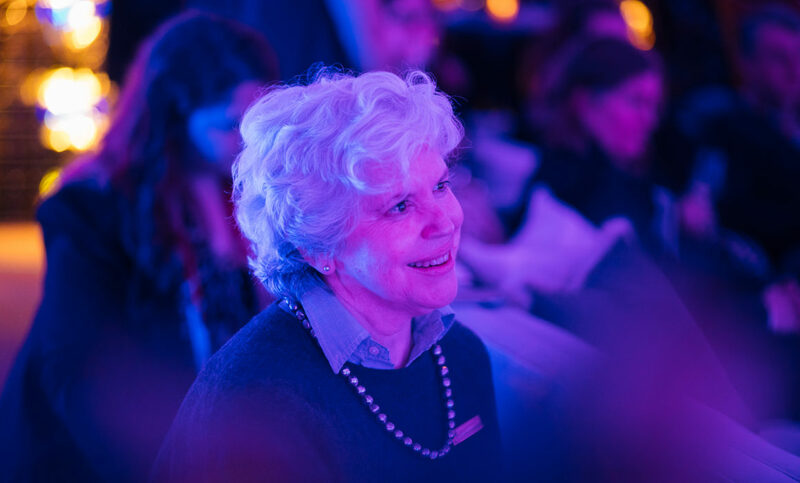 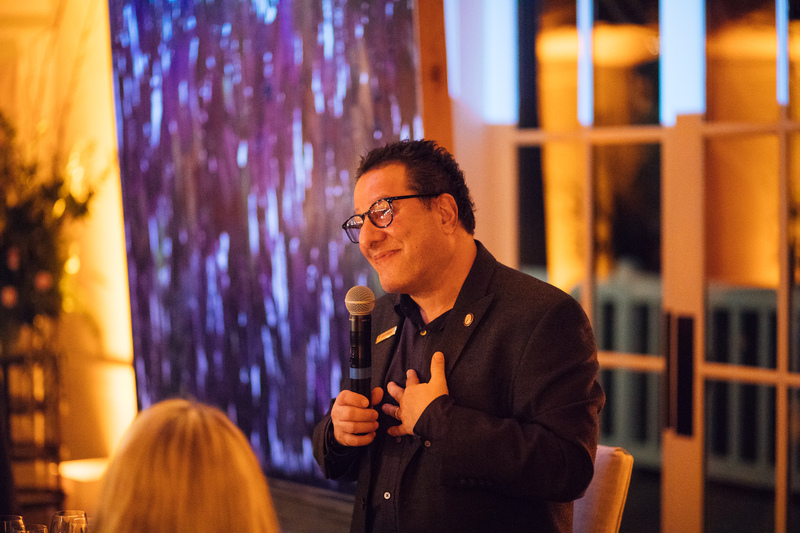 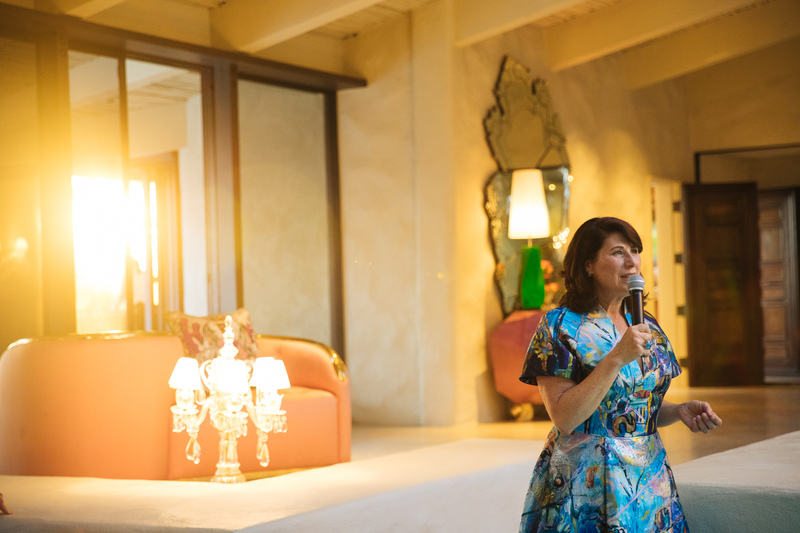 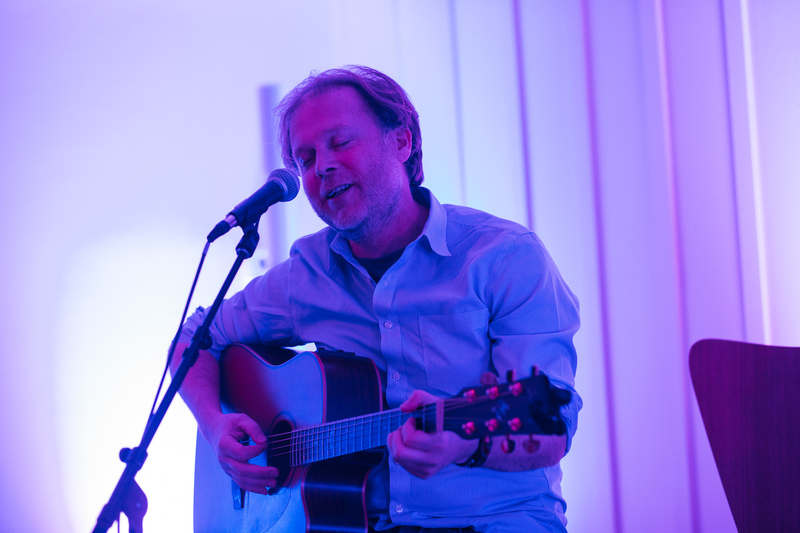 I consider myself extremely fortunate to be among not only among such a beautiful crowd, but to be a part of this special fundraising benefit – thank you for inviting me to document this absolutely incredible event. 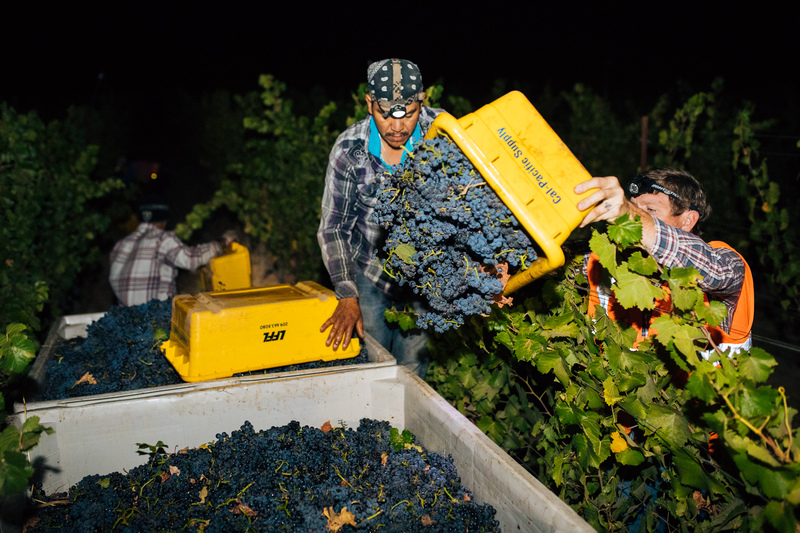 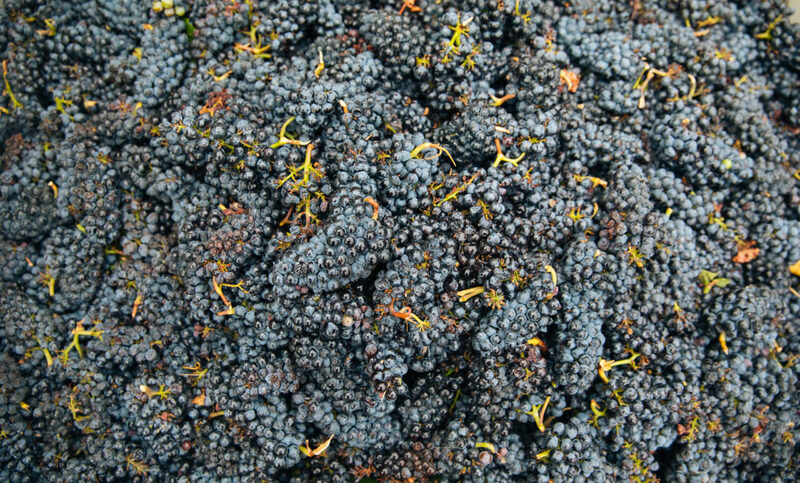 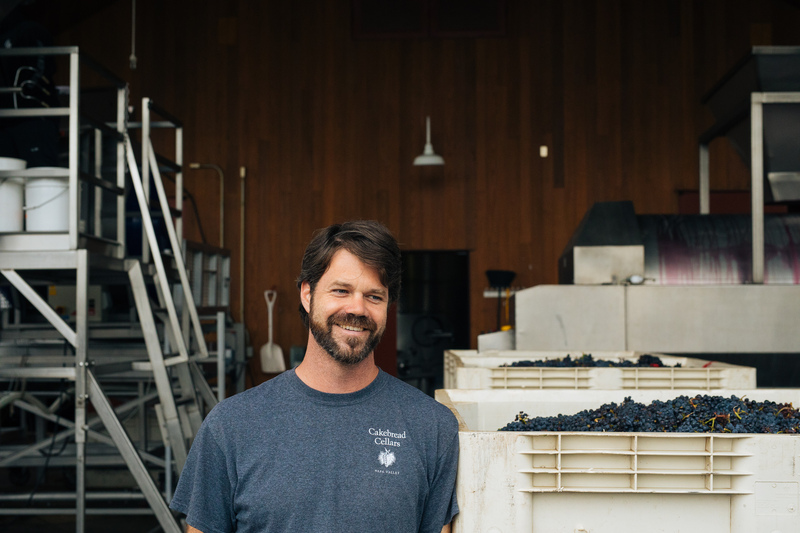 The 2017 Cakebread Pinot Noir harvest was one for the books! 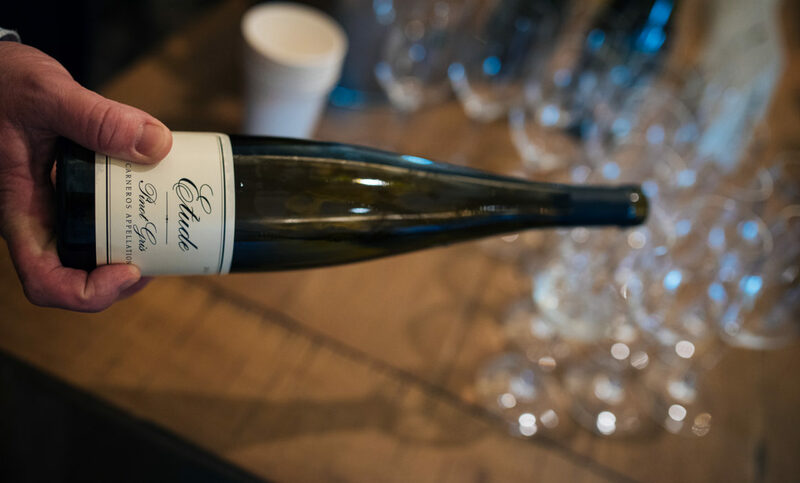 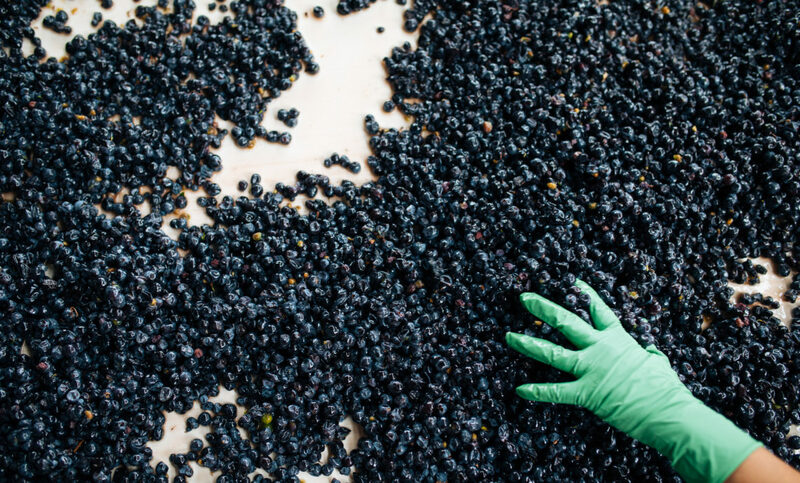 Harvest is always a fun and exciting time in the winery, but the lead-up often brings an extra level of complexity, and this vintage was no exception. 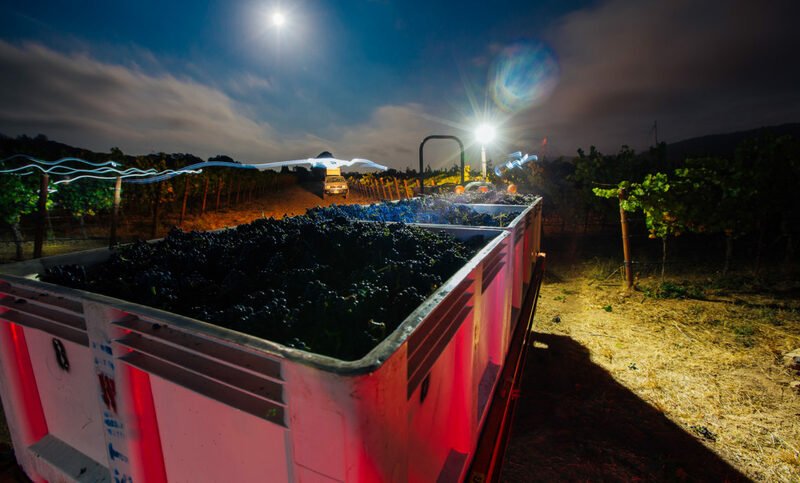 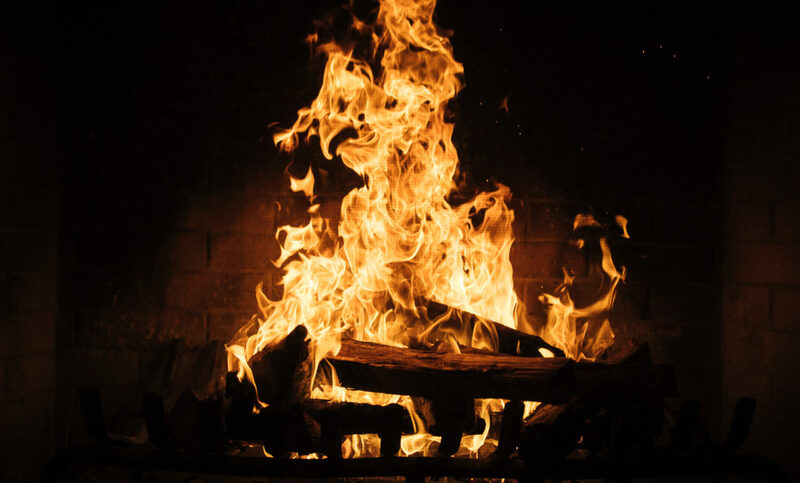 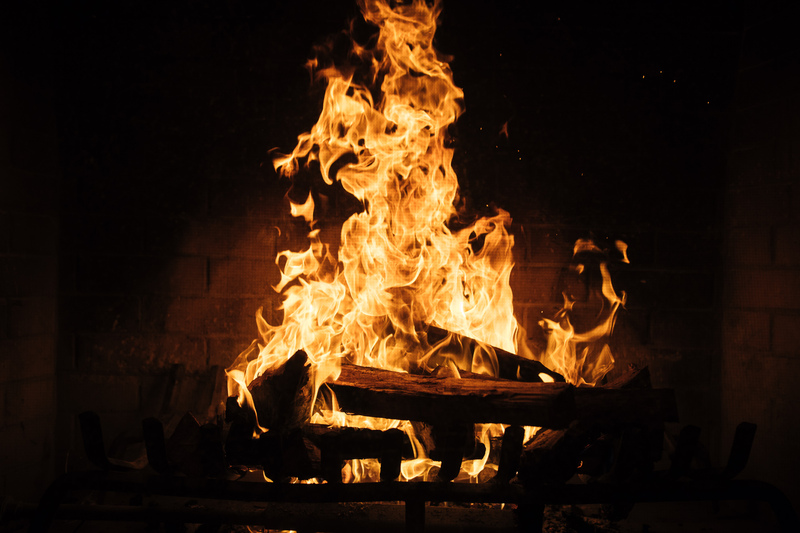 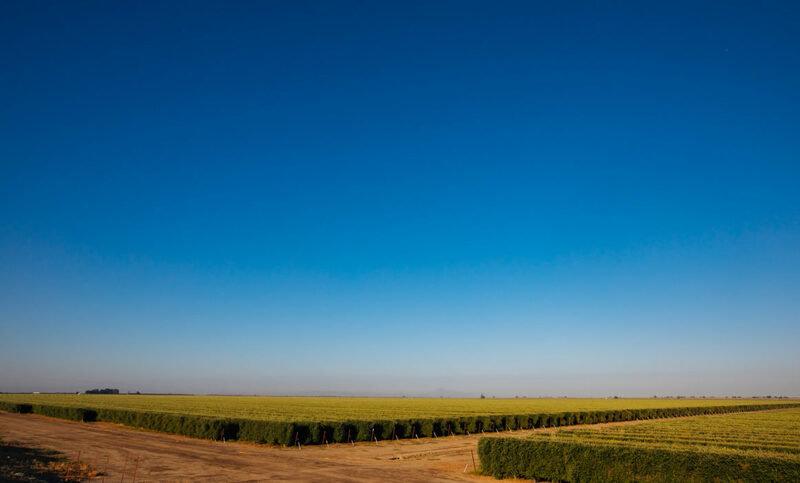 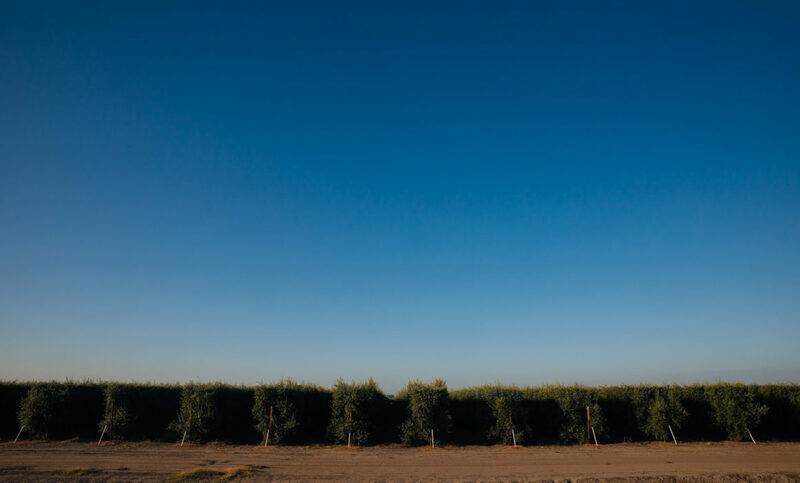 Mother Nature brought abundant rainfall during winter, producing vigorous vines, followed by extreme heat over Labor Day, kicking harvest right into high gear. 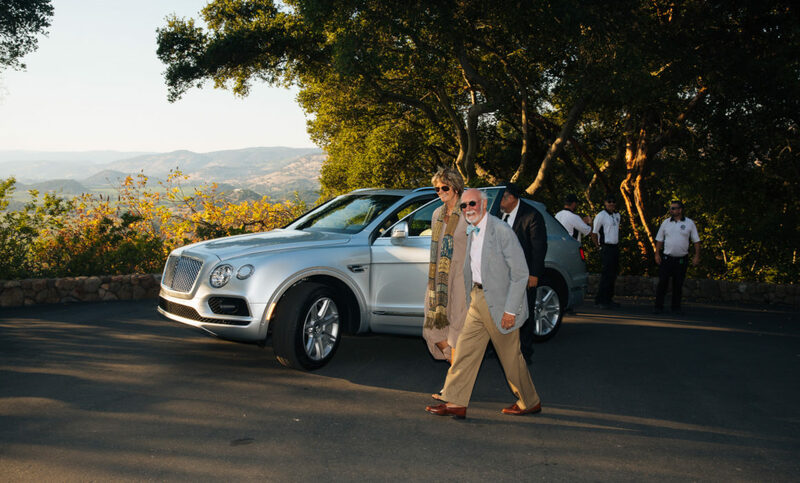 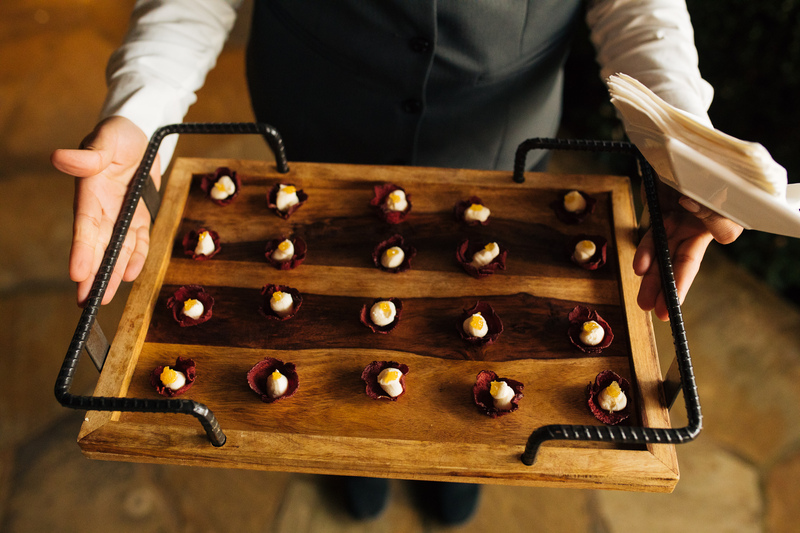 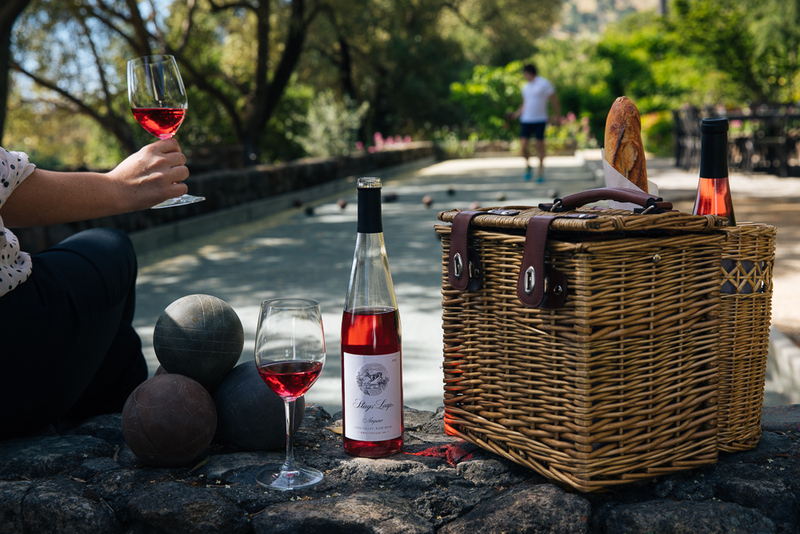 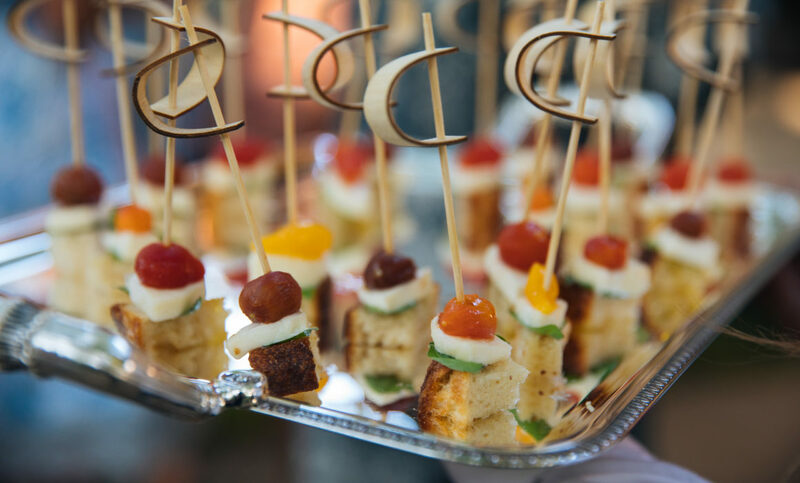 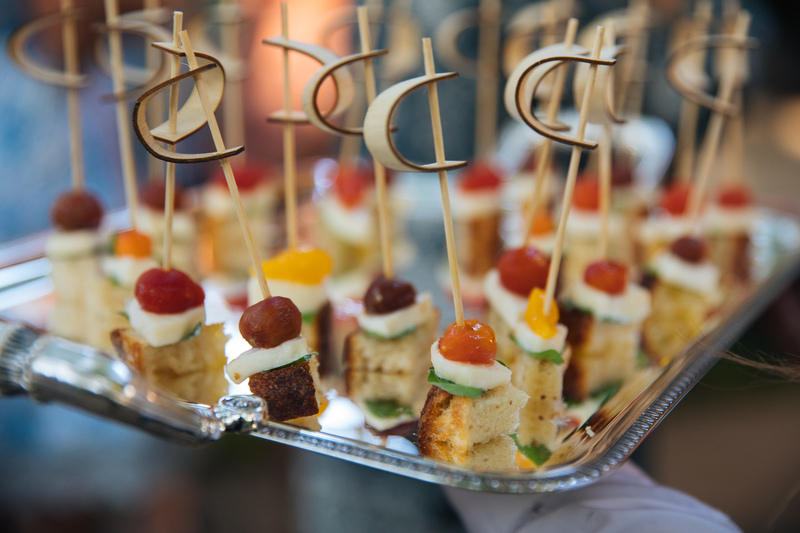 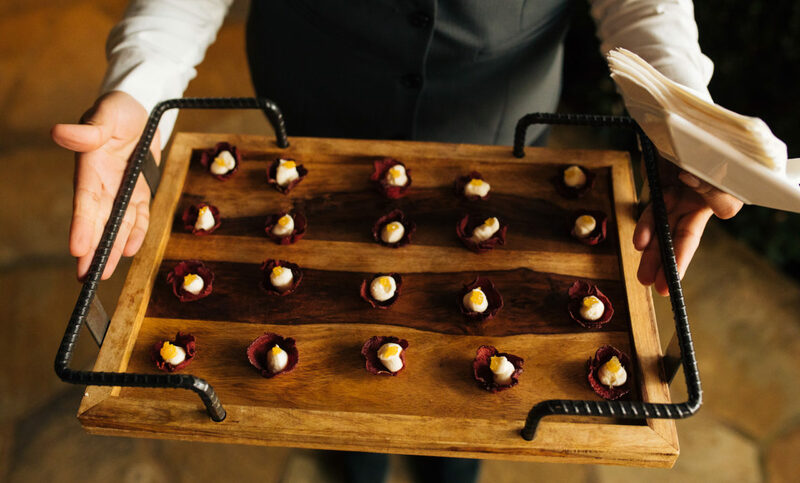 Capturing the buzz at Cakebread Cellars during this time was truly one of my most memorable photoshoots yet. 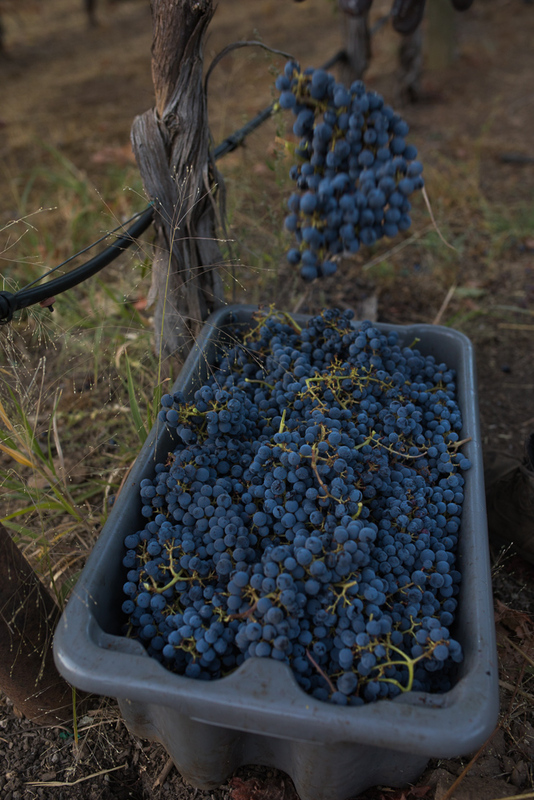 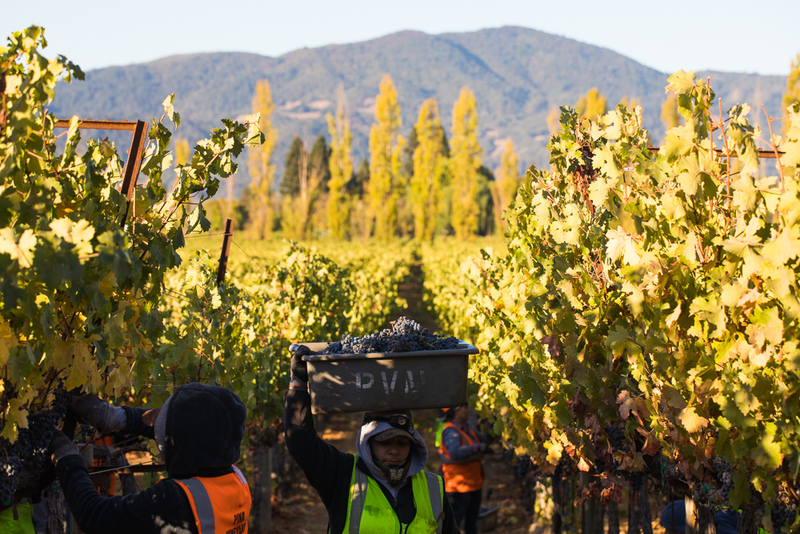 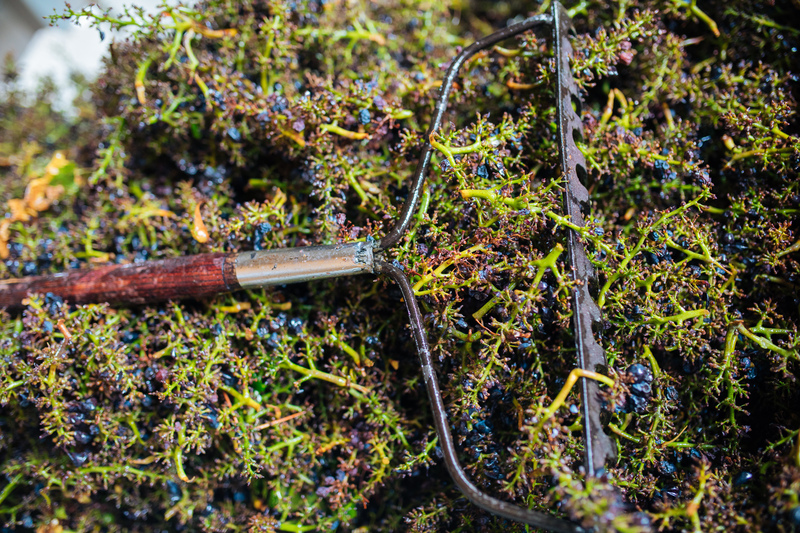 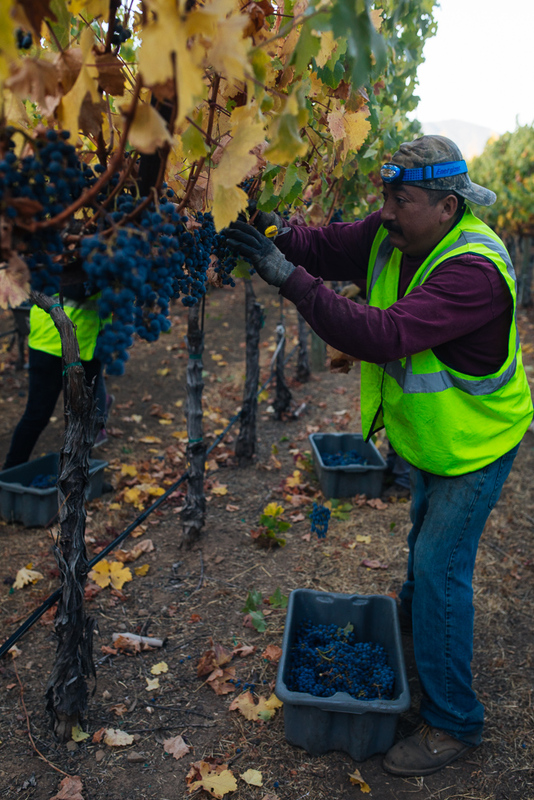 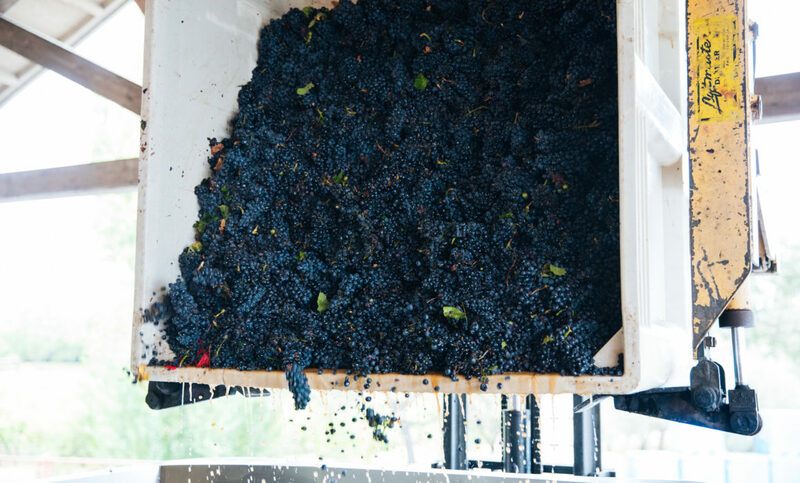 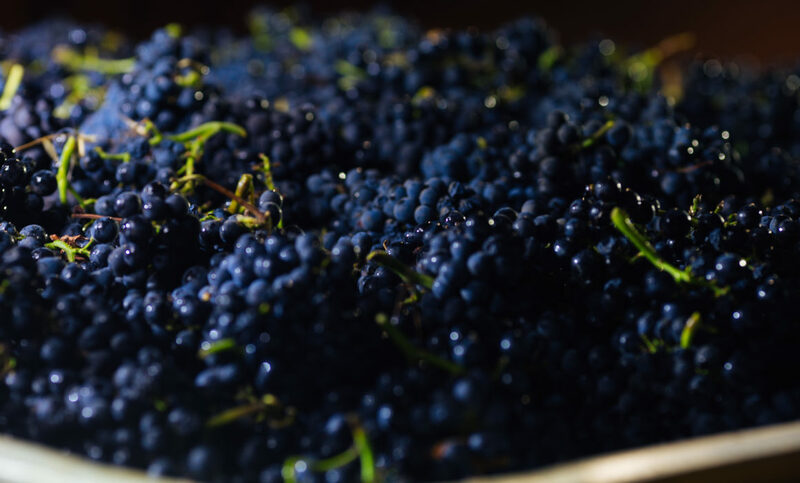 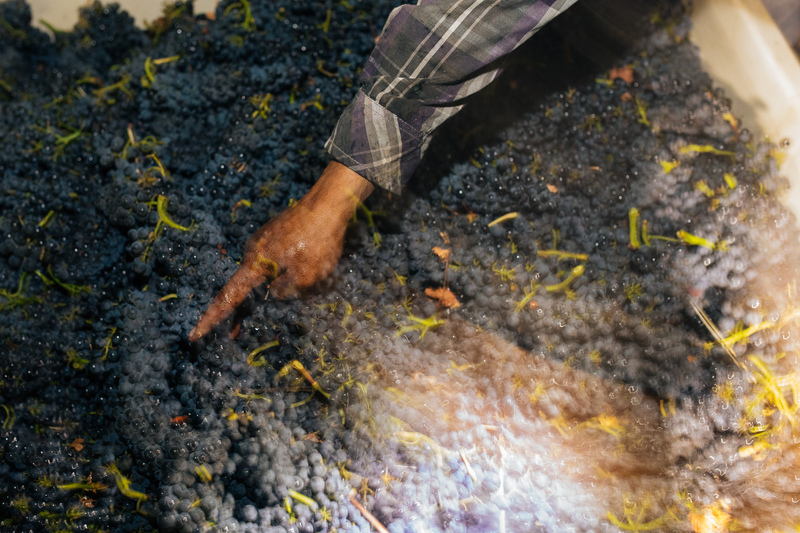 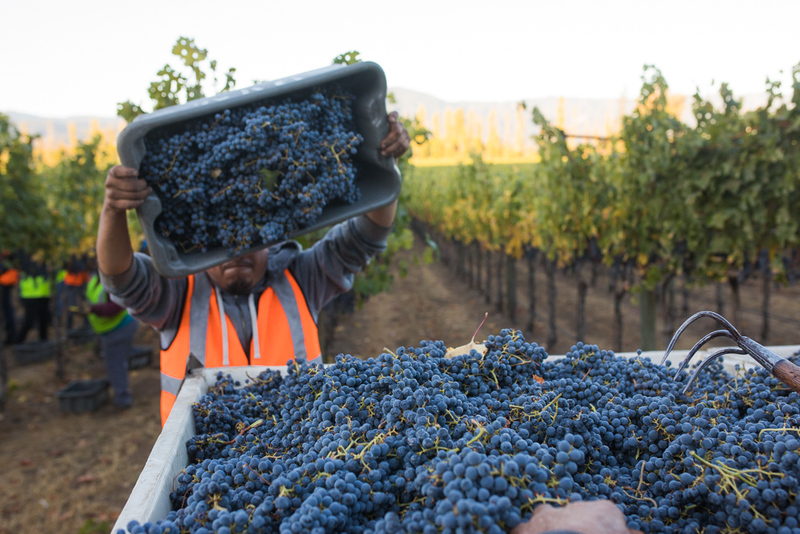 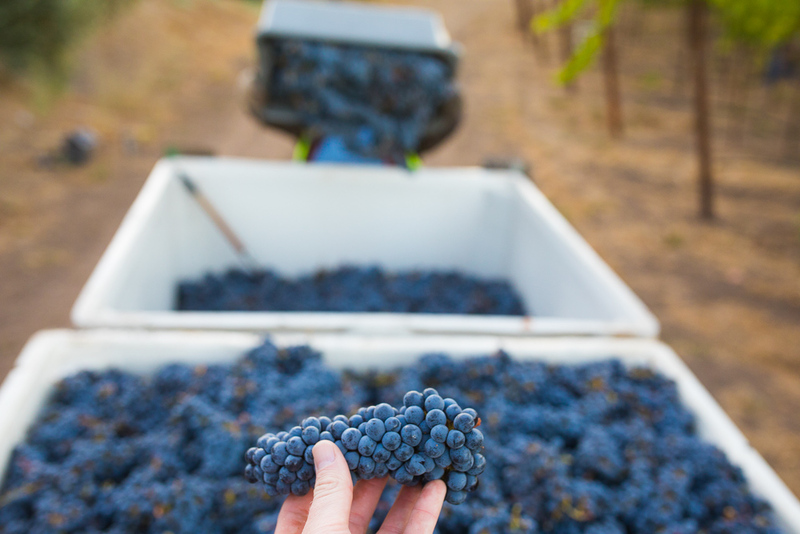 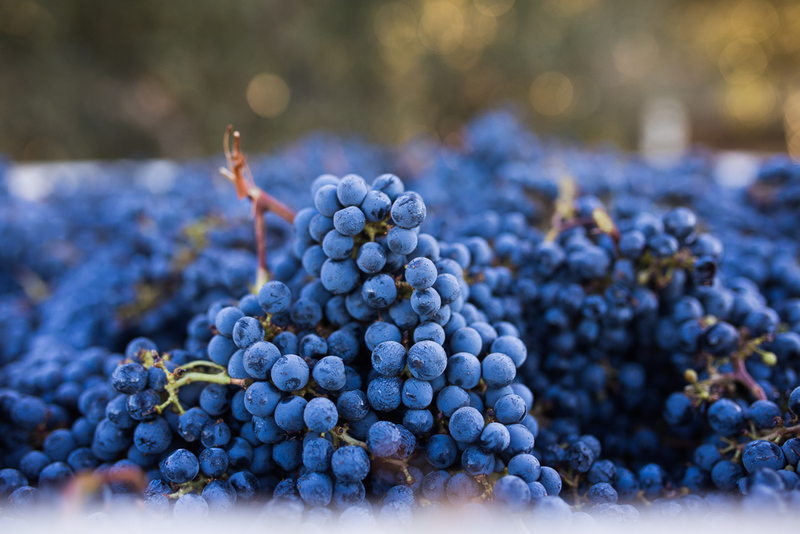 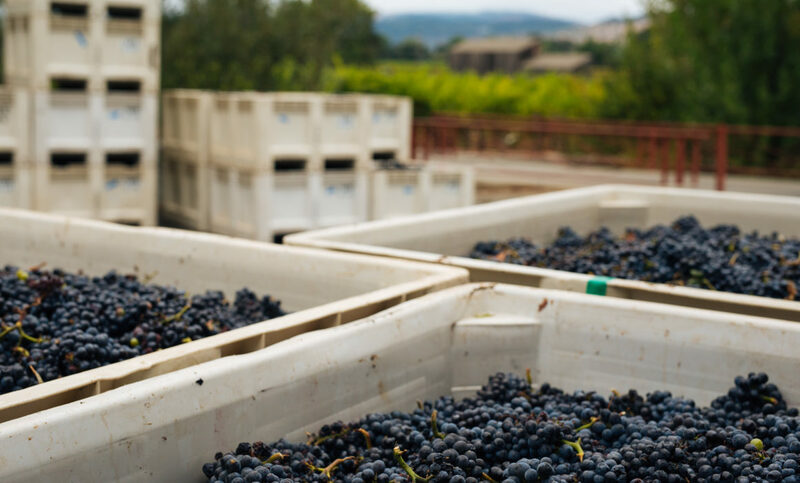 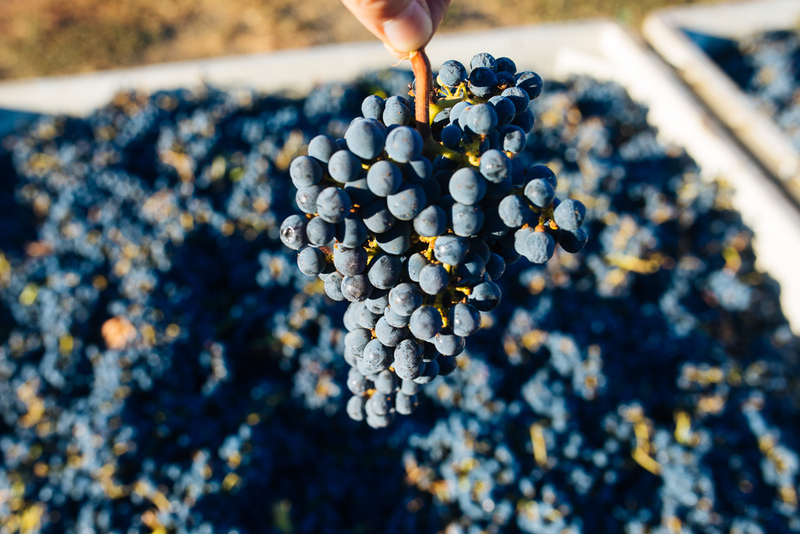 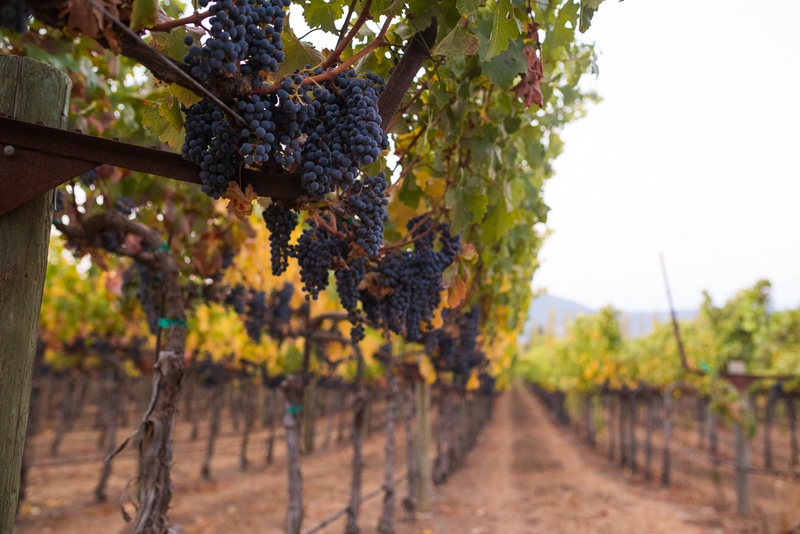 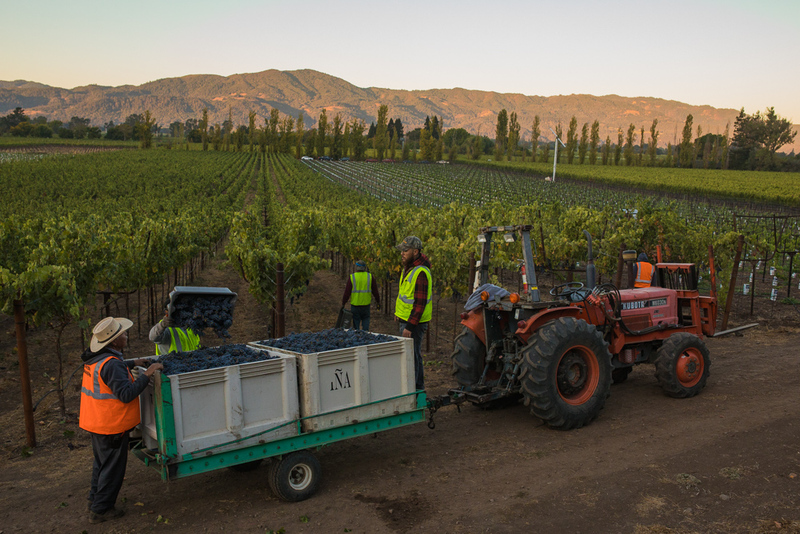 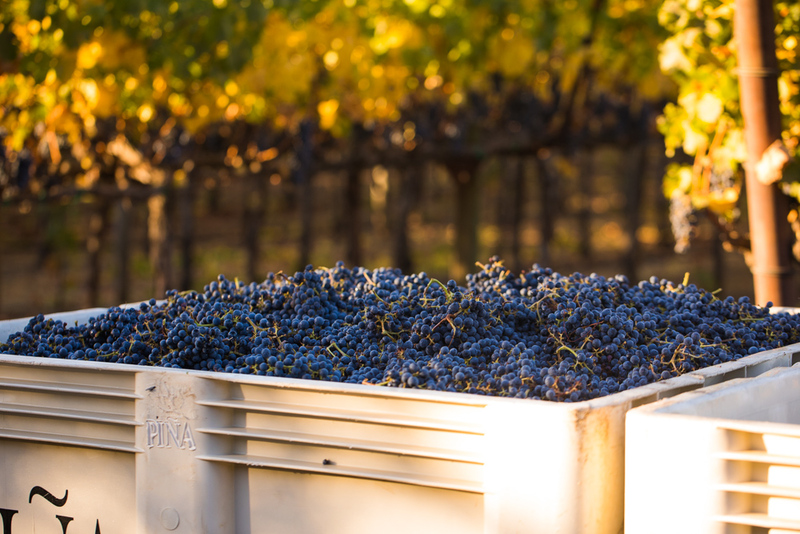 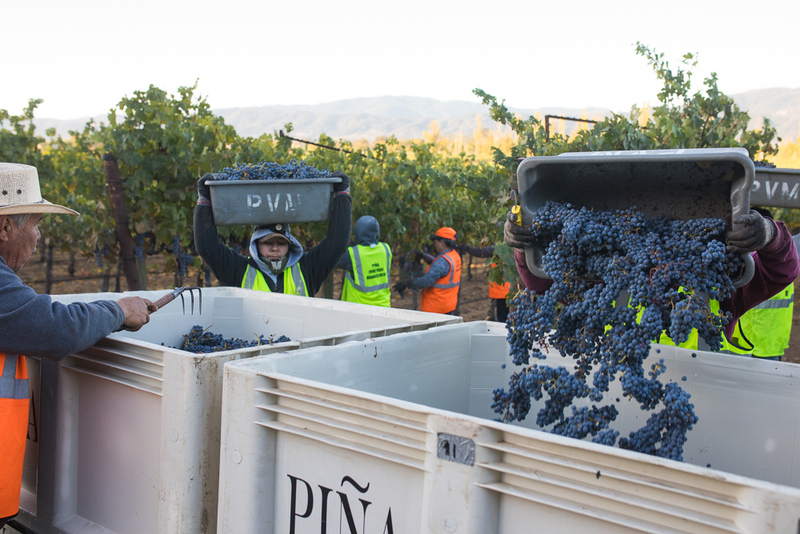 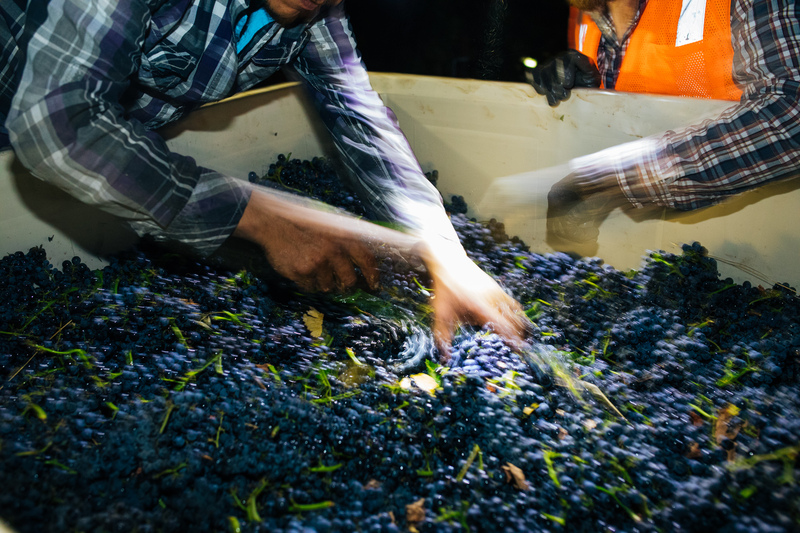 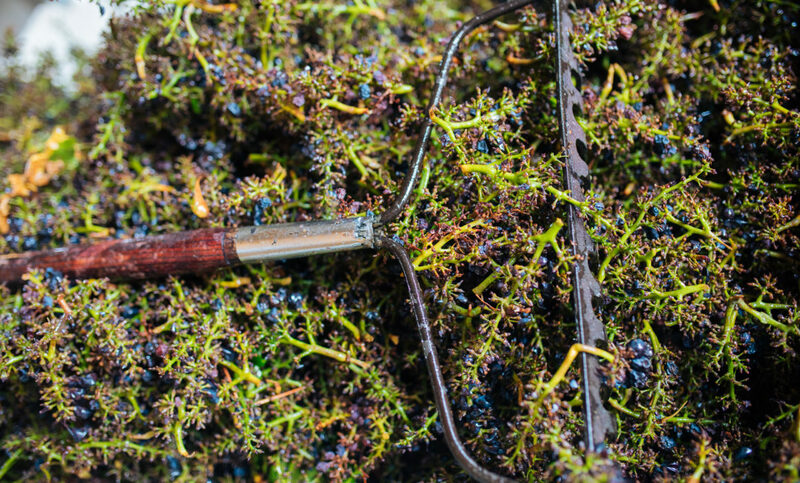 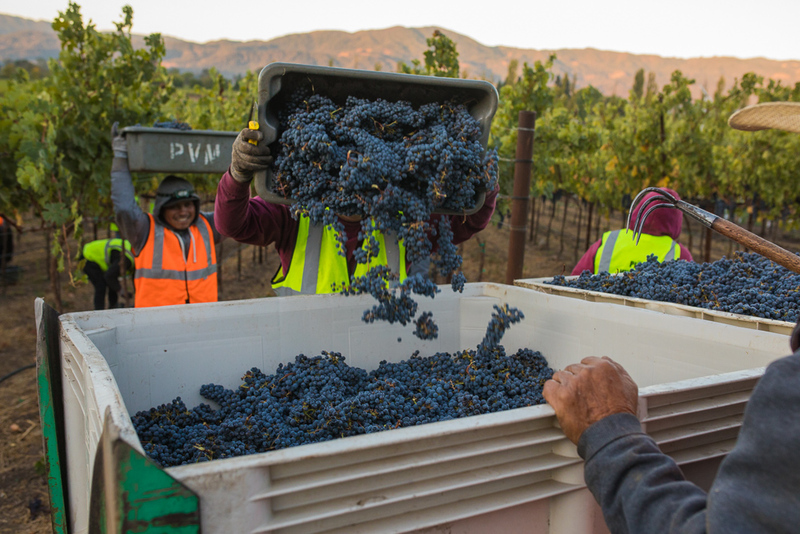 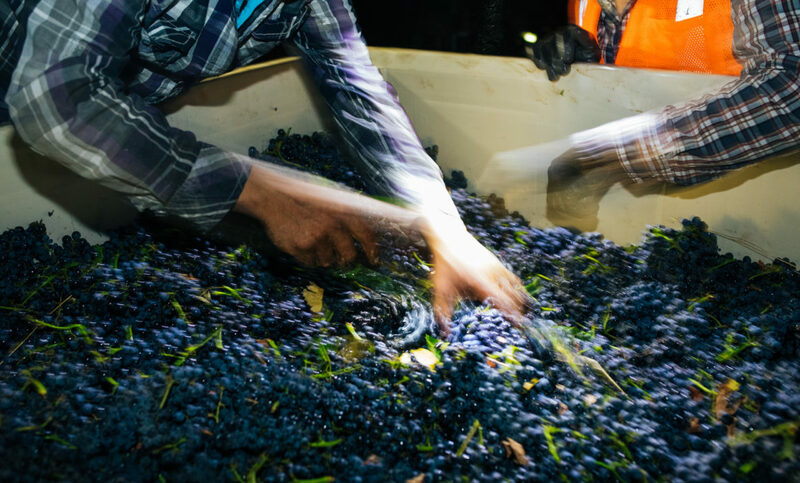 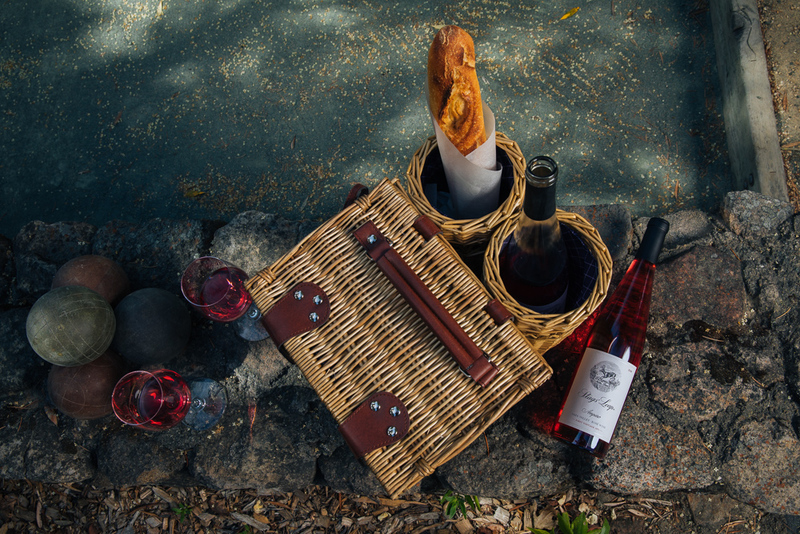 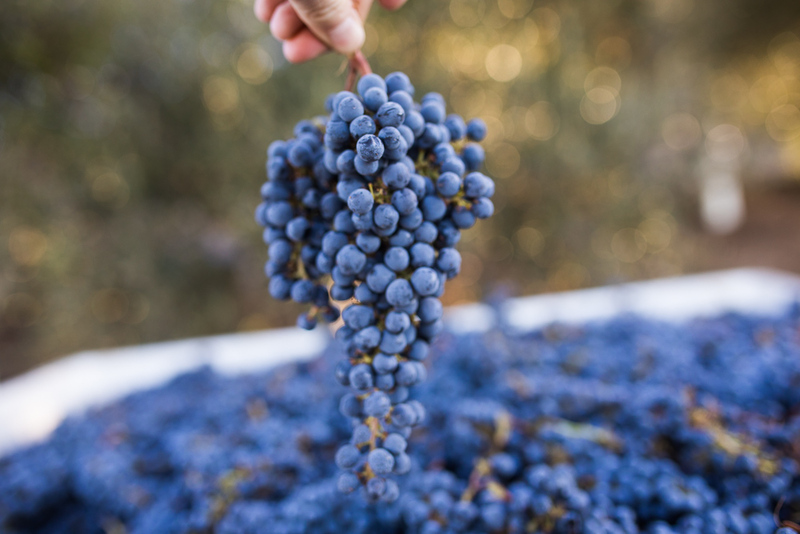 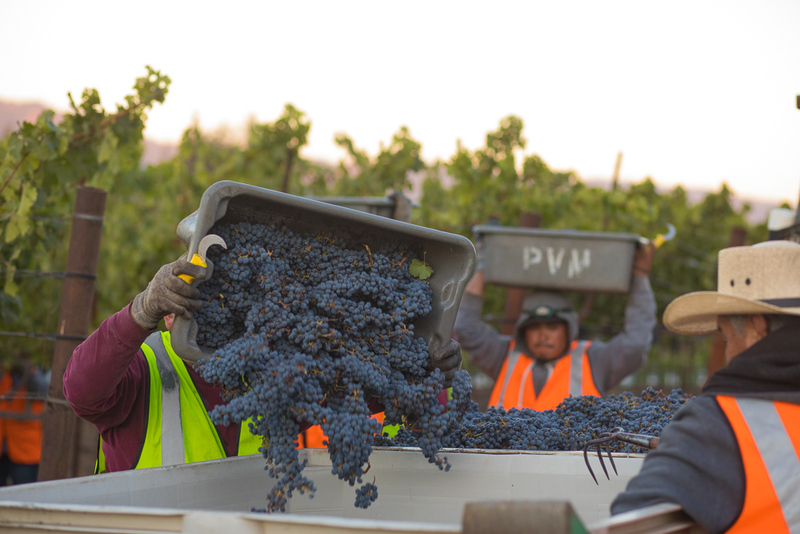 The day for these grapes started with a night harvest at the Annahala and Apple Barn Estate vineyards – known collectively as Two Creeks Vineyards in Anderson Valley. 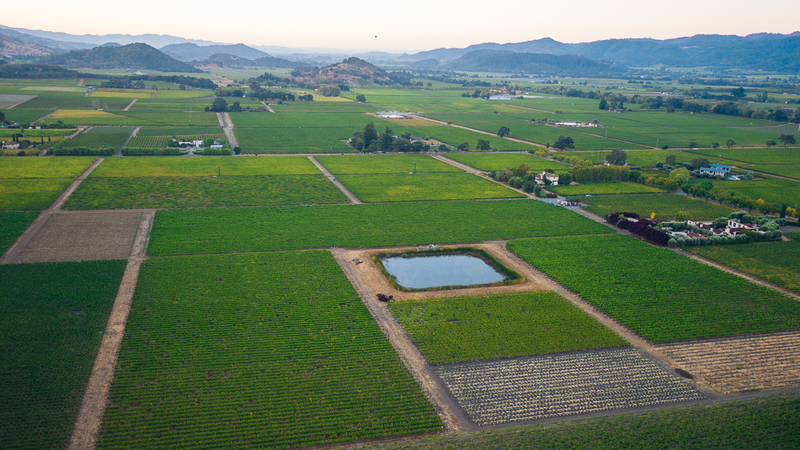 Here, the marine-influenced climate and warm, sunny afternoons provide the perfect stage for growing nine superior pinot noir clones. 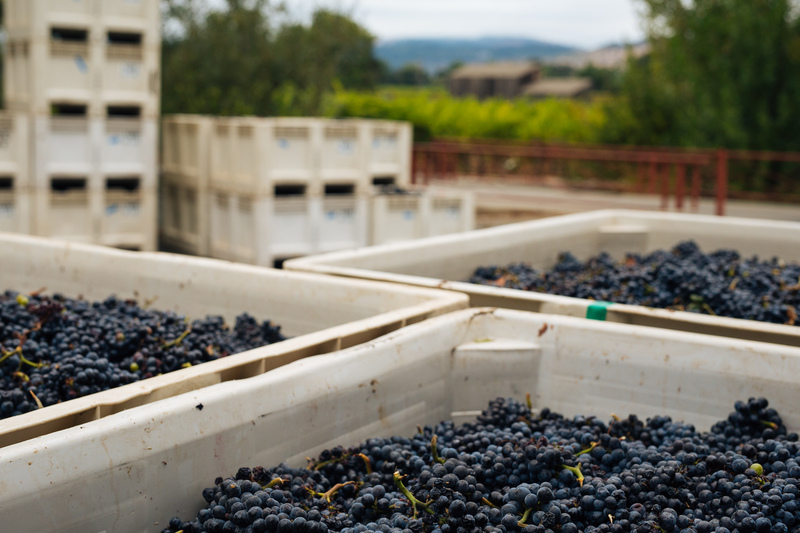 By the time I was on-location at the winery in Napa just after sunrise, the fruit had just arrived from the vineyard and was ready to be sorted. 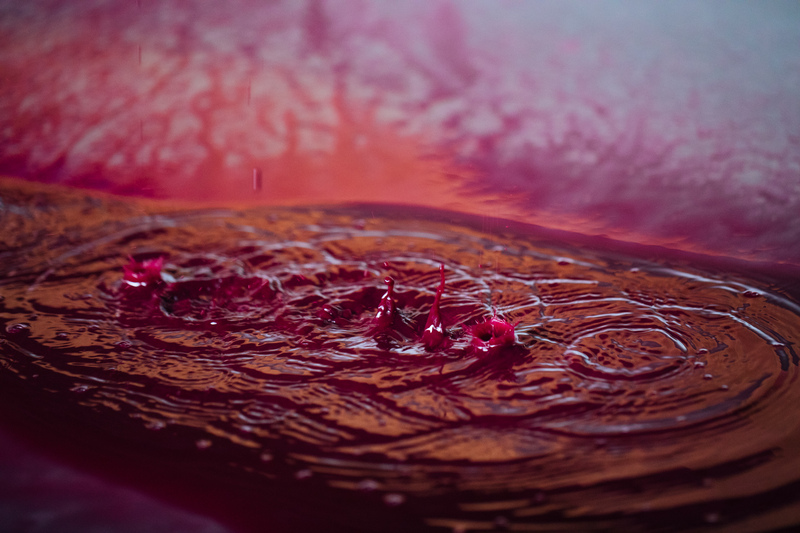 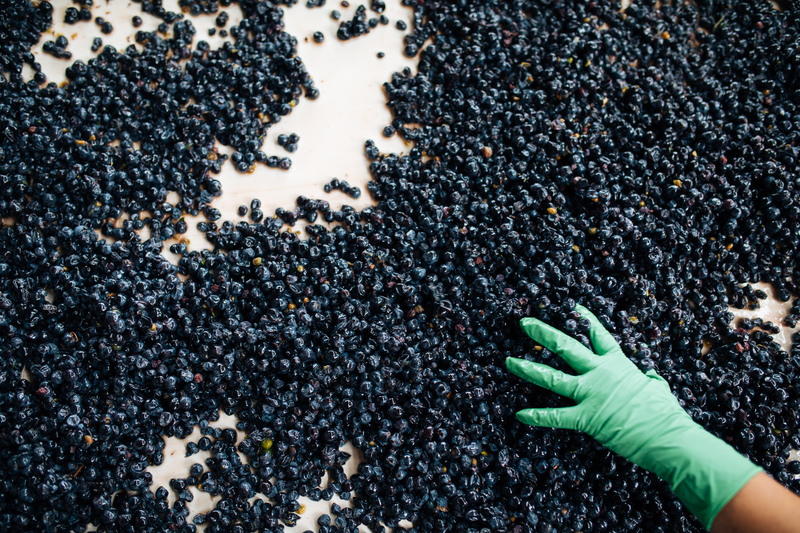 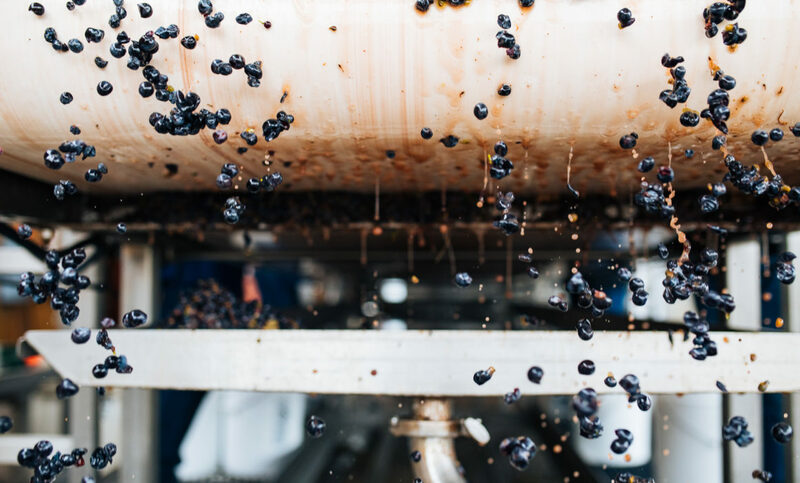 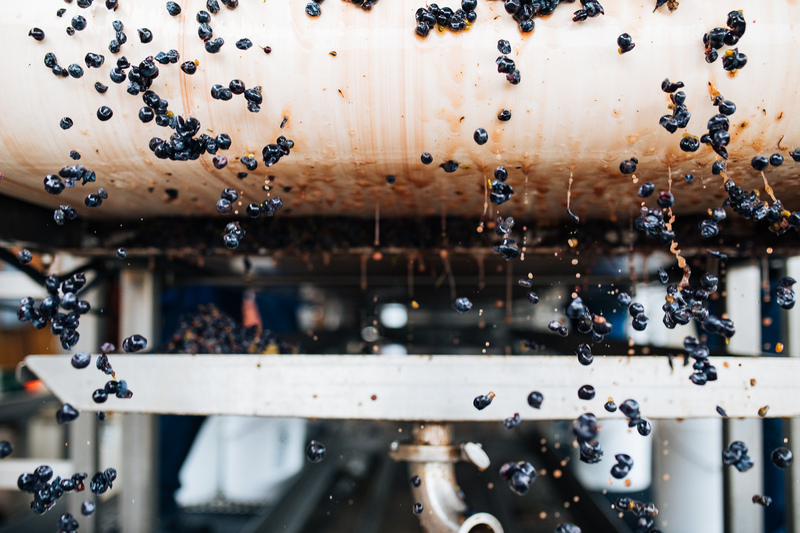 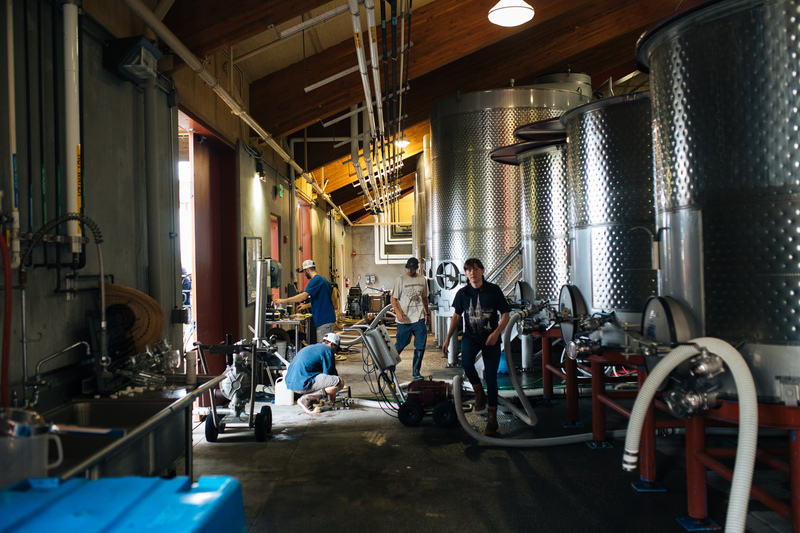 Meanwhile back at the winery, where the air was filled with aromas of juicy, fermenting fruit, the cellar team was equally as busy – grapes were hand-sorted, while tanks were drained and filled and pumpovers happening all around. 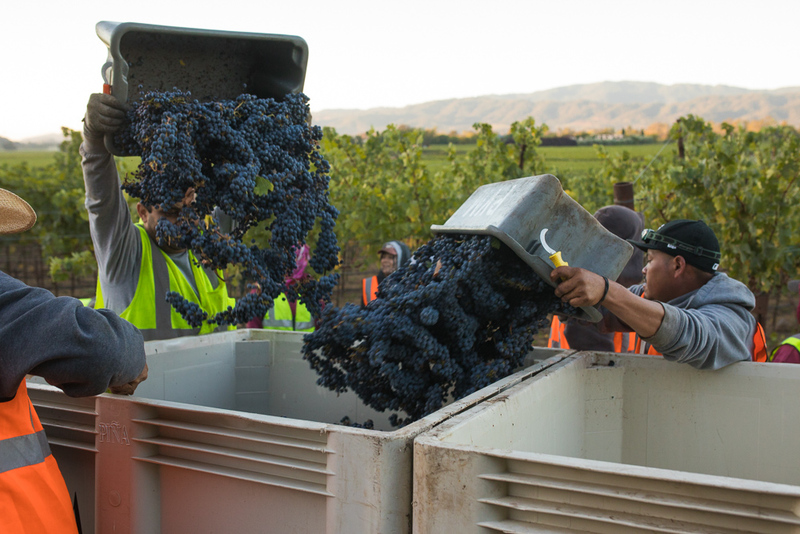 Needless to say, harvest is truly an all-hands-on-deck job, with head winemaker Julianne Laks leading the charge. 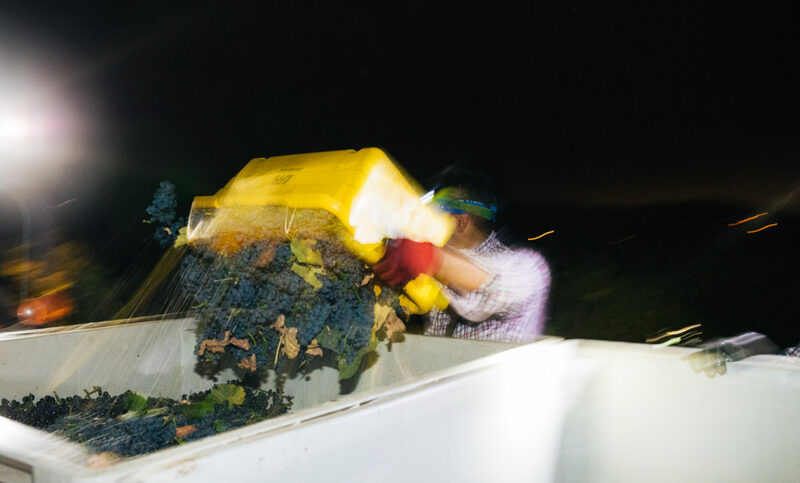 There is no denying that during harvest an incredible amount of hours are spent in the vineyards and at the winery… I’m talking sometimes up to 100 hours a week. 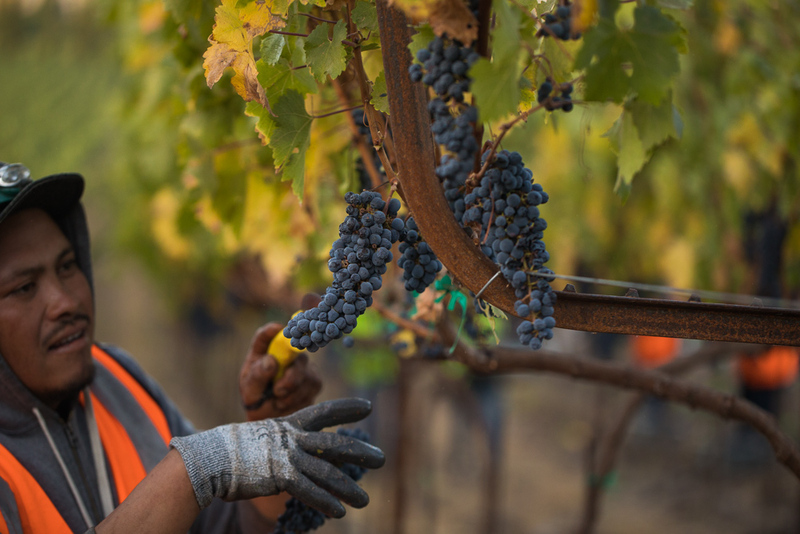 Cakebread’s crew had sky-high spirits and remained strong throughout the long days, fueled by shared laughter and camaraderie. 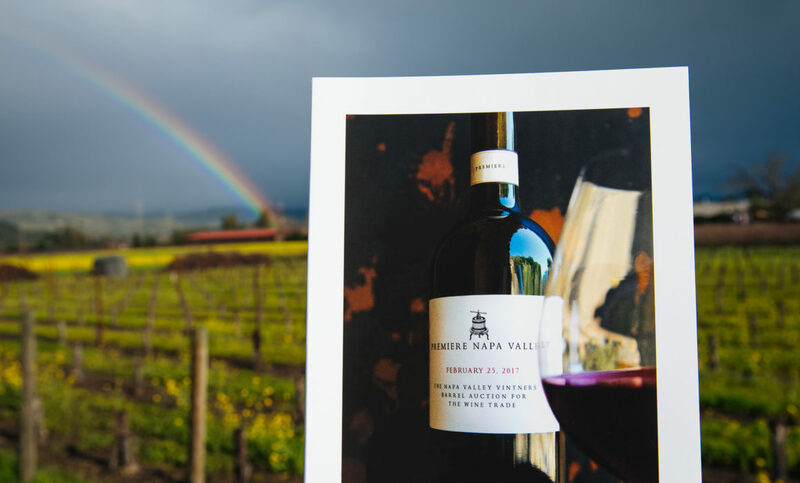 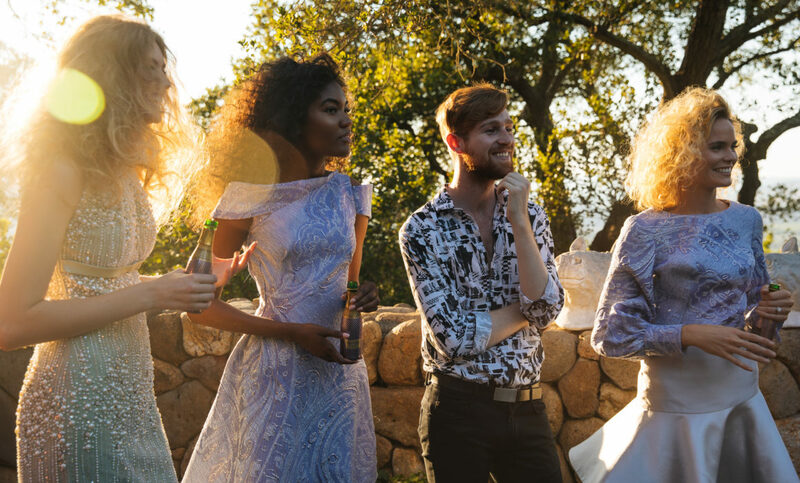 Their spirits were infectious, making this day not only one of my most unforgettable and fun shoots, but also one of my most treasured Napa experiences. 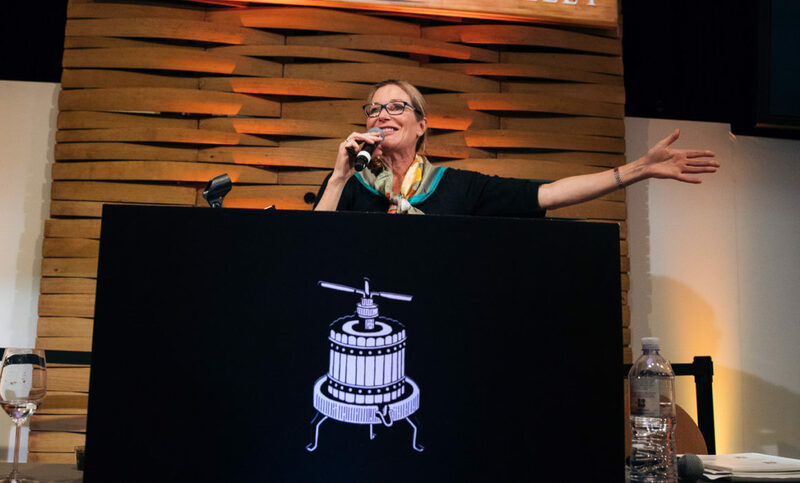 And in case you’re wondering what Julianne’s verdict is for the ’17 Pinot….Let’s just say she cannot wait for us to try it. 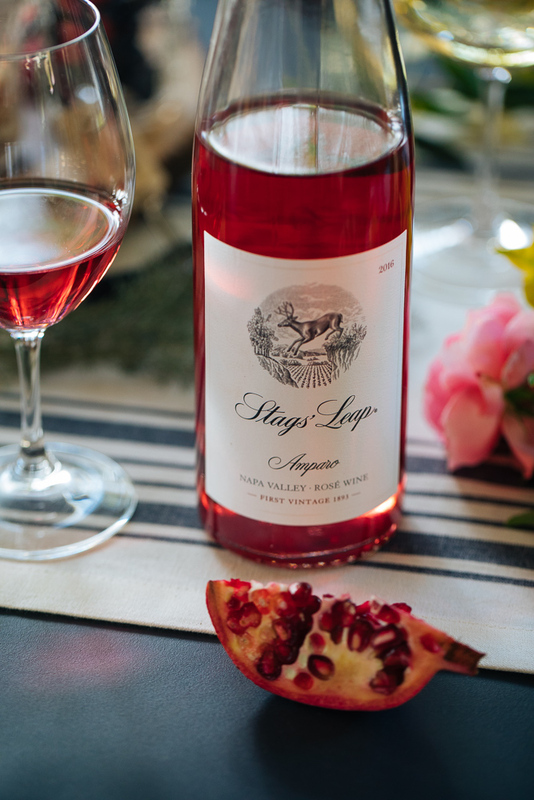 Grapes were first planted on the property of Stages Leap Winey in 1872. 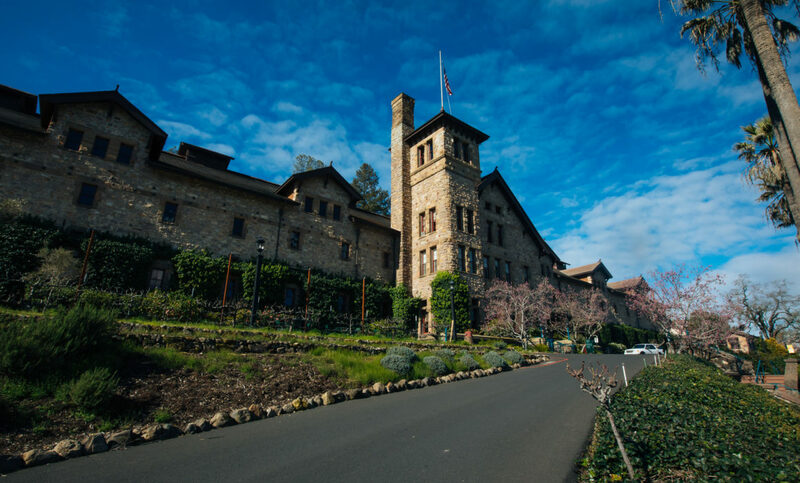 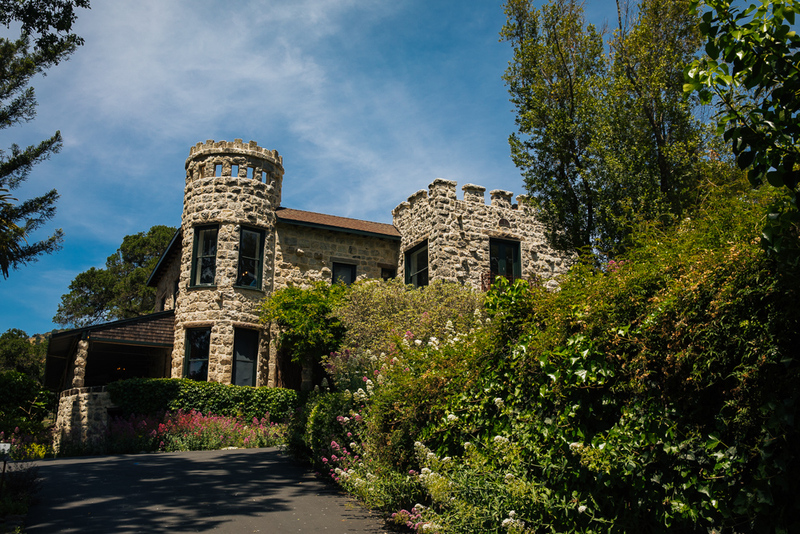 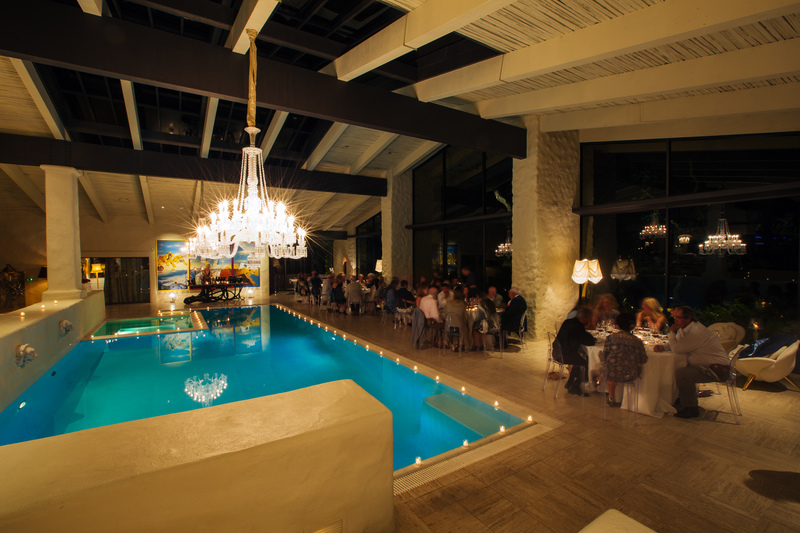 It is a gorgeous and storied estate that creates fantastic wines. 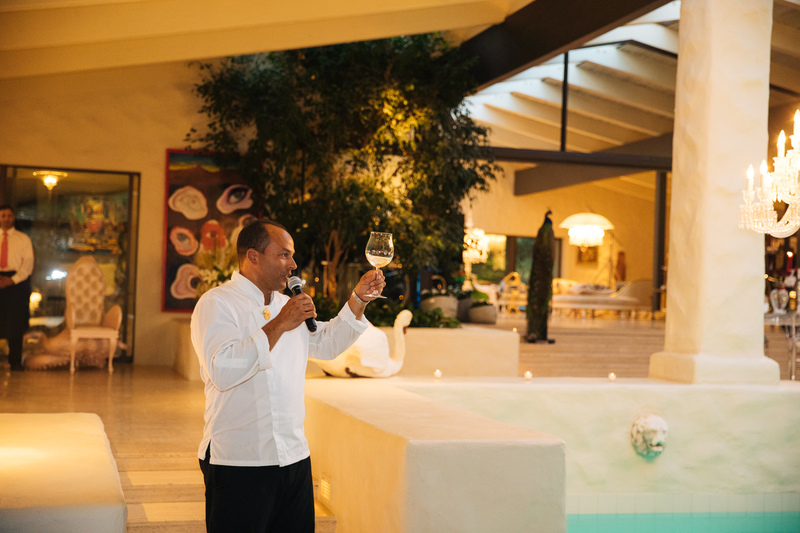 I recently had the pleasure to photograph the property and several of their different wine and food tasting experiences. 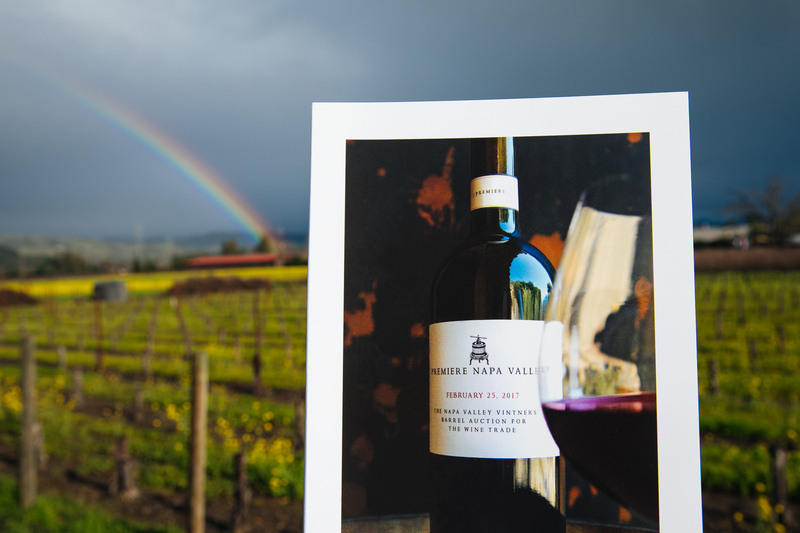 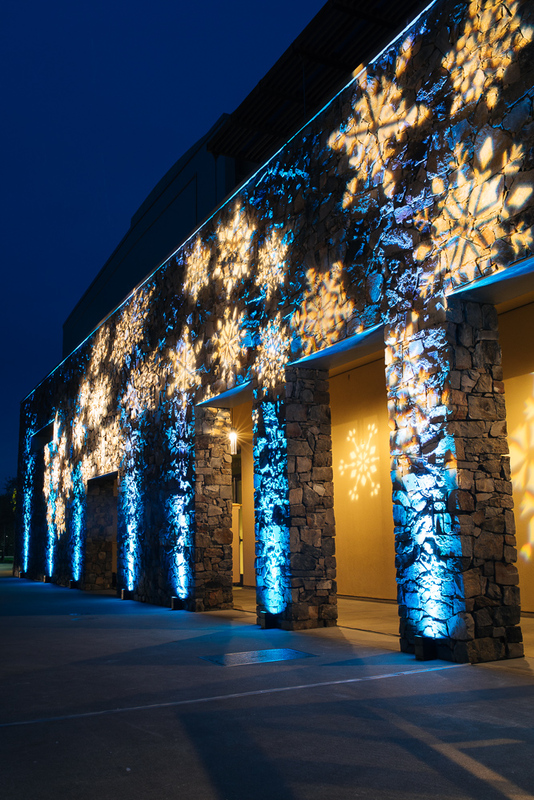 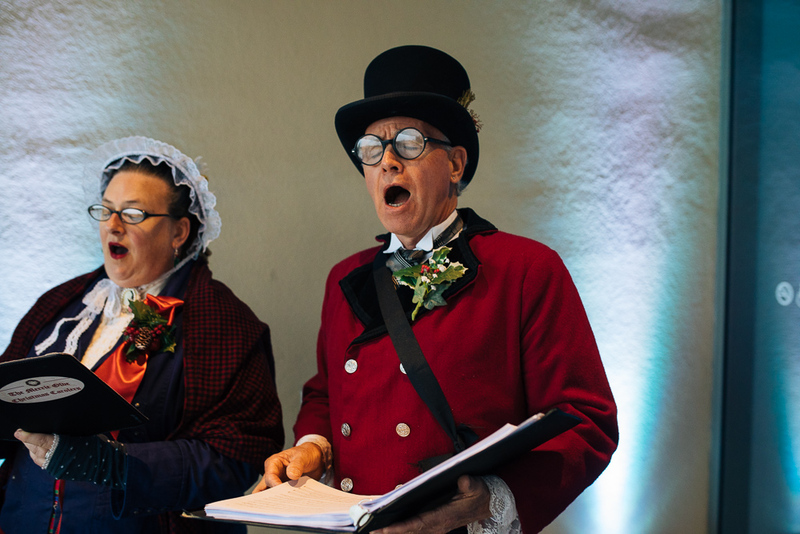 It’s the most wonderful time of the year here in Napa! 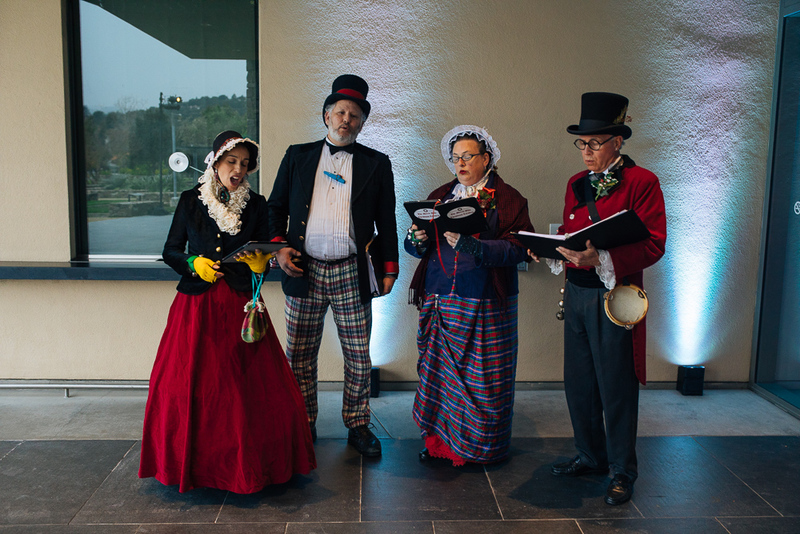 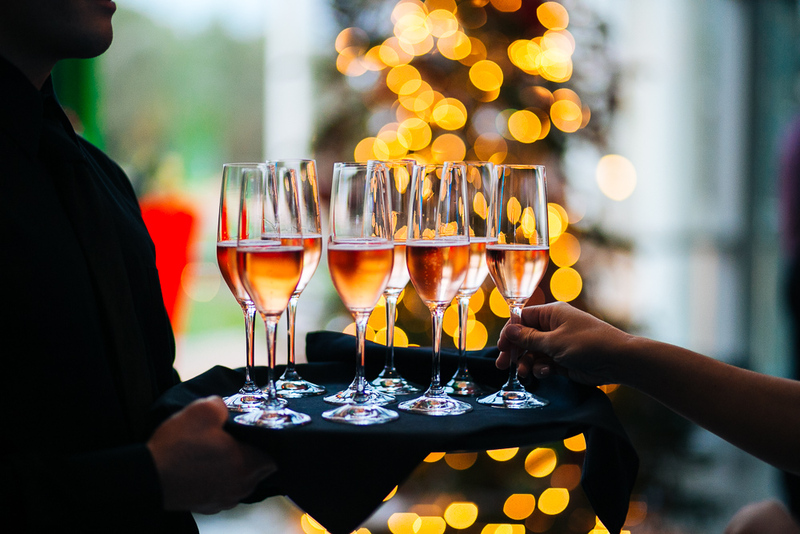 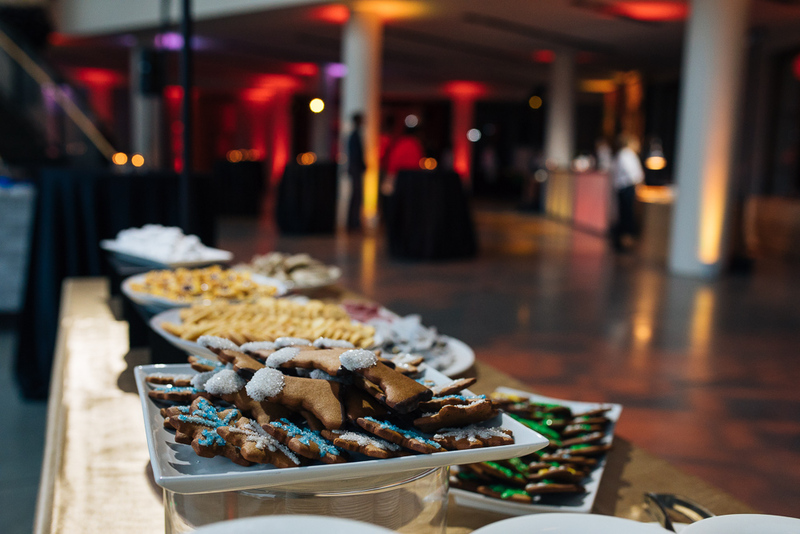 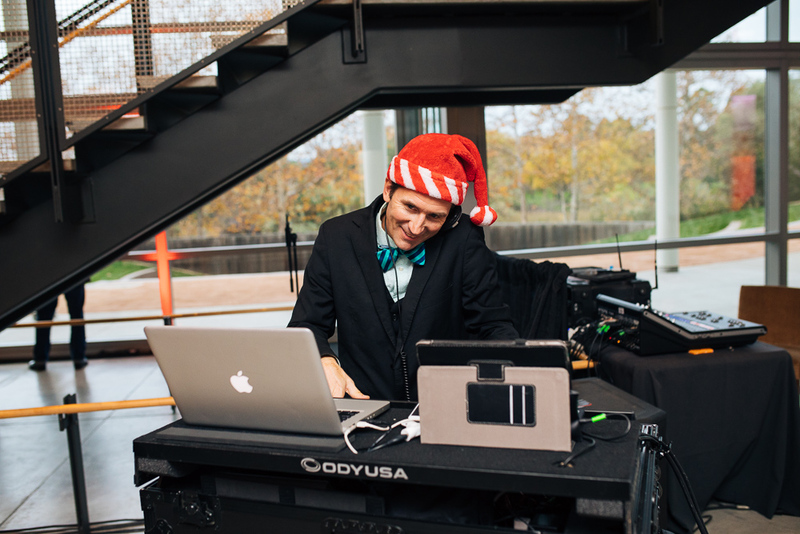 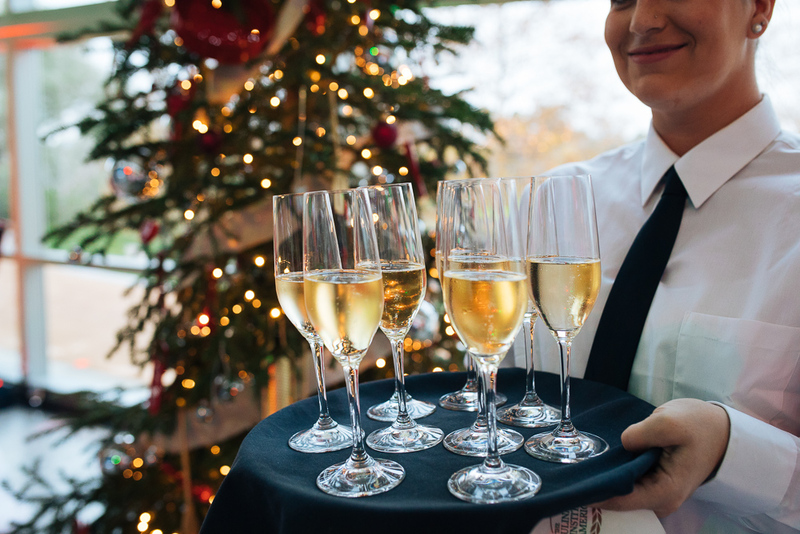 Everyone is in the spirit of giving and the holiday parties are in abundance. 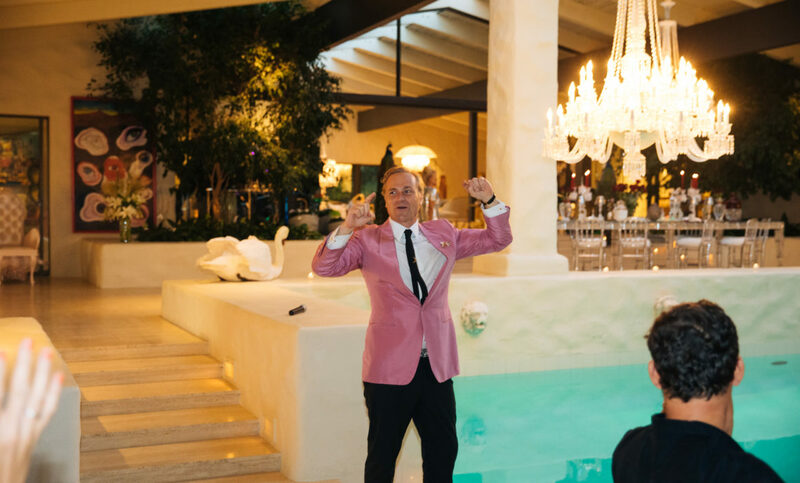 This celebration, in particular, had a purpose. 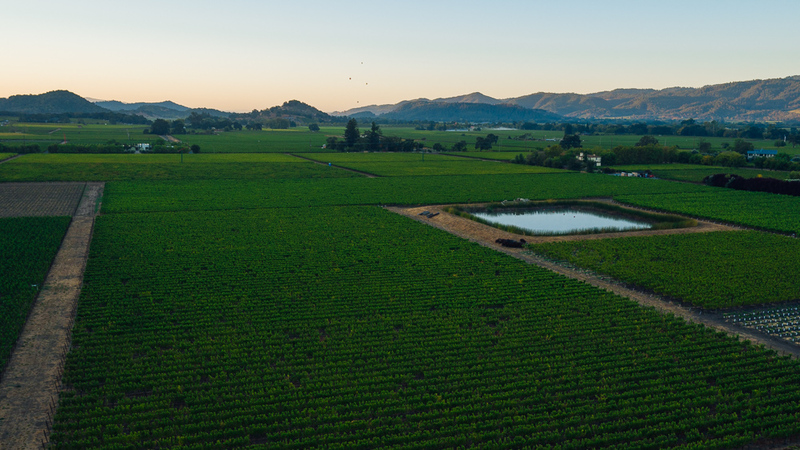 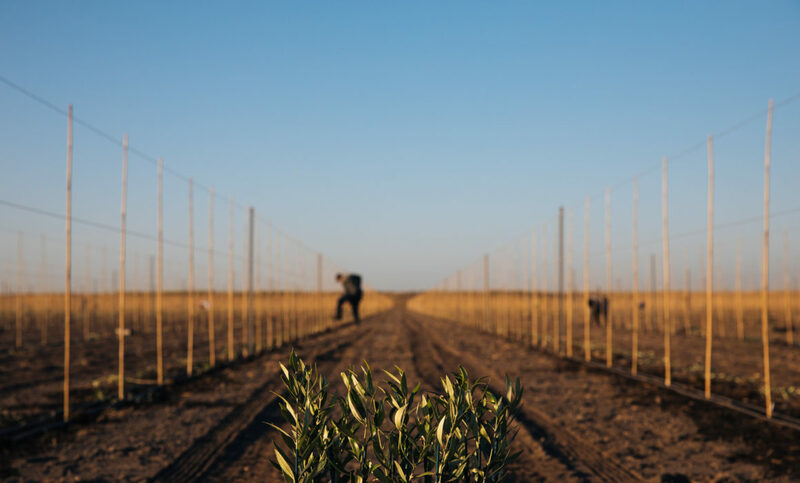 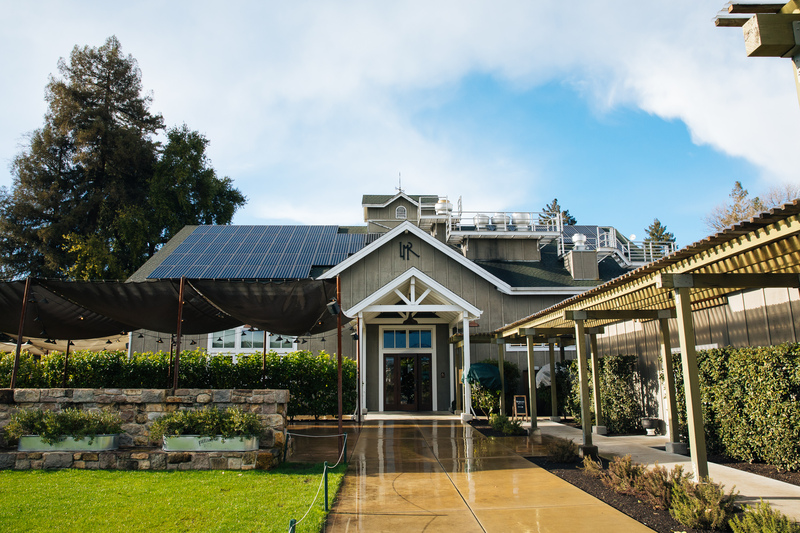 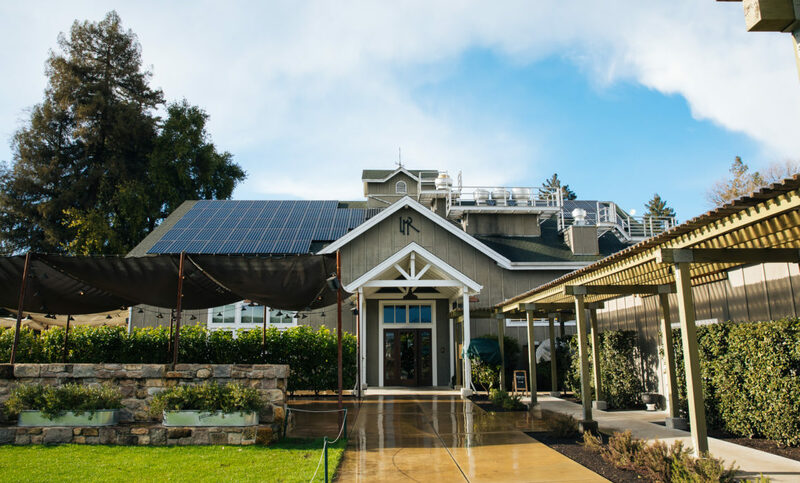 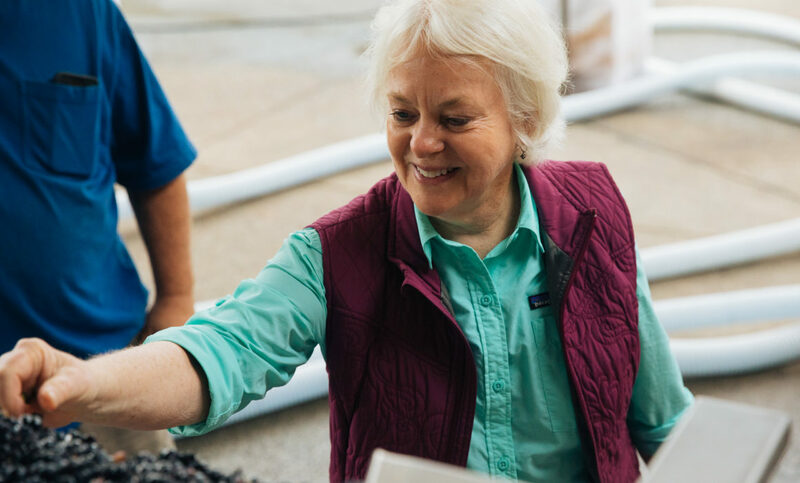 The Napa Valley Vintners goal is to consistently produce wines of the highest quality and to provide environmental leadership and to care for the extraordinary place they call home. 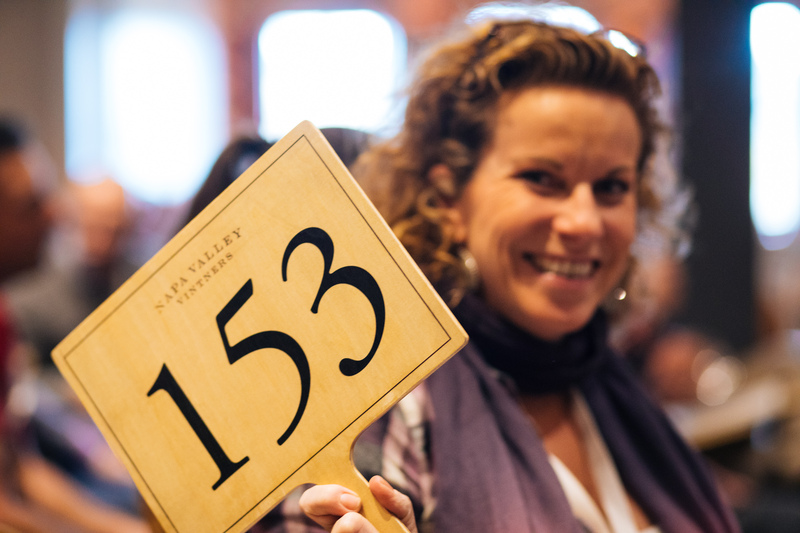 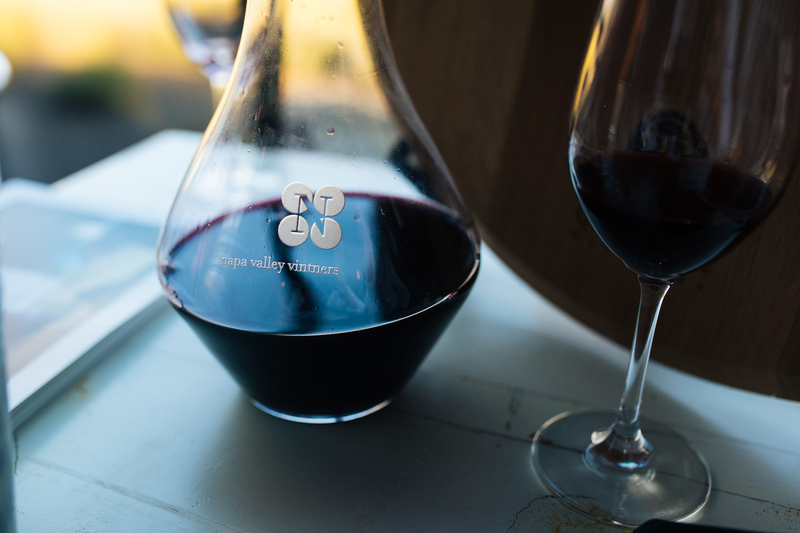 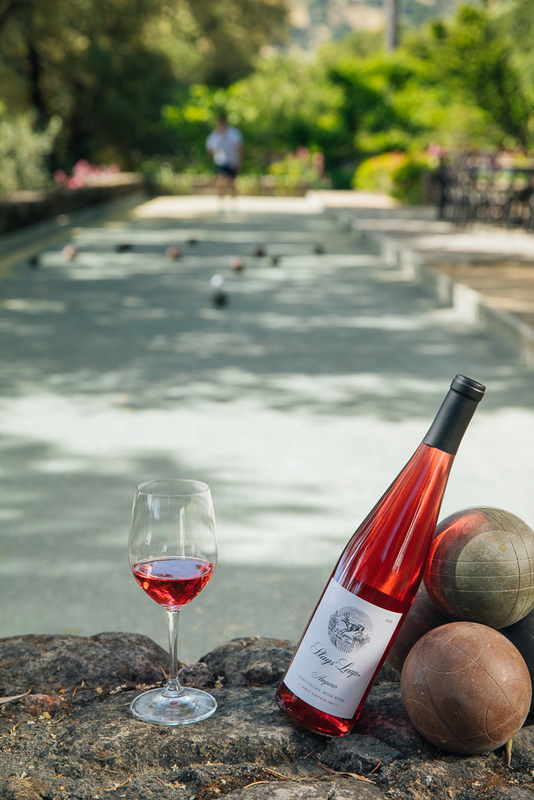 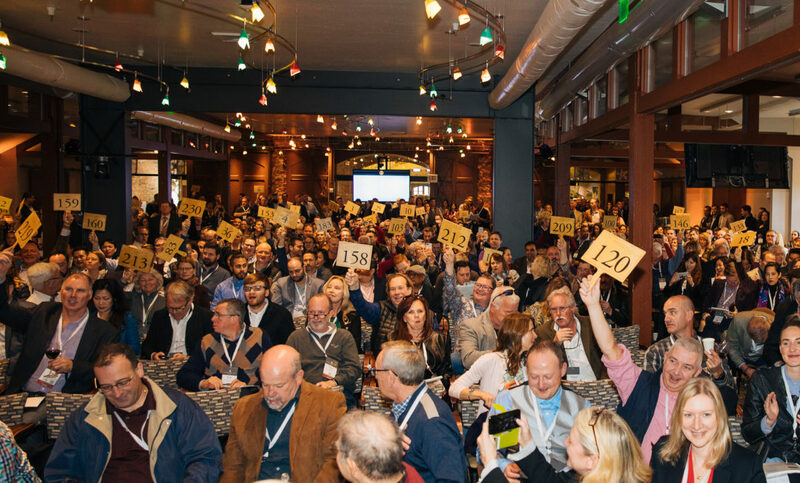 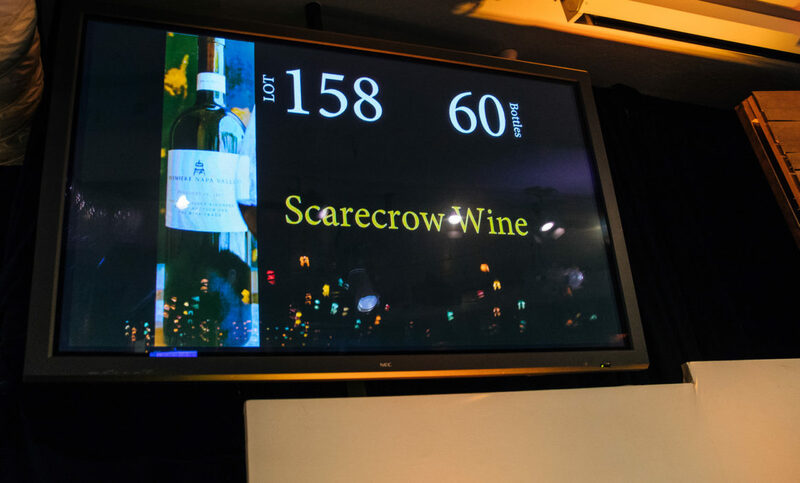 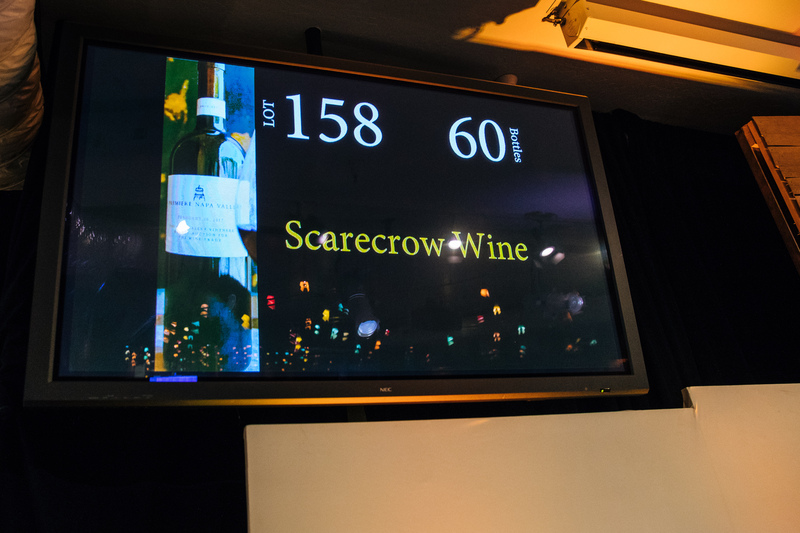 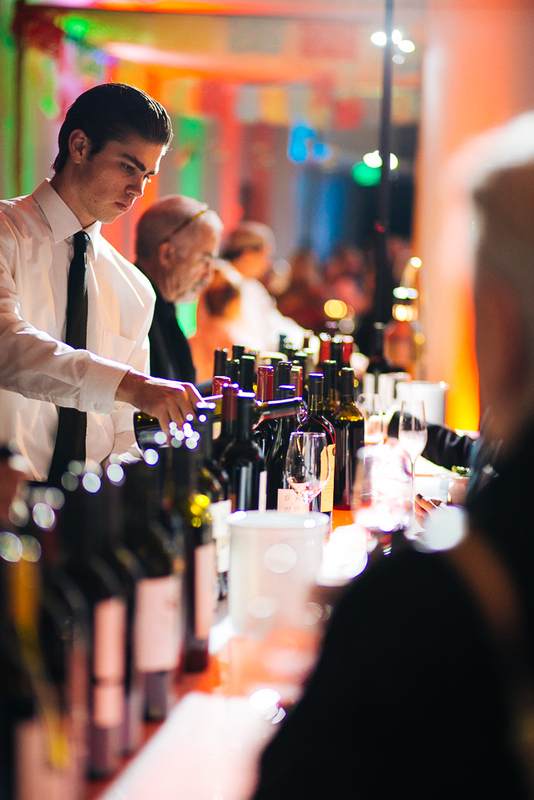 Imagine all the wineries and winemakers in Napa converging to give back to needy children. 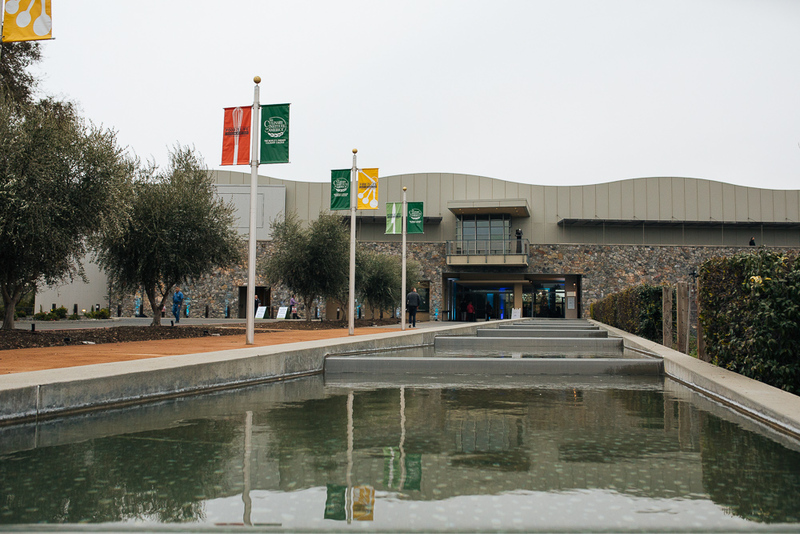 That’s exactly what they did at Copia. 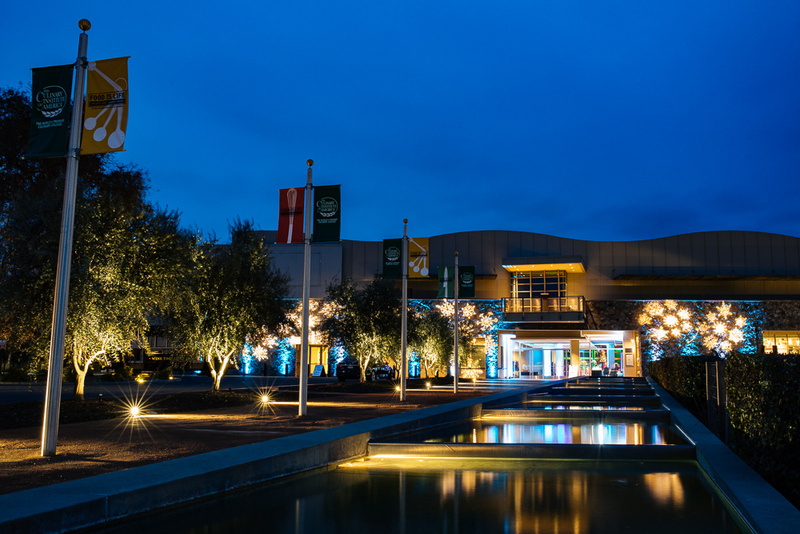 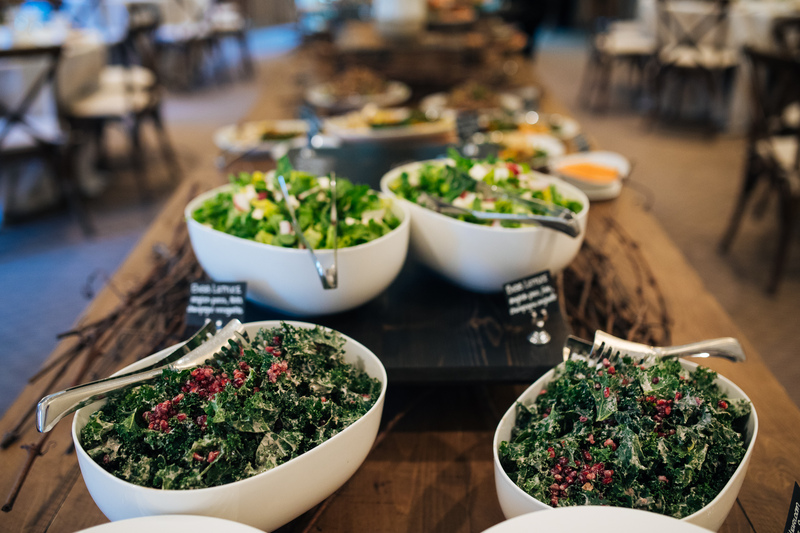 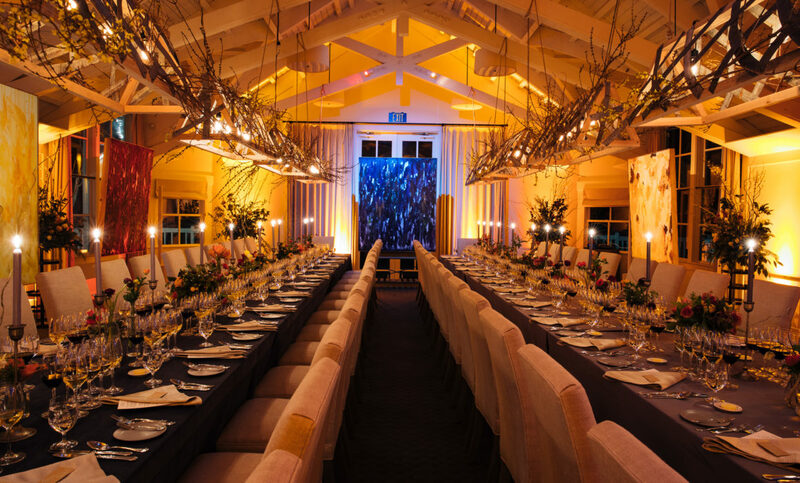 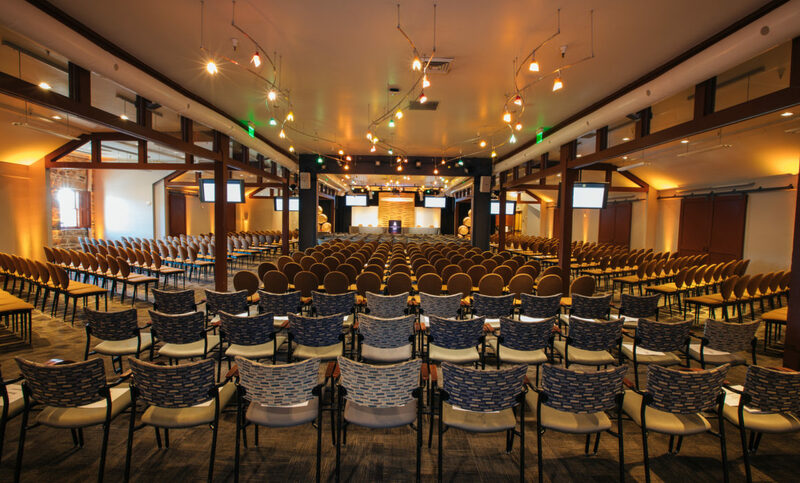 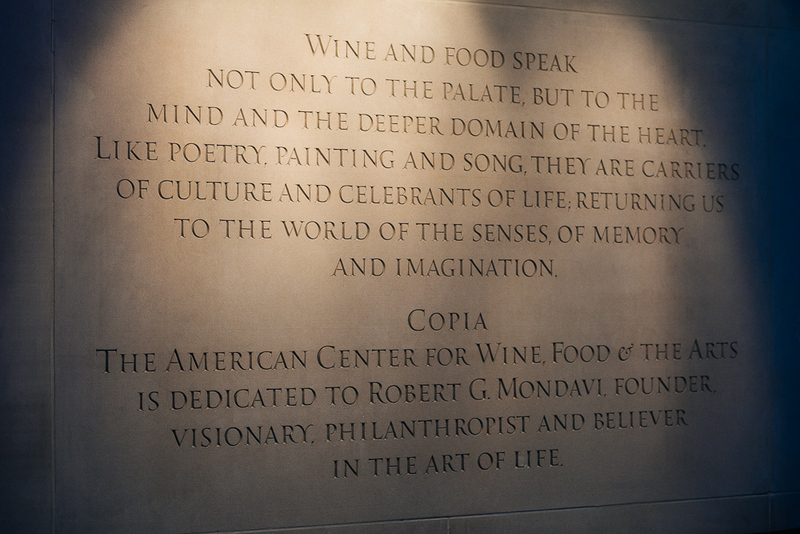 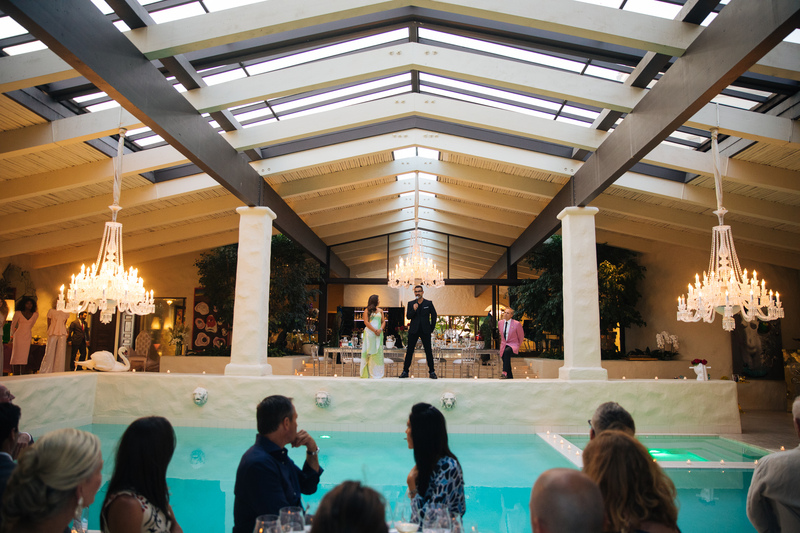 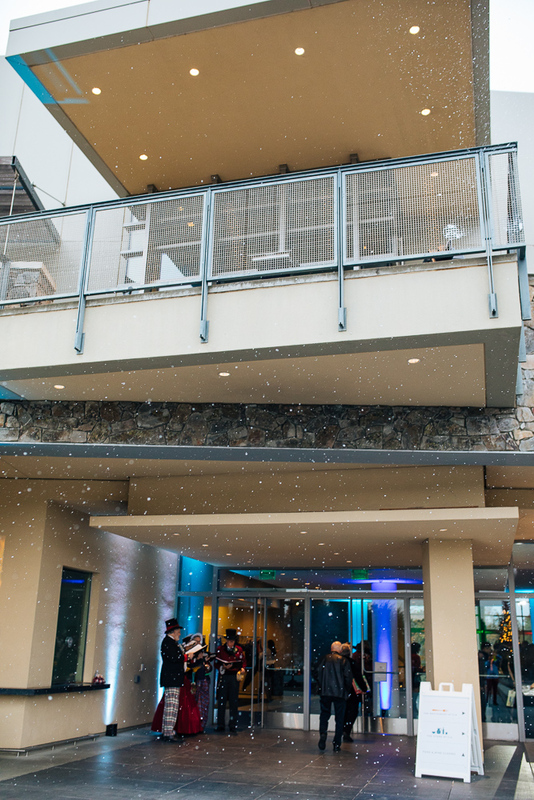 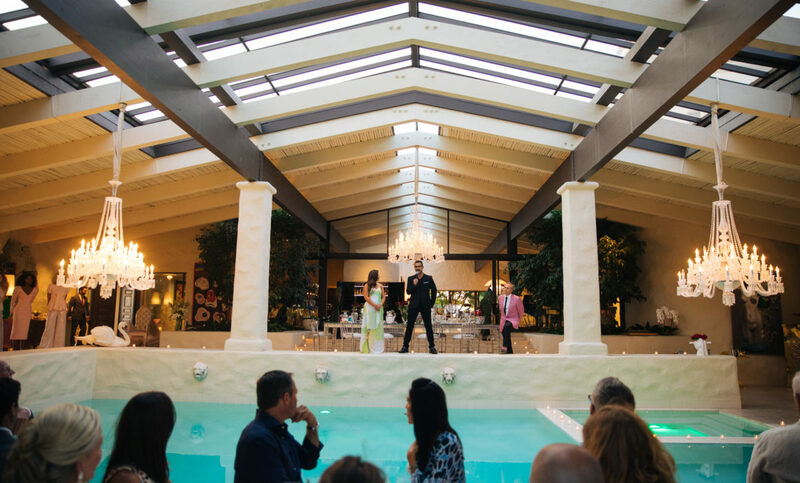 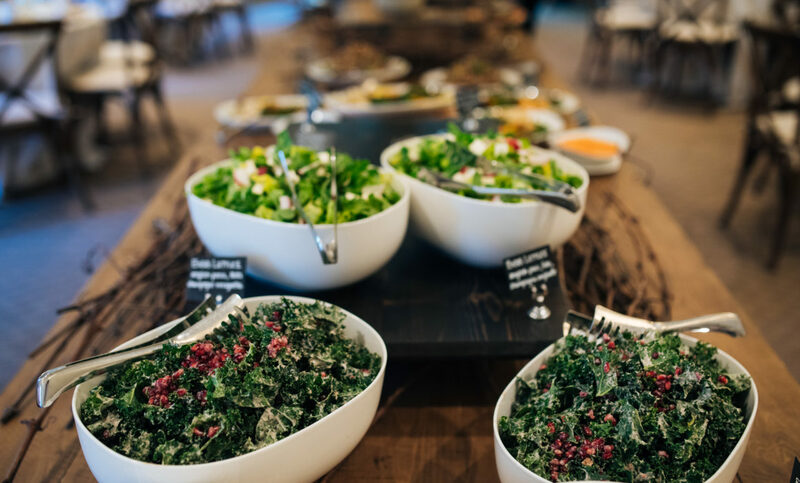 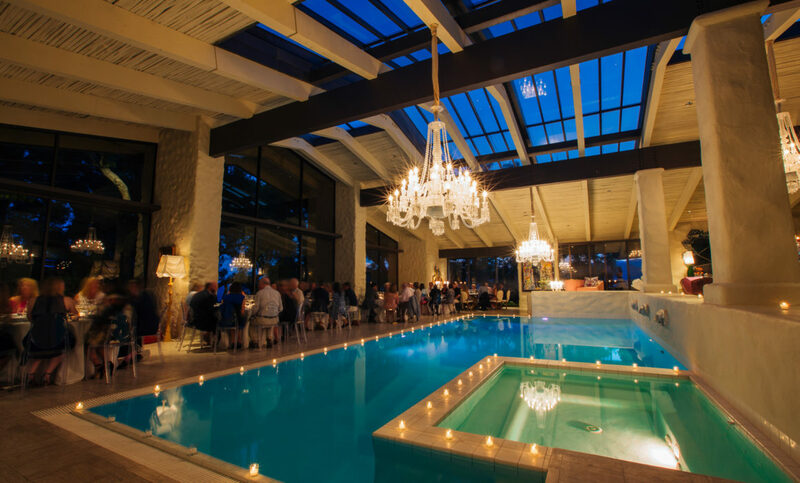 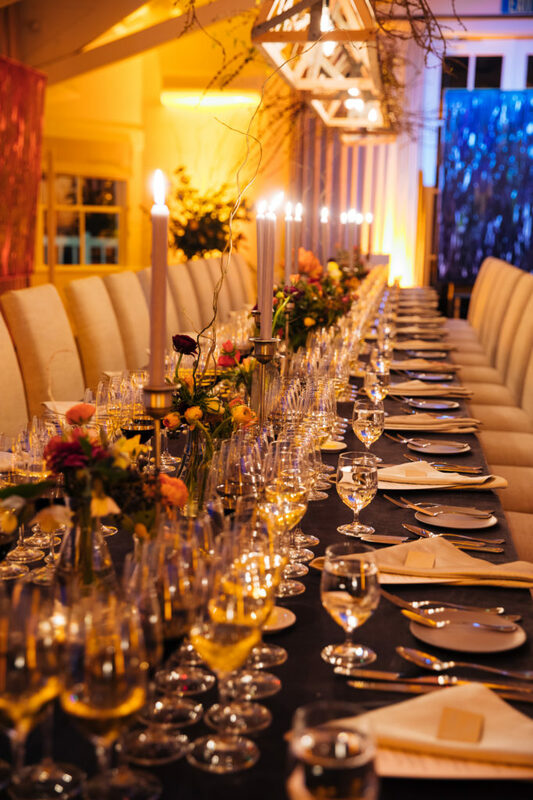 Copia is a revitalized event space in the Culinary Institute of America in Downtown Napa. 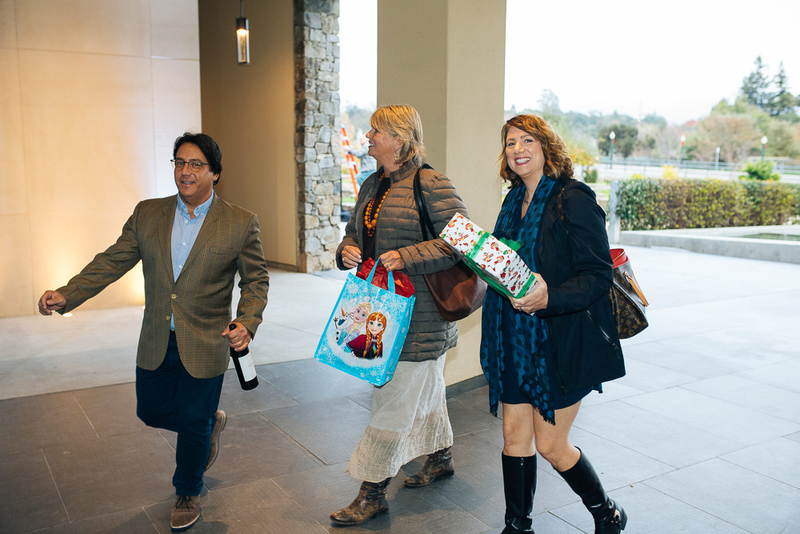 Each guest brought one or two bottles of their wine to share with their fellow winemakers and to donate toys for children in need. 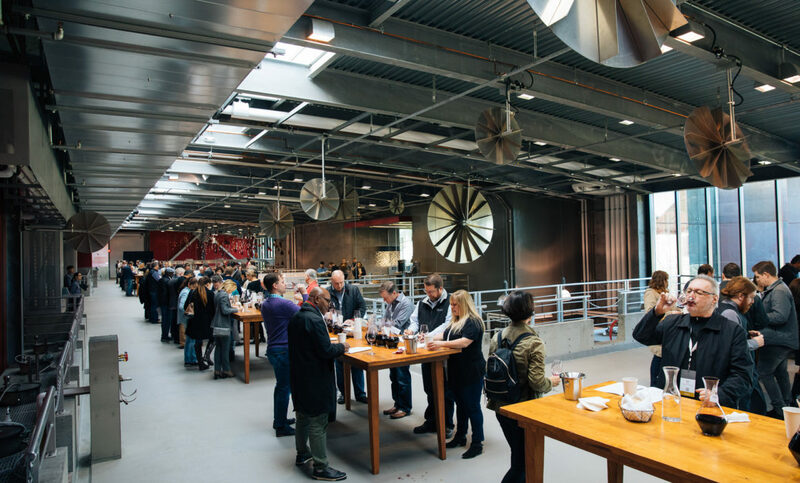 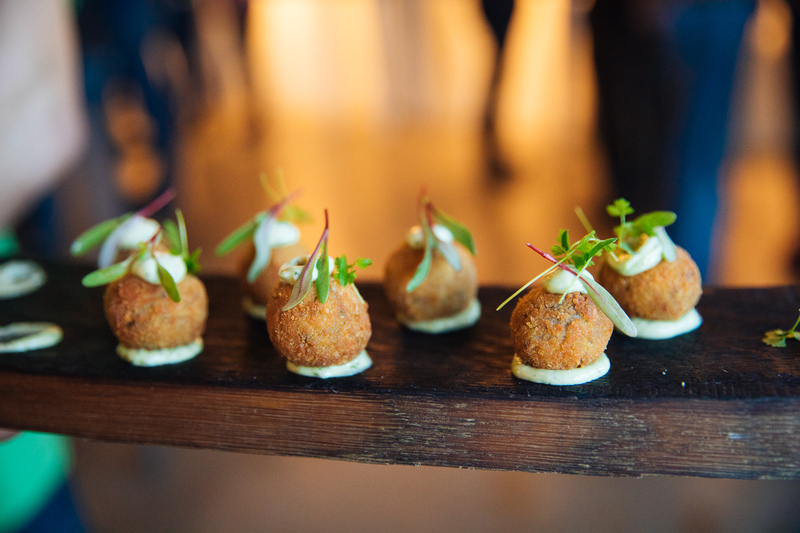 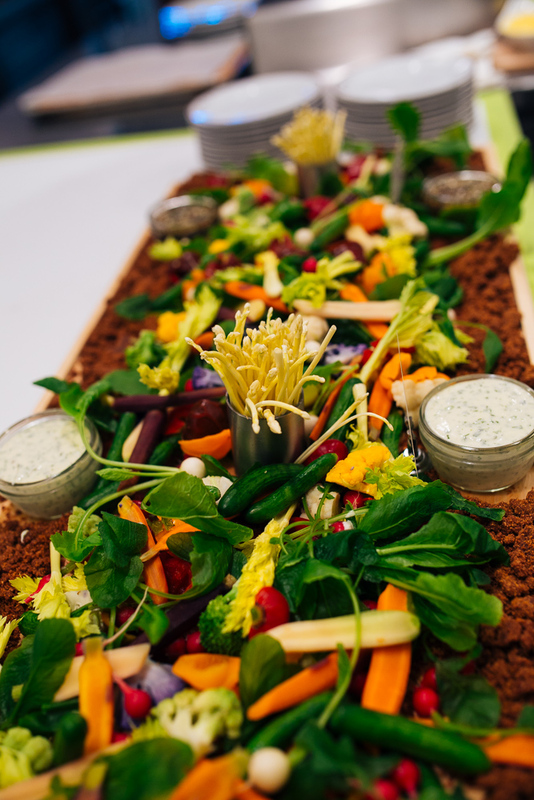 The venue is an amazing modern space set up for food exhibitions, tastings, and events. 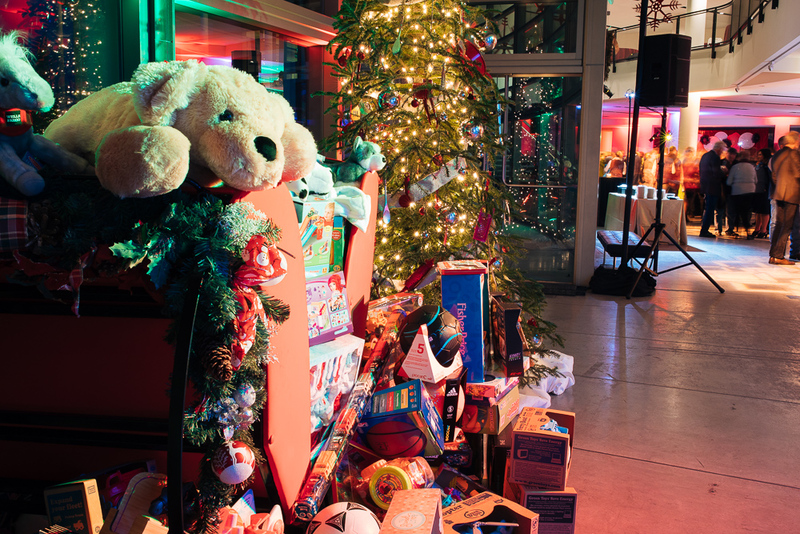 To see everyone coming together to celebrate and give back to the community makes me burst with pride in my city. 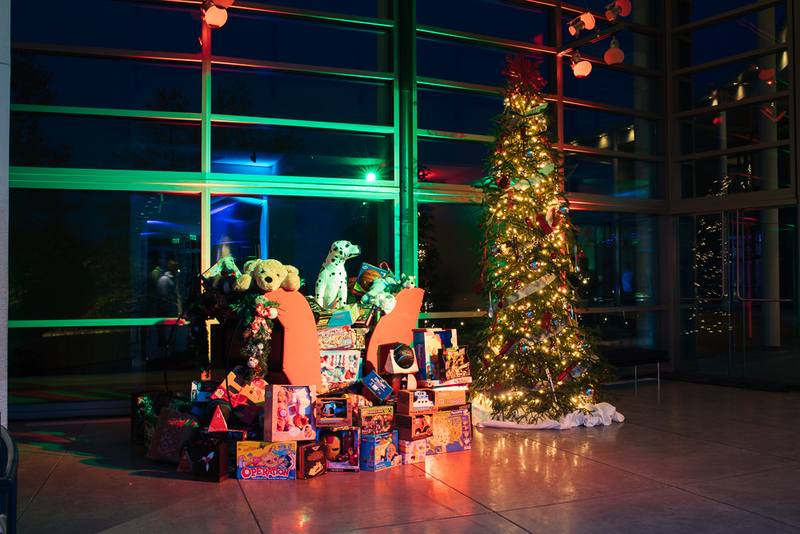 On Christmas morning there will be some very happy kids in this valley and I’m glad I was there to witness the generosity of those who made it possible. 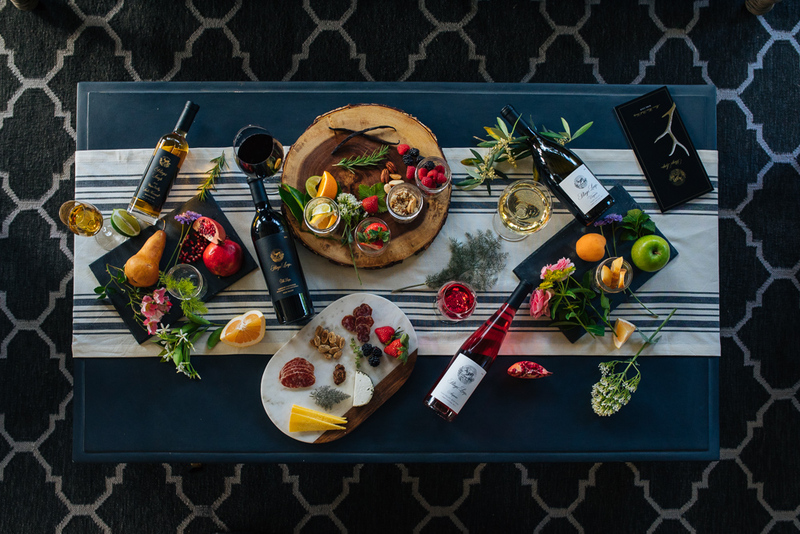 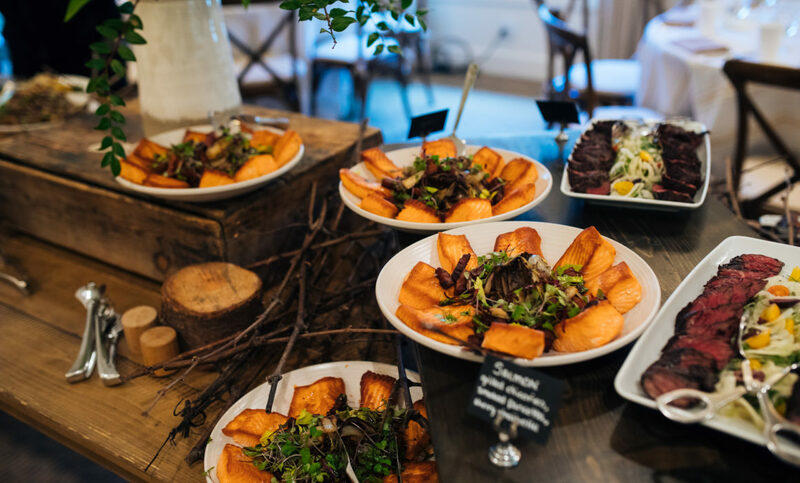 As a commercial photographer with a focus on food and wine in Napa and Sonoma, my work allows me to capture some of the best cuisine and vino the area has to offer. 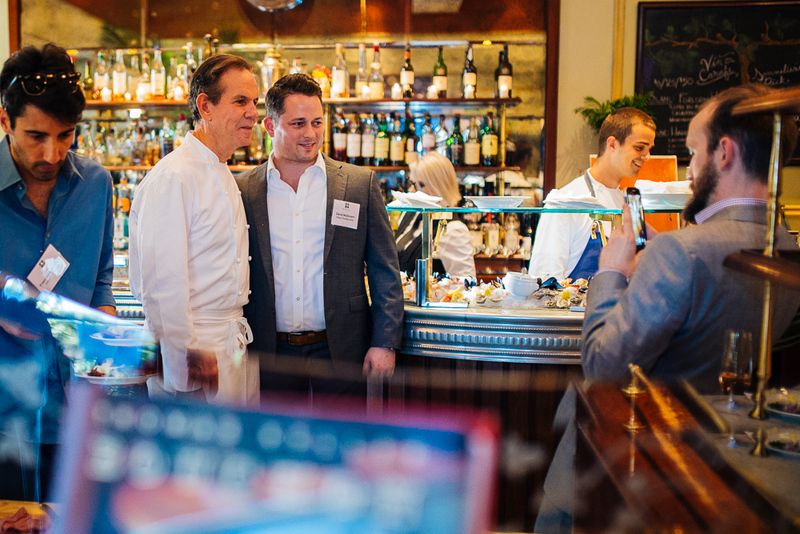 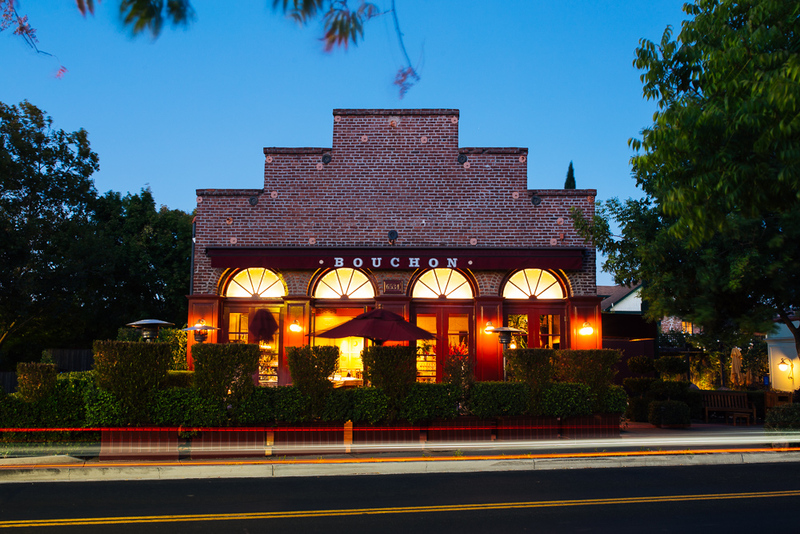 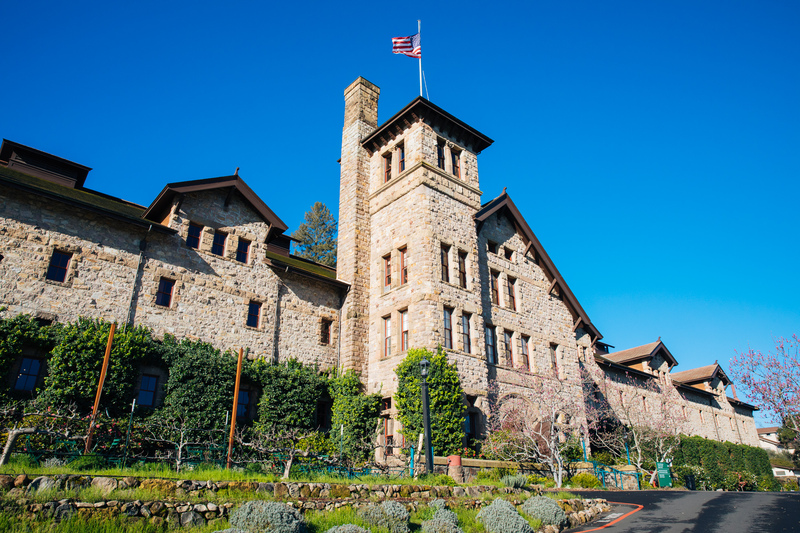 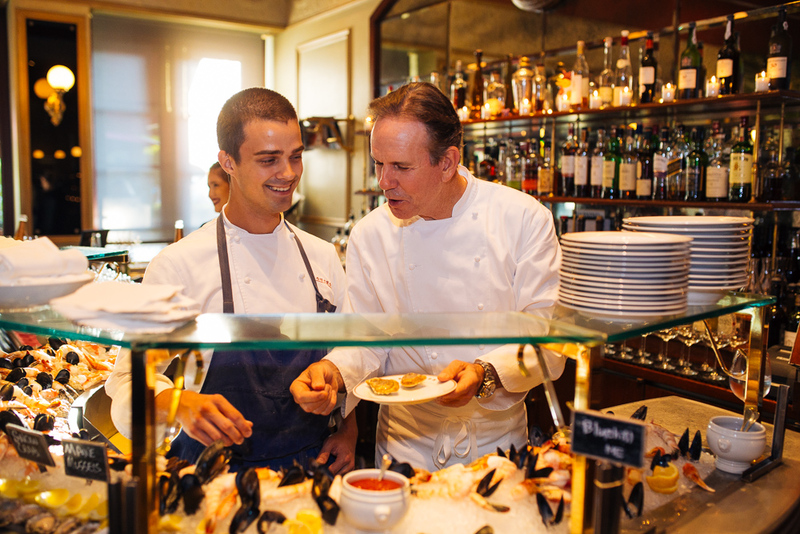 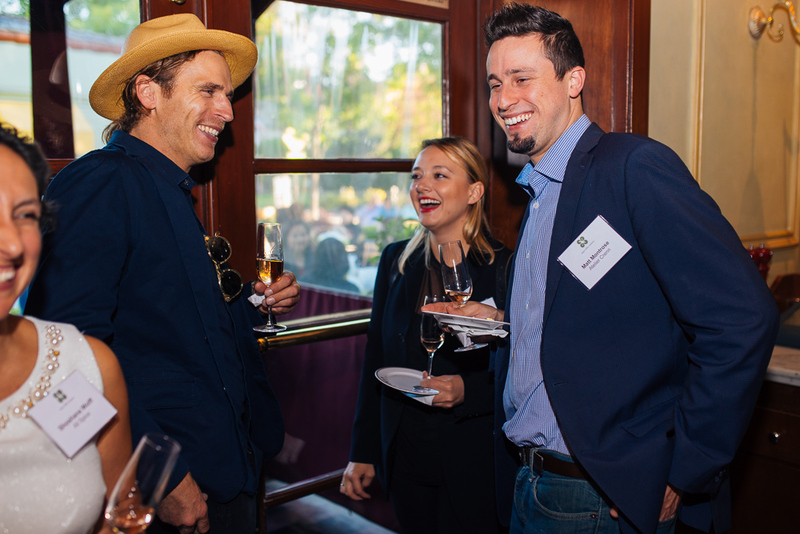 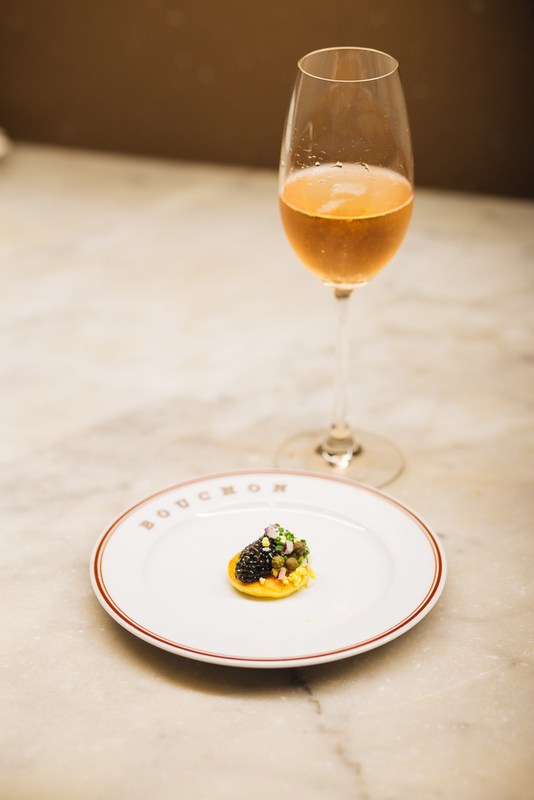 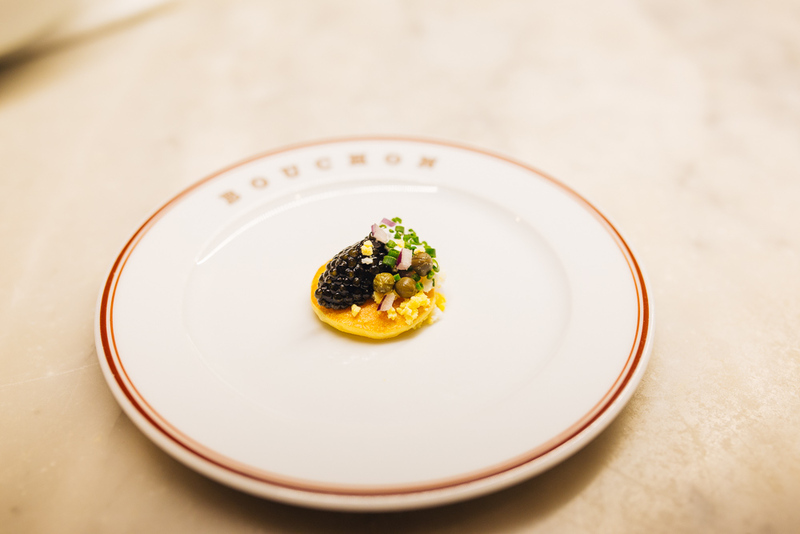 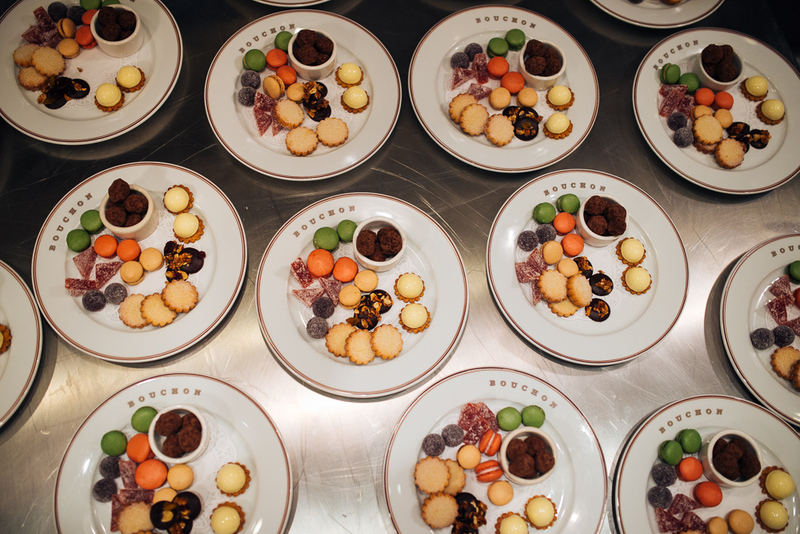 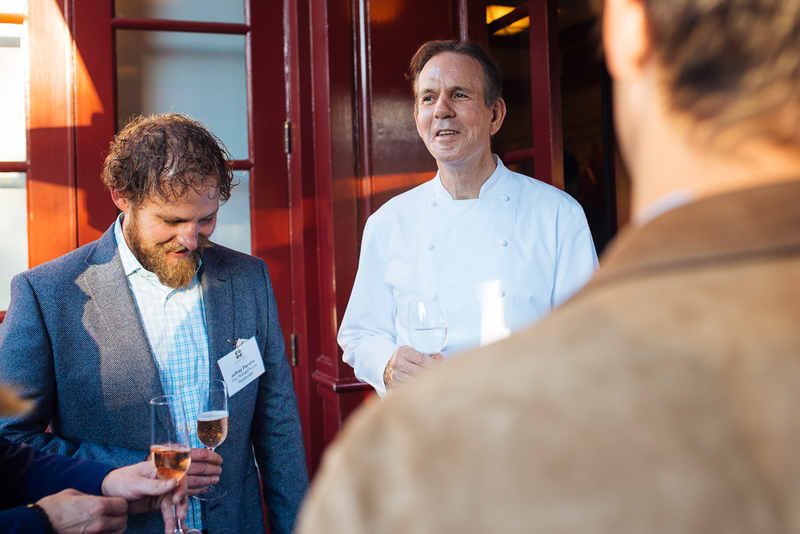 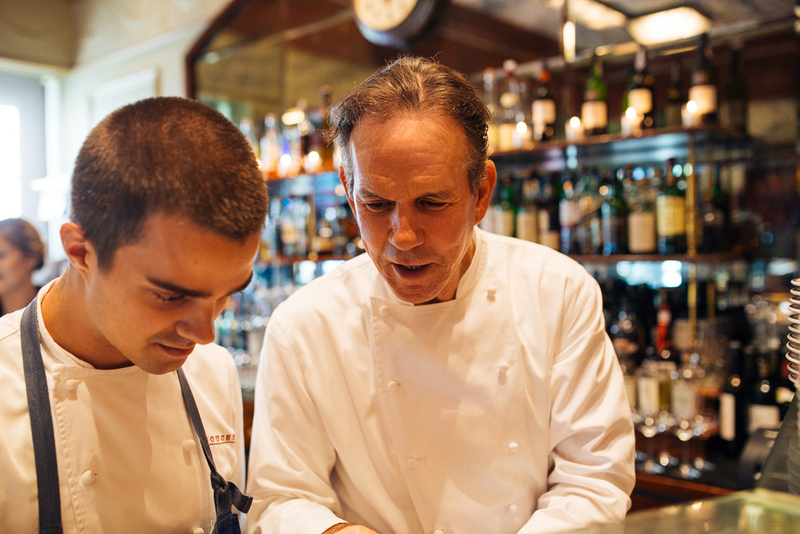 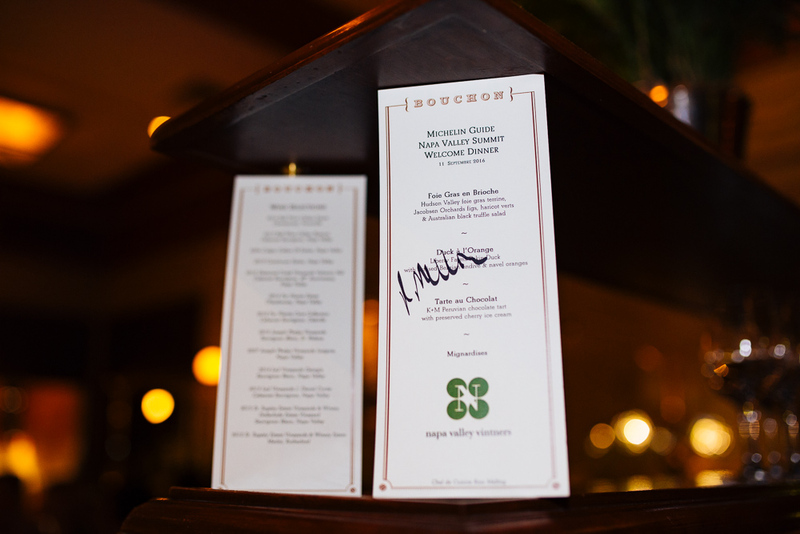 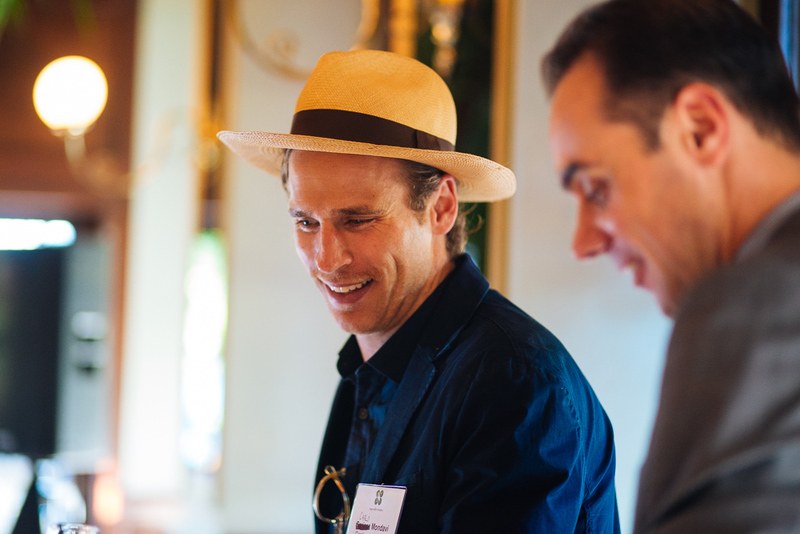 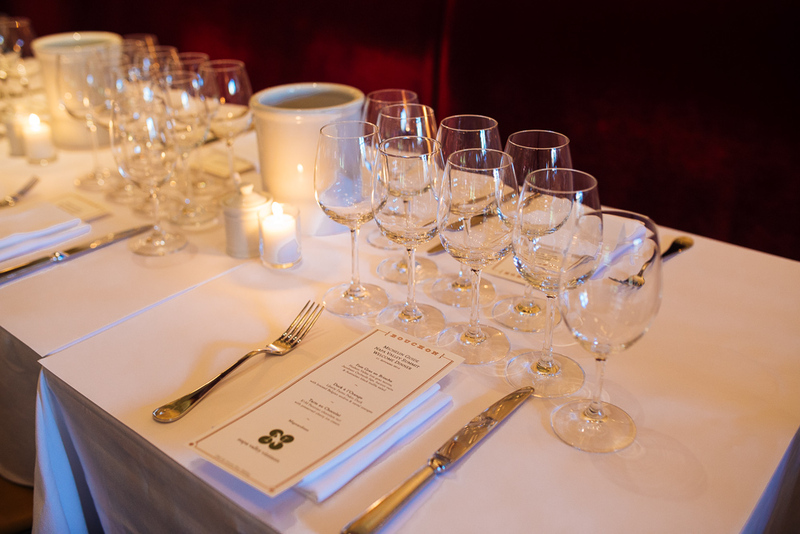 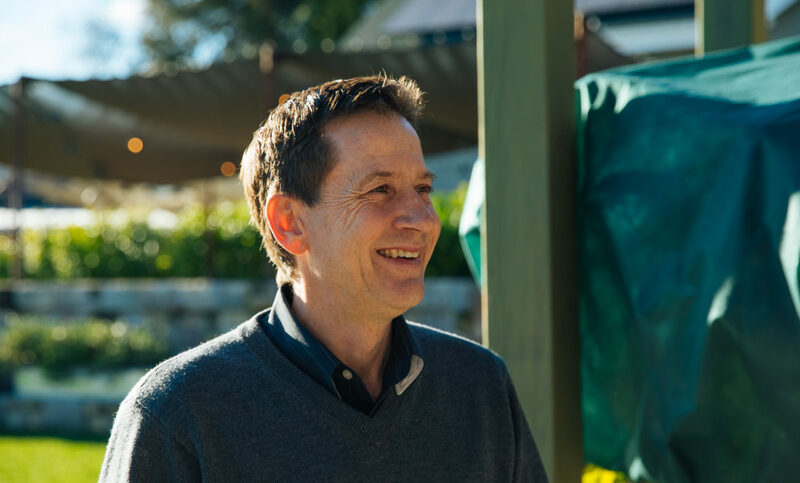 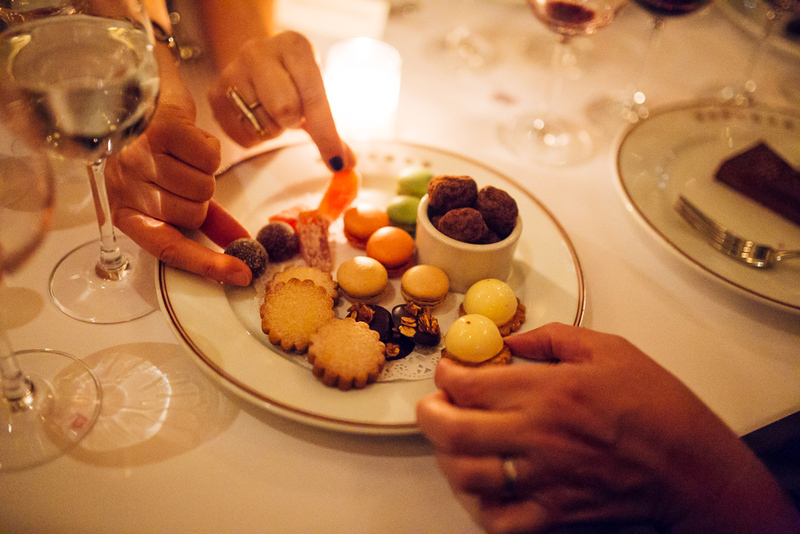 And what could be better than working with The Napa Valley Vintners, Thomas Keller and Bouchon Bistro in Yountville? 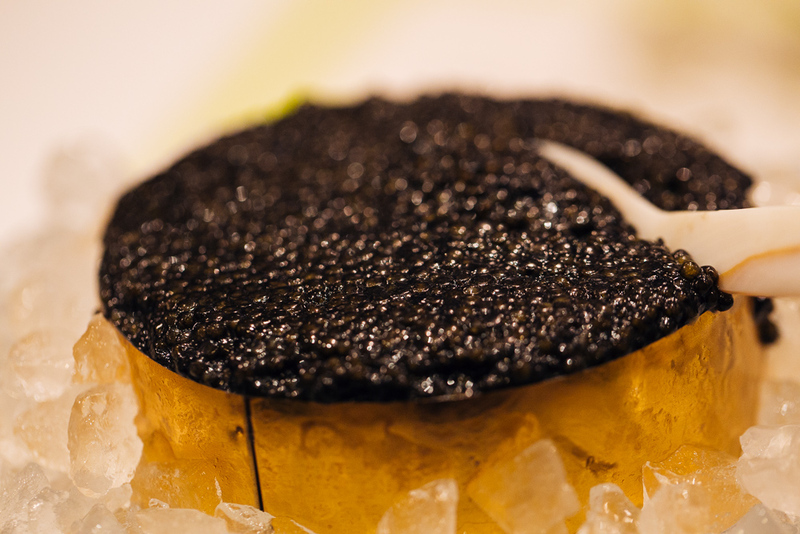 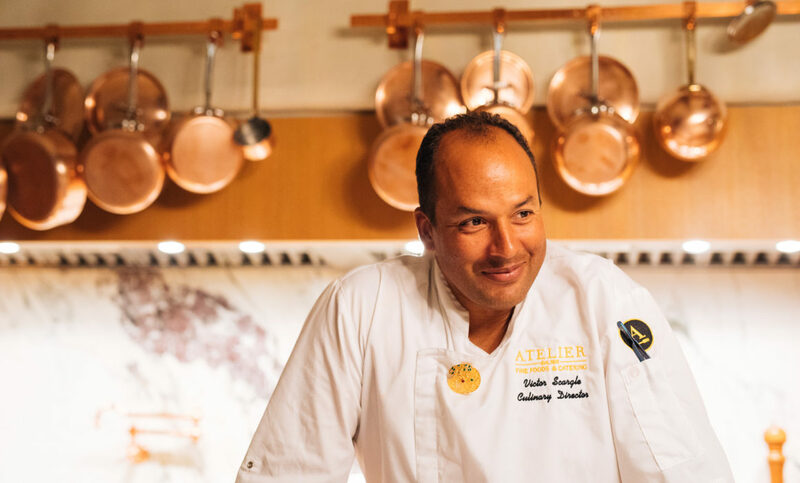 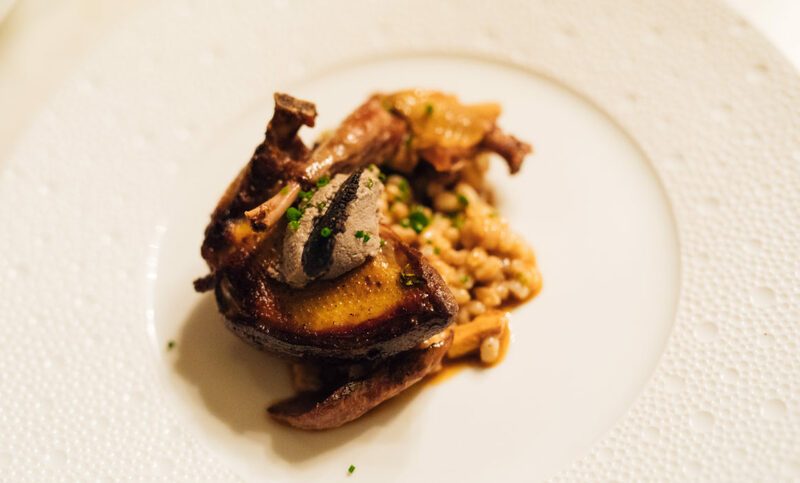 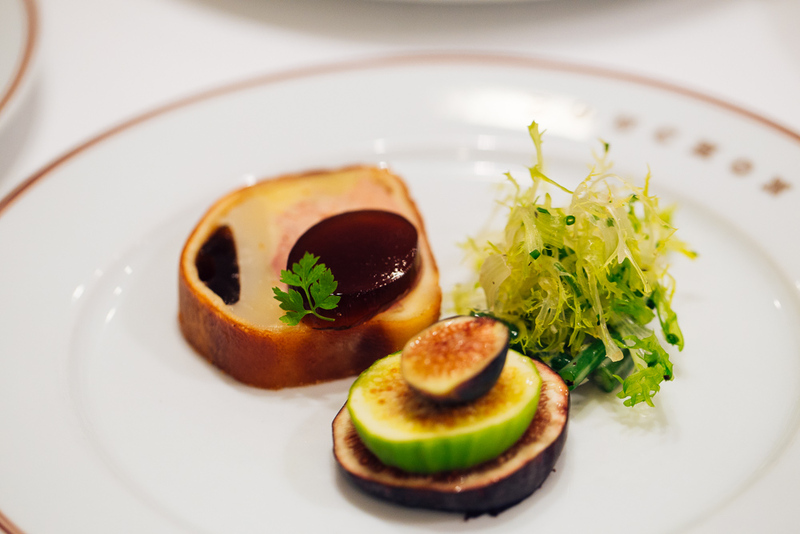 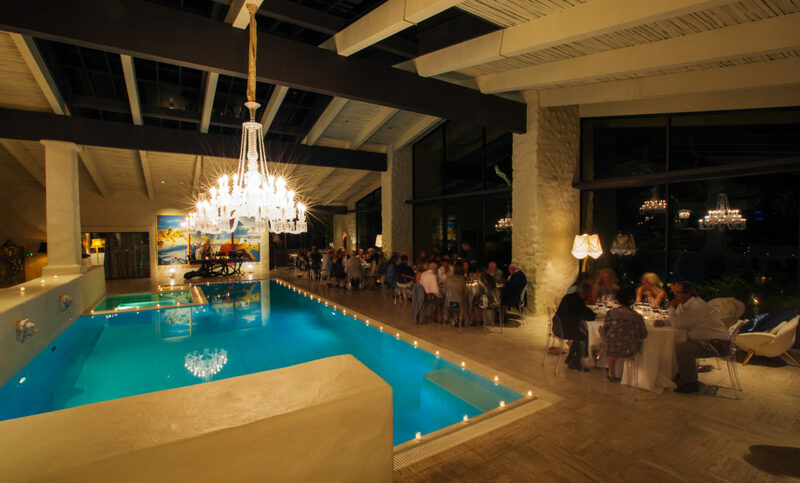 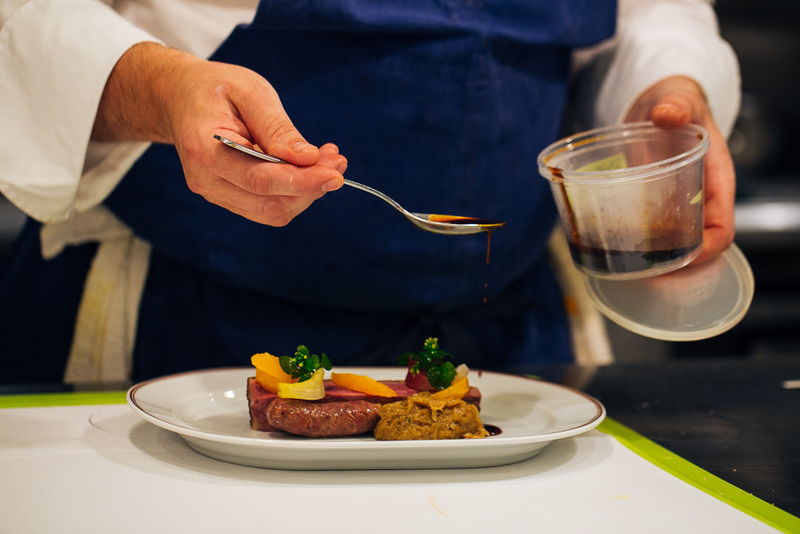 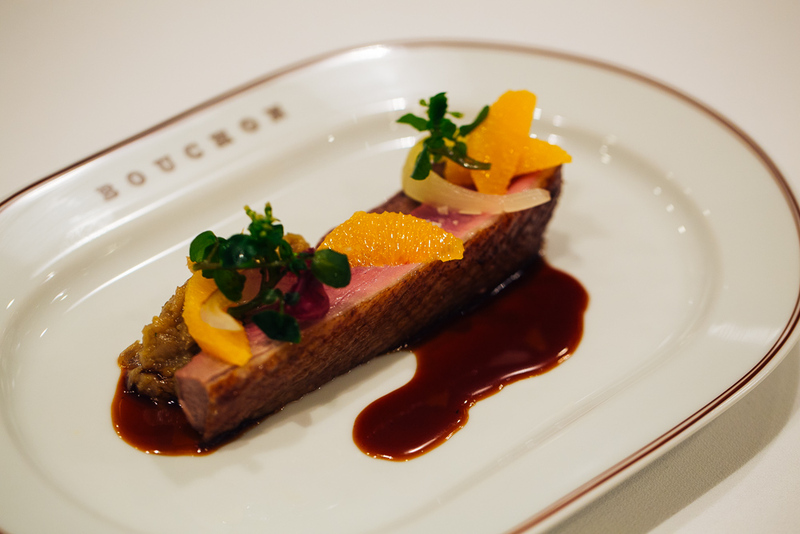 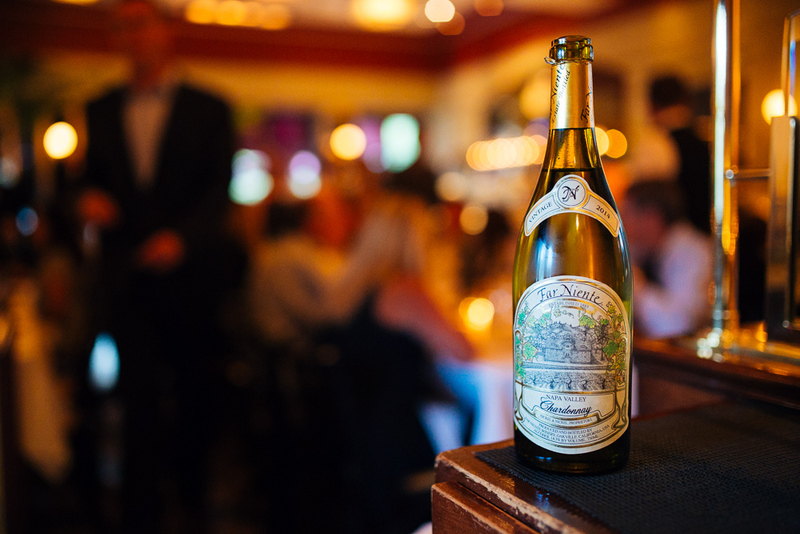 After the successful opening of The French Laundry in 1998, Keller opened this French bistro in 2002, and it has become a world-renowned eatery. 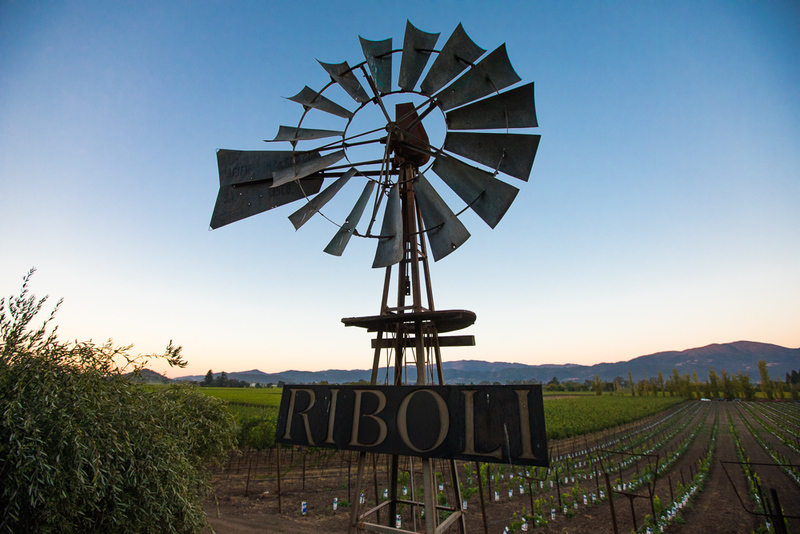 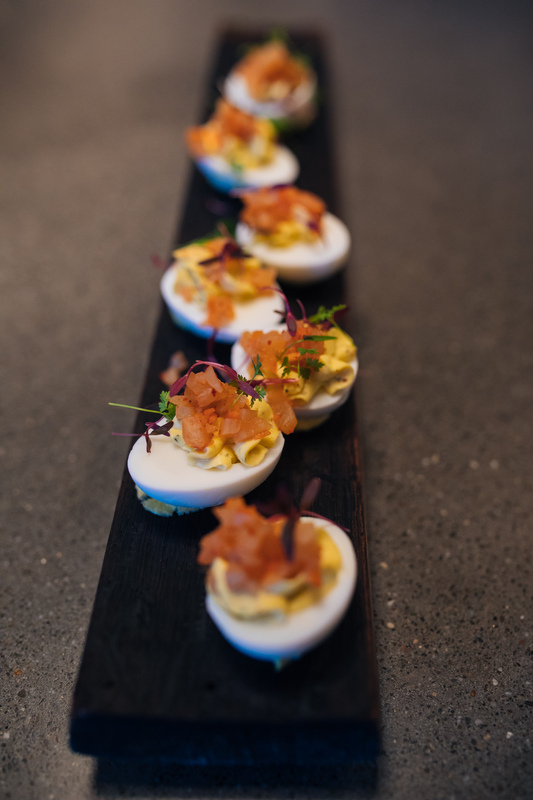 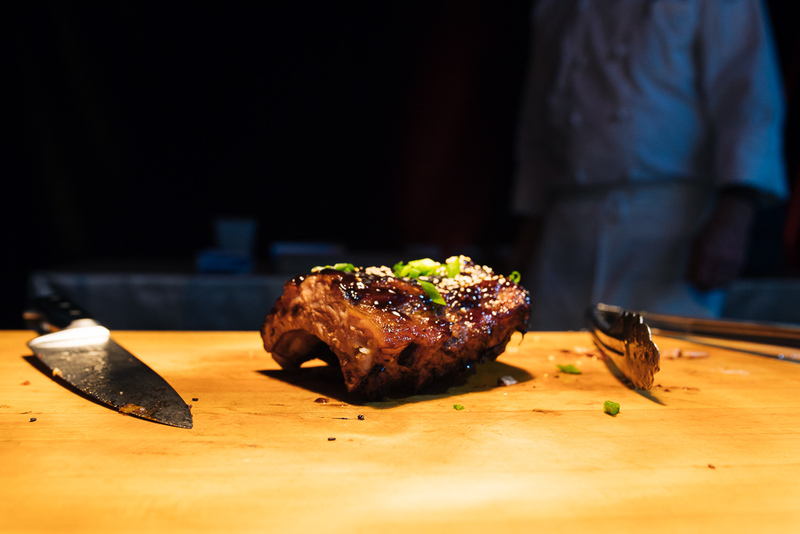 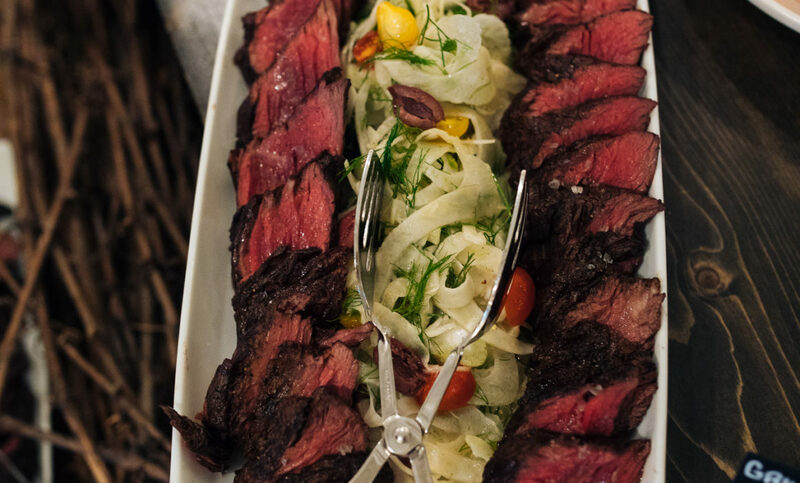 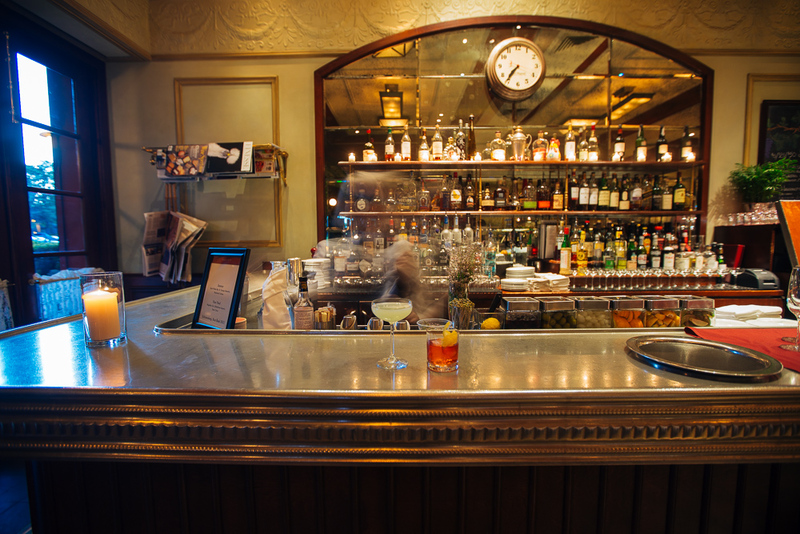 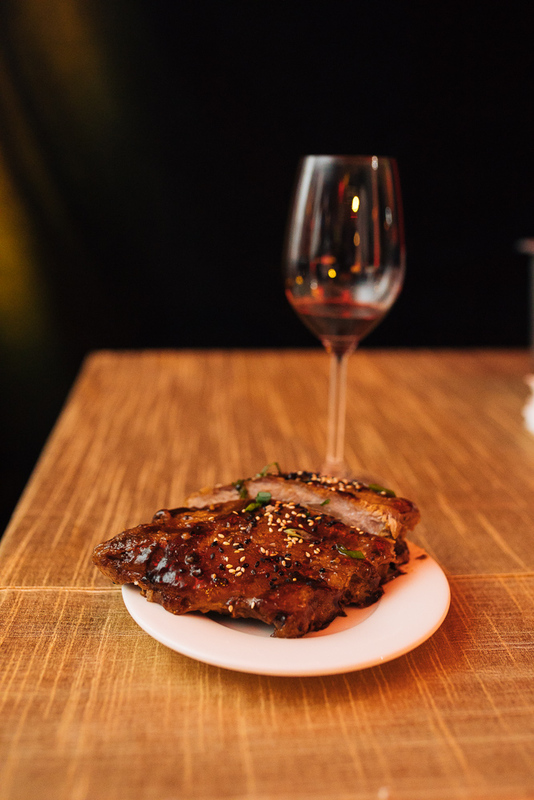 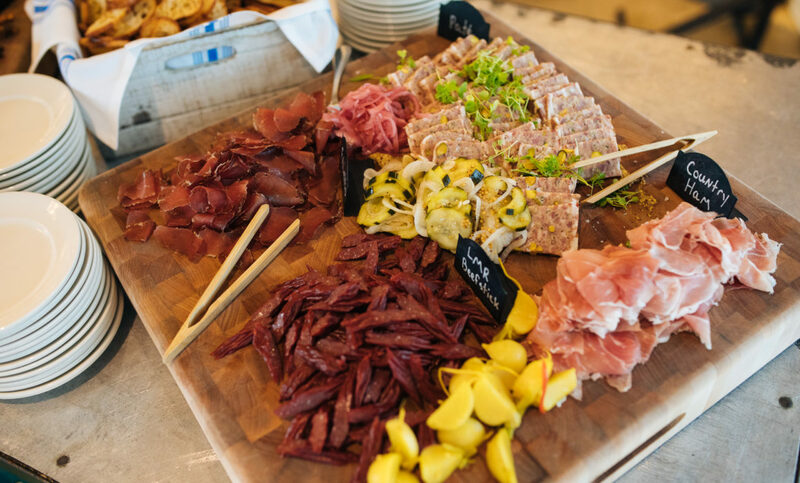 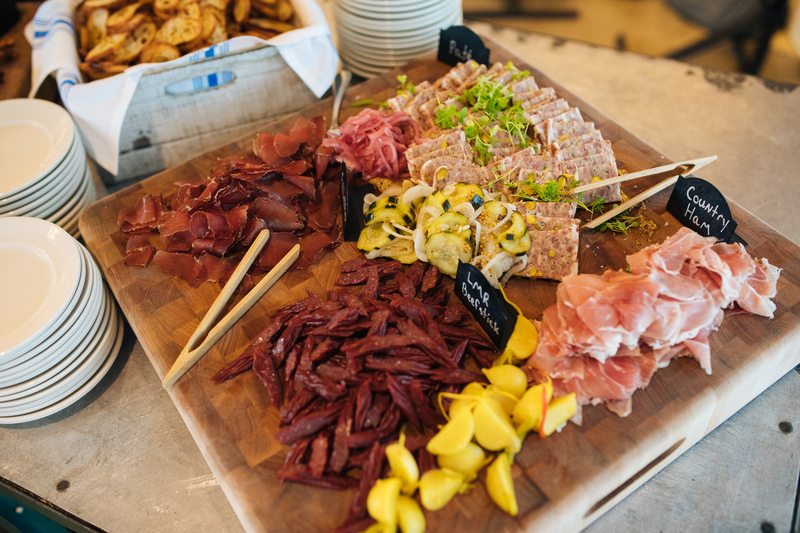 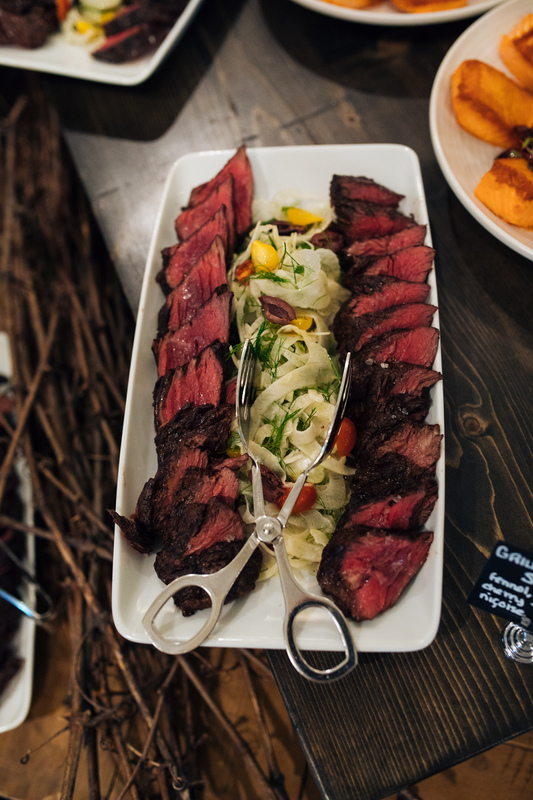 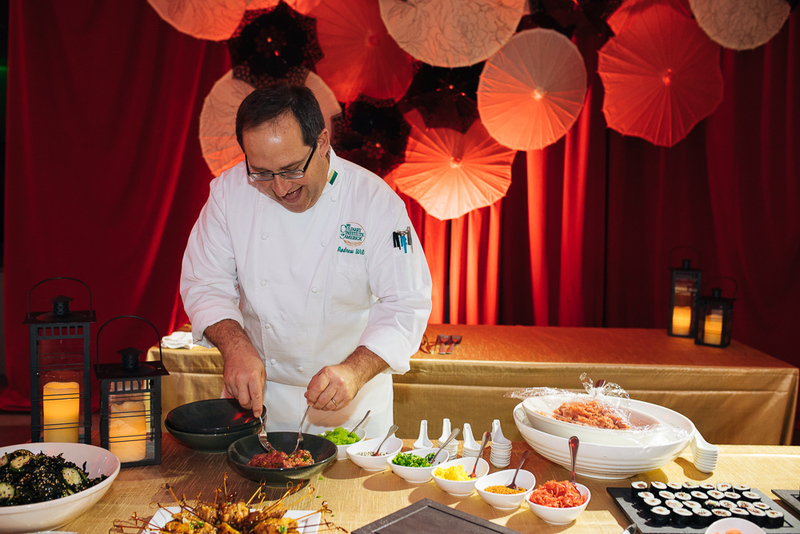 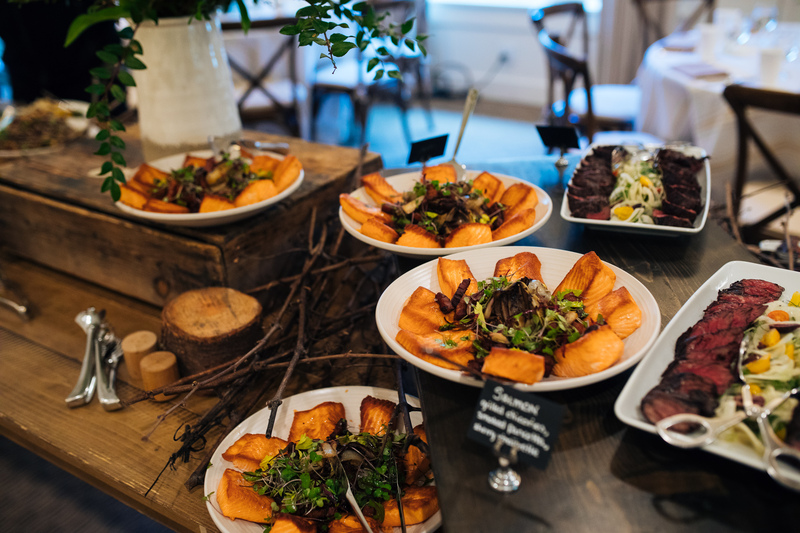 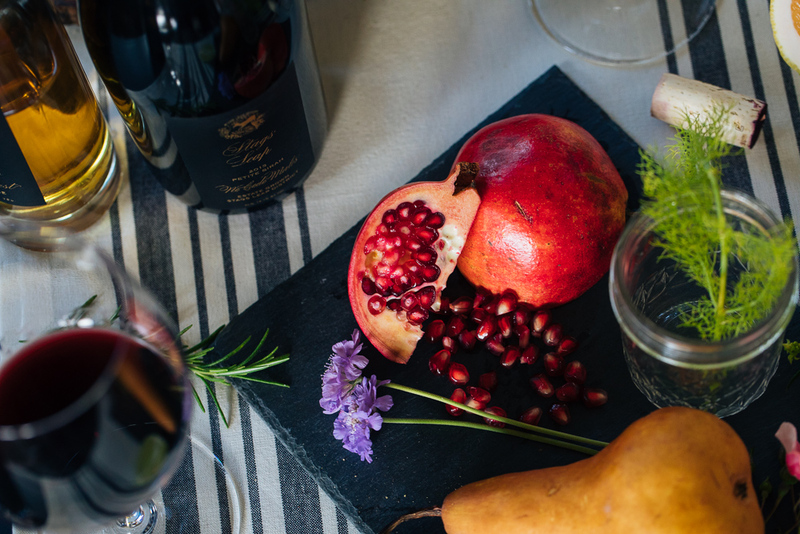 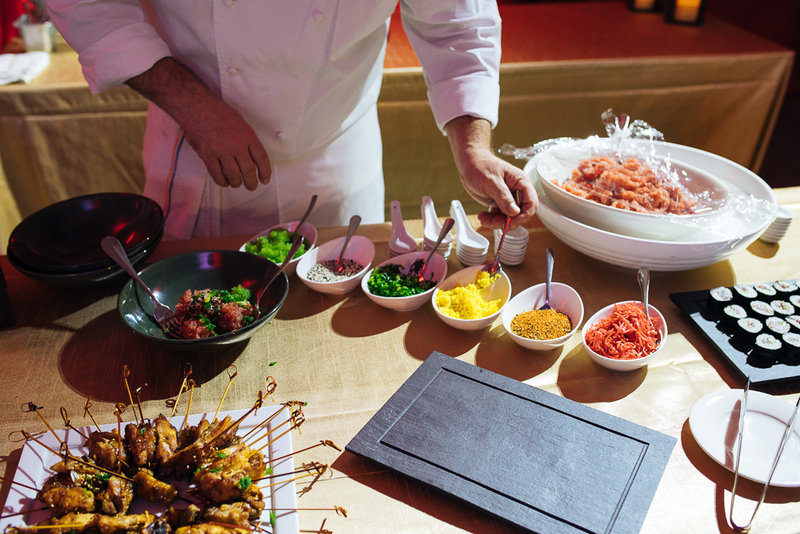 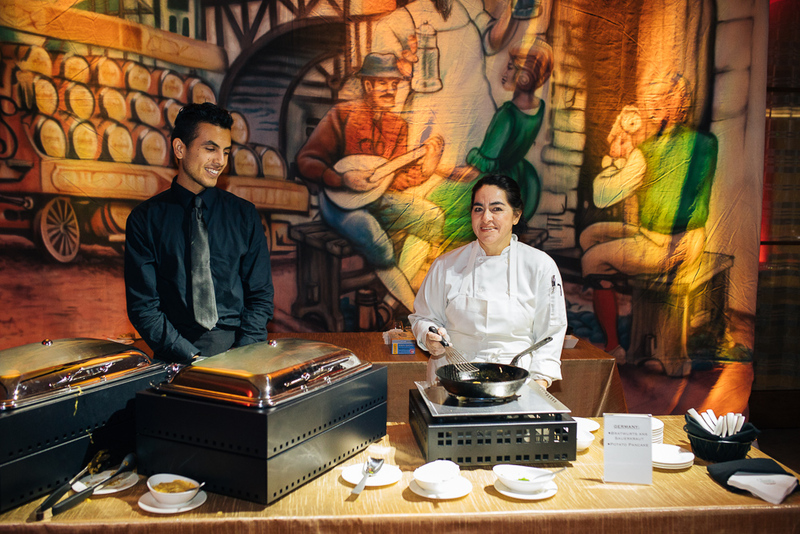 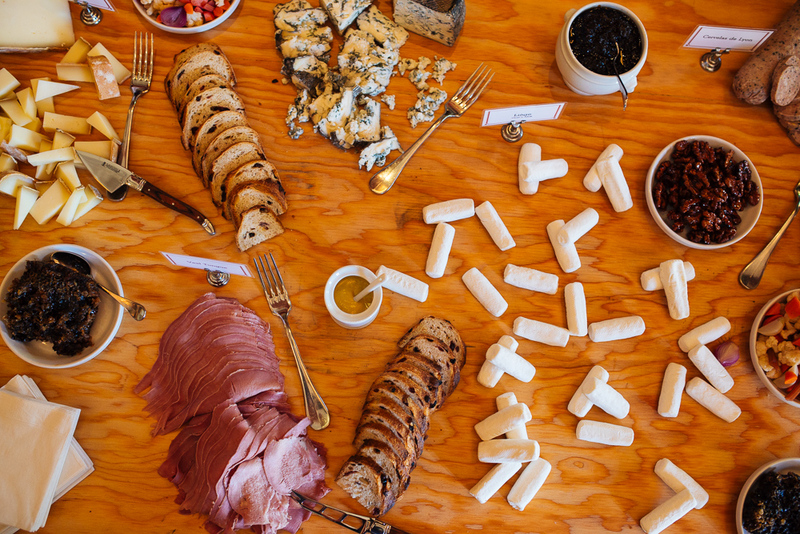 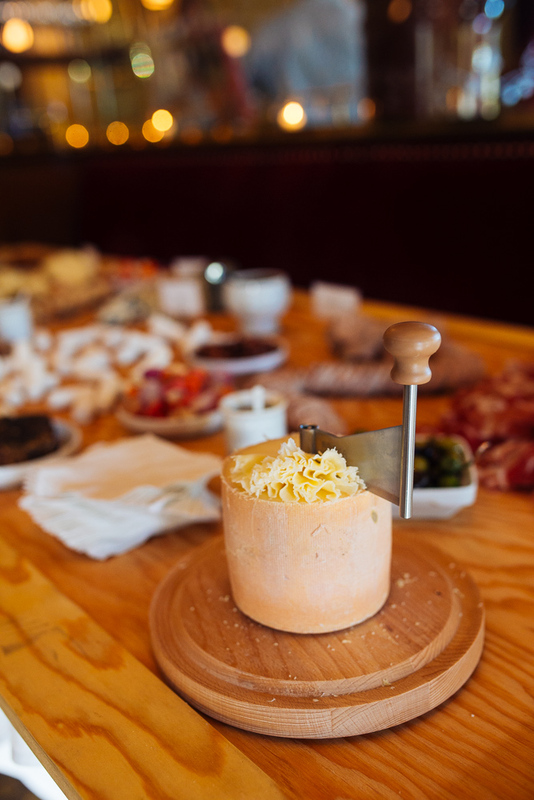 There is a symbiotic relationship between the wine and cuisine in Napa. 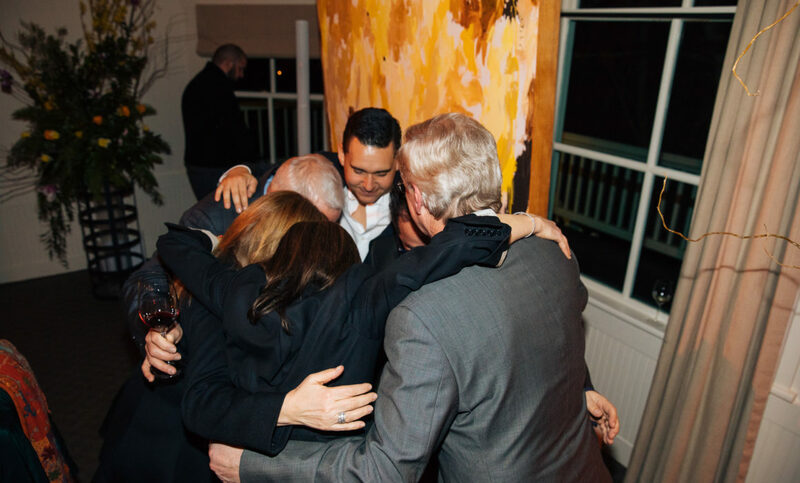 Each one elevates the other, and the relationship relies on the success of each other. 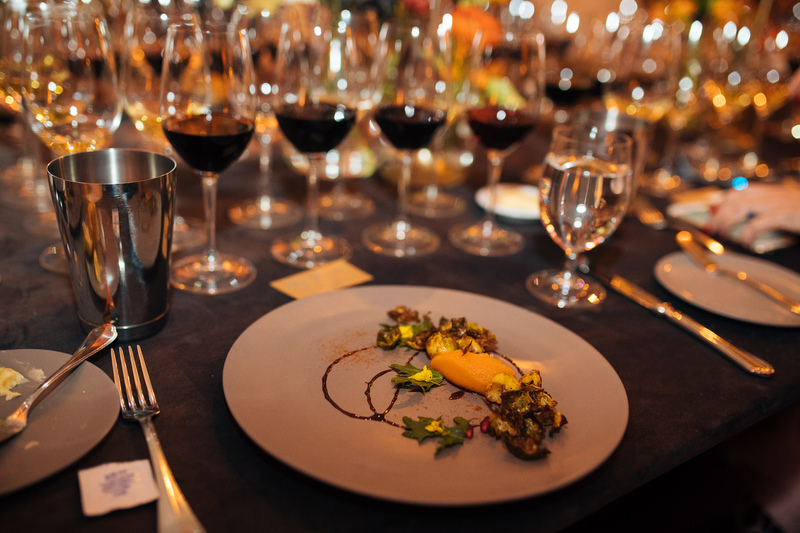 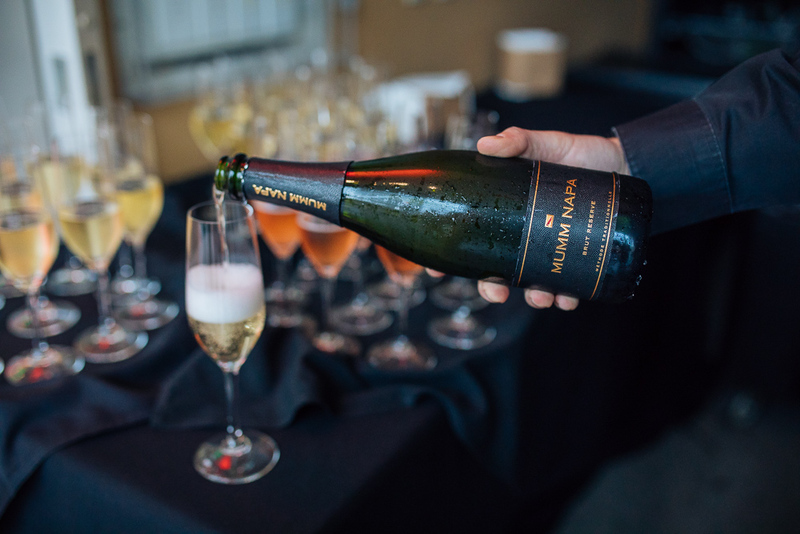 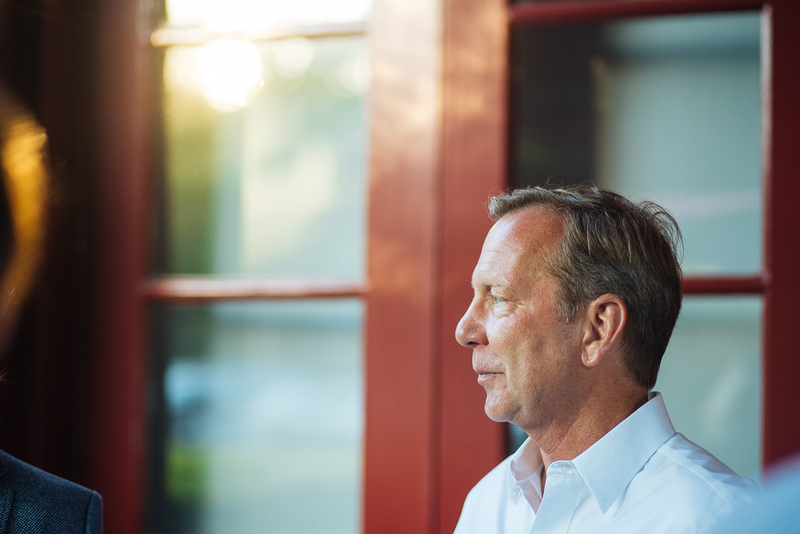 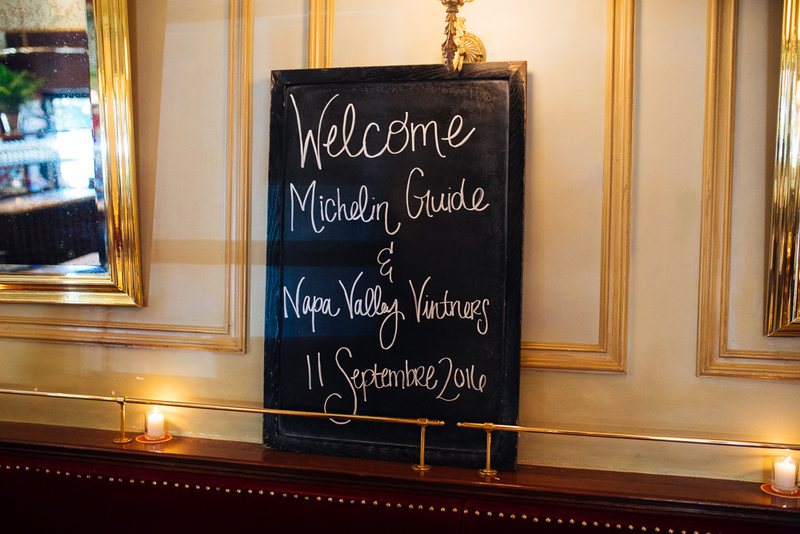 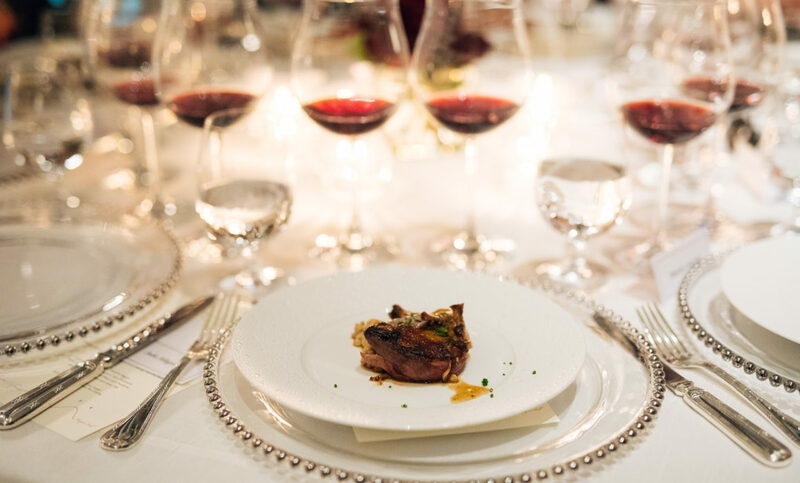 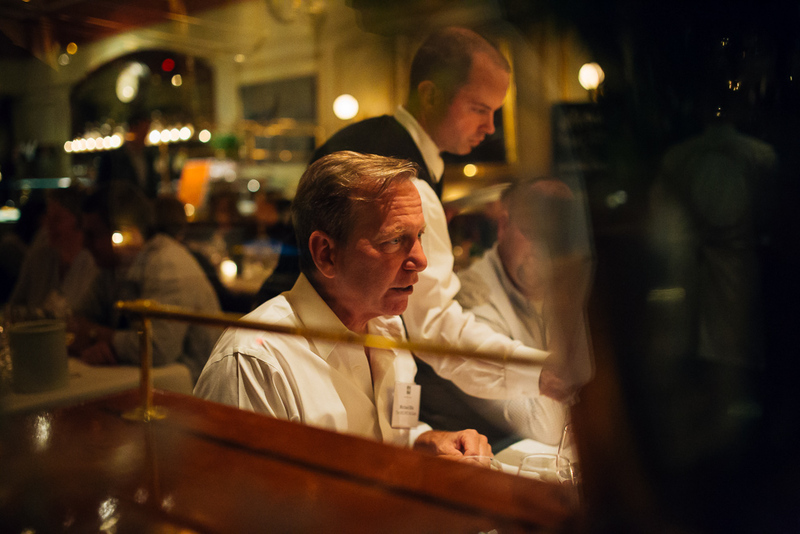 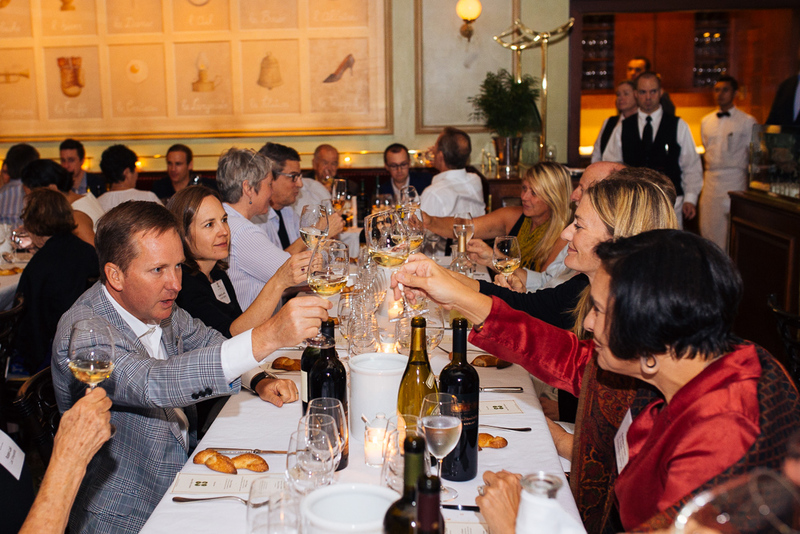 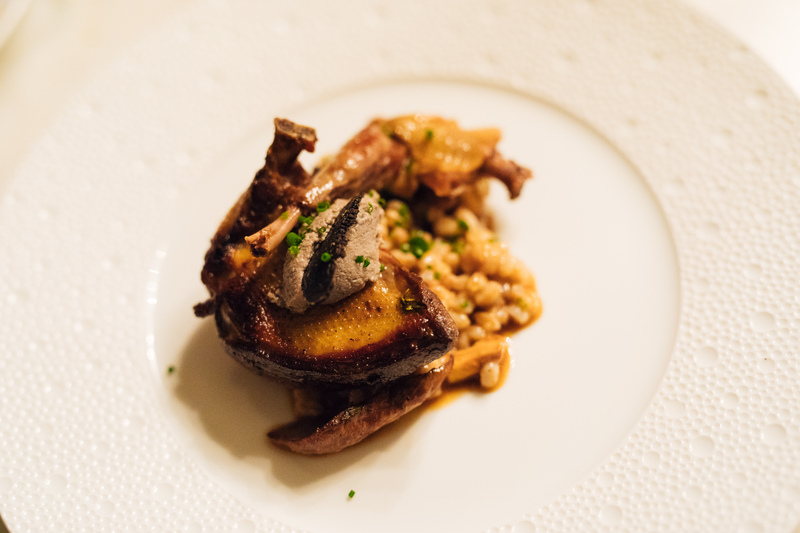 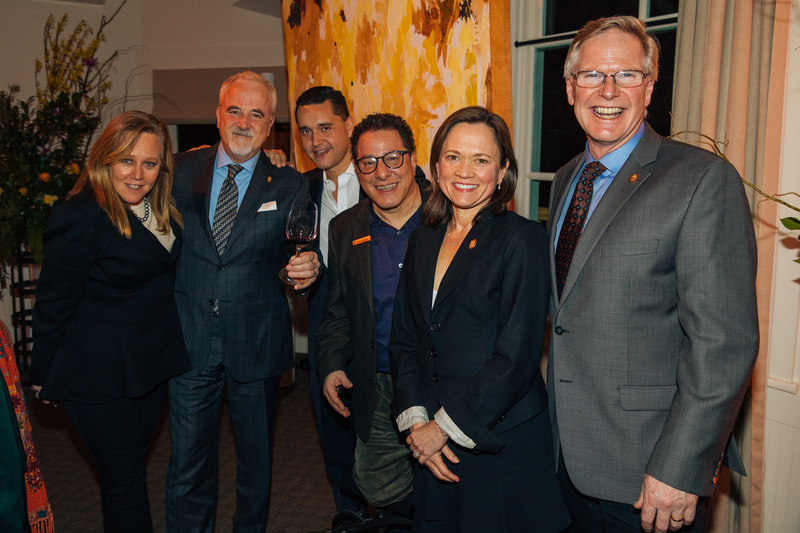 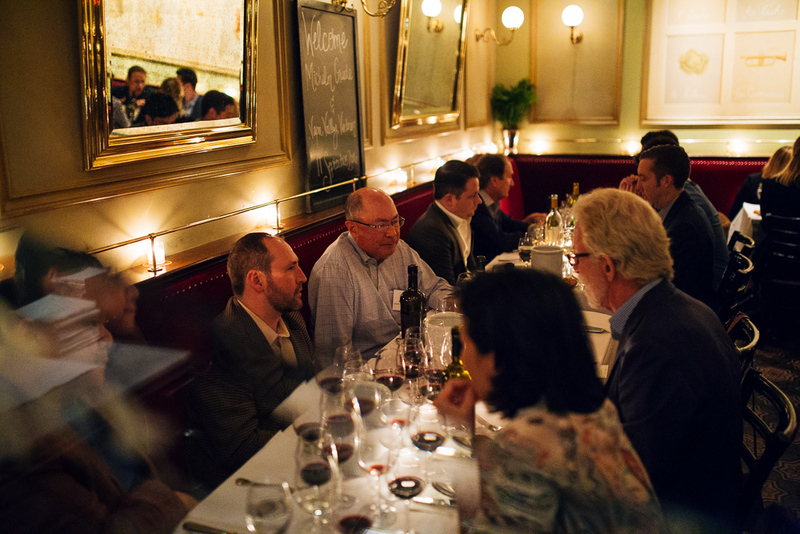 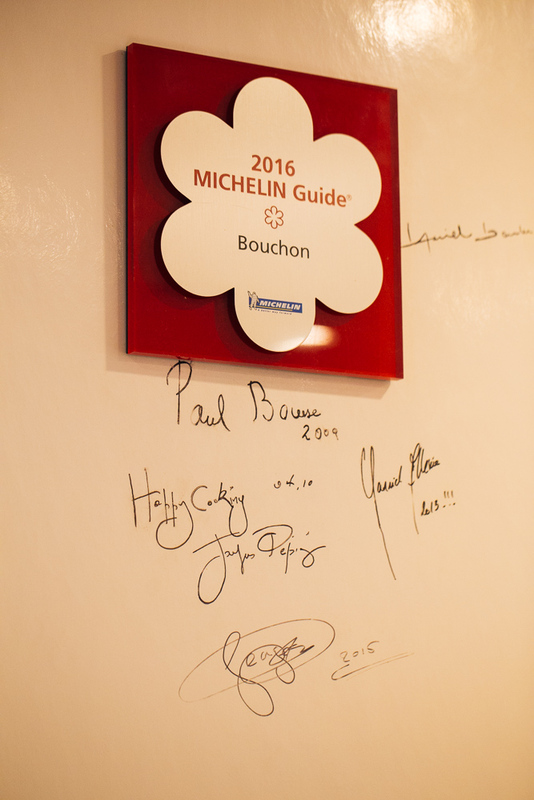 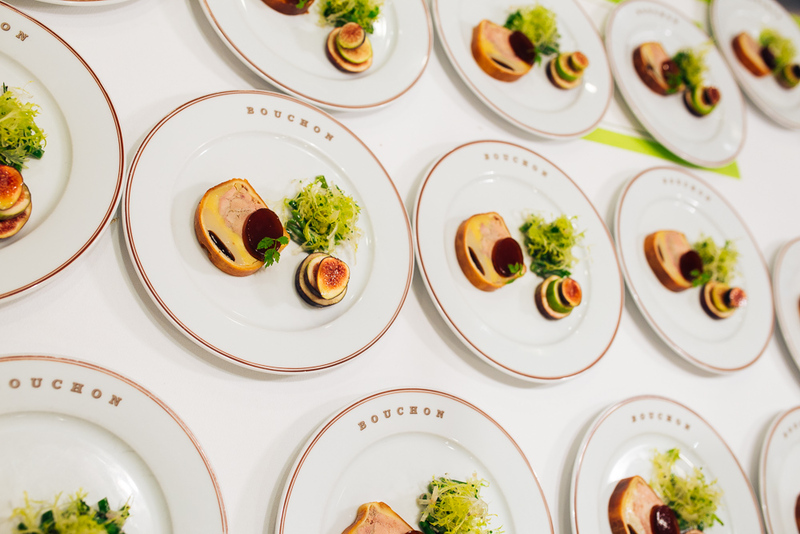 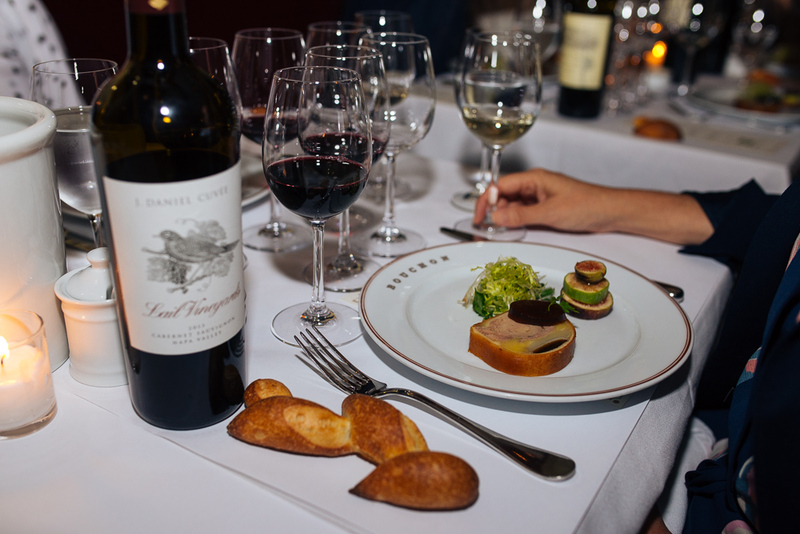 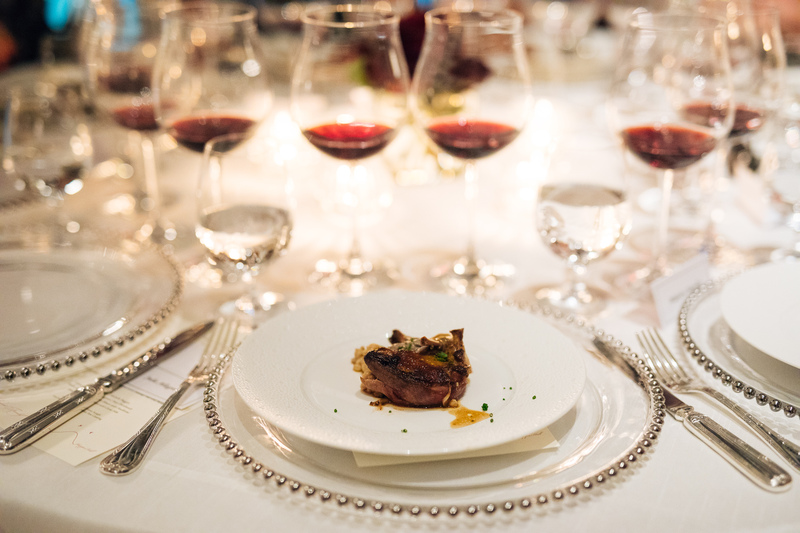 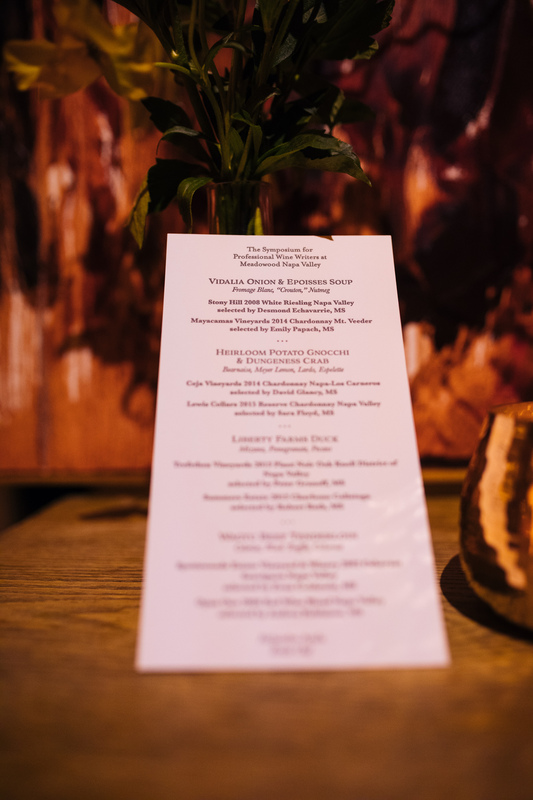 This partnership was celebrated when The Michelin Guide hosted a dinner for the Napa Valley Vintners prior to their 2016 Summit at Chef Keller’s iconic bistro, and I was there to photograph the event. 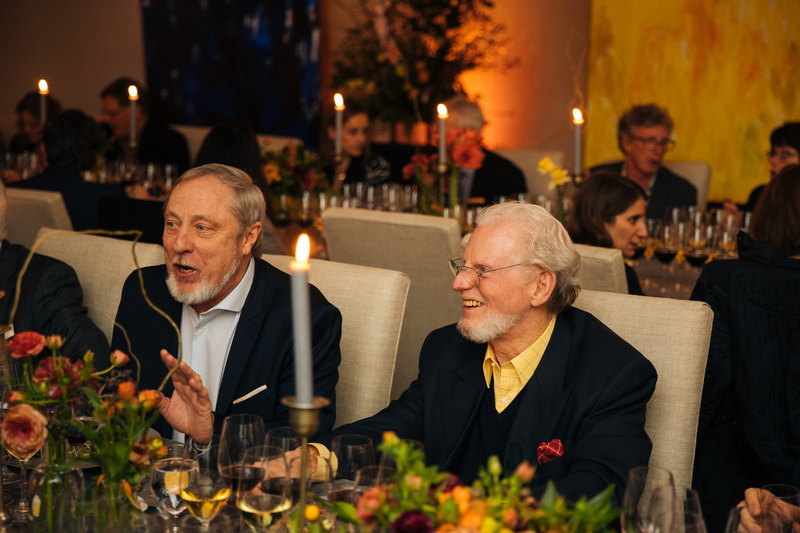 For a food and wine lover like myself, this was a great honor. 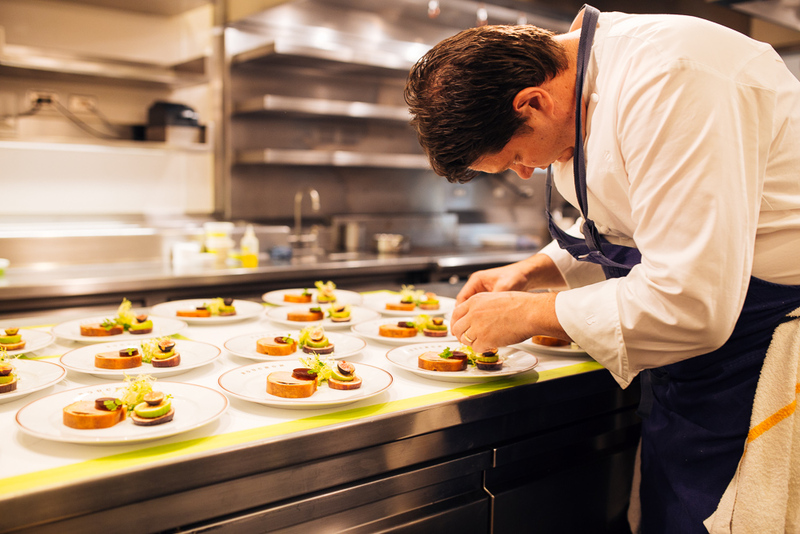 I wish you could have been there to feel the energy in the room and to experience the smells emanating from the kitchen. 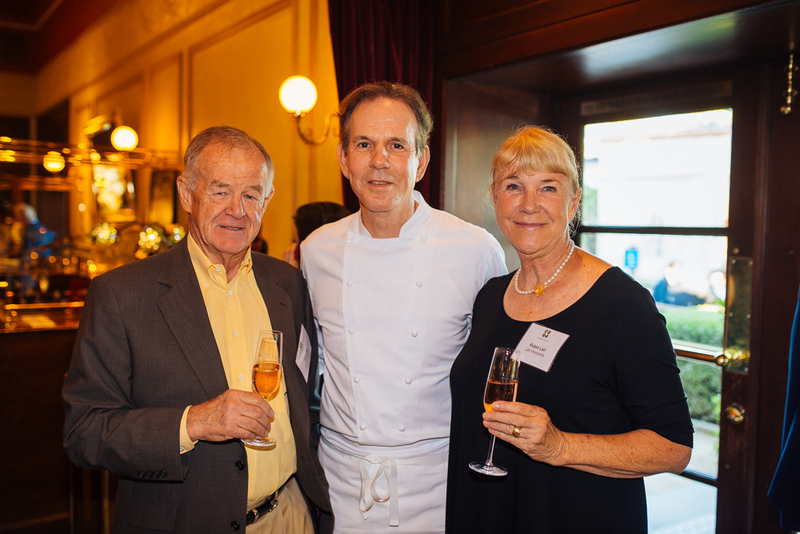 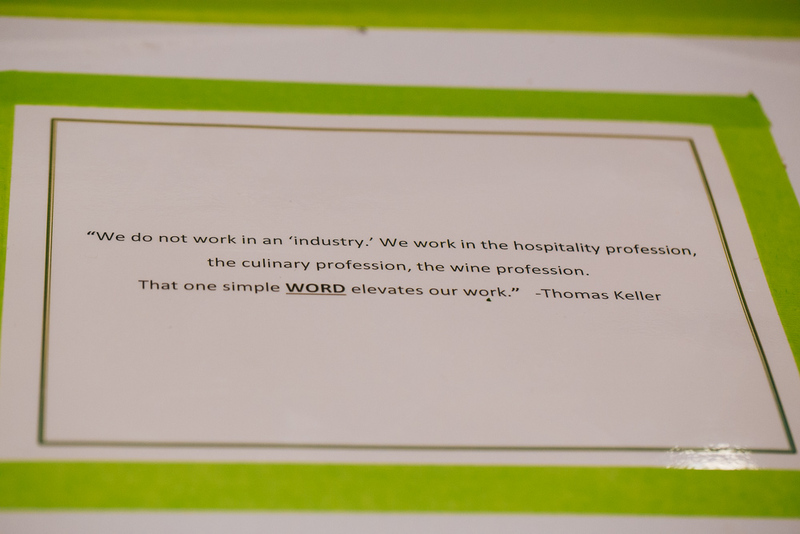 Chef Keller and his staff were extremely gracious and hospitable. This is a night I’ll never forget, and as 2016 comes to a close, it’s an assignment I’m extremely proud of and humbled by. 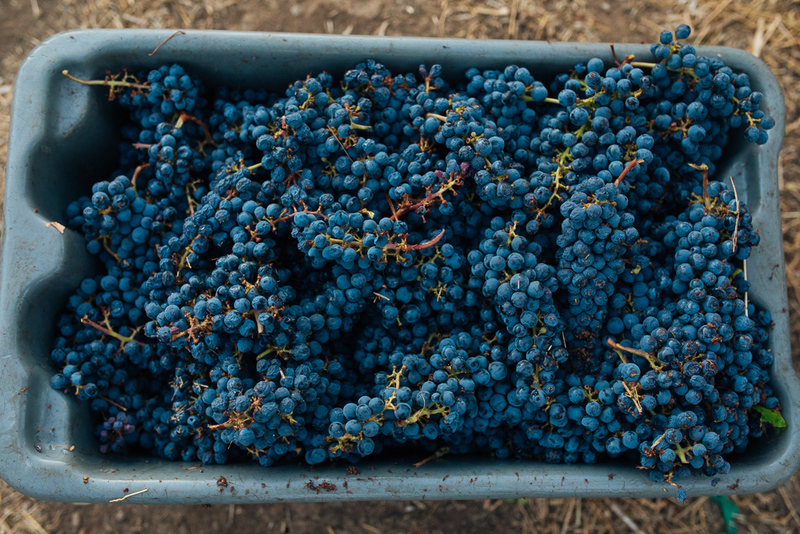 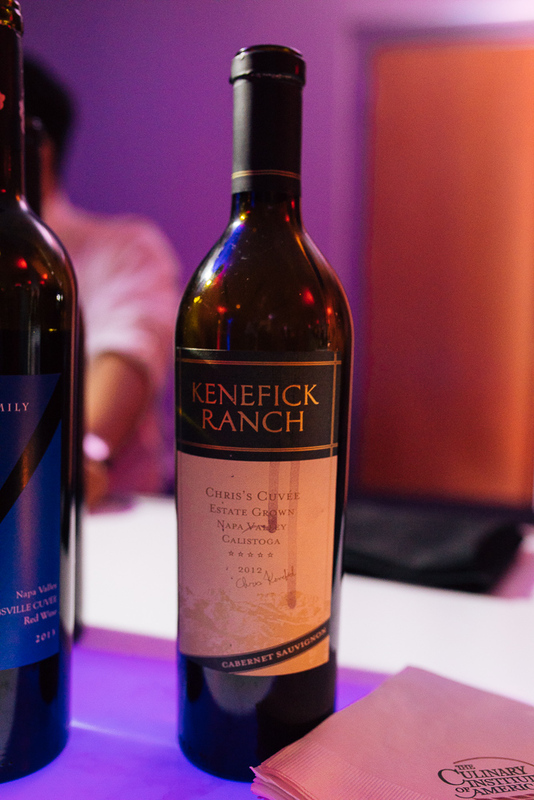 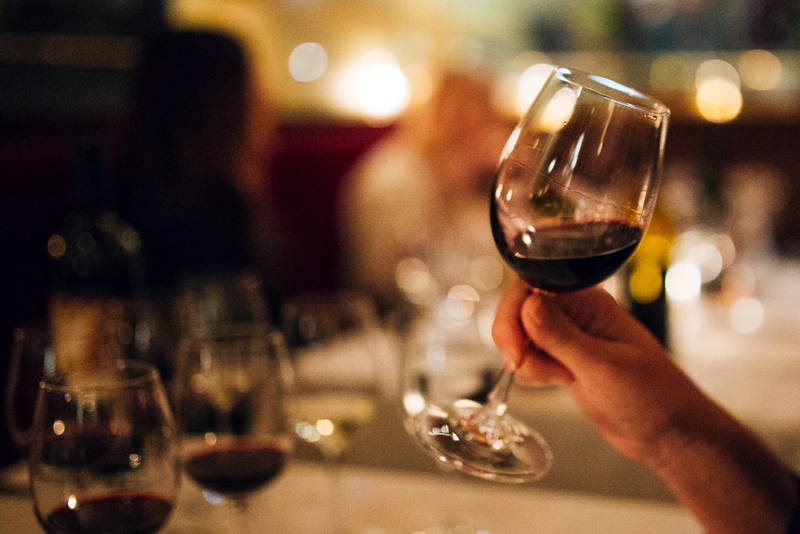 What do you think when you enjoy a rich glass of Cabernet? 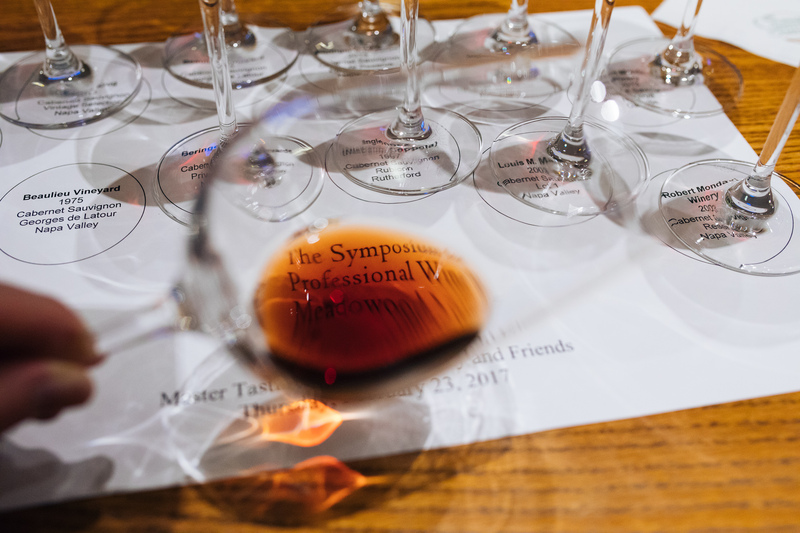 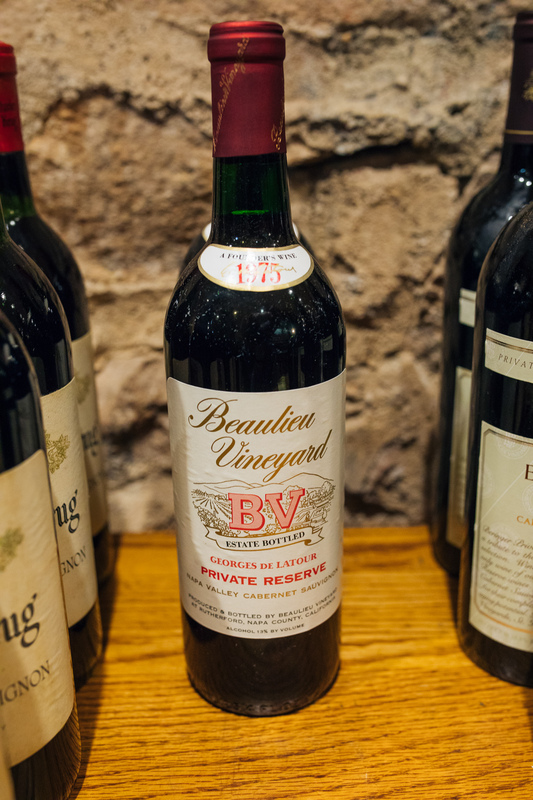 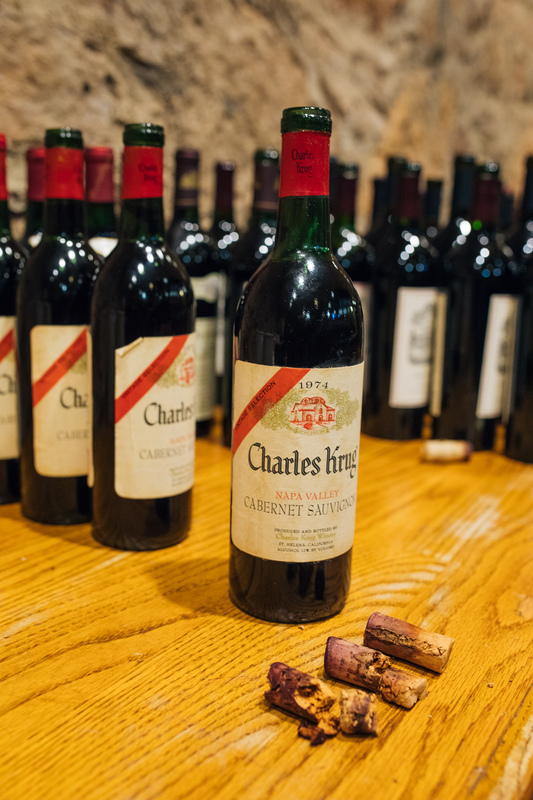 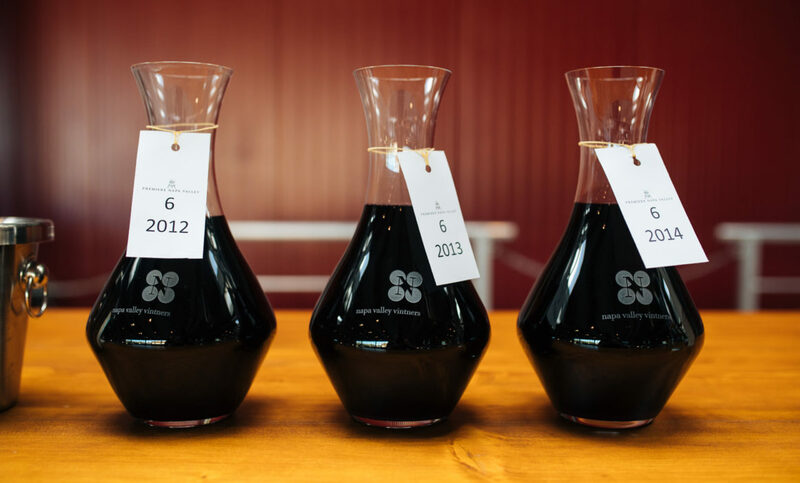 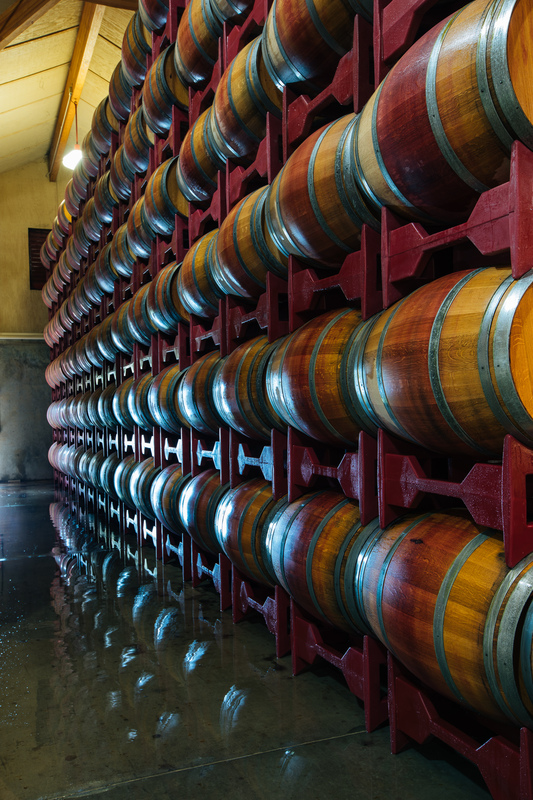 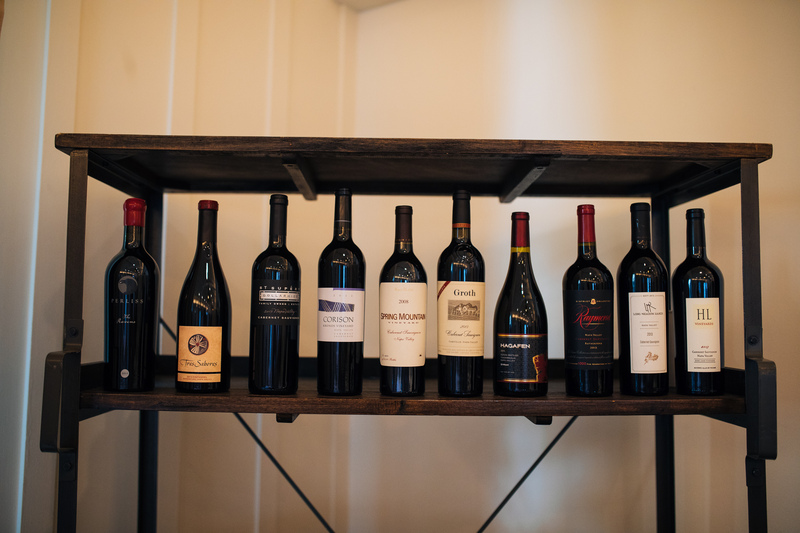 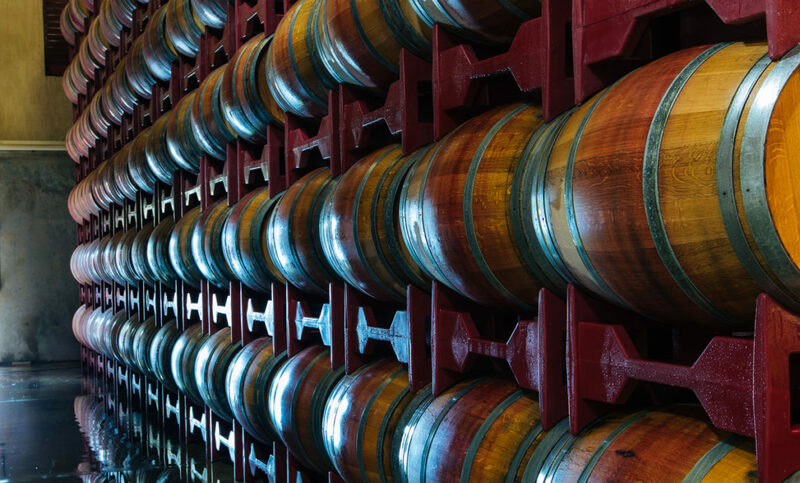 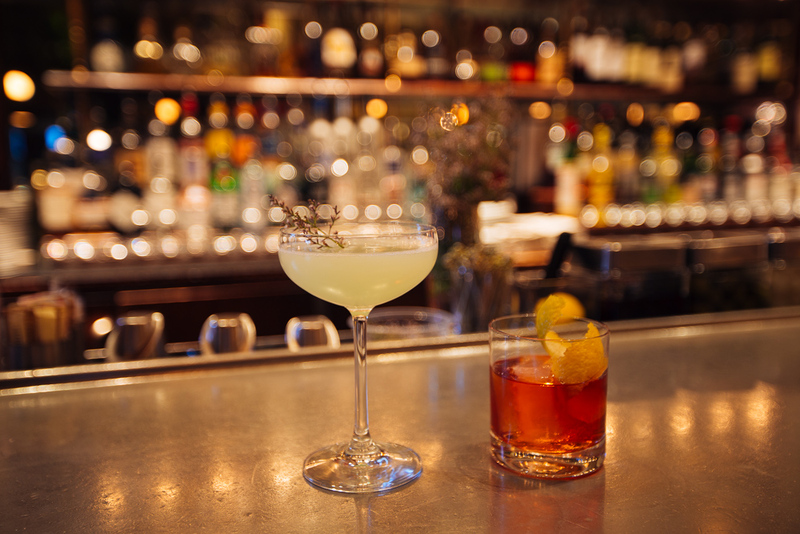 Do you savor the flavors and try to identify the subtleties that give the vintage it’s unique characteristics? 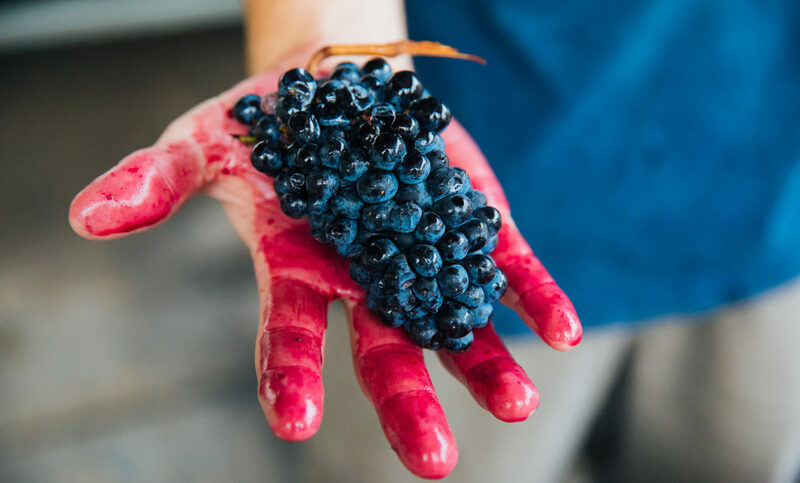 I hope this post will help you to go further into what makes a beautiful bottle of wine. 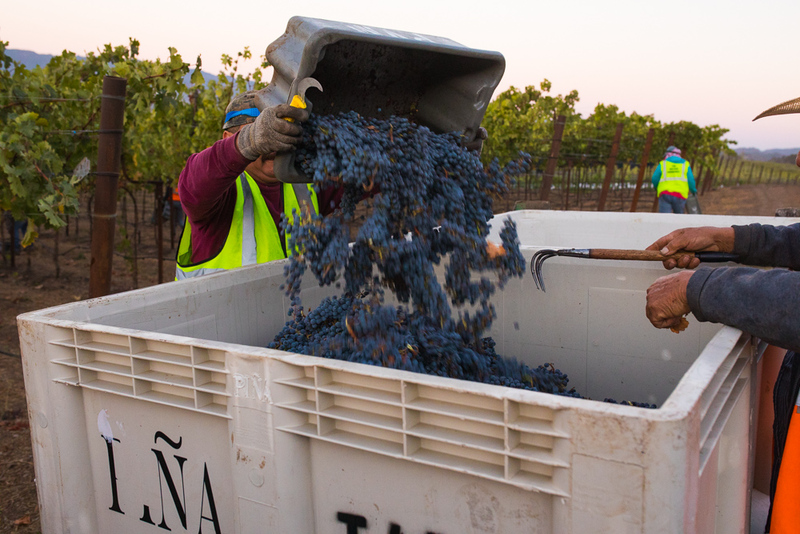 I recently photographed the fall harvest for San Antonio Winery’s Napa vineyard operations. 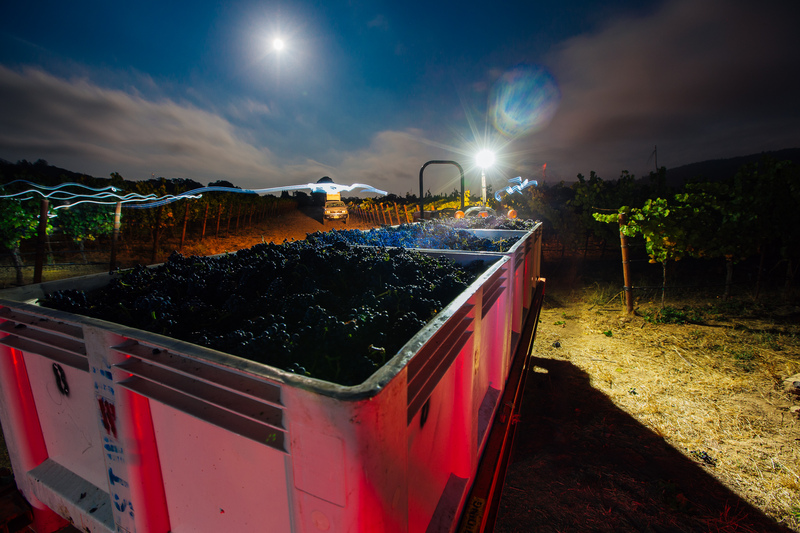 The winemakers and the crew harvested at night and into the early morning, so I had to use all of my lighting skills to get this right. 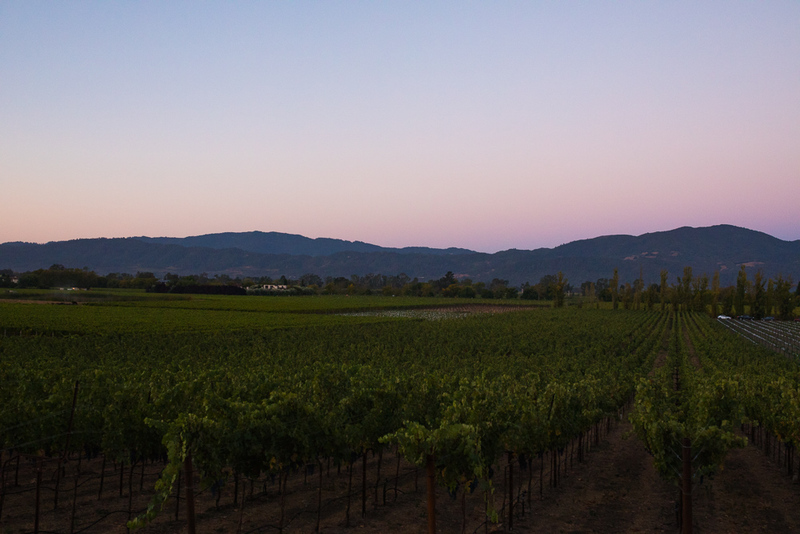 It was amazing shooting as the sun came up and witnessing the live art show the sky over Napa creates. 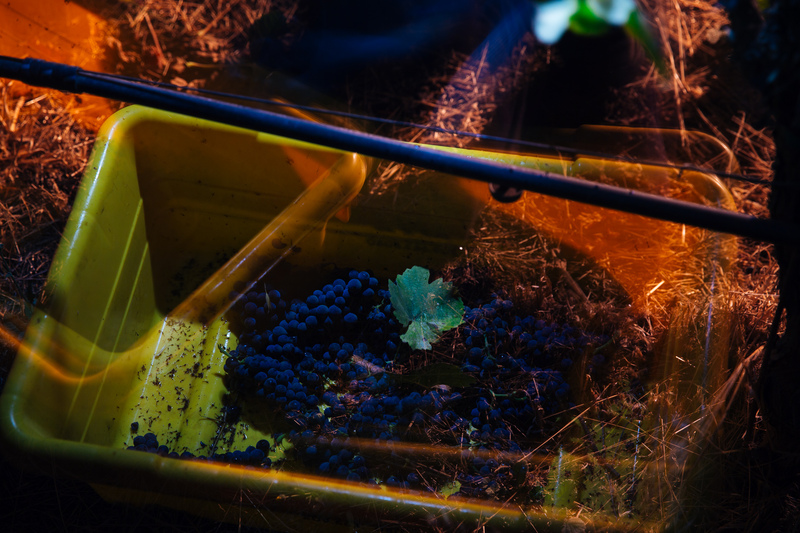 The deep color of the grapes will be an indelible image for me. 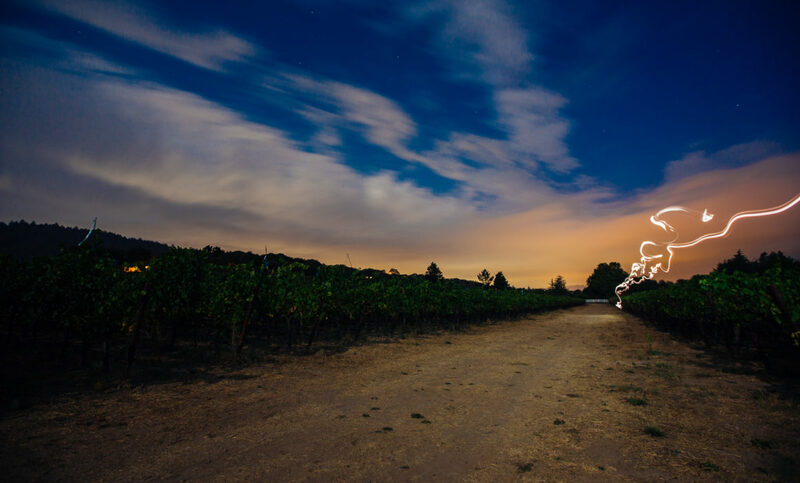 On this shoot I did something a little different and took wide angle shots of the entire vineyard. 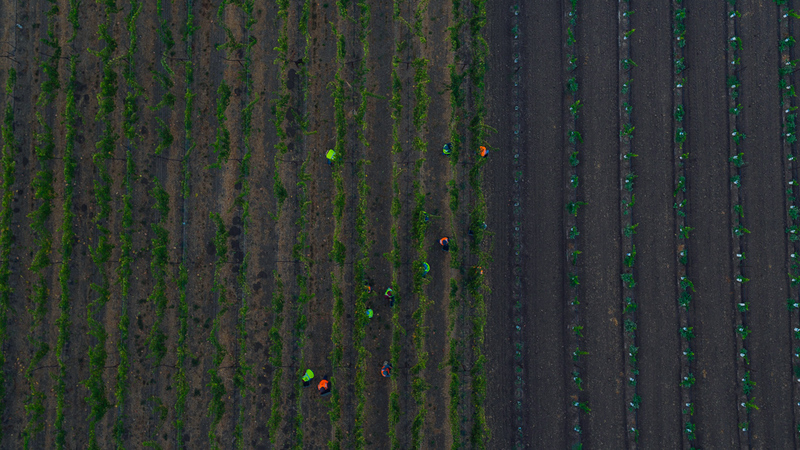 You can see how vast it is, and imagine how many grapes had to be picked. 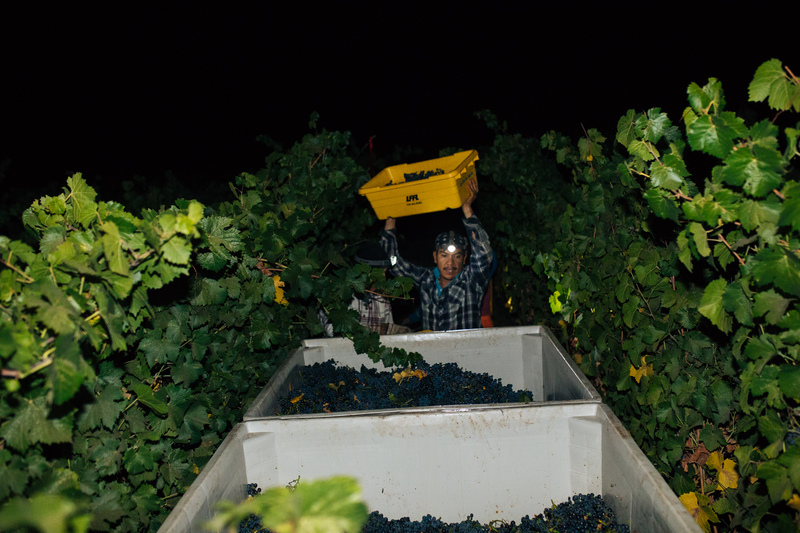 As I watched the crew picking the grapes by hand, it made me appreciate that beautiful glass of wine all the more. 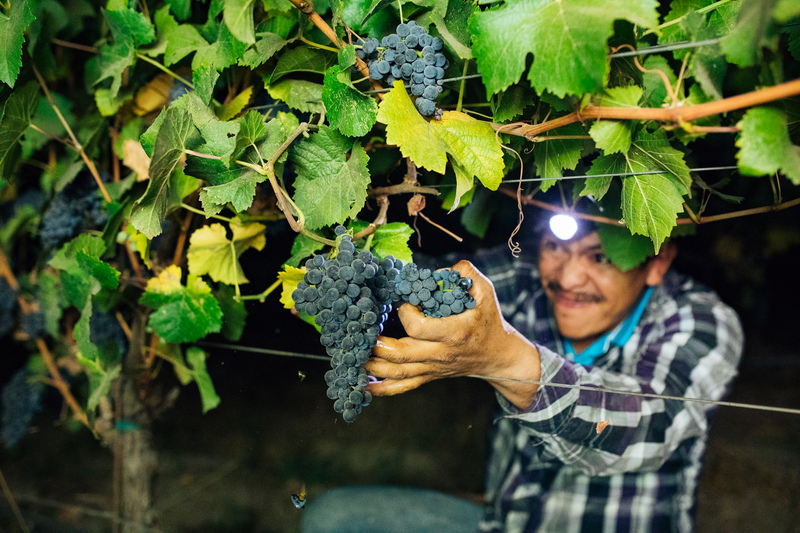 Not only do the grapes absorb what is in the soil, and in the air around them, but I now see the character of the wine is also in the people who cultivate the vintage.